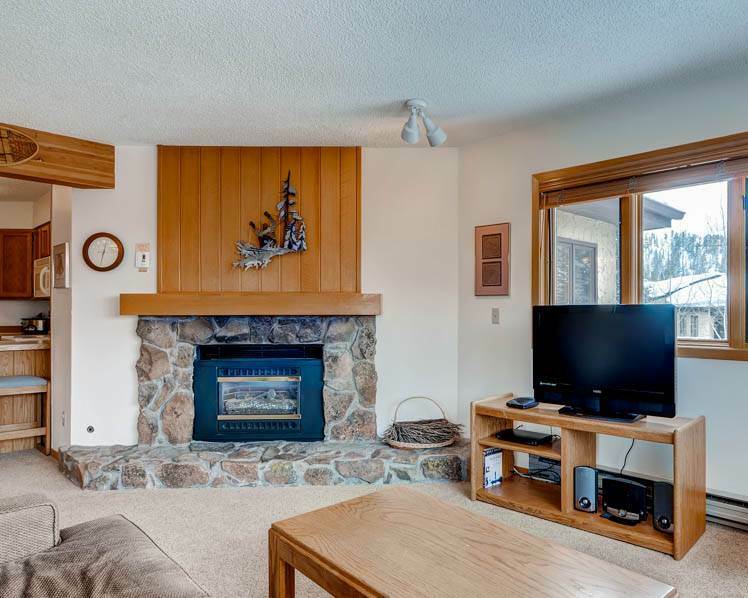 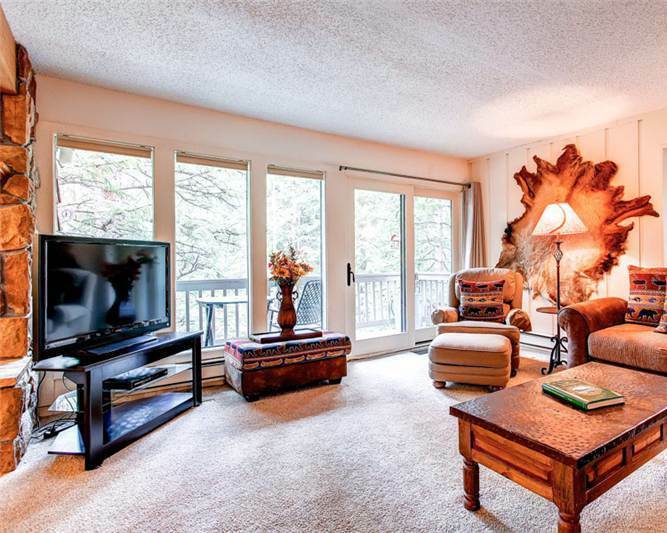 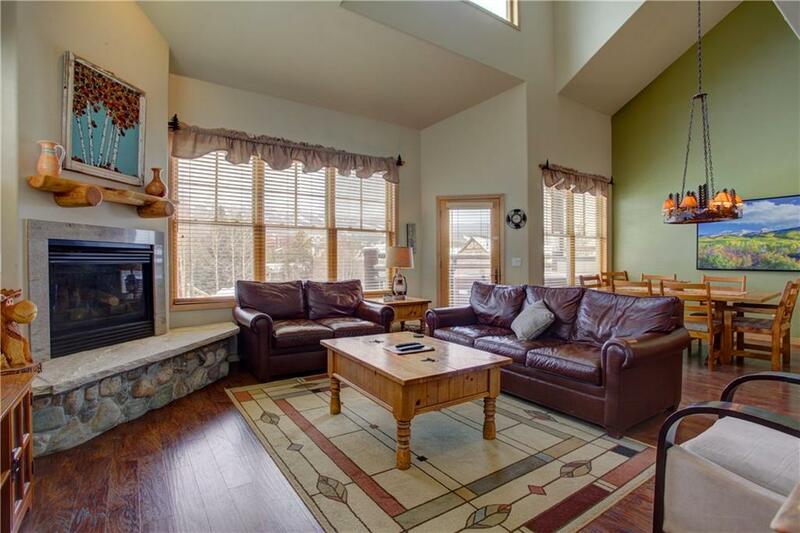 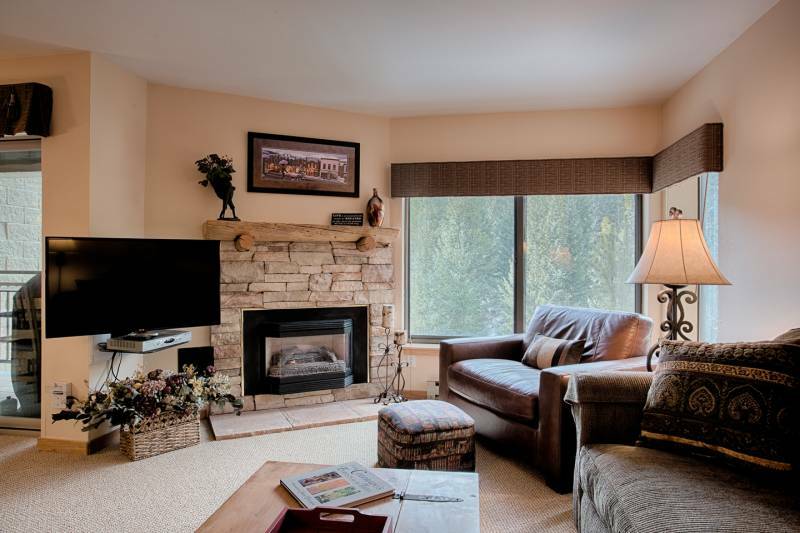 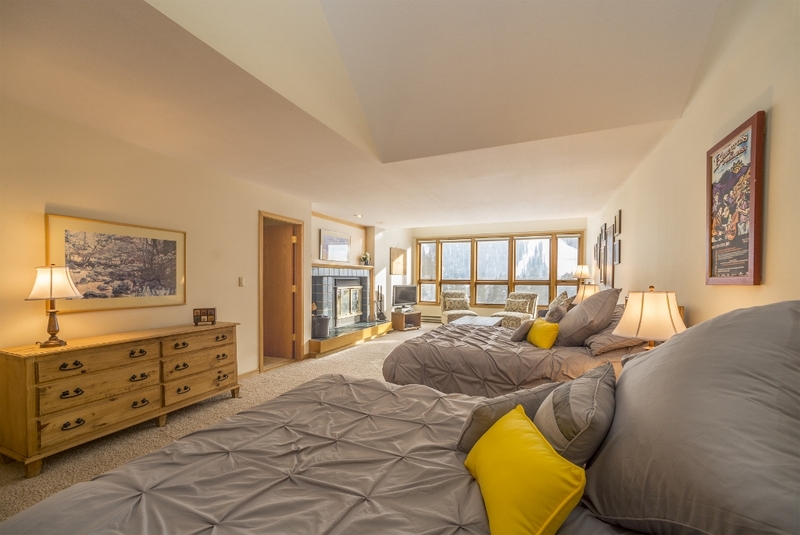 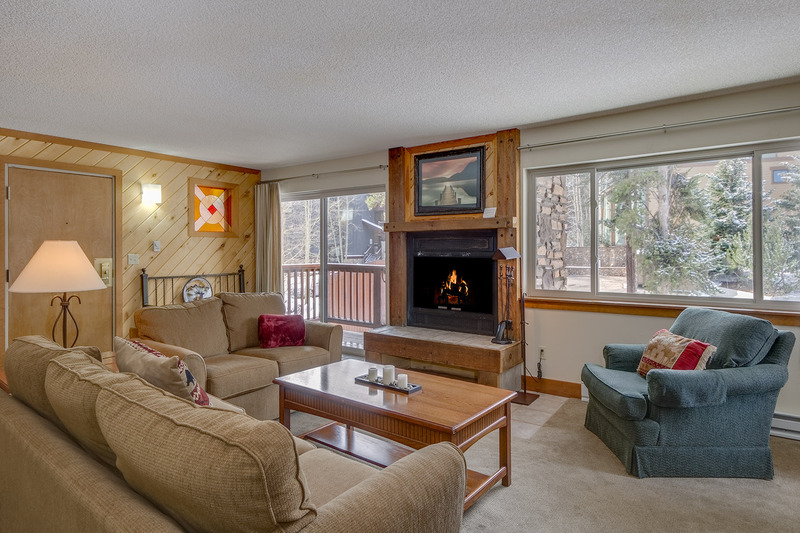 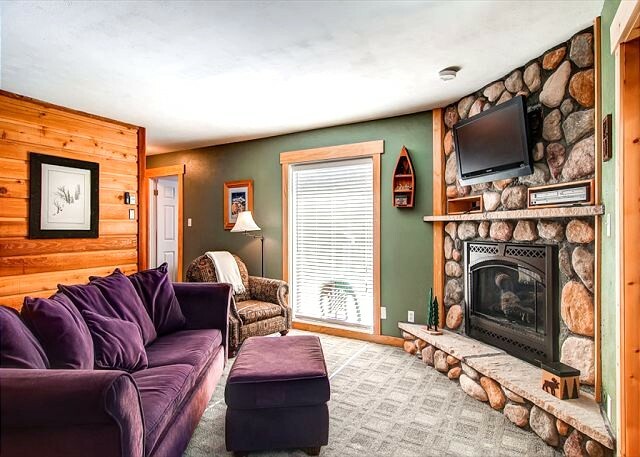 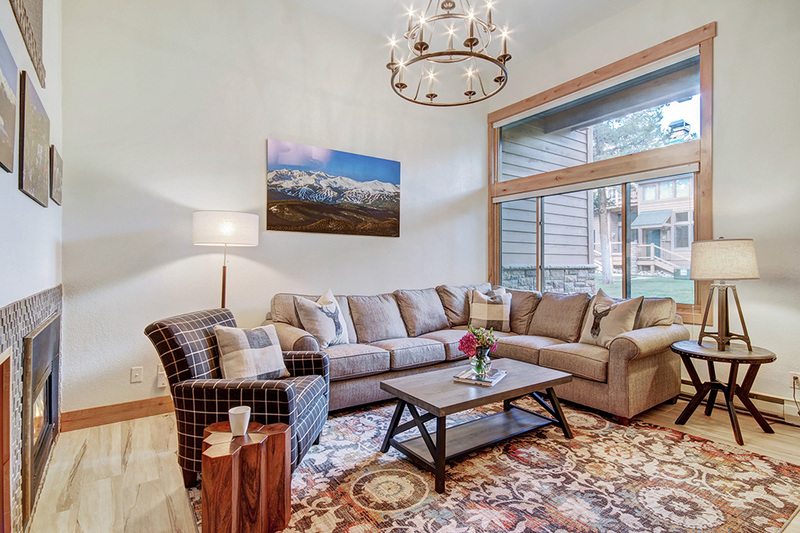 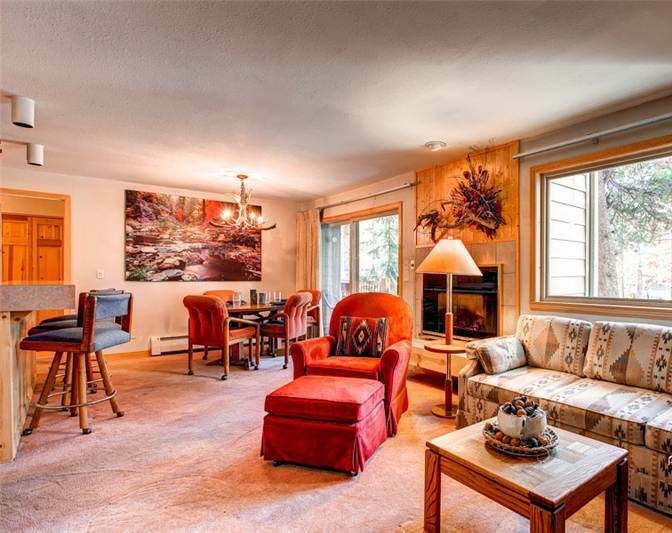 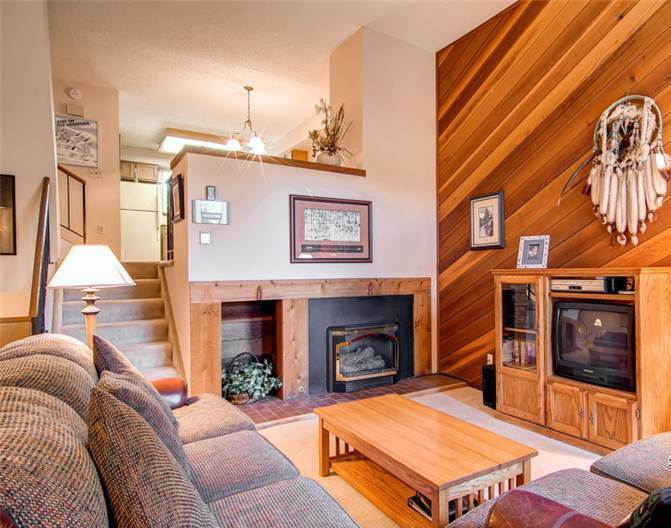 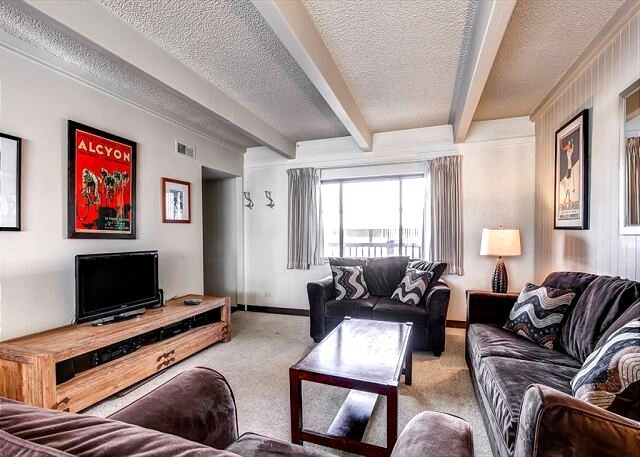 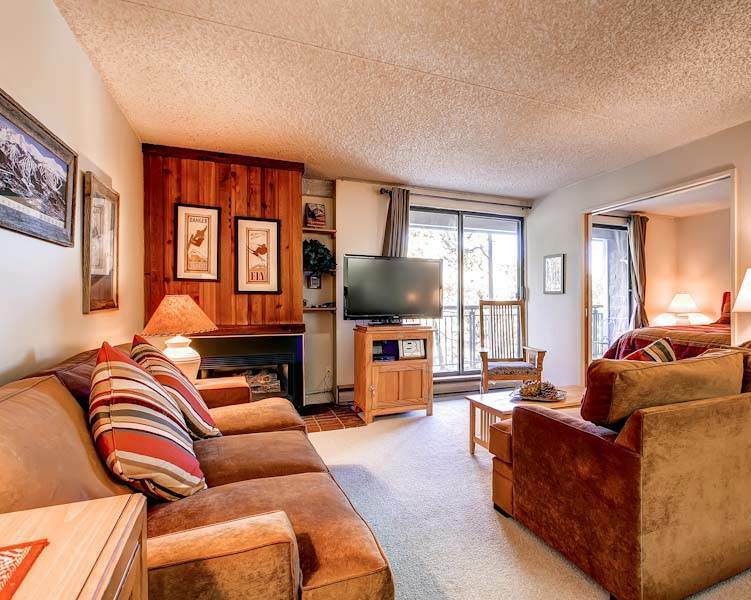 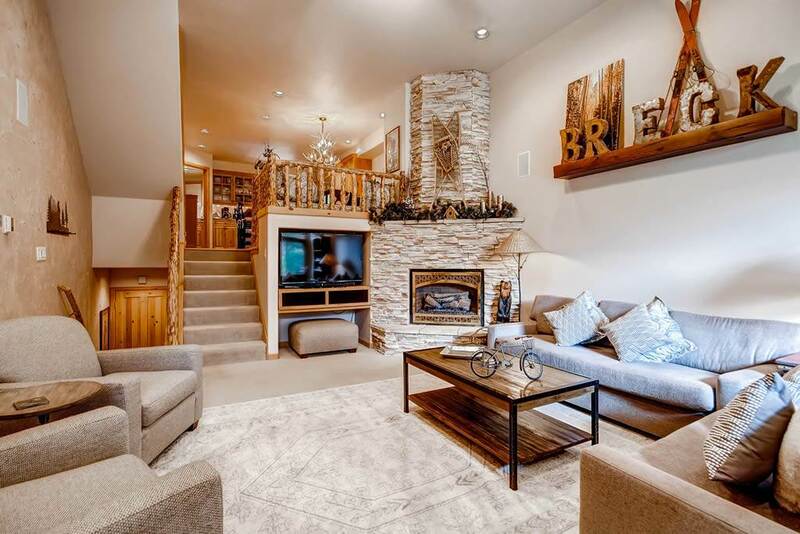 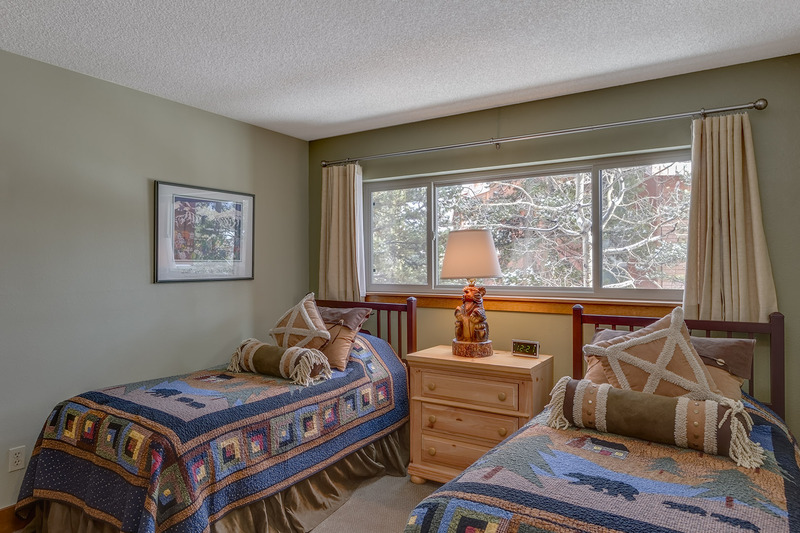 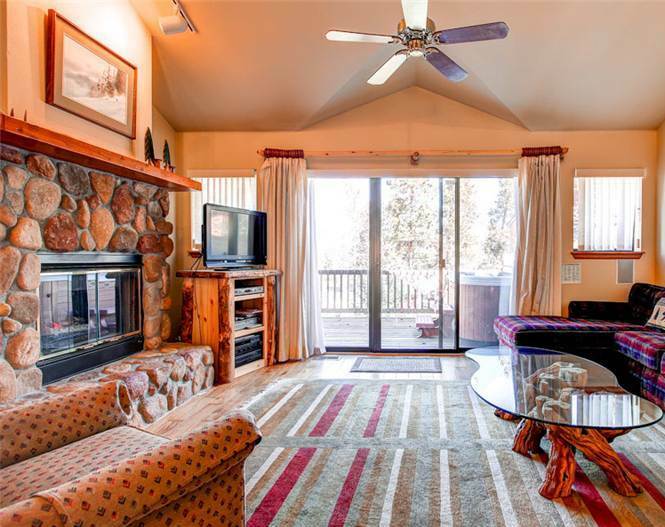 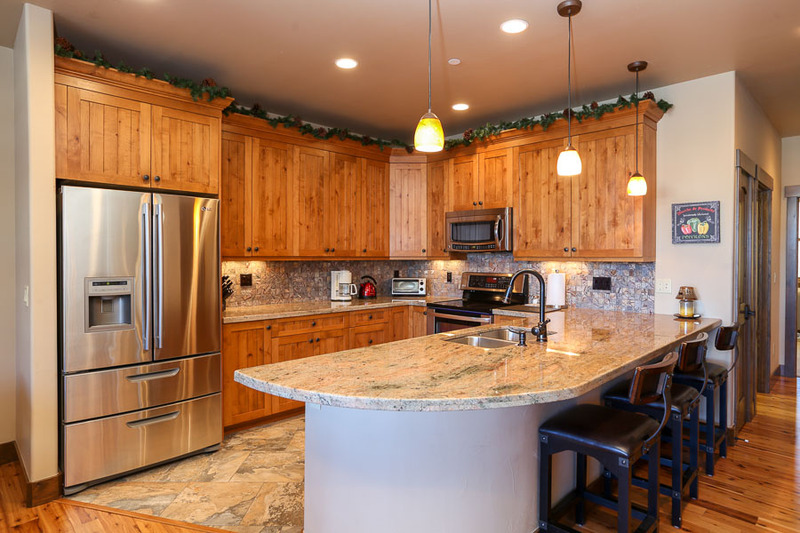 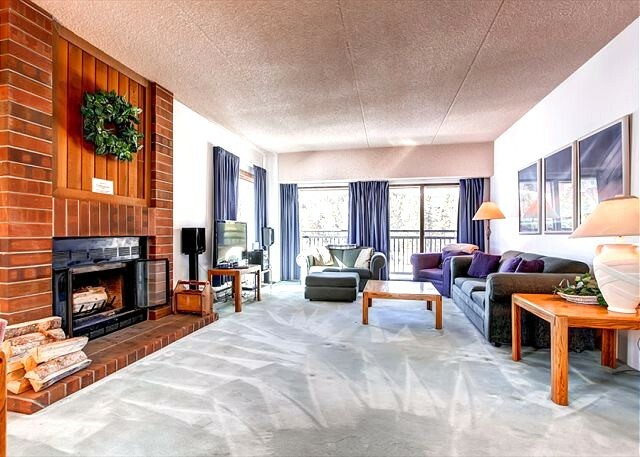 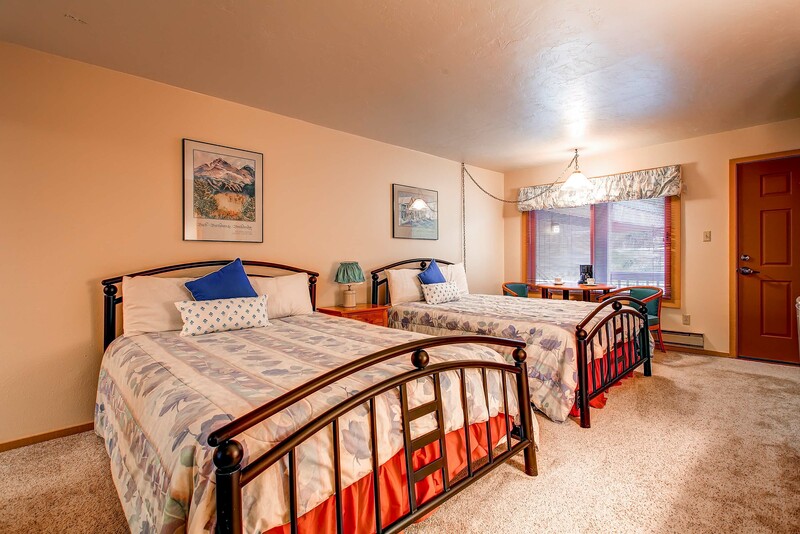 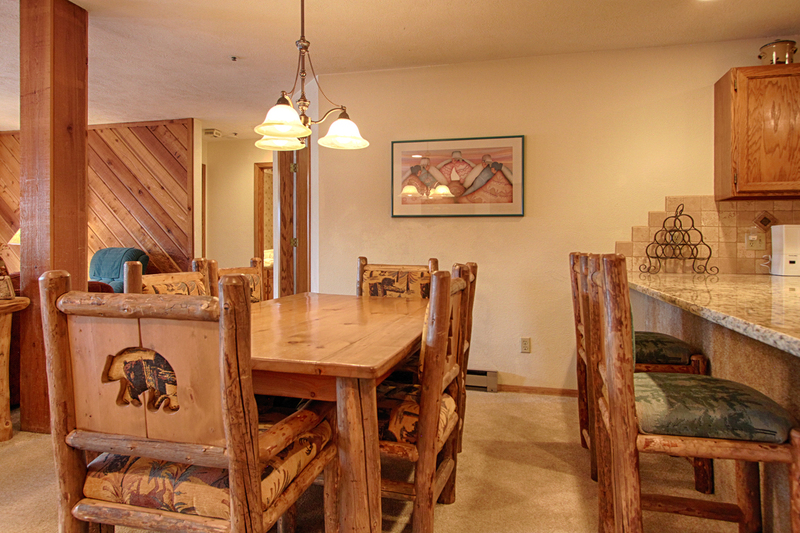 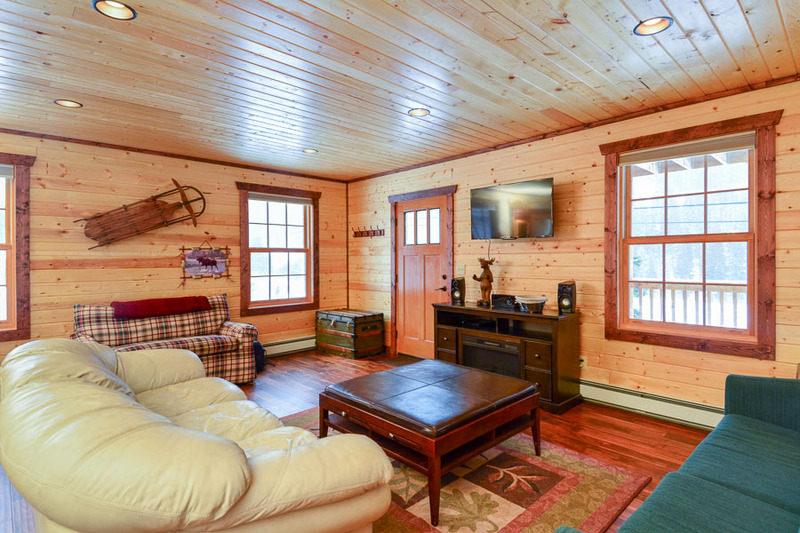 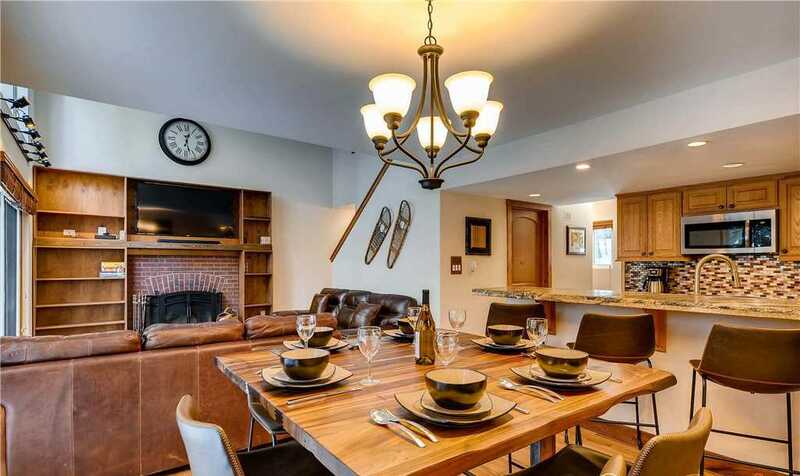 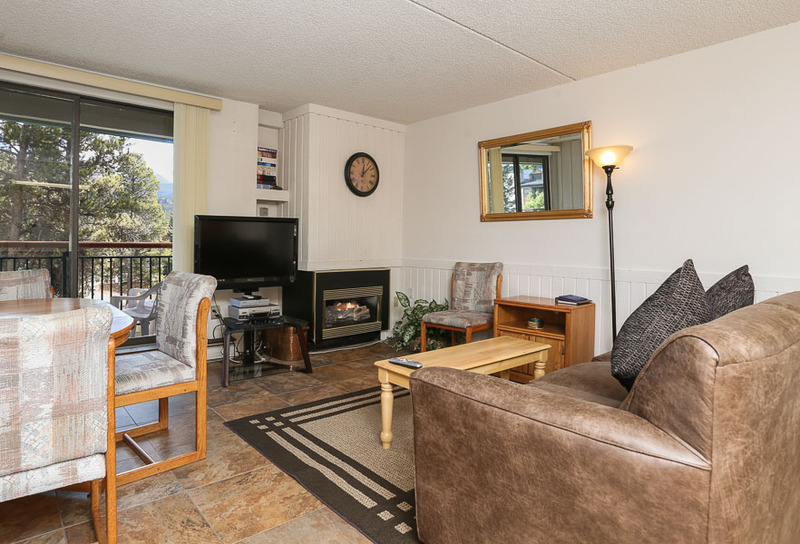 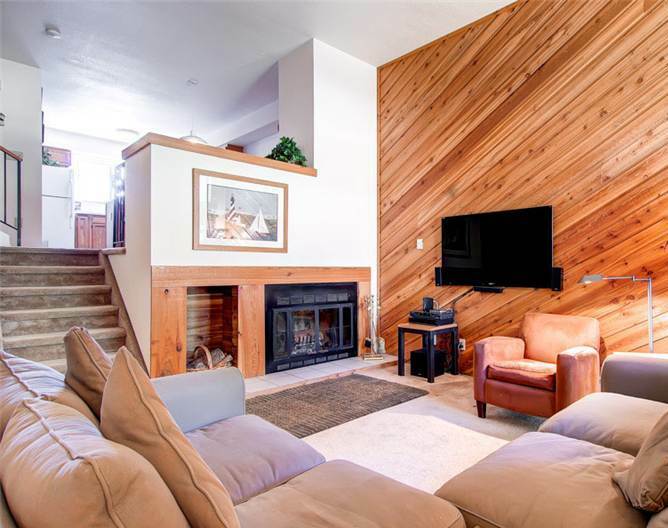 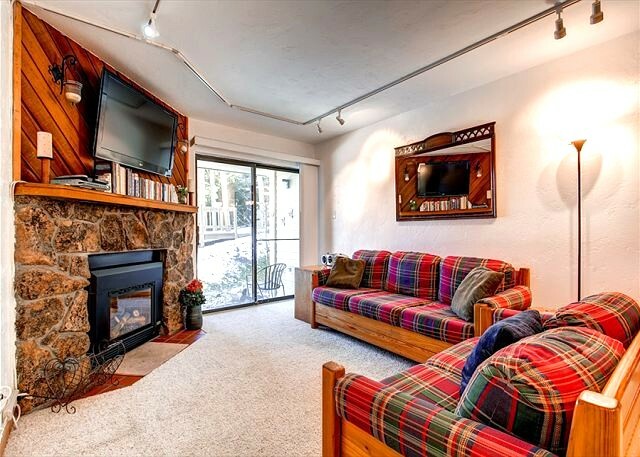 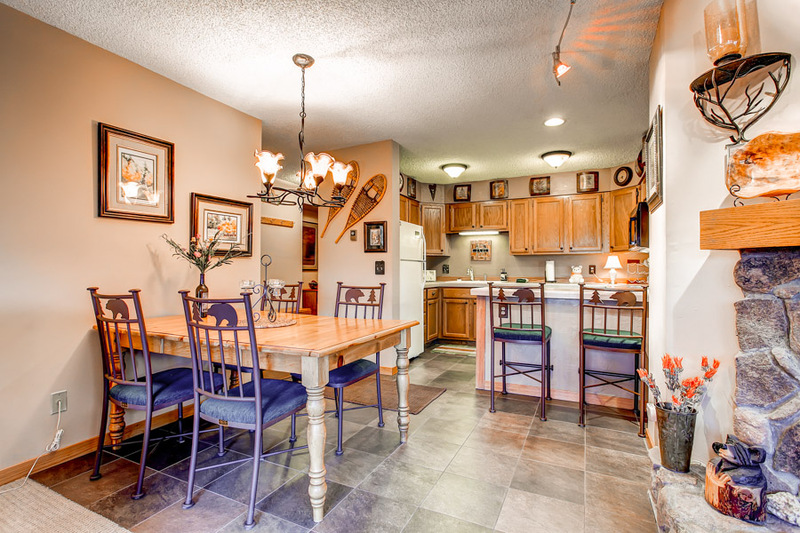 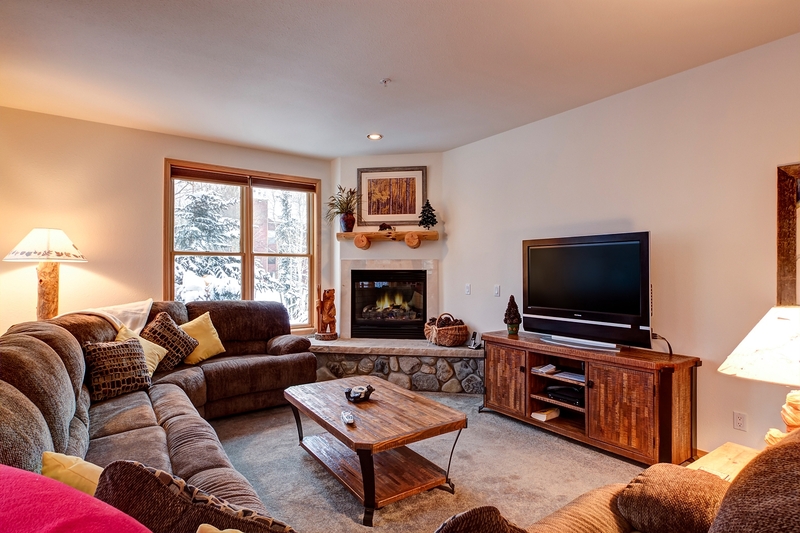 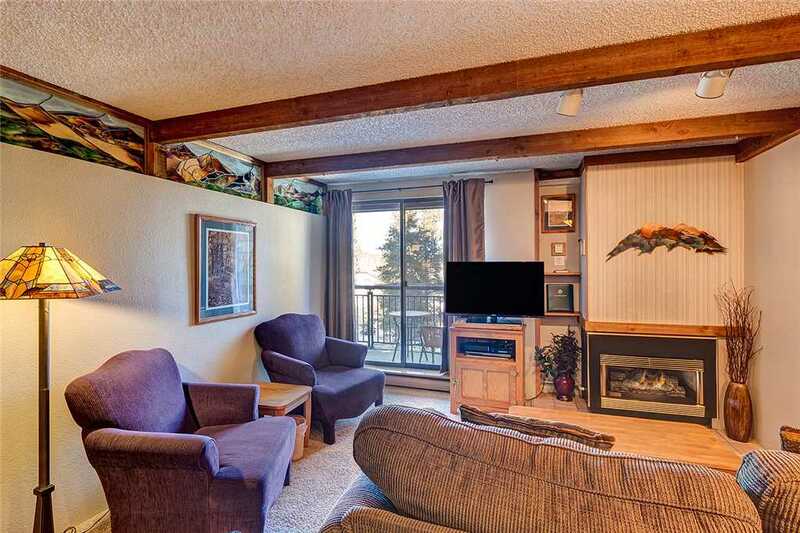 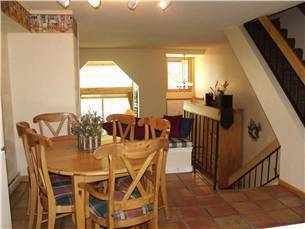 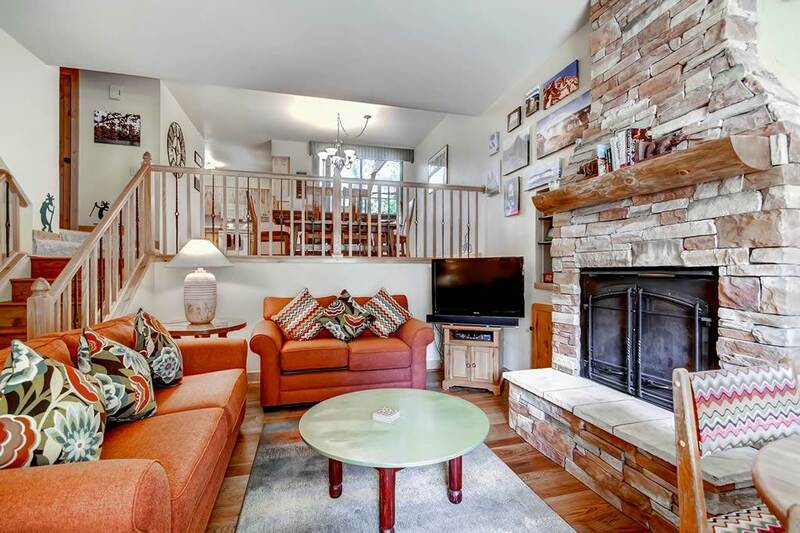 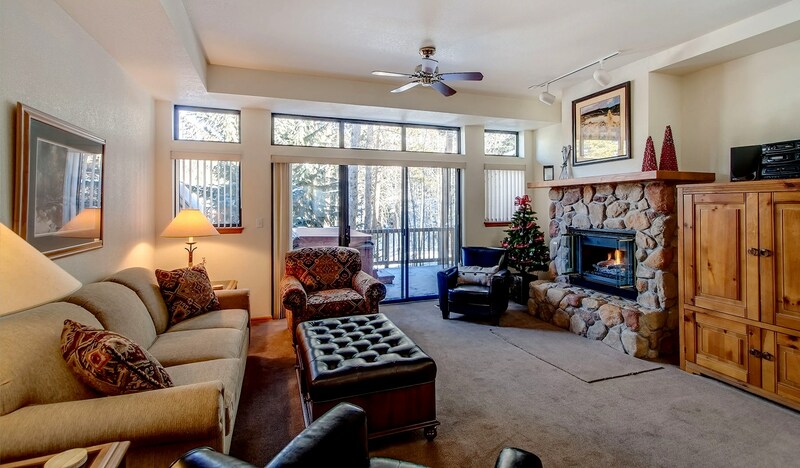 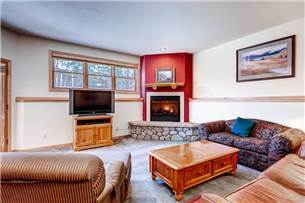 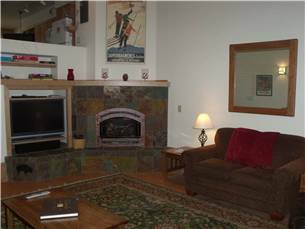 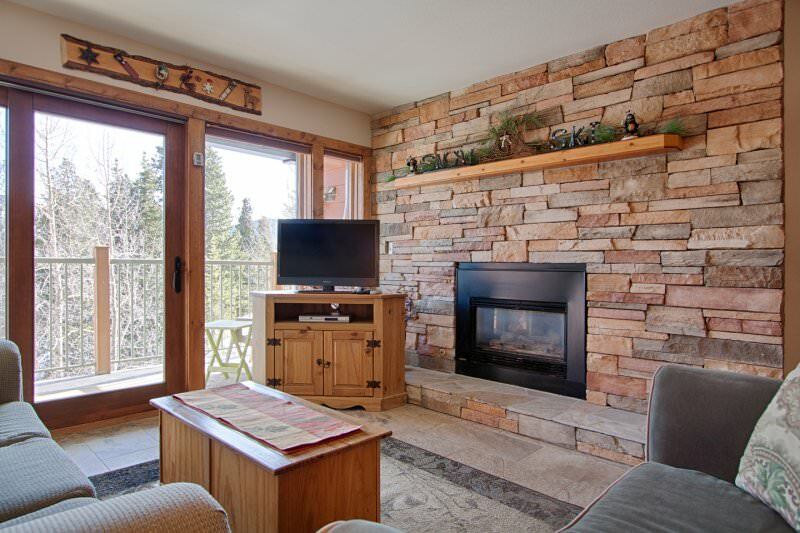 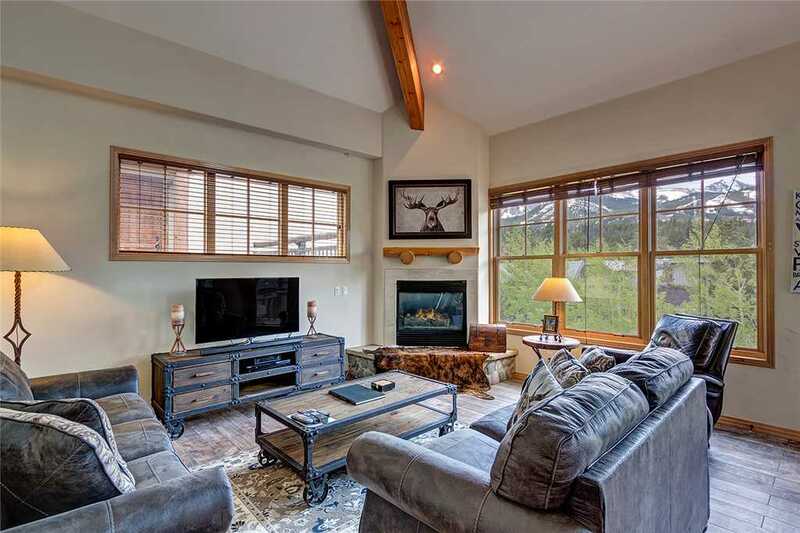 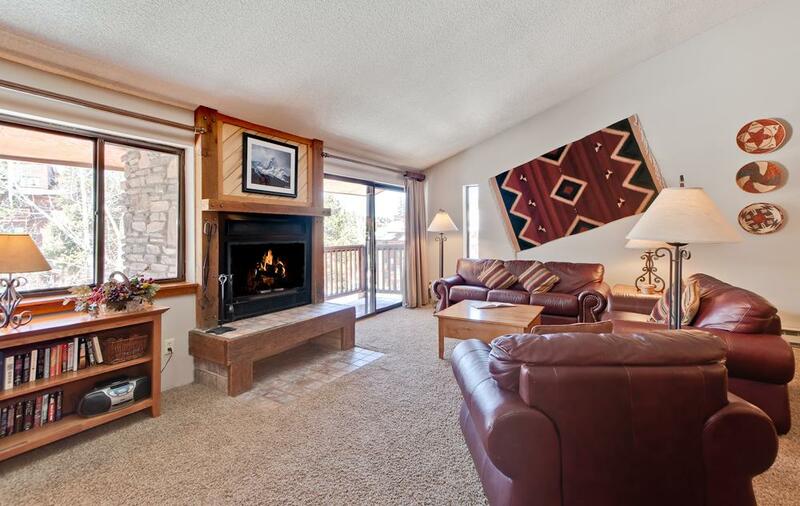 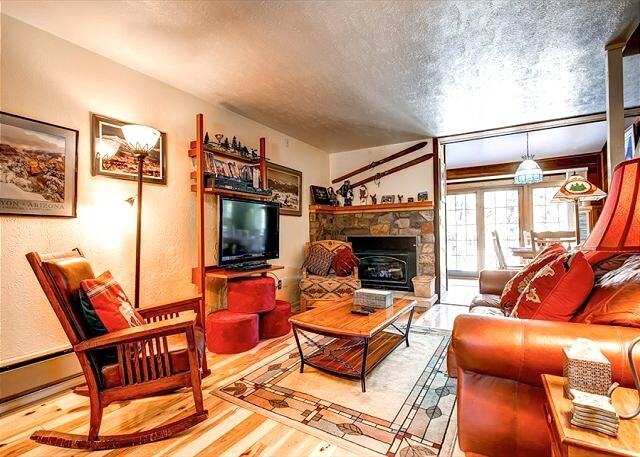 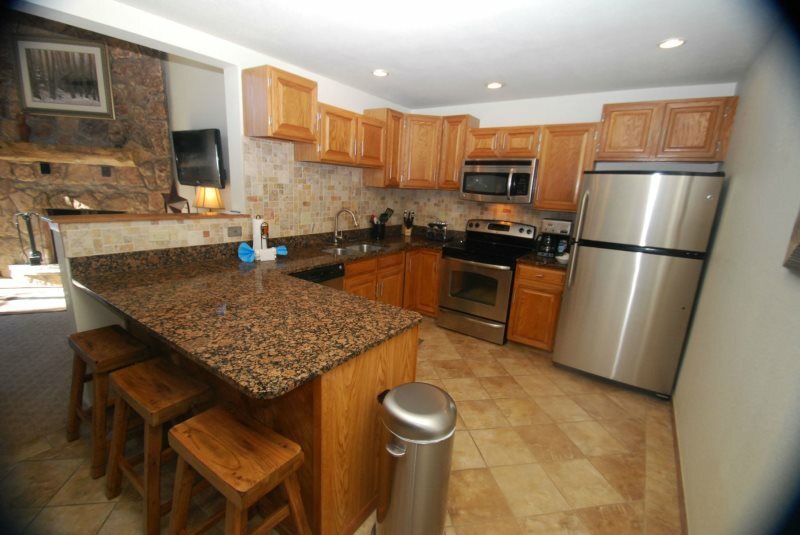 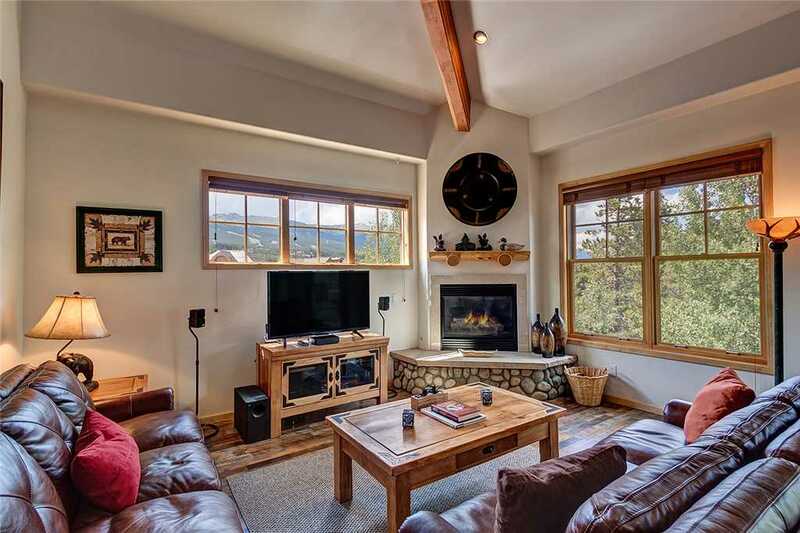 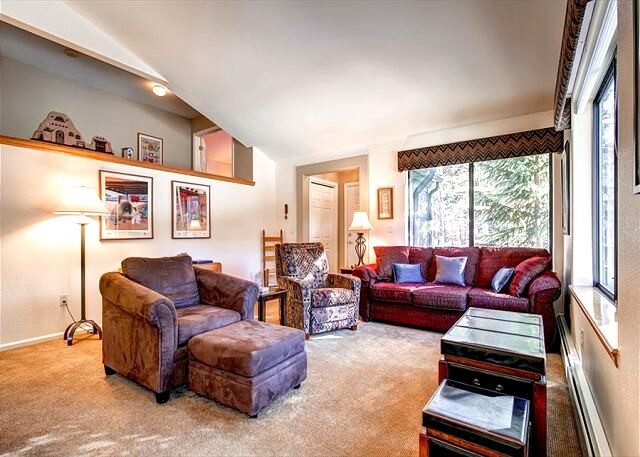 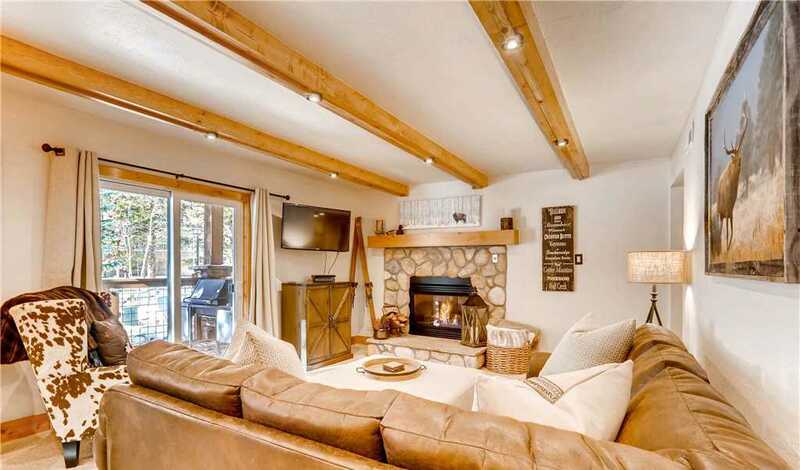 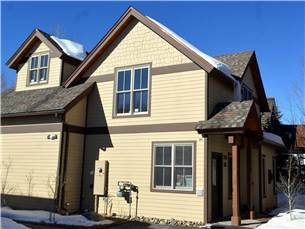 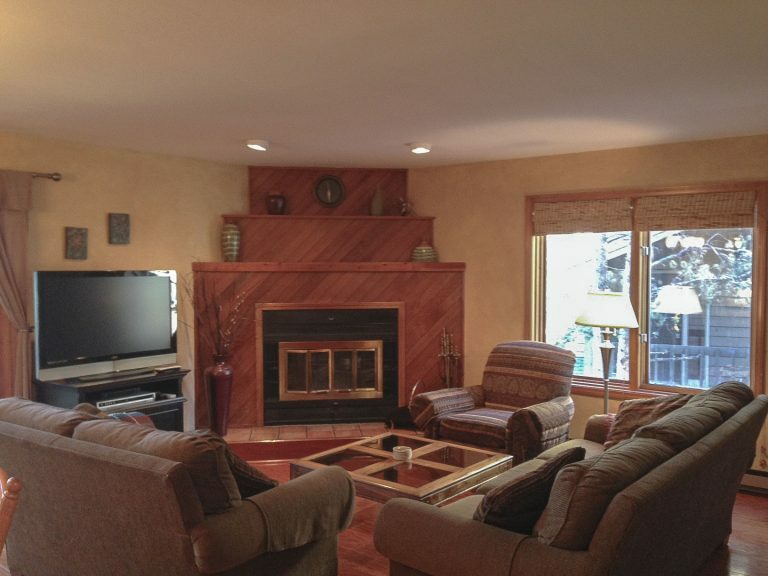 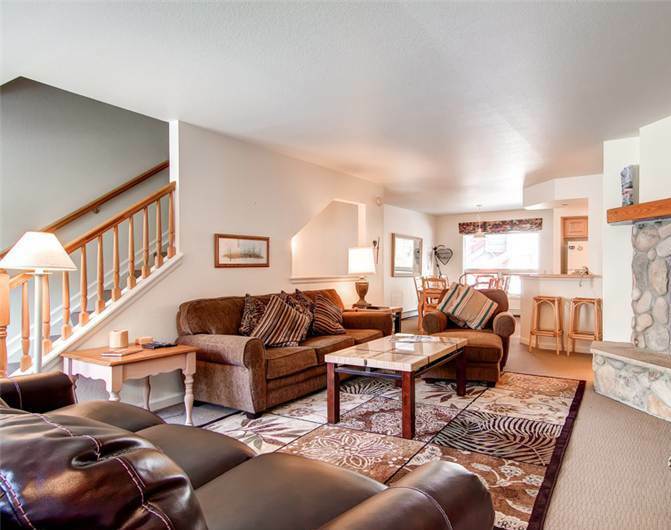 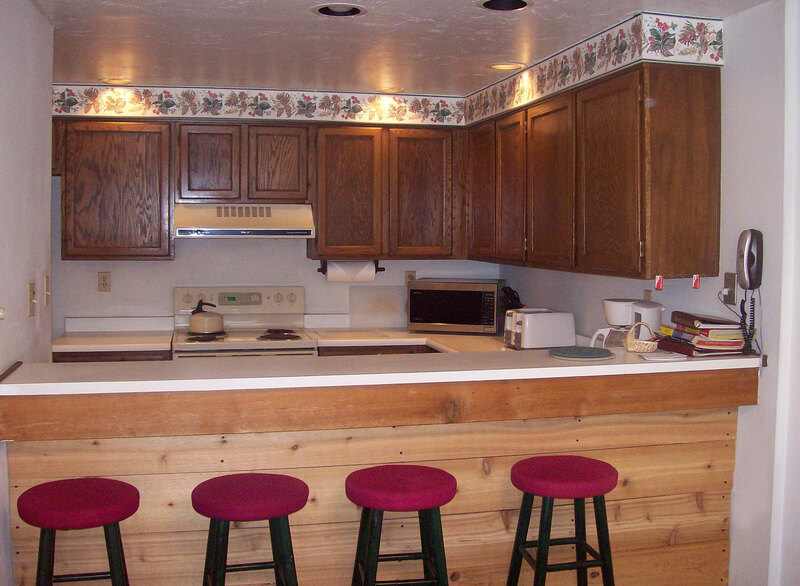 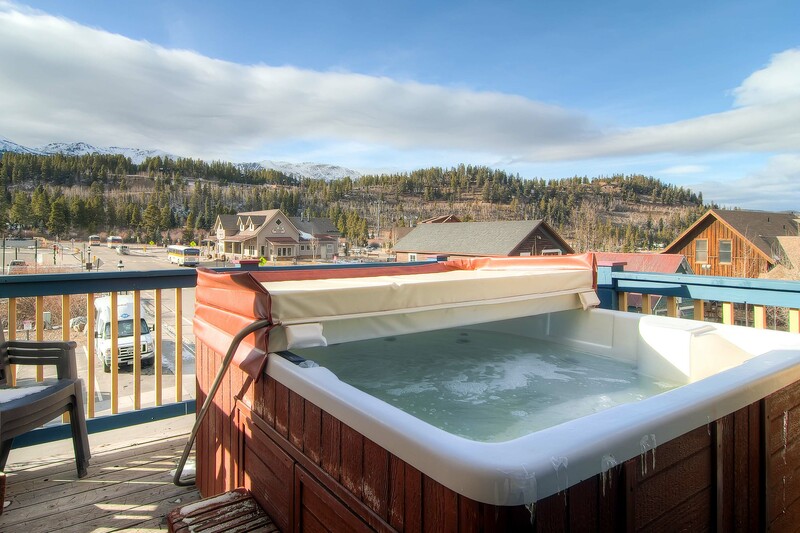 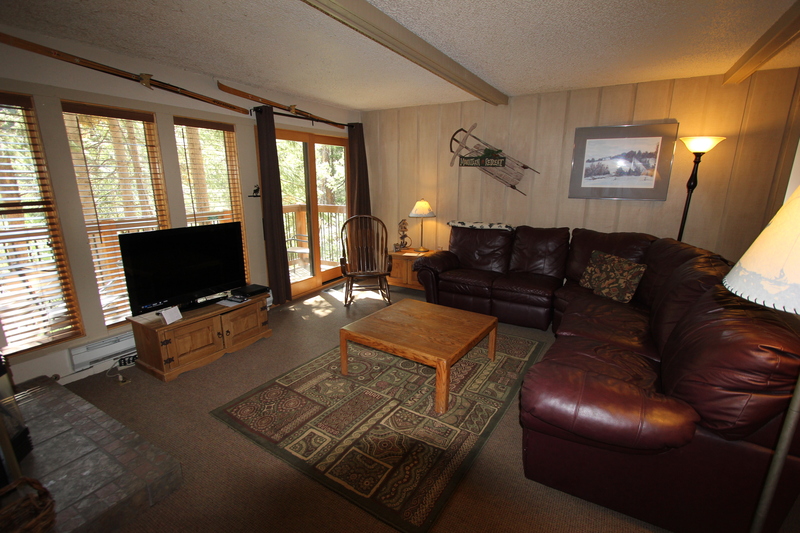 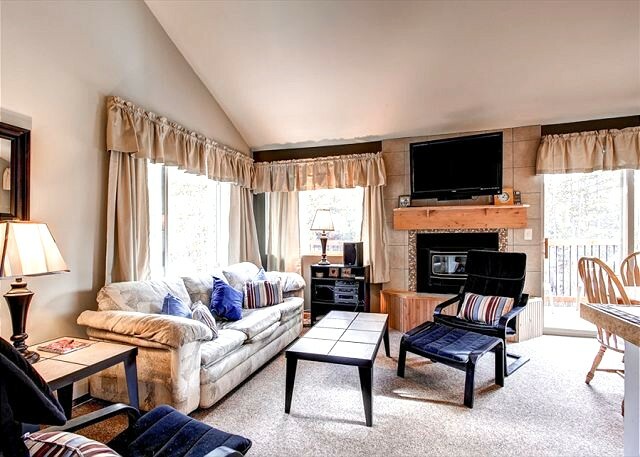 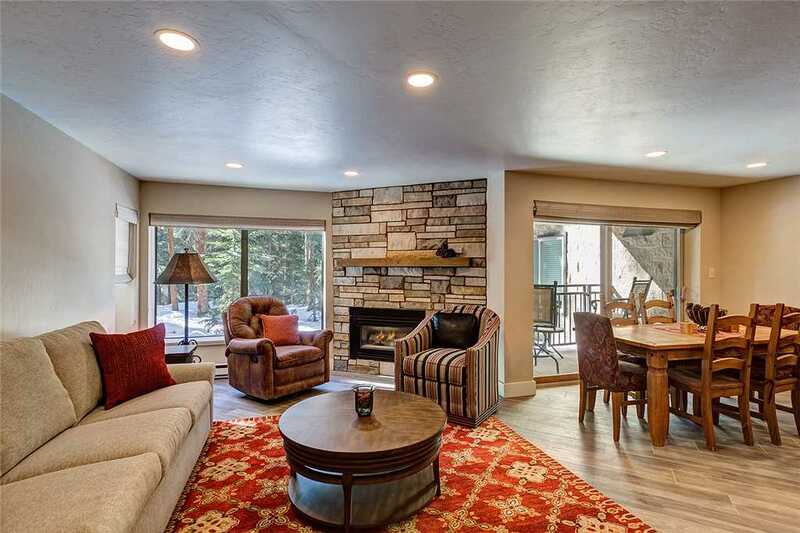 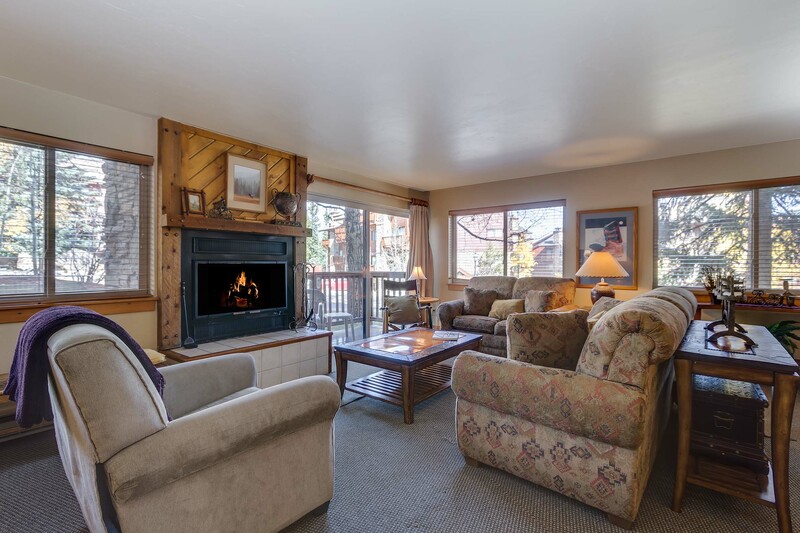 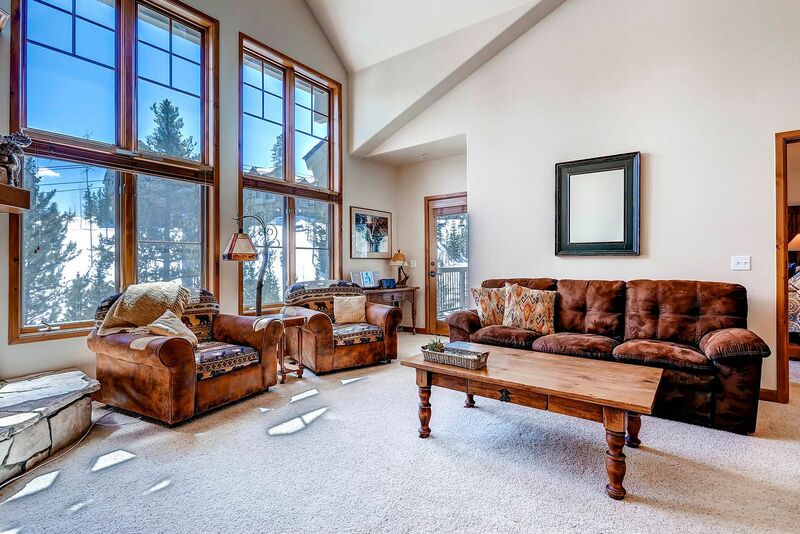 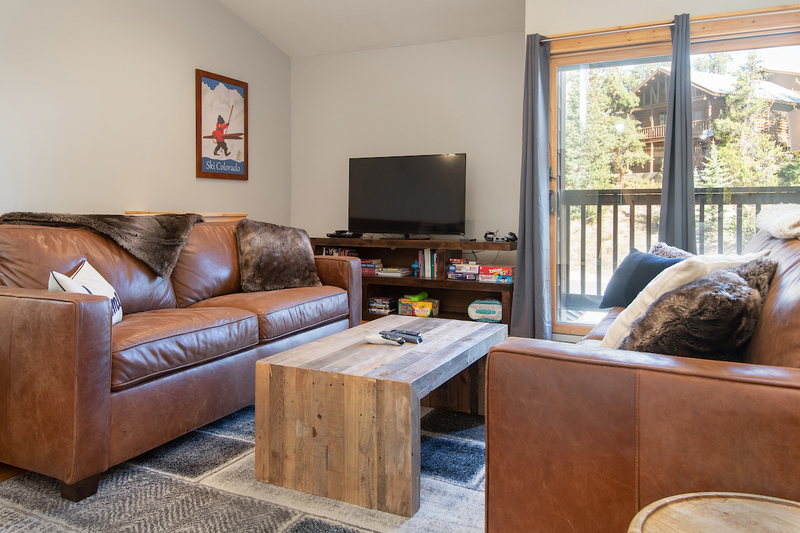 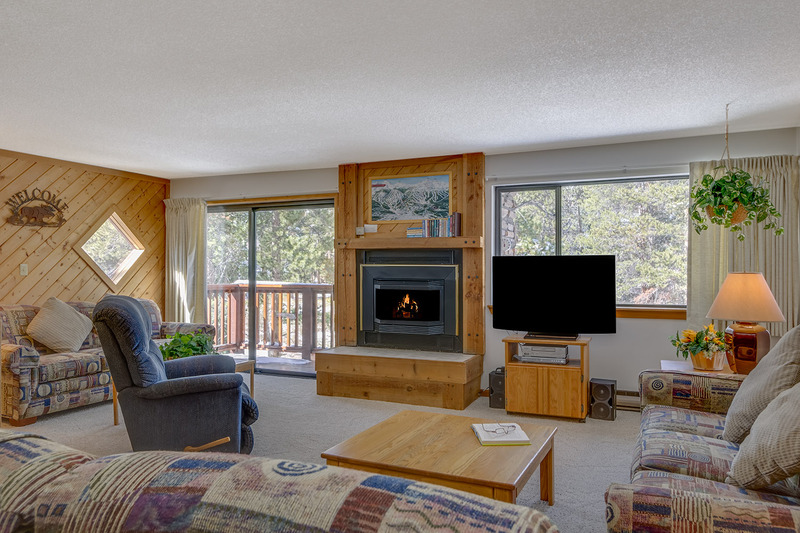 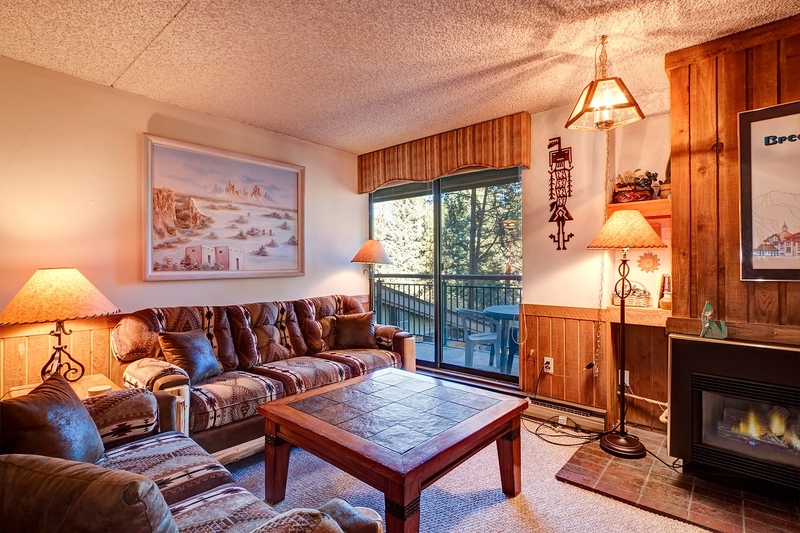 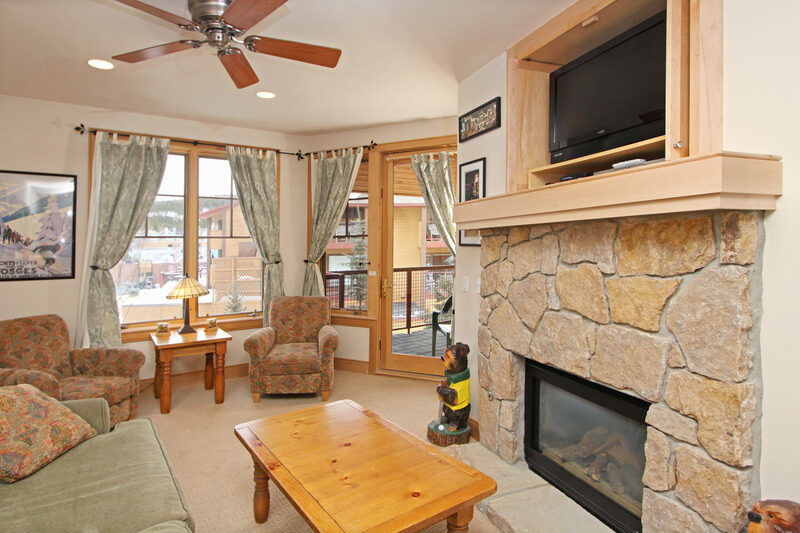 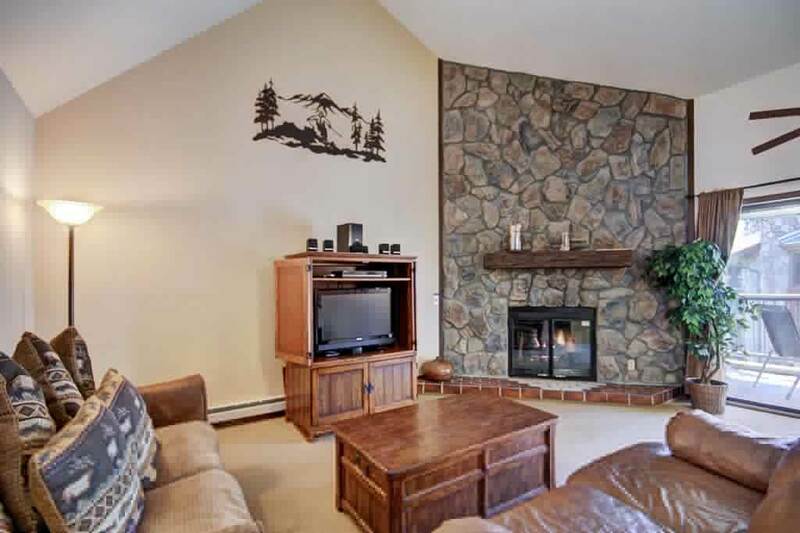 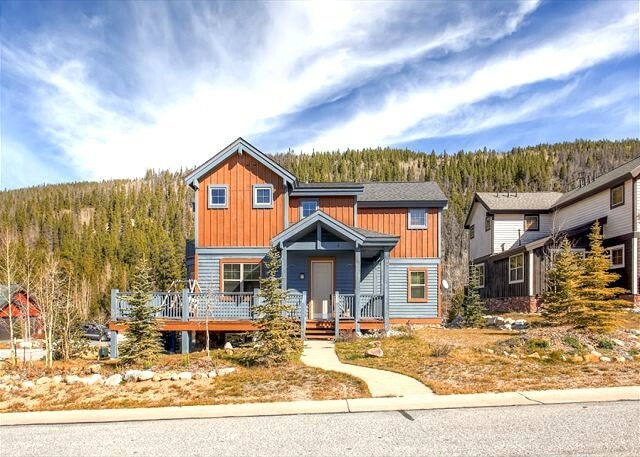 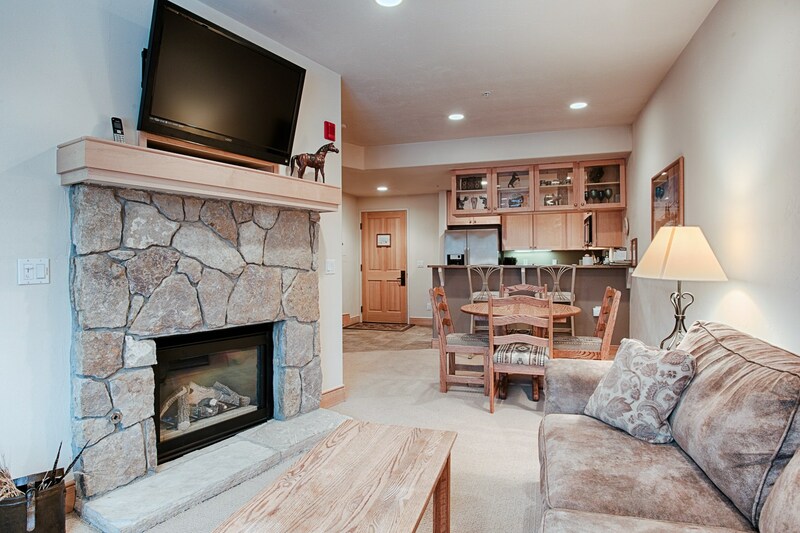 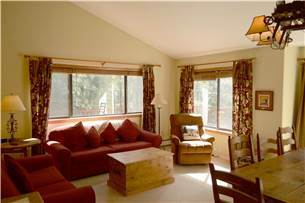 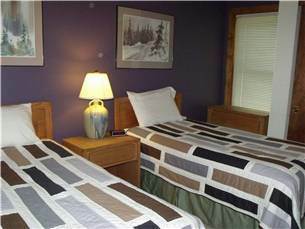 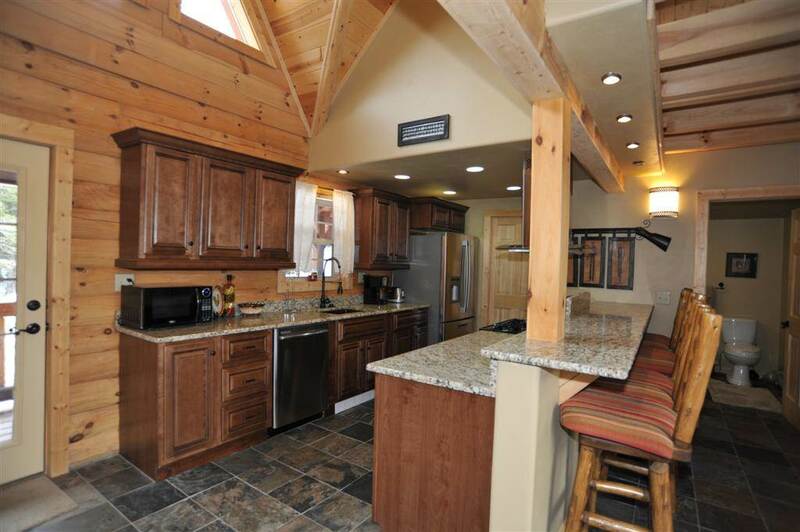 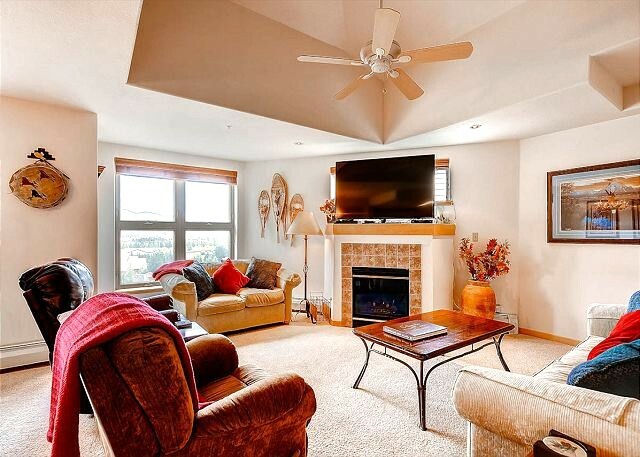 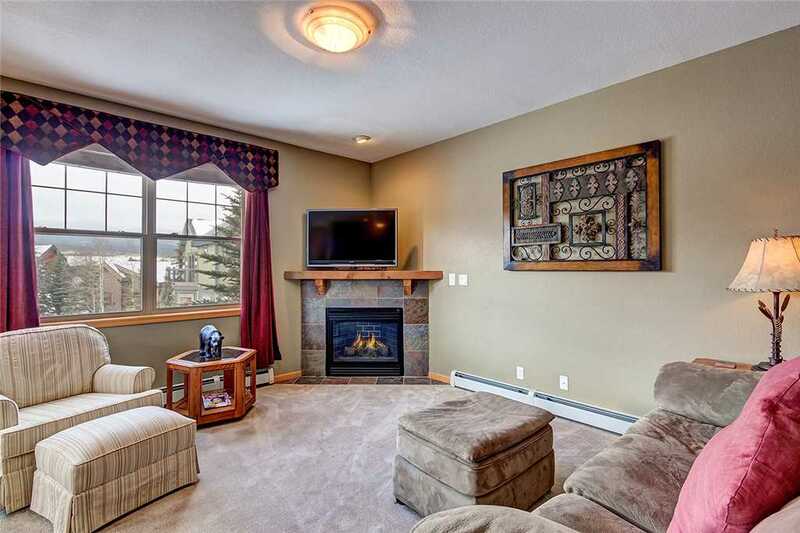 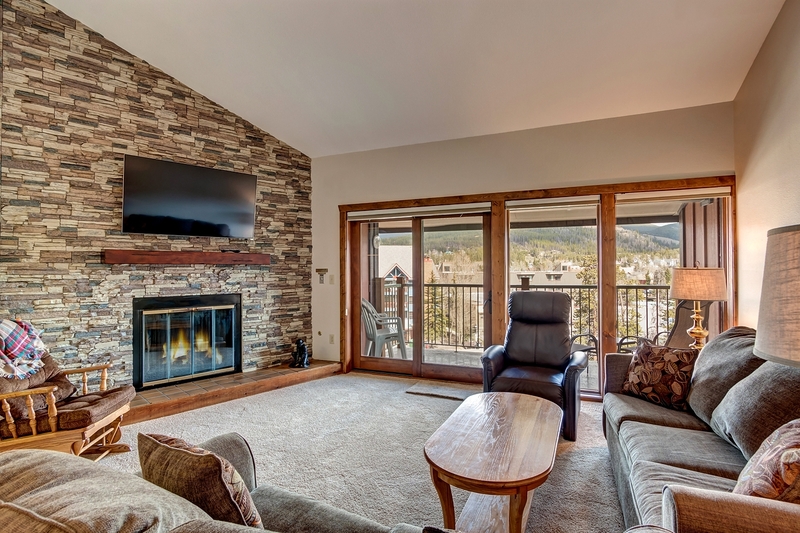 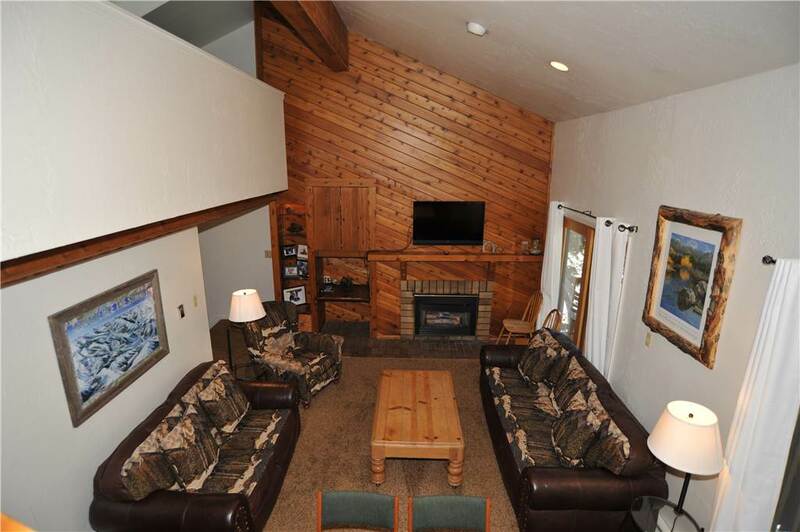 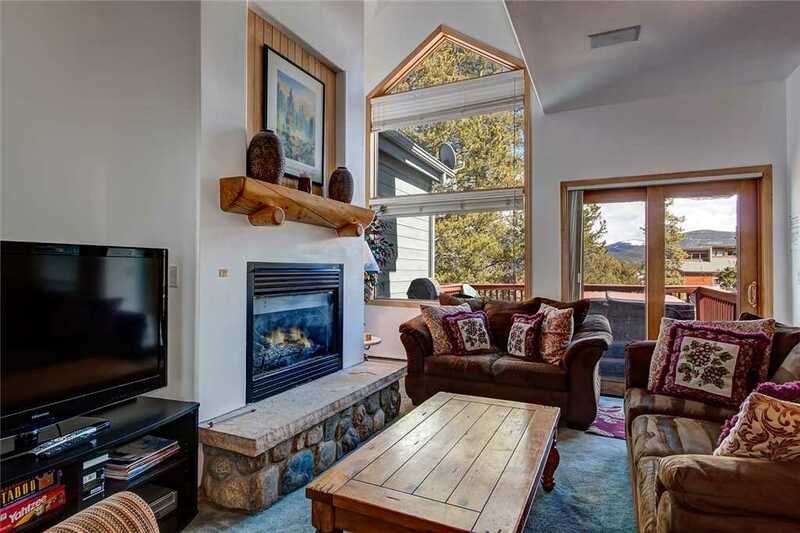 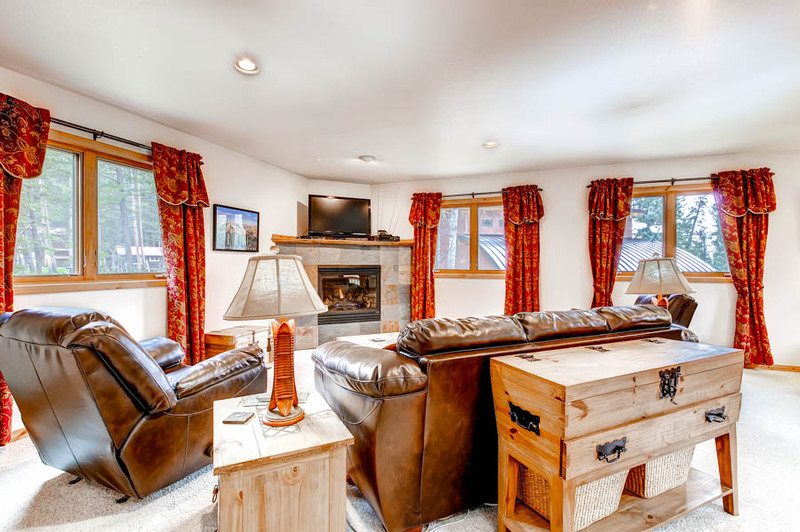 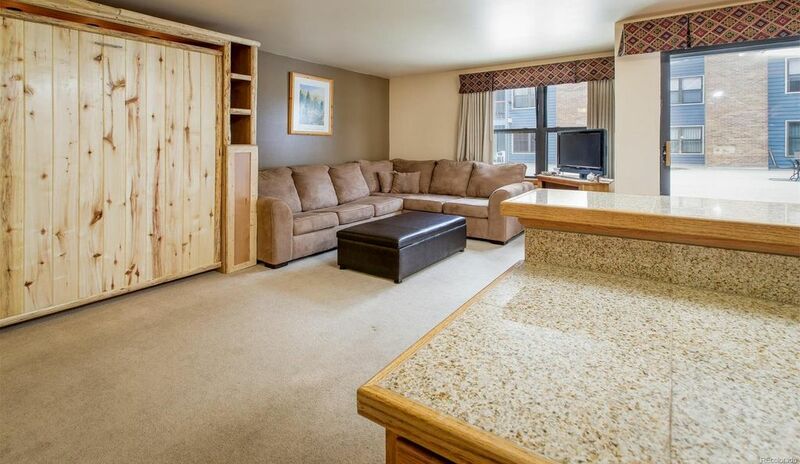 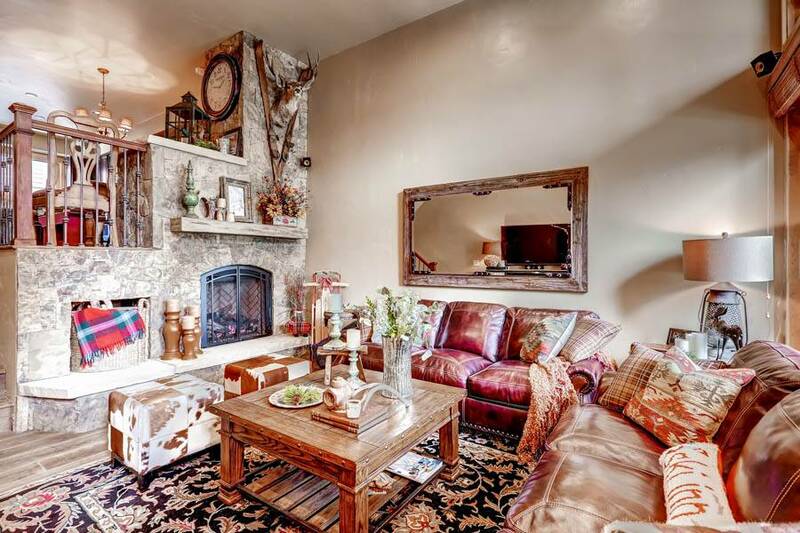 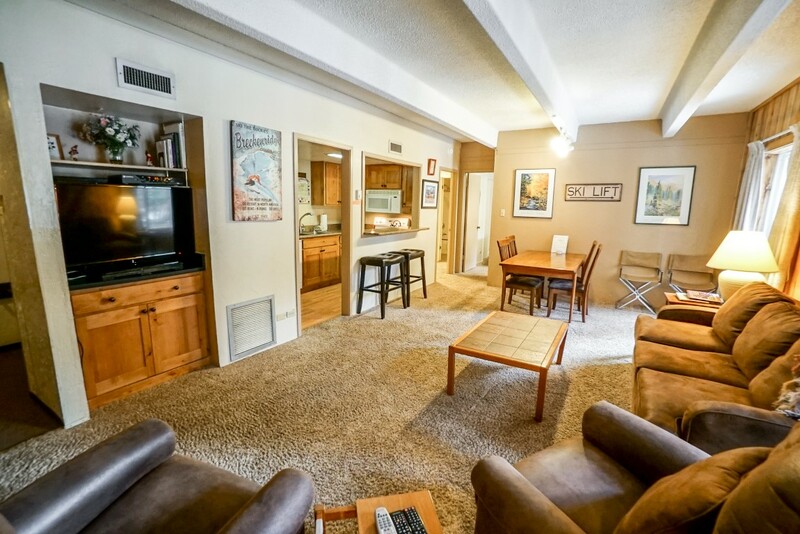 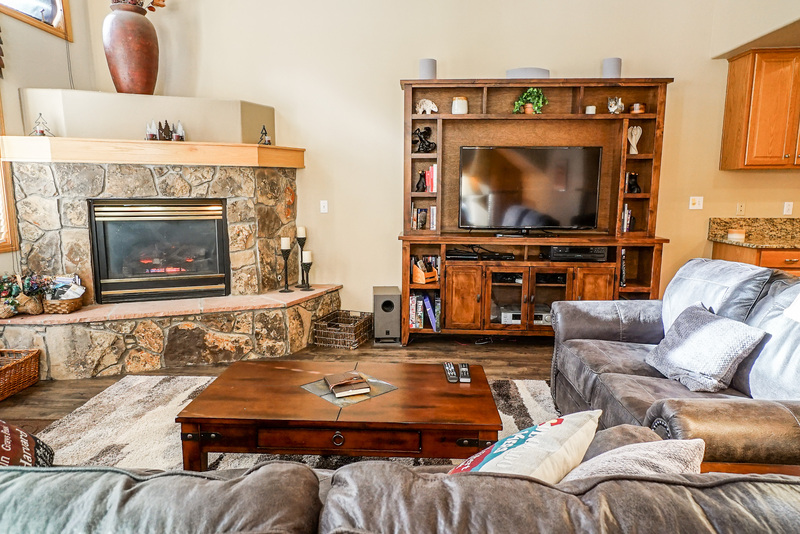 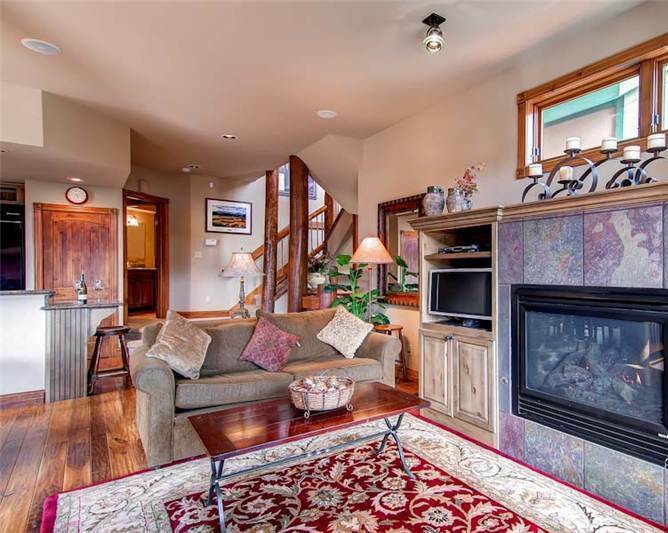 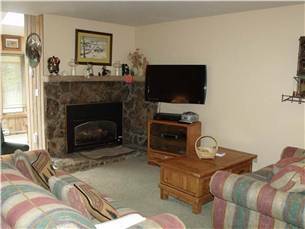 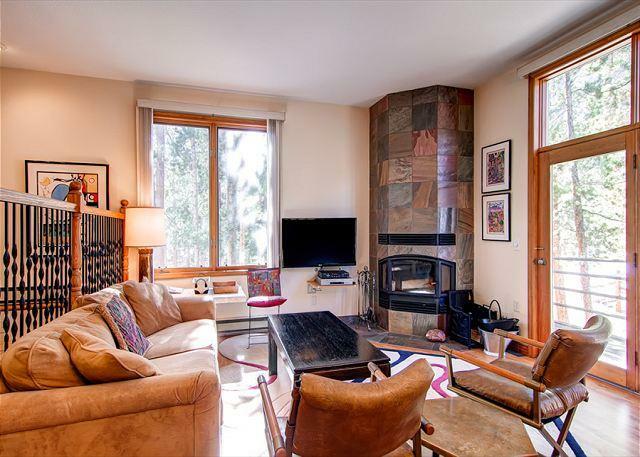 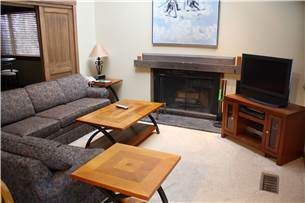 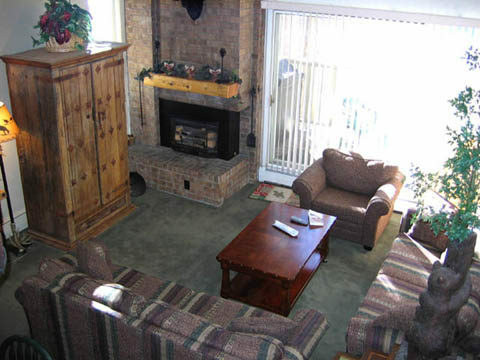 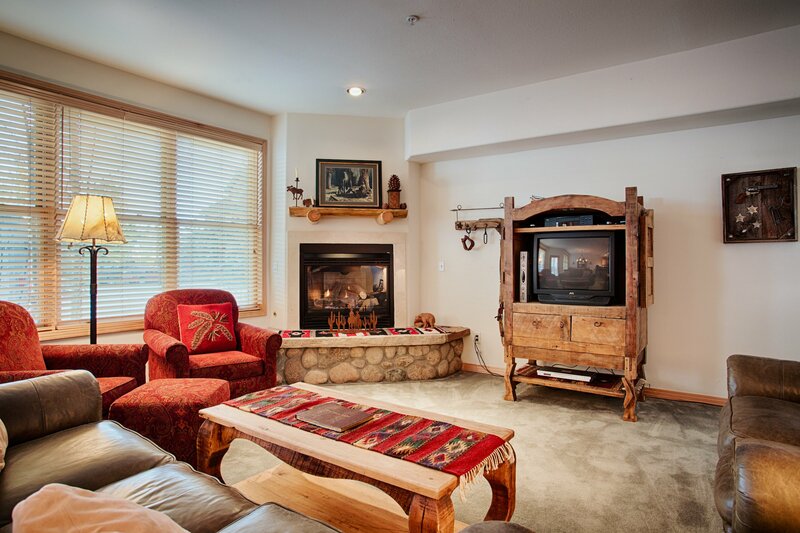 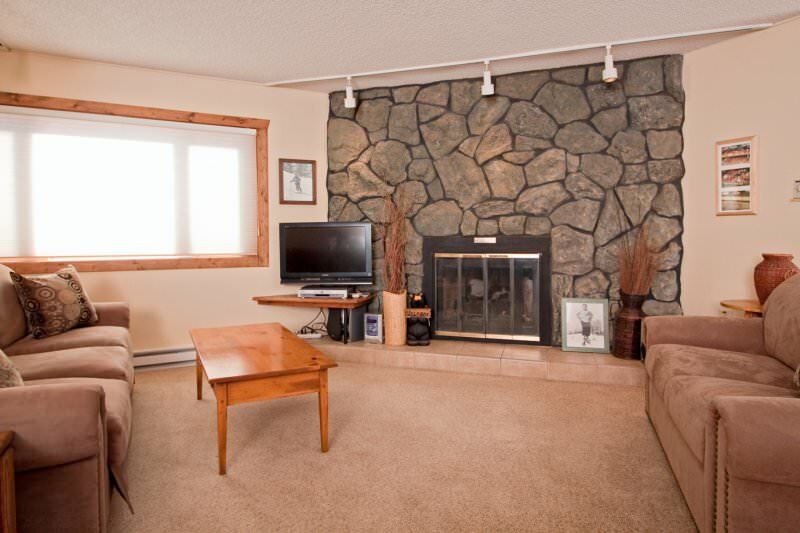 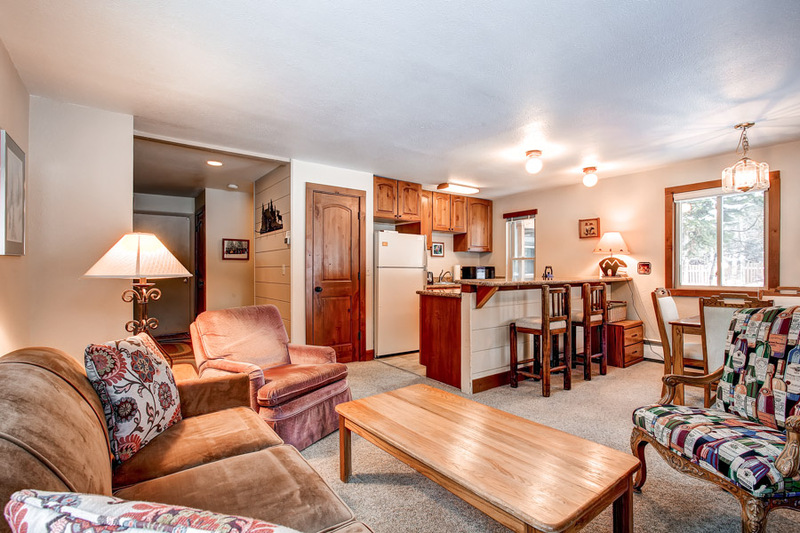 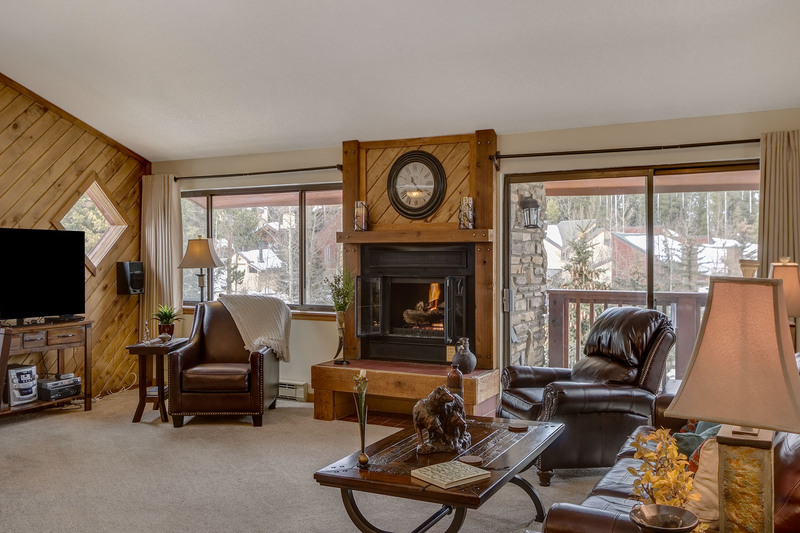 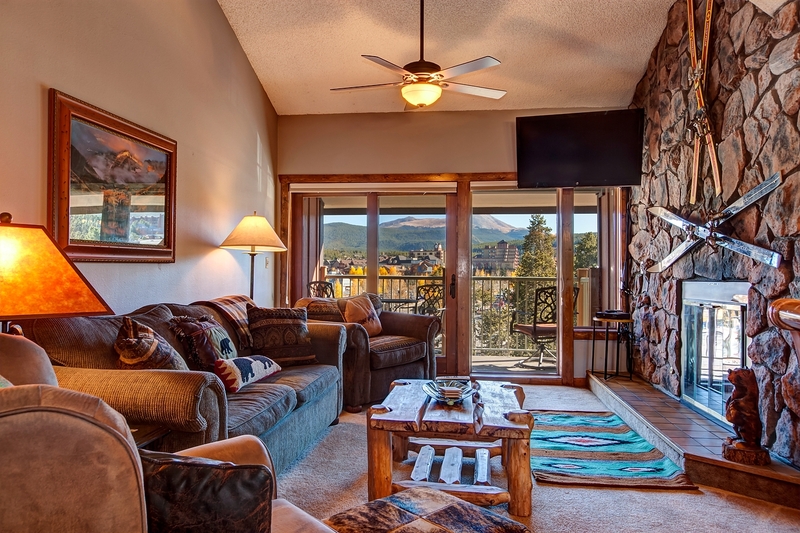 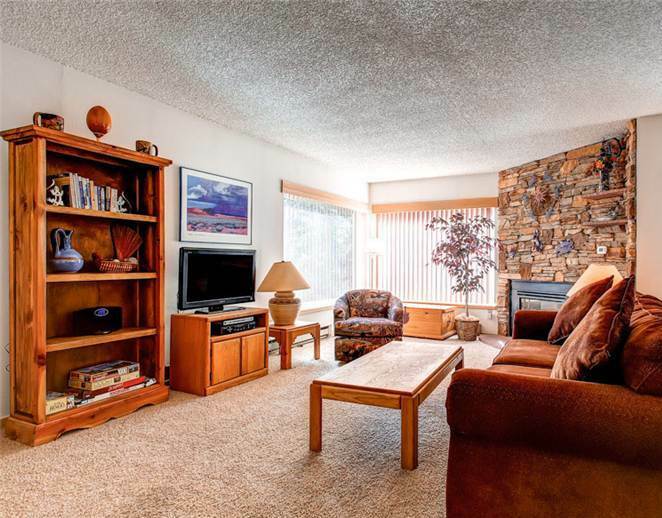 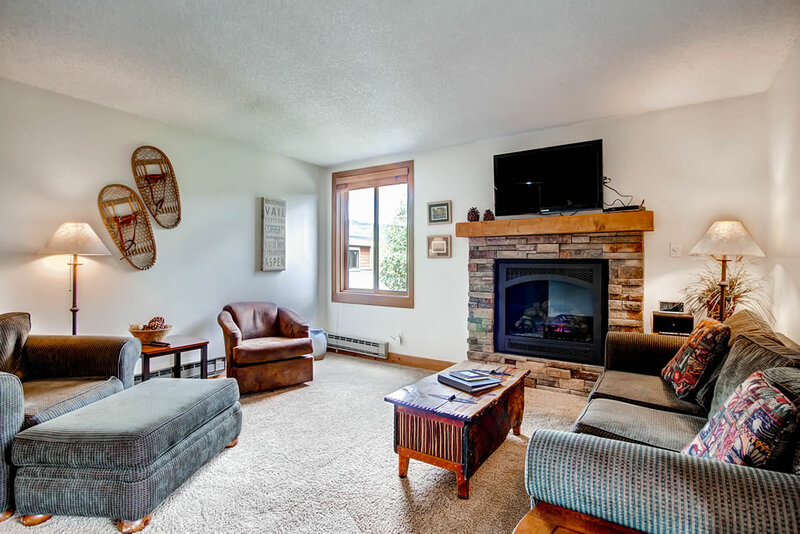 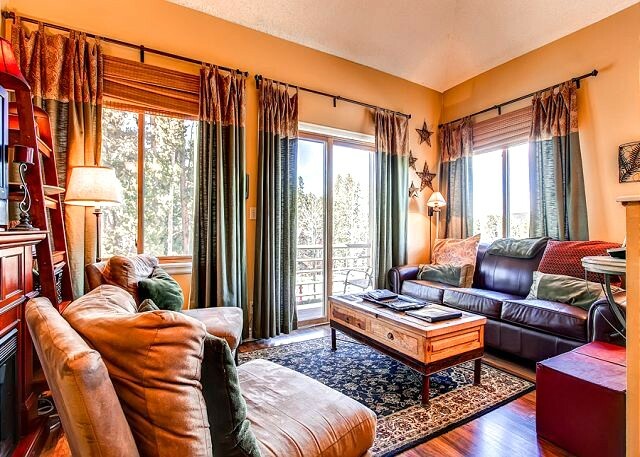 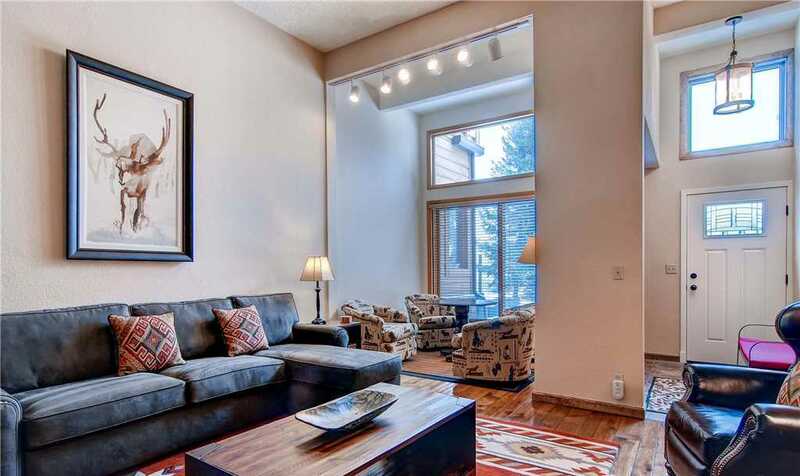 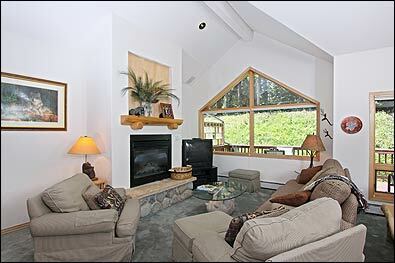 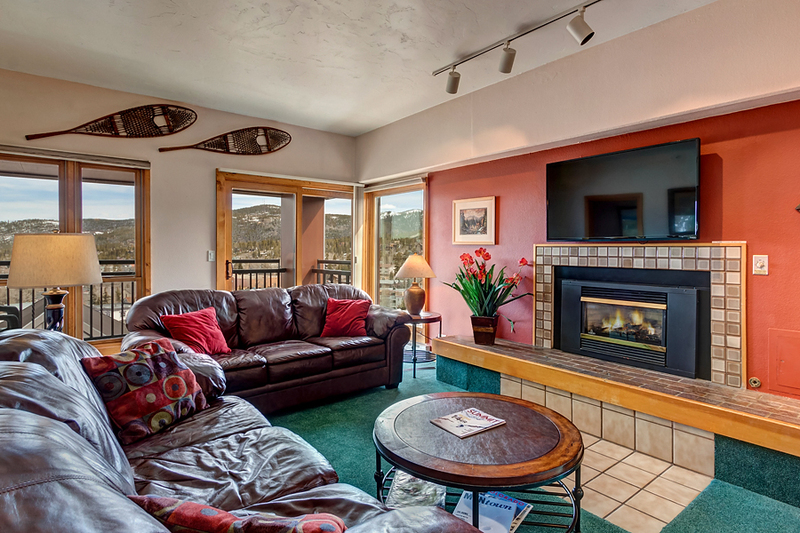 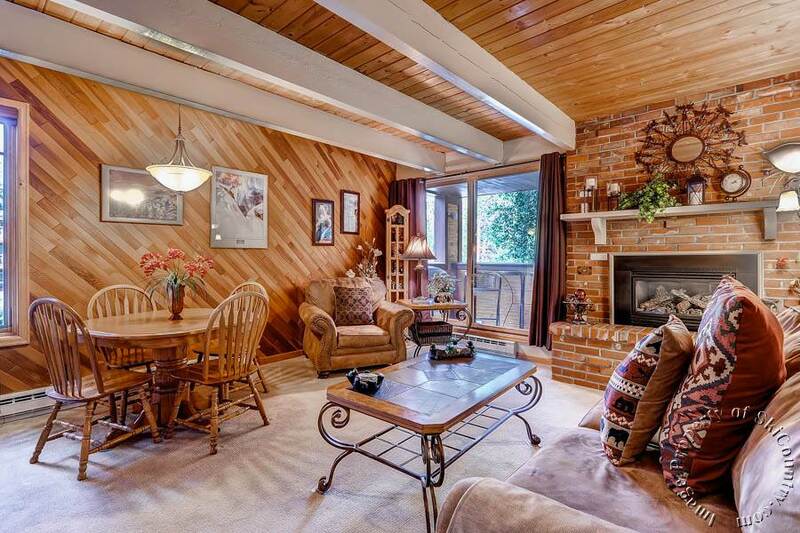 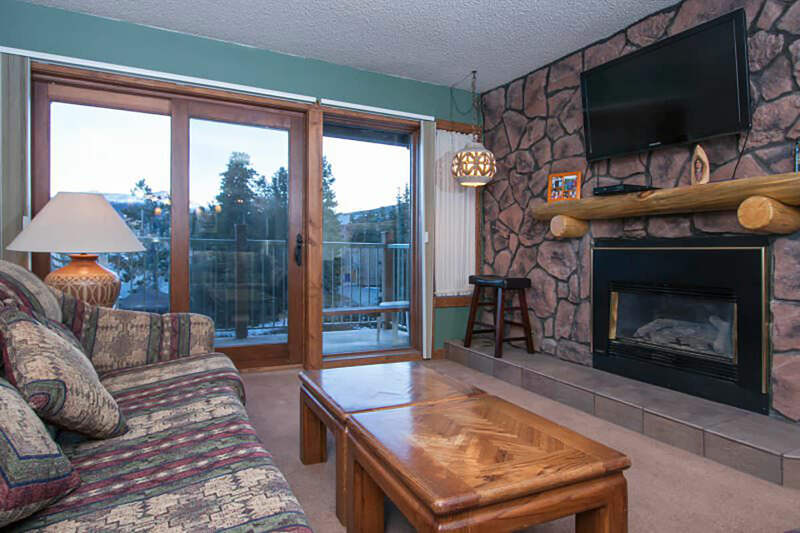 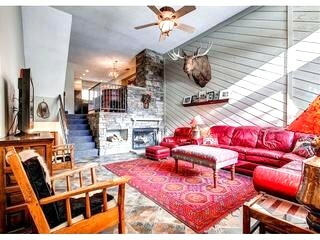 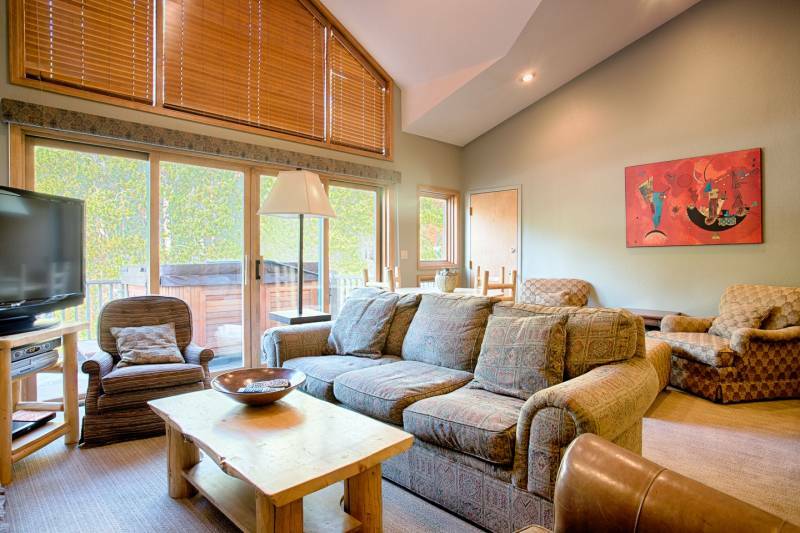 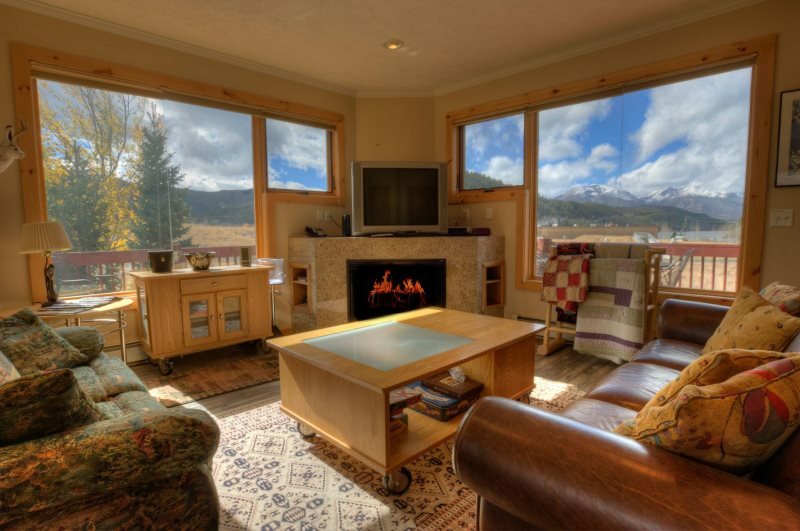 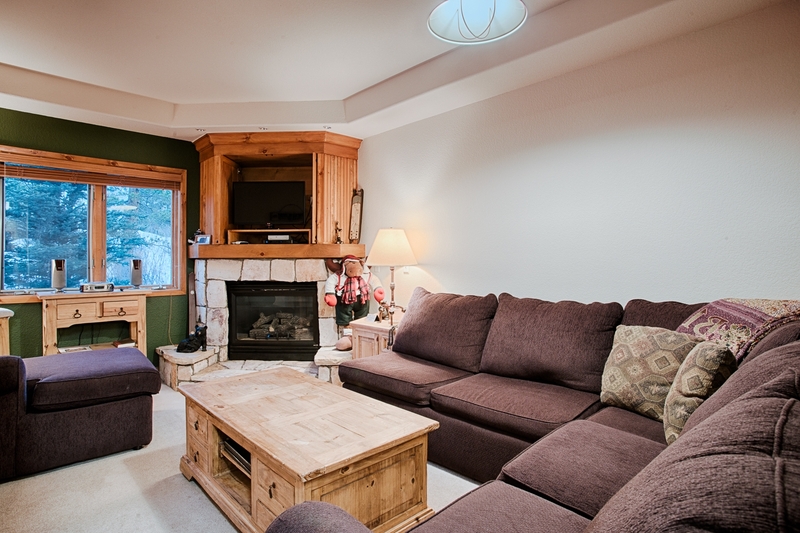 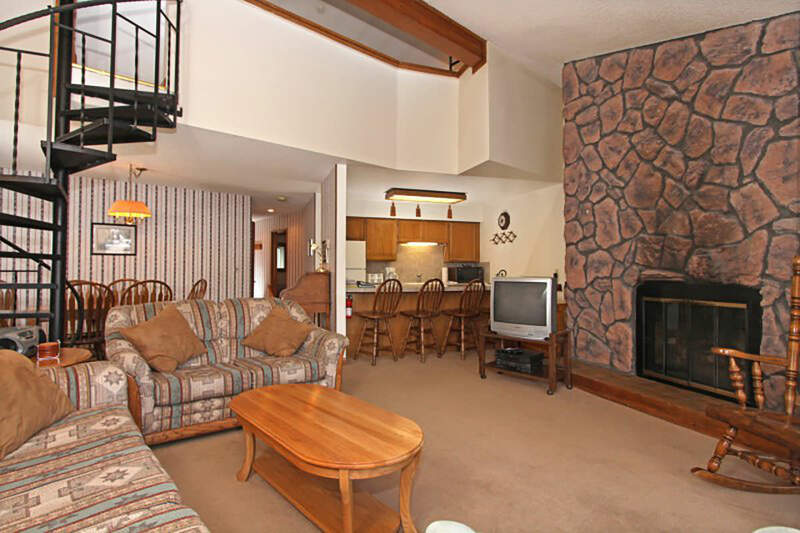 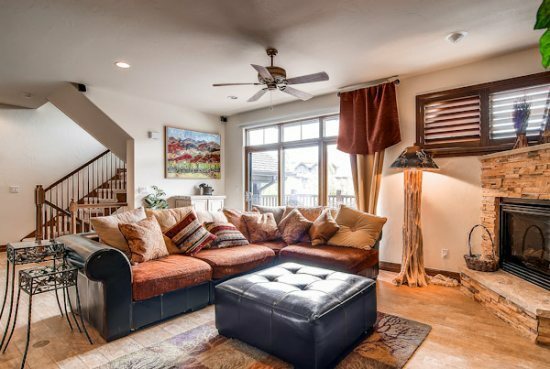 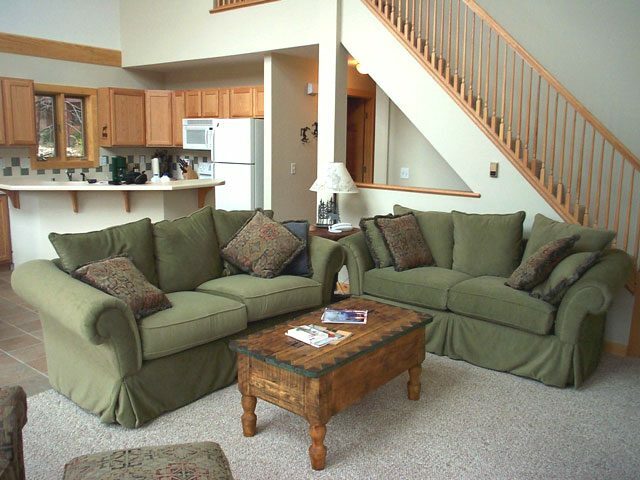 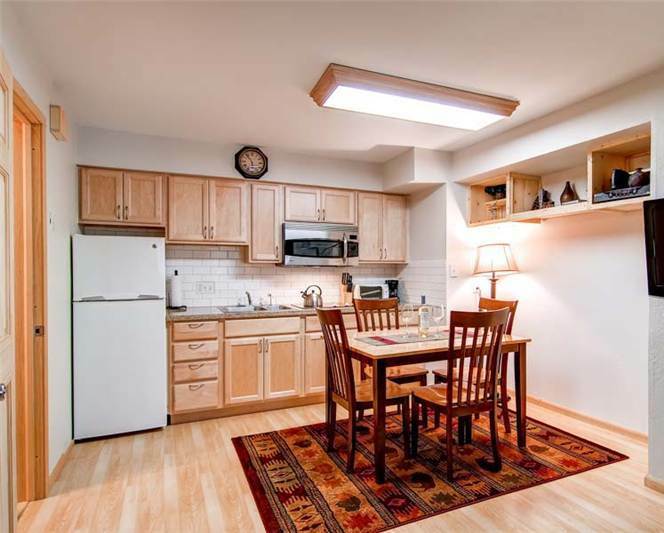 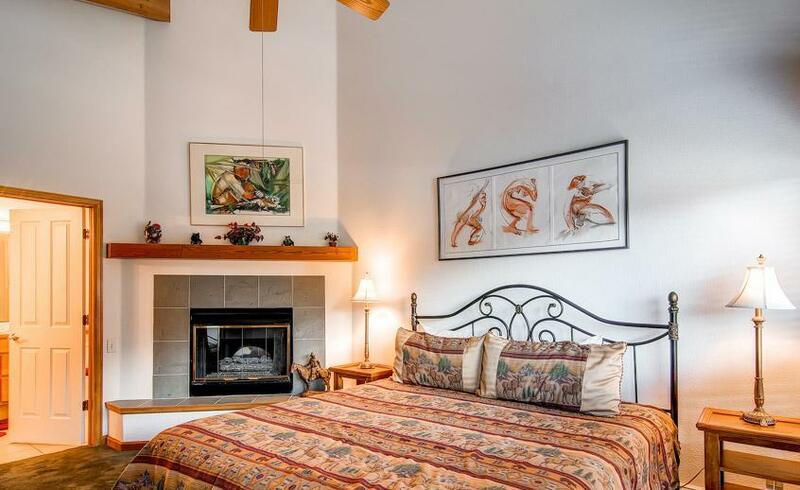 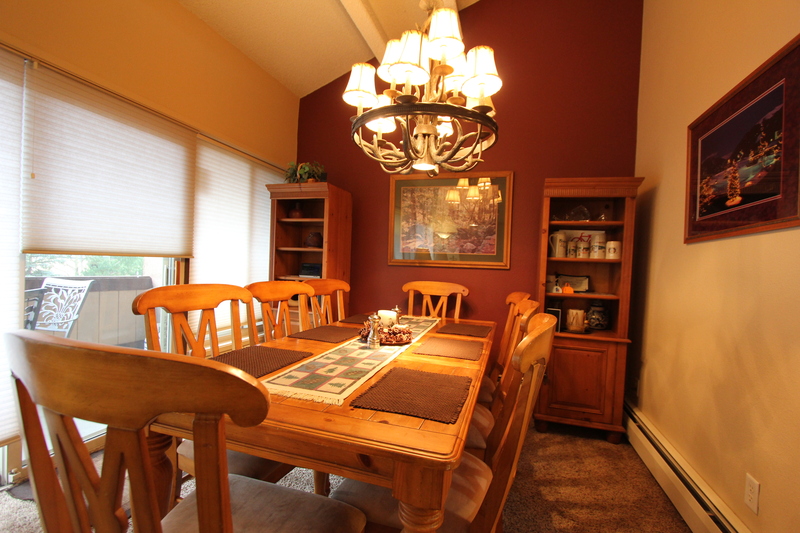 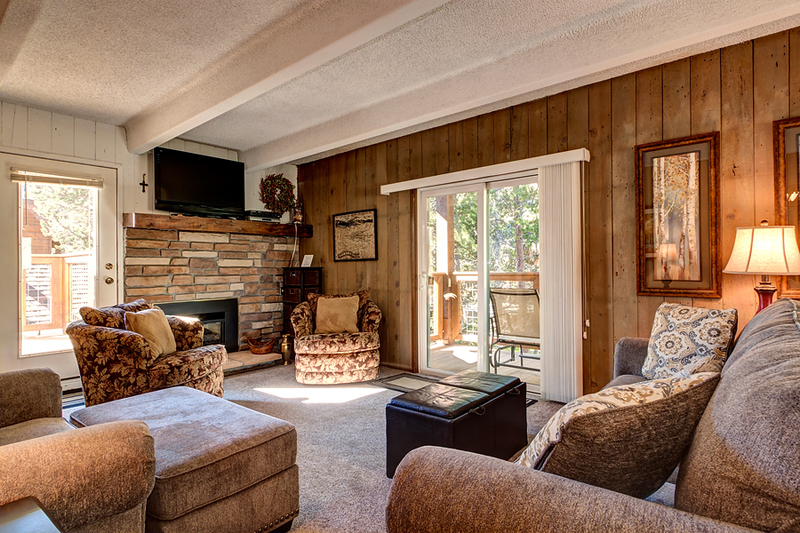 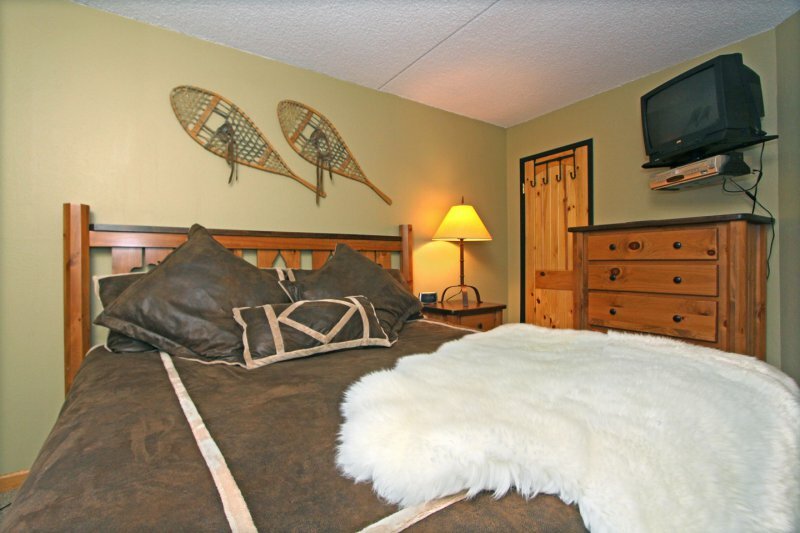 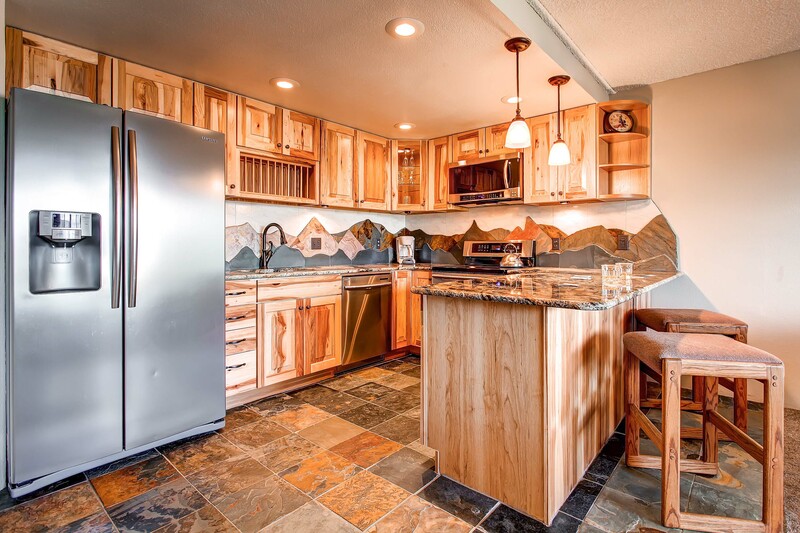 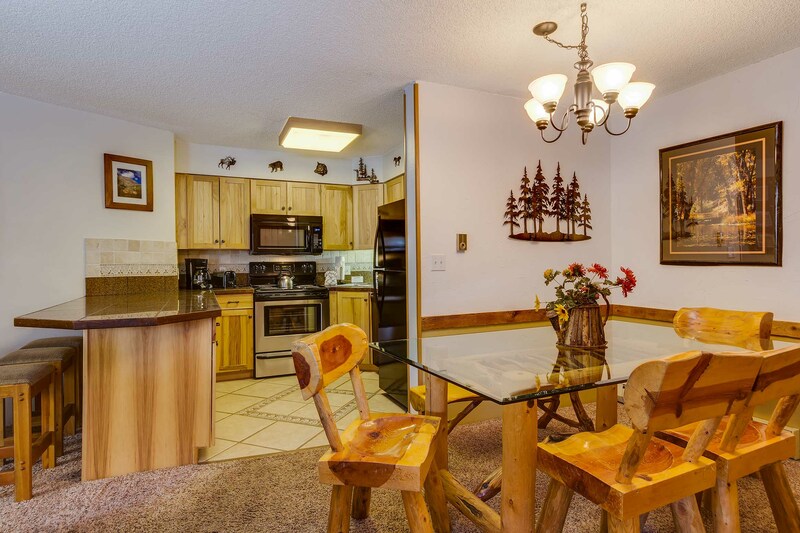 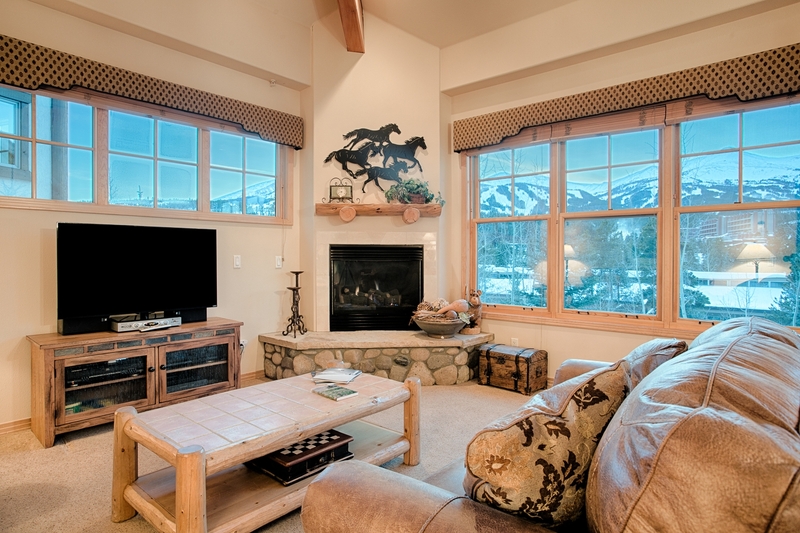 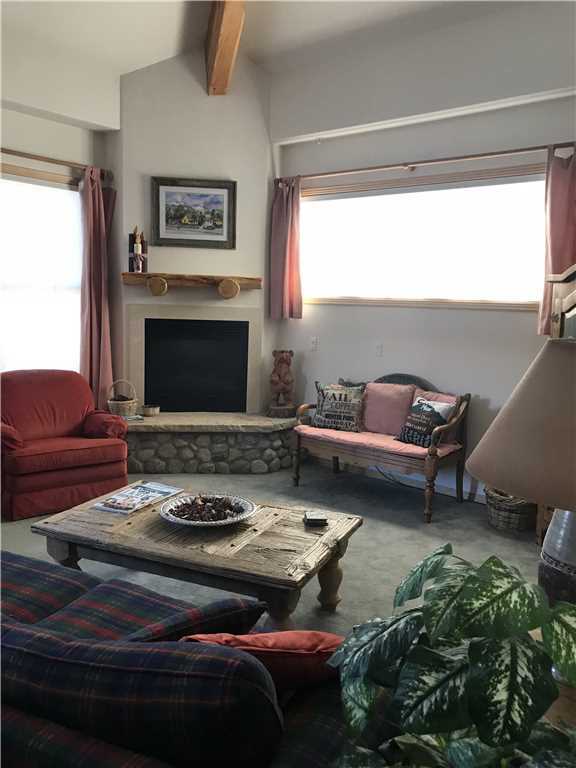 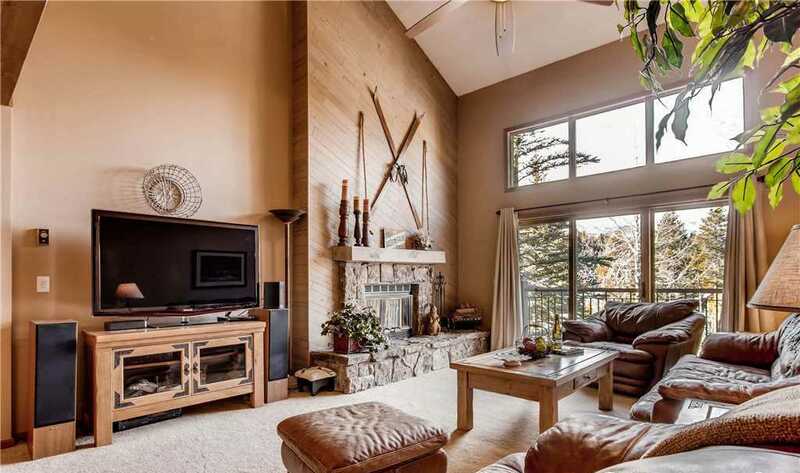 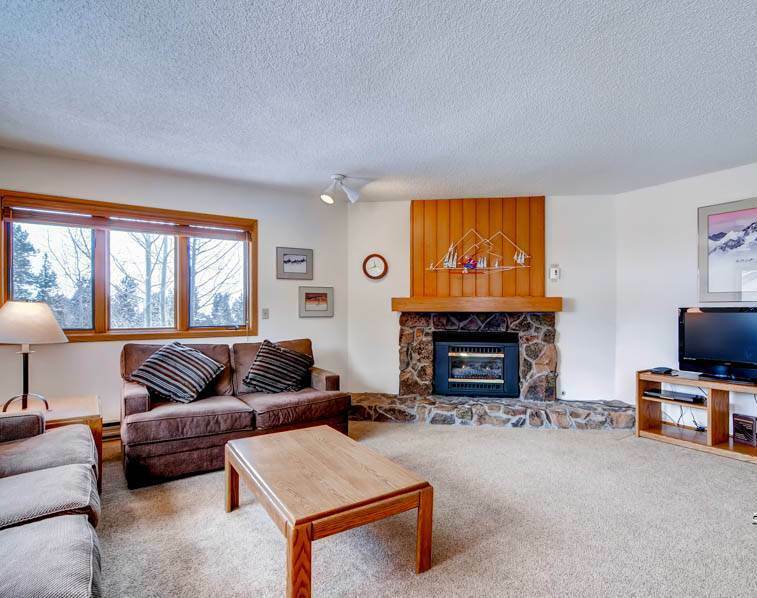 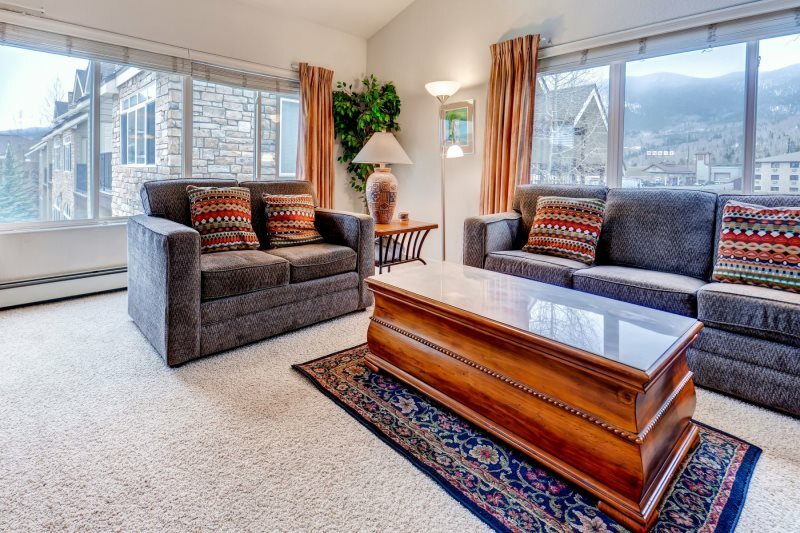 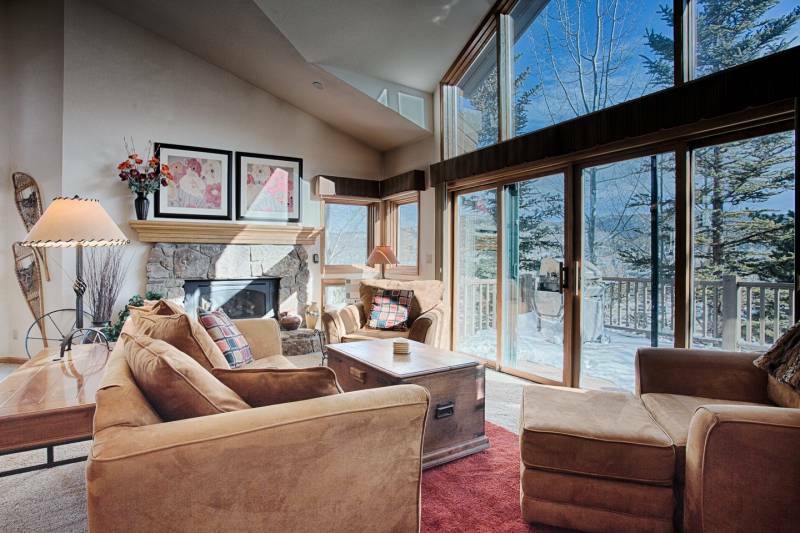 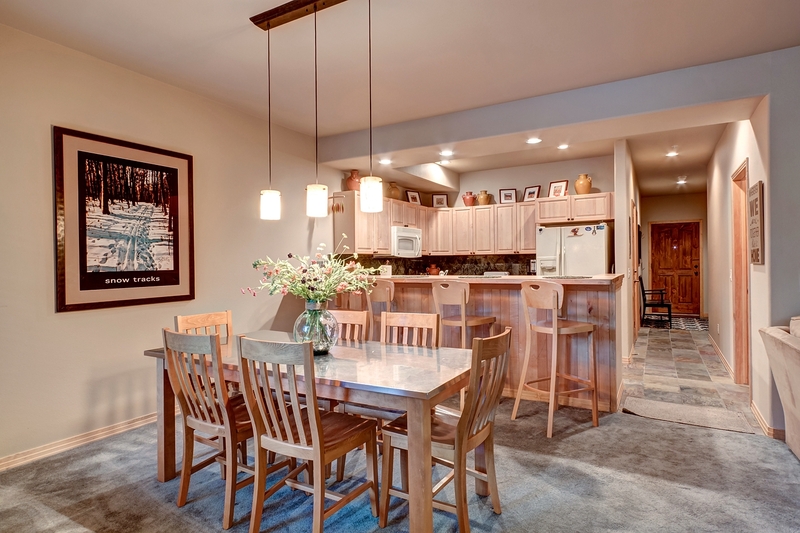 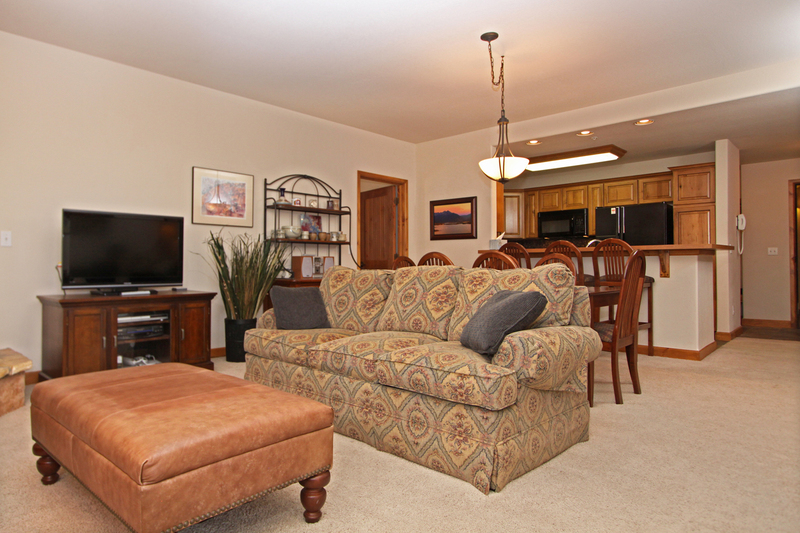 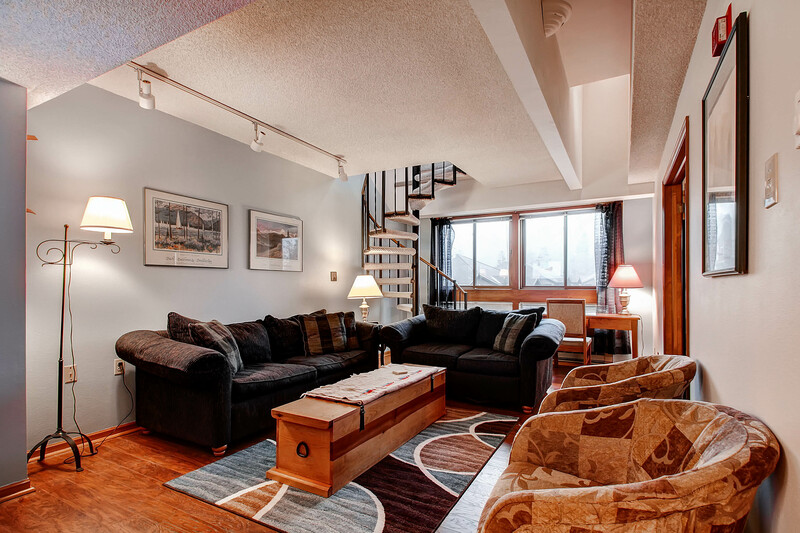 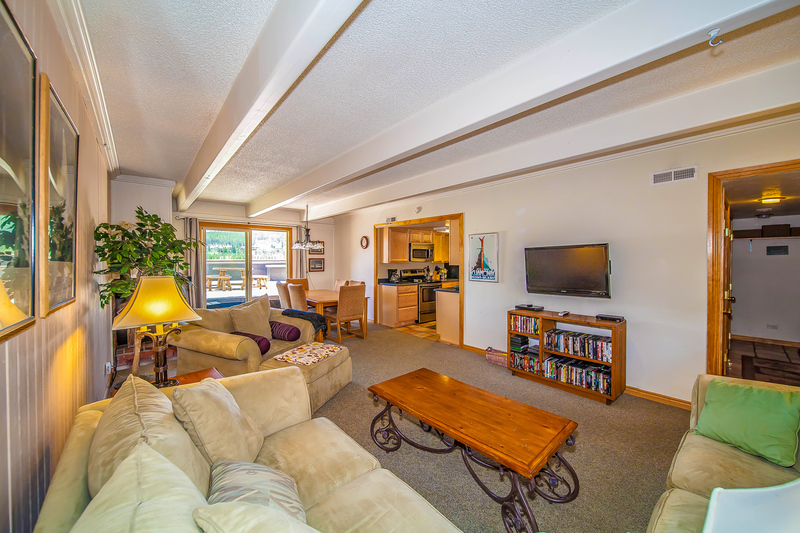 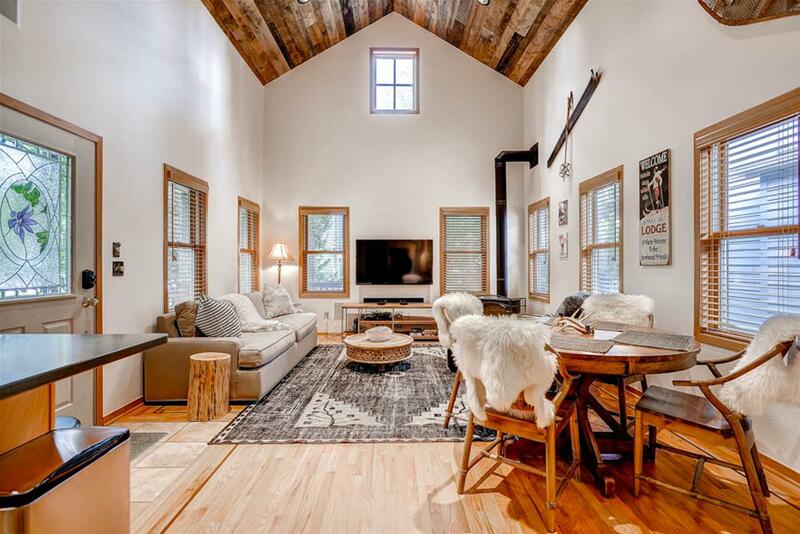 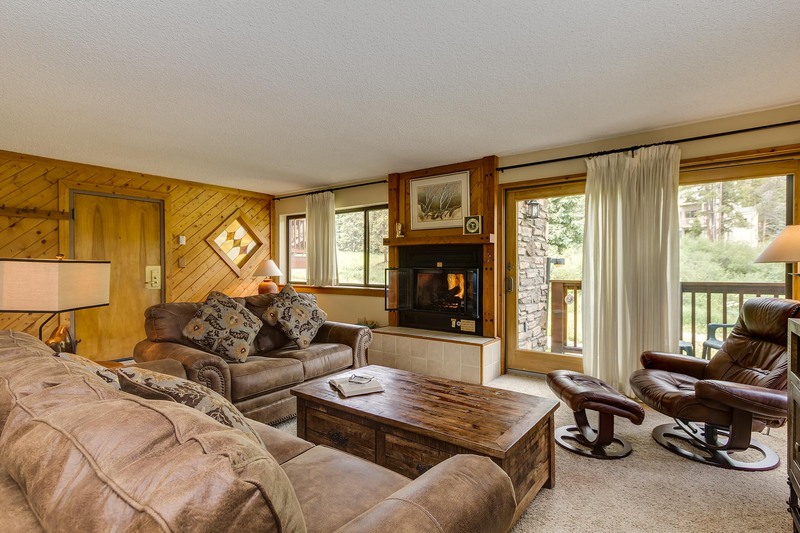 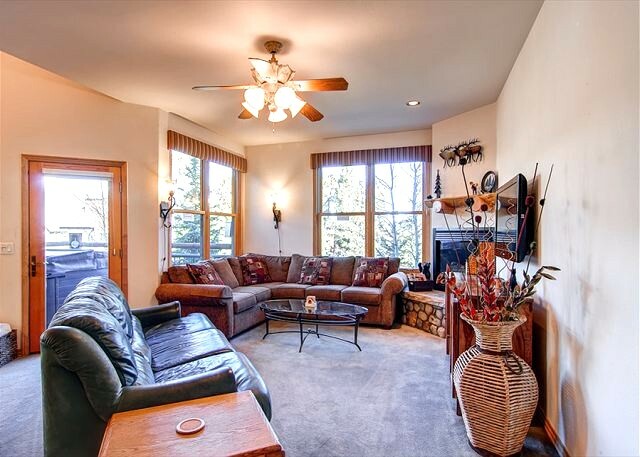 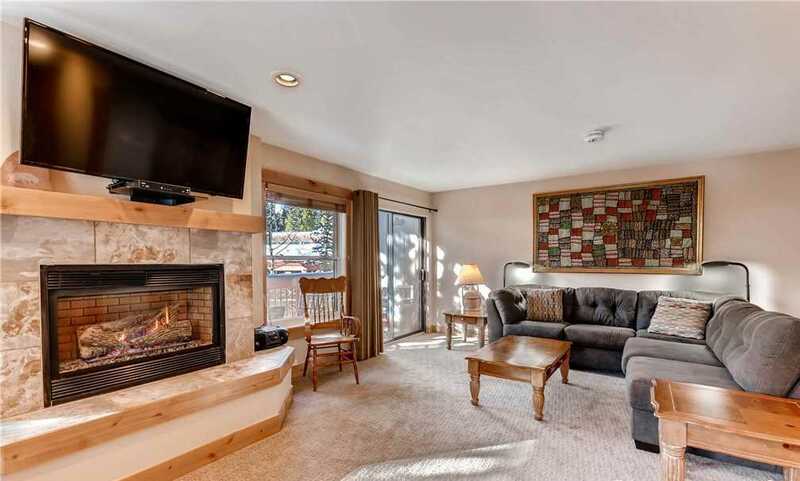 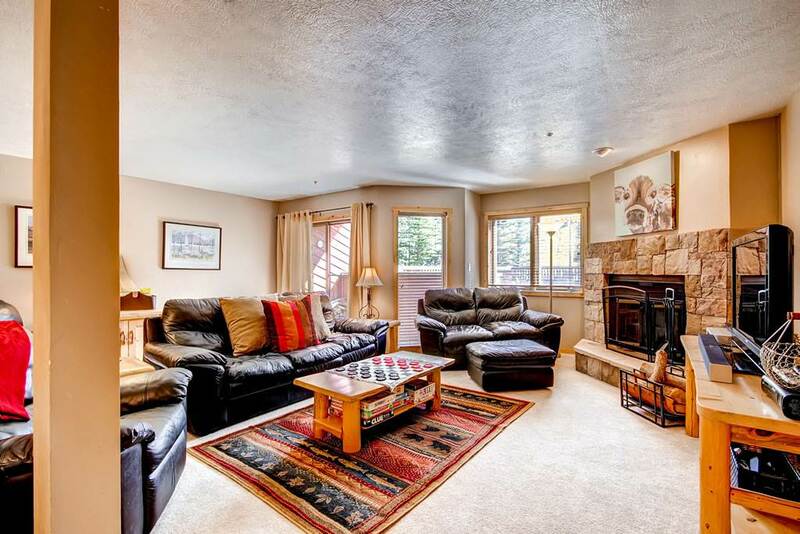 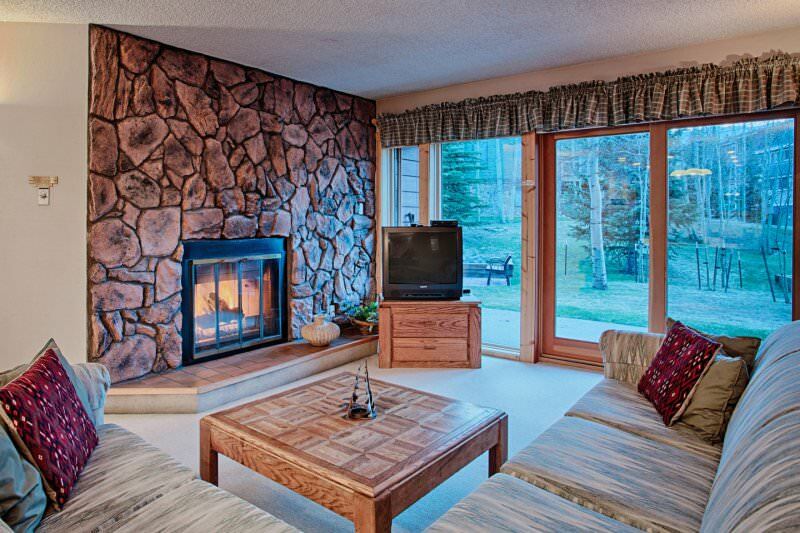 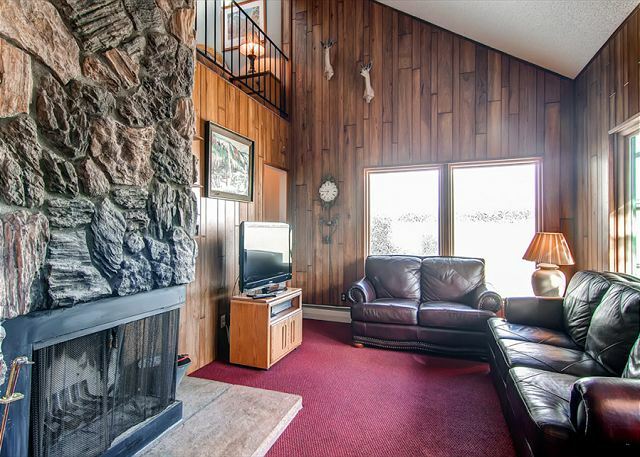 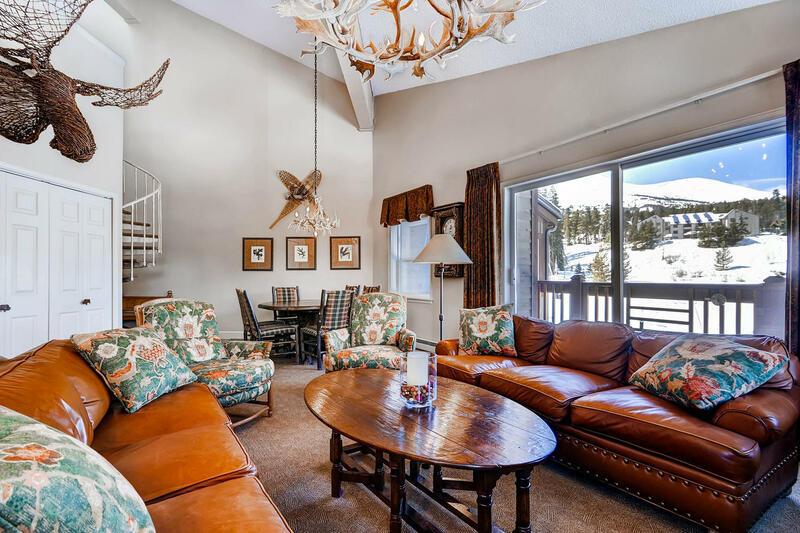 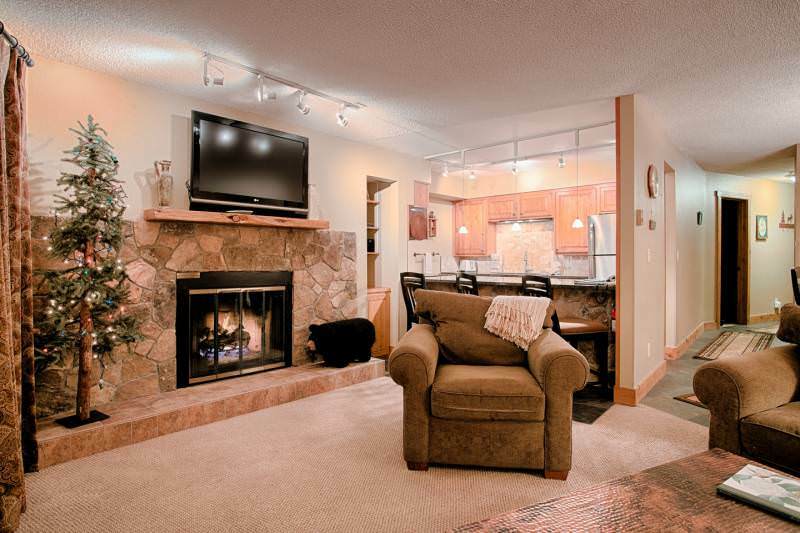 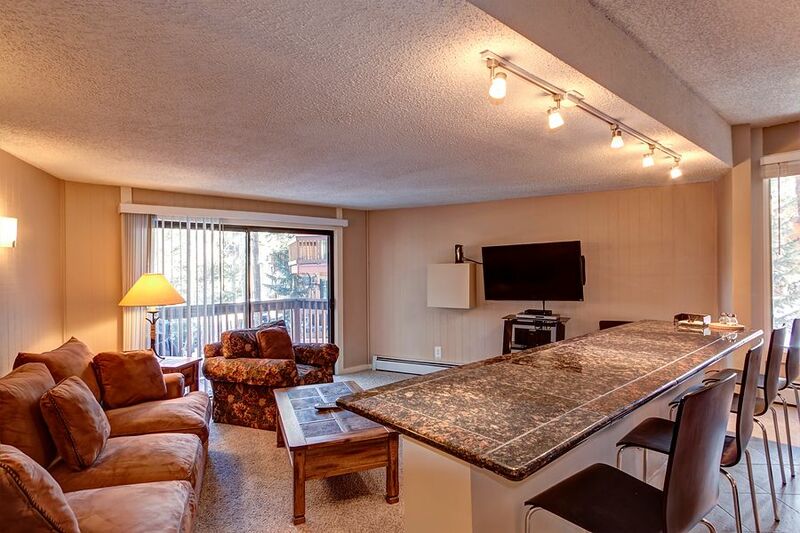 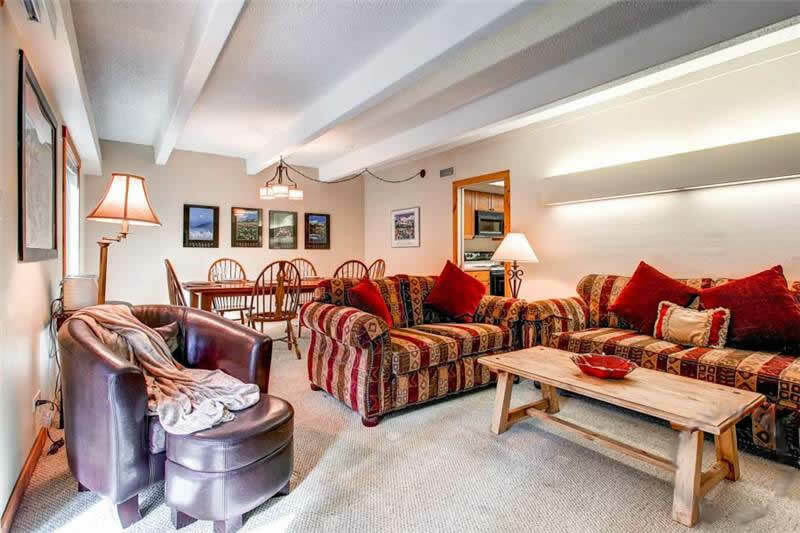 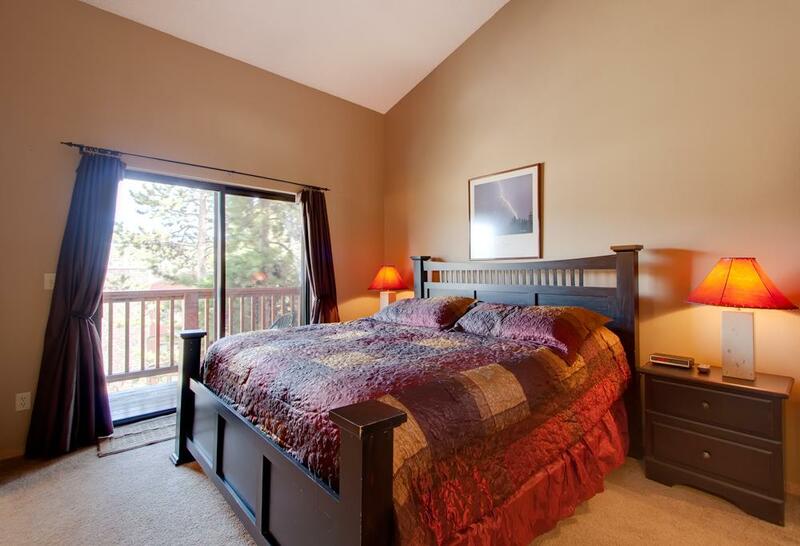 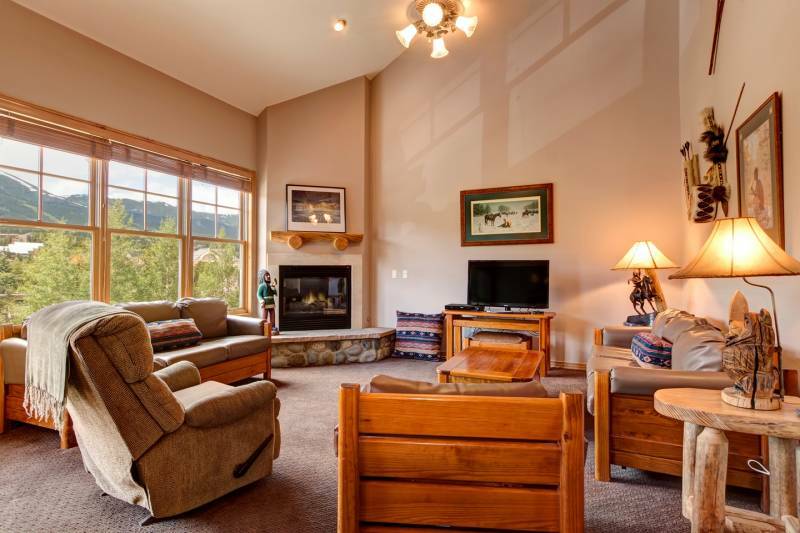 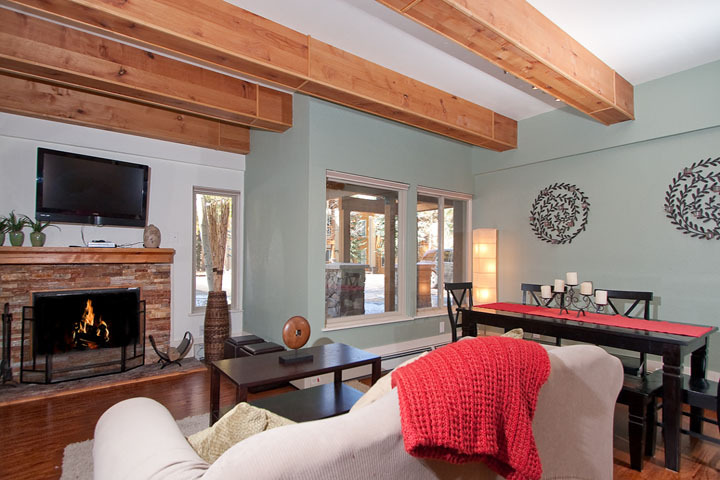 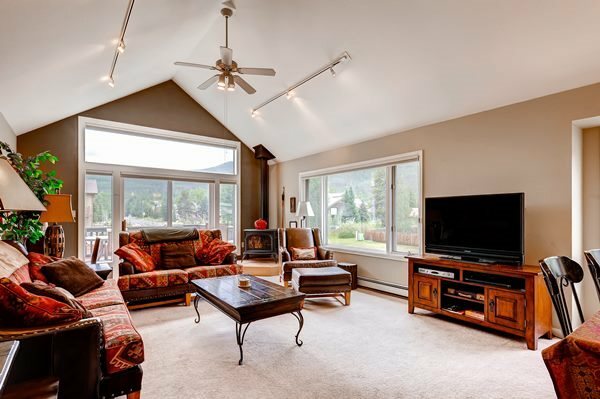 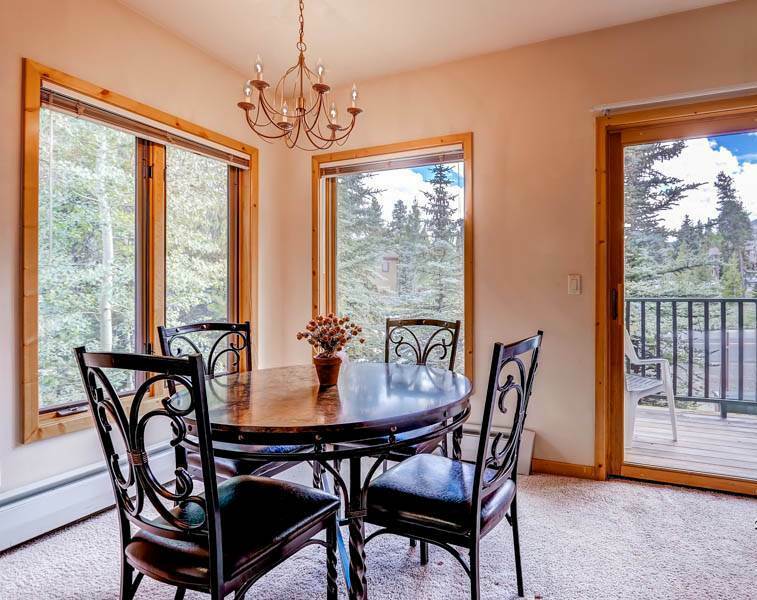 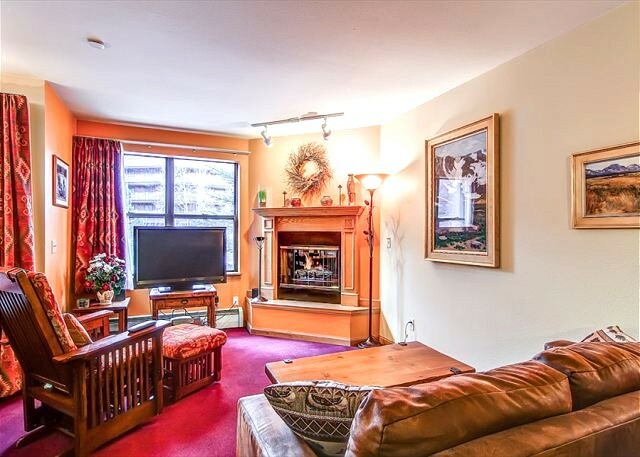 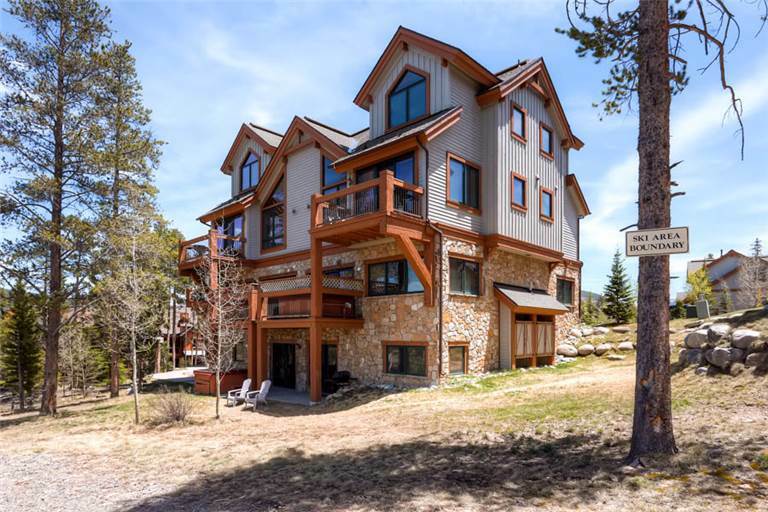 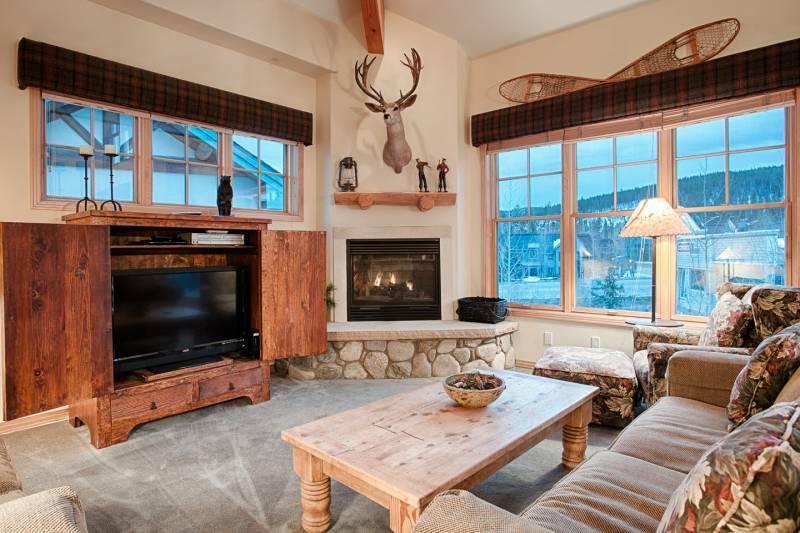 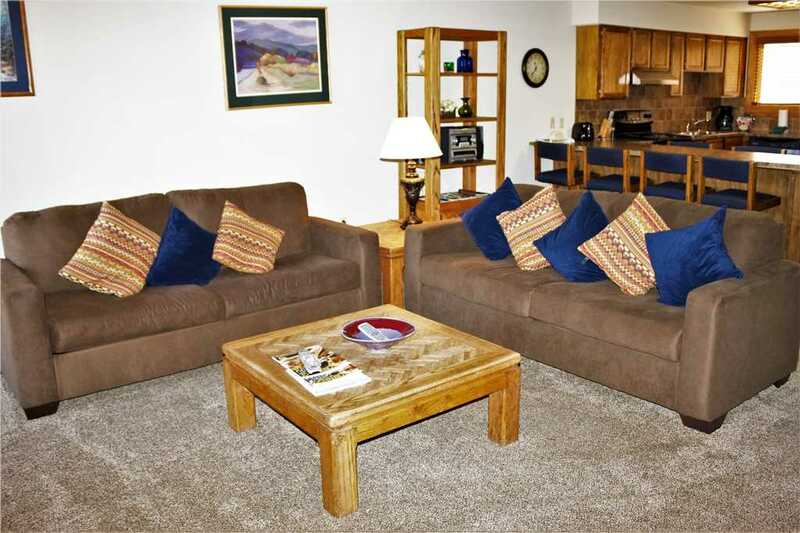 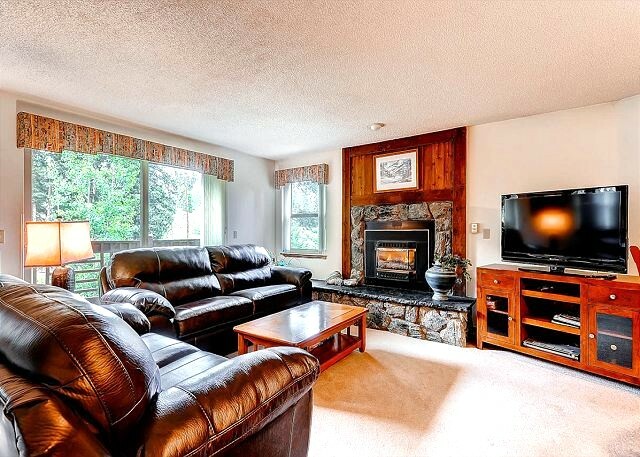 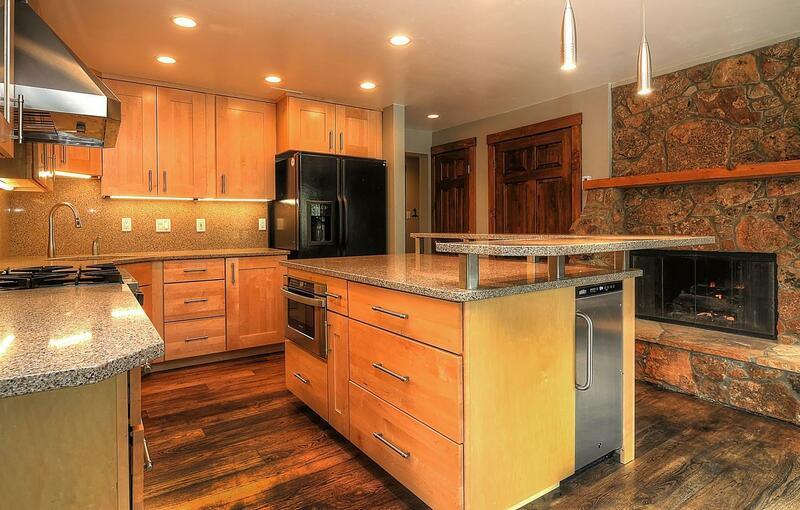 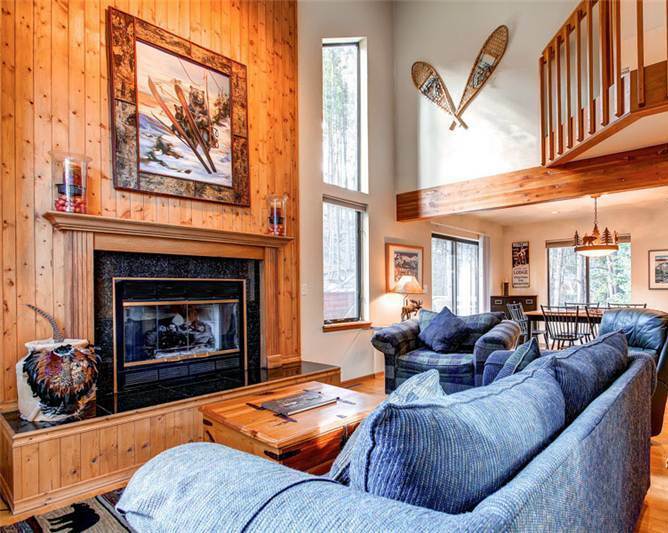 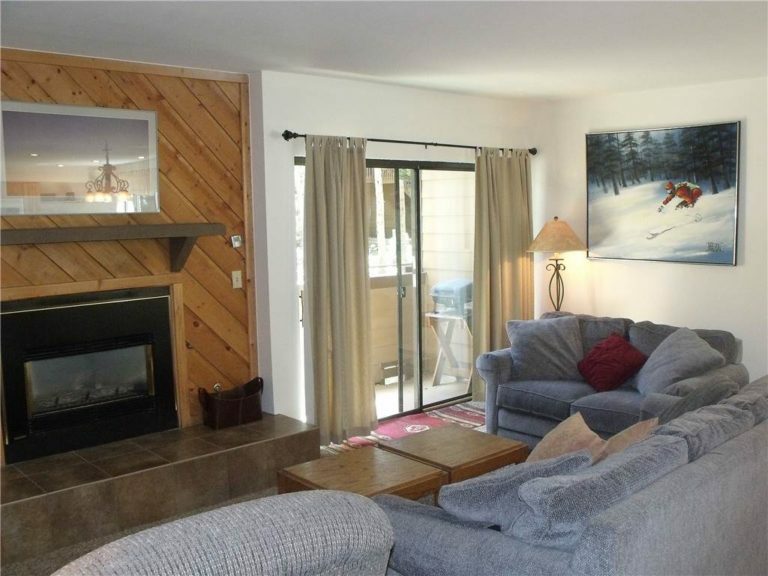 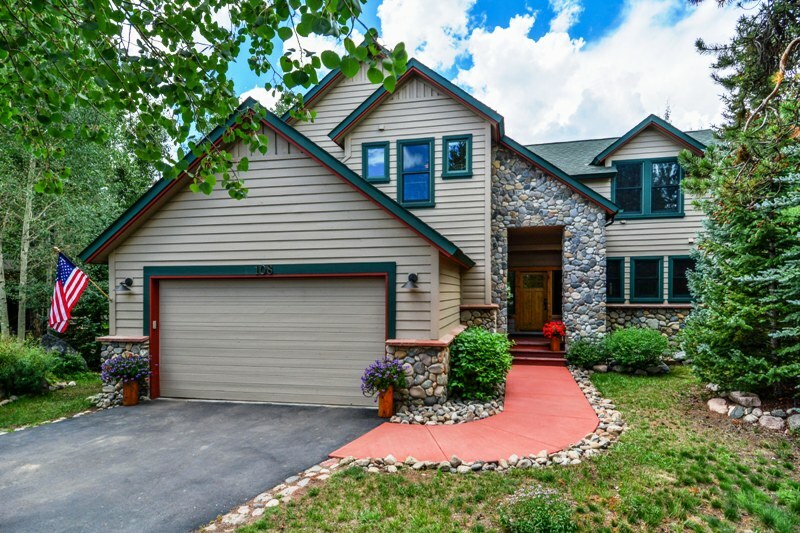 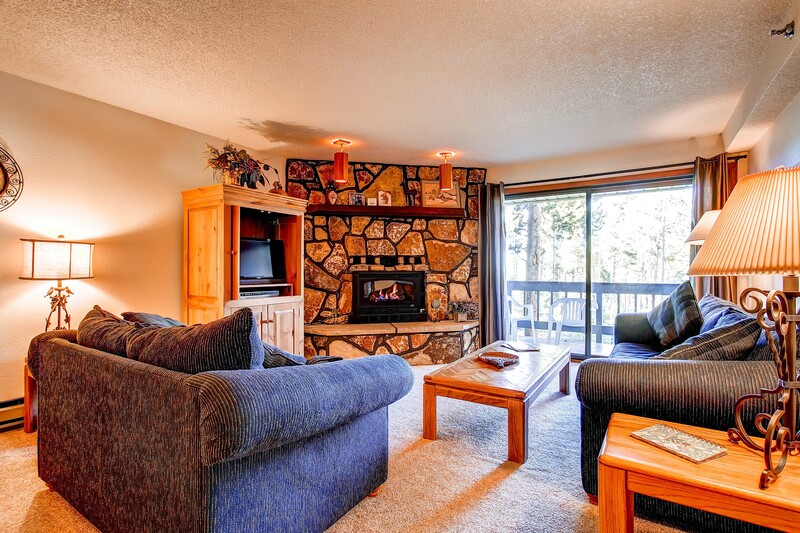 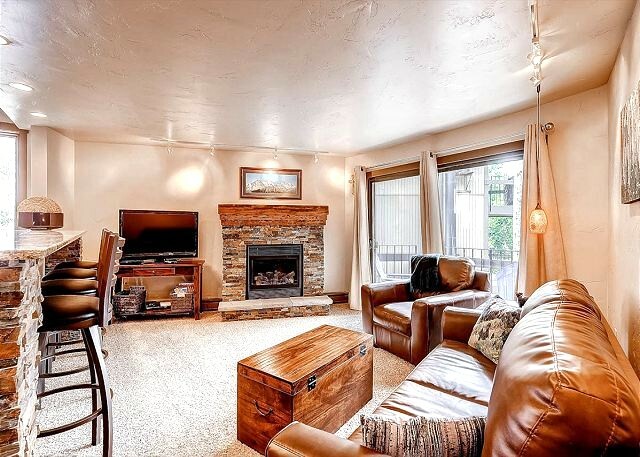 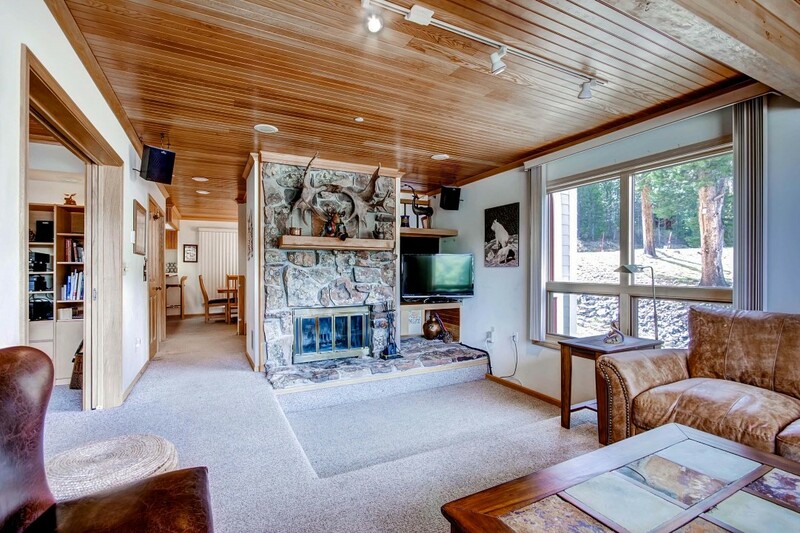 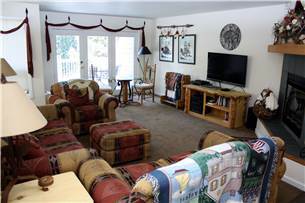 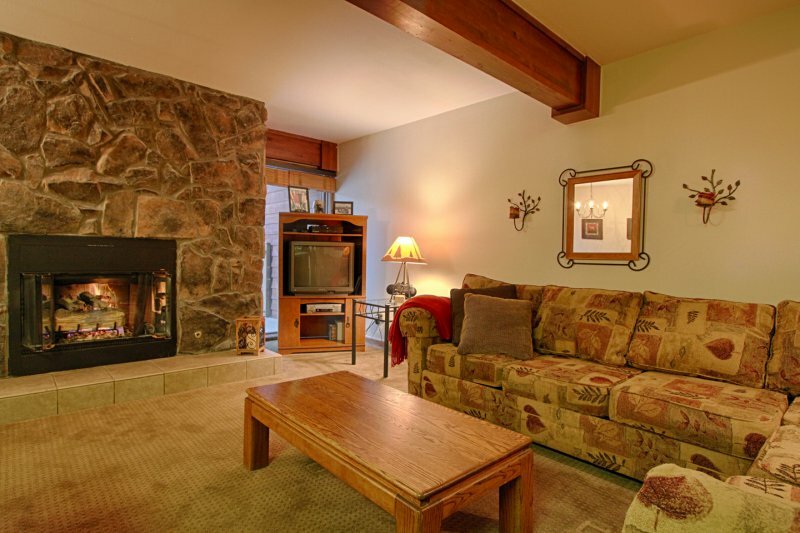 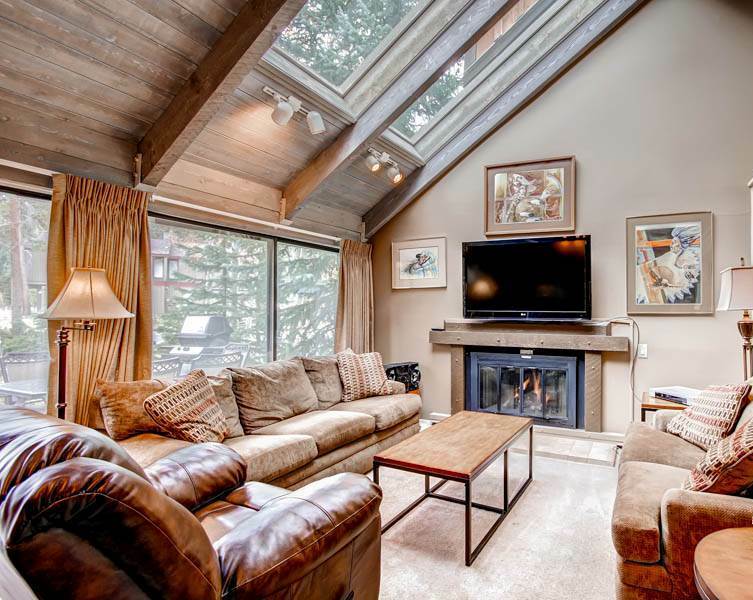 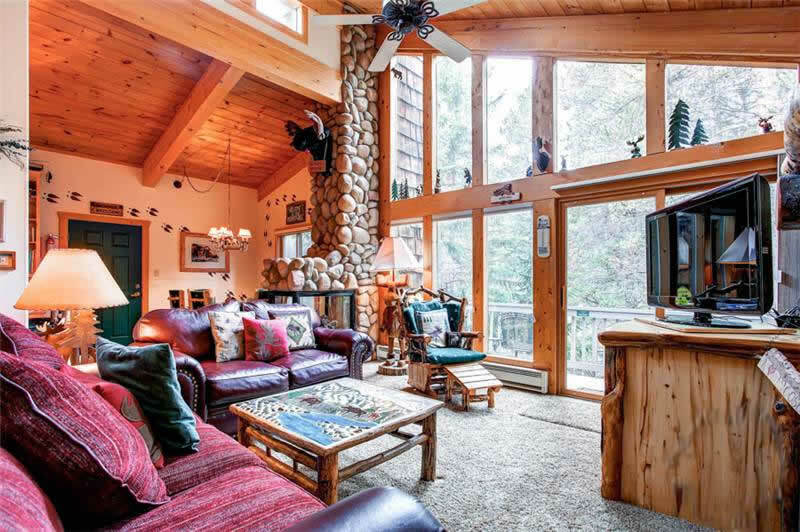 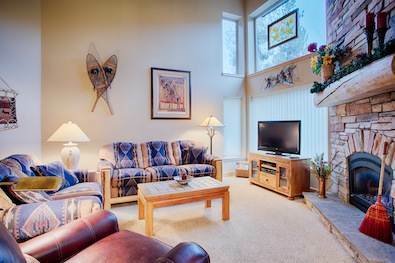 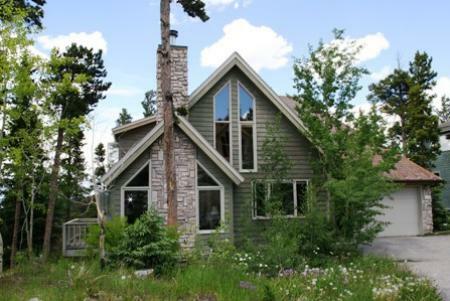 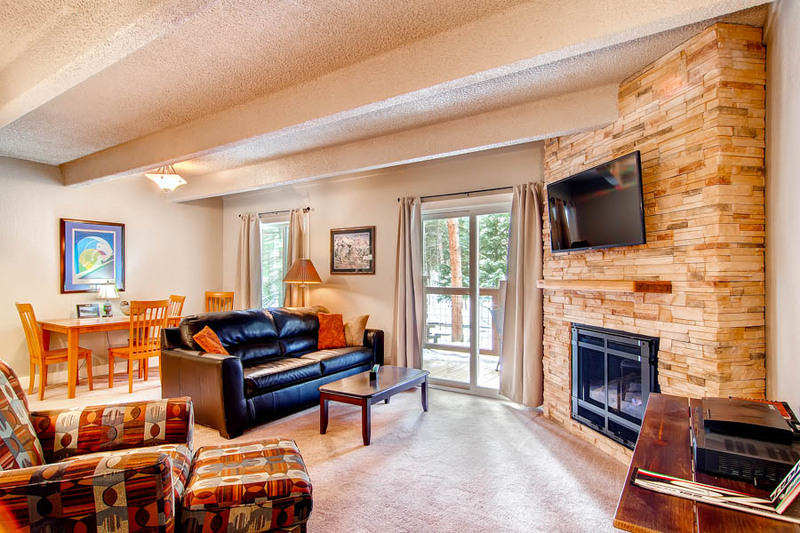 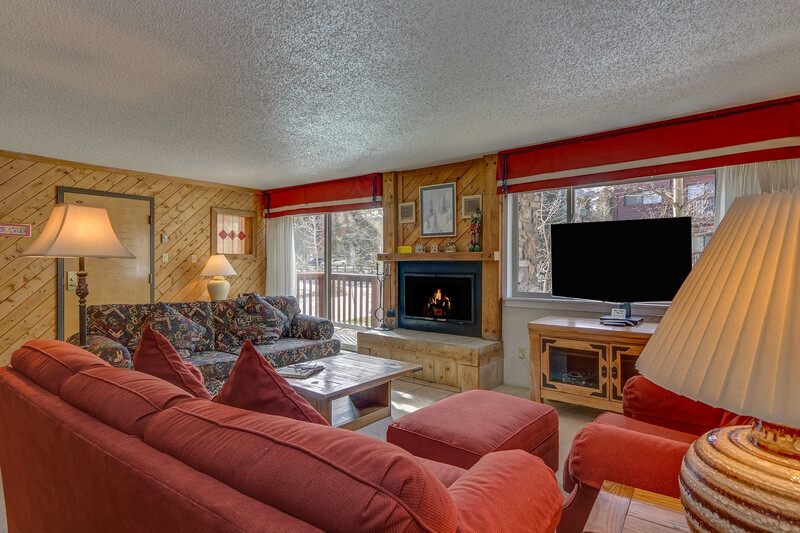 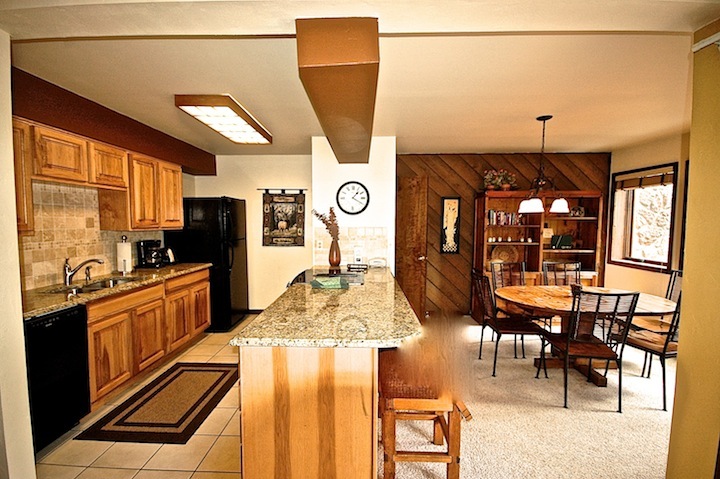 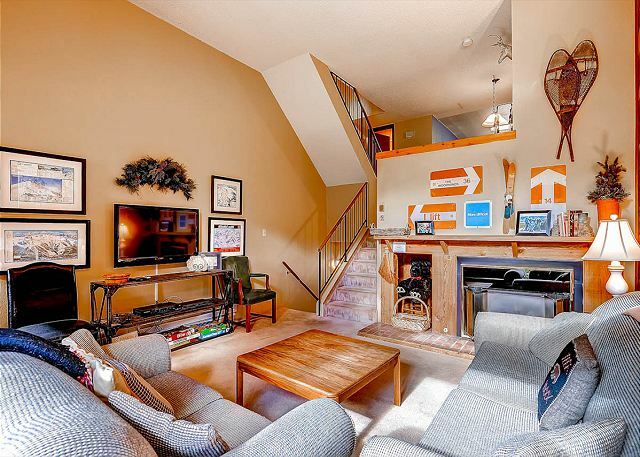 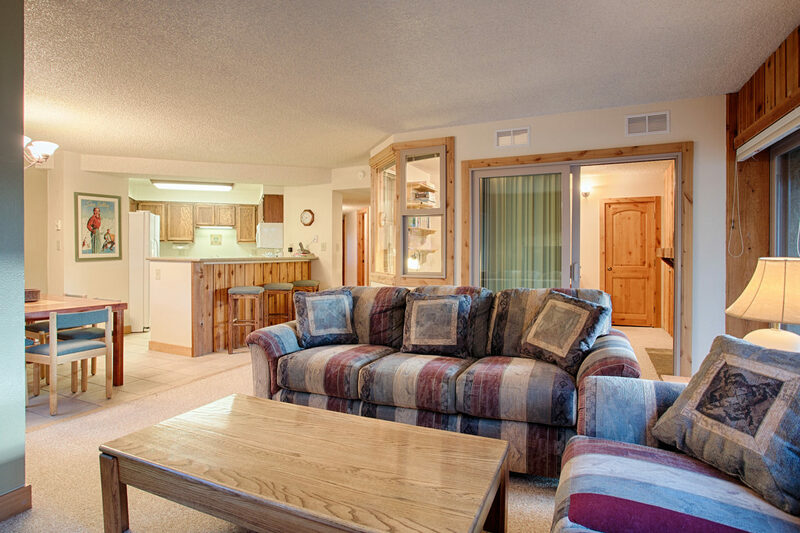 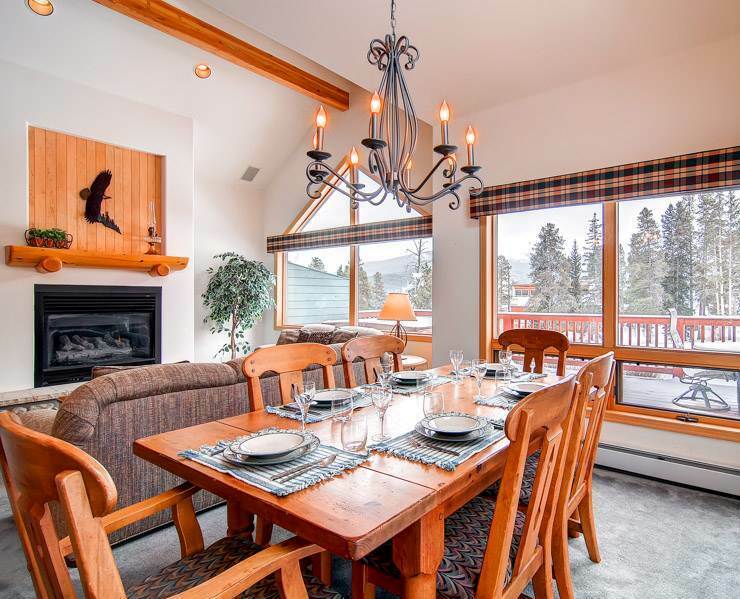 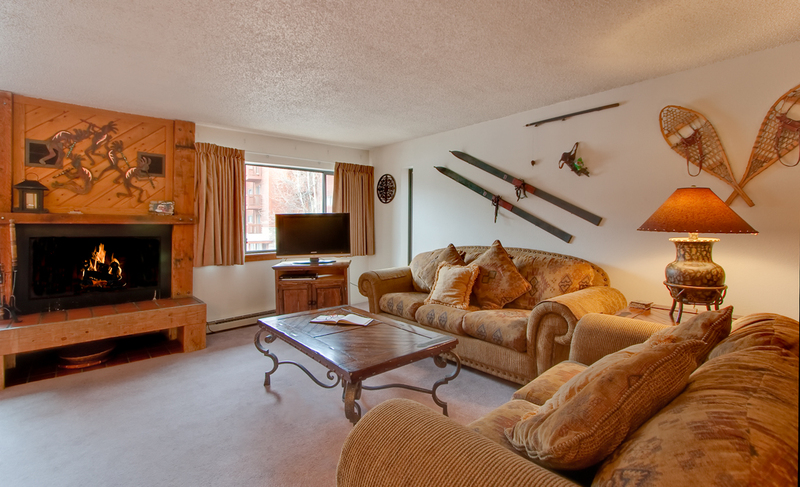 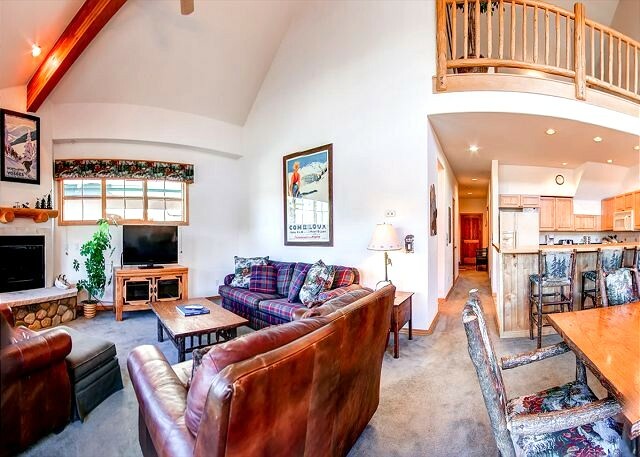 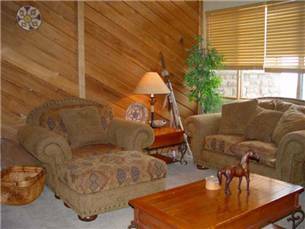 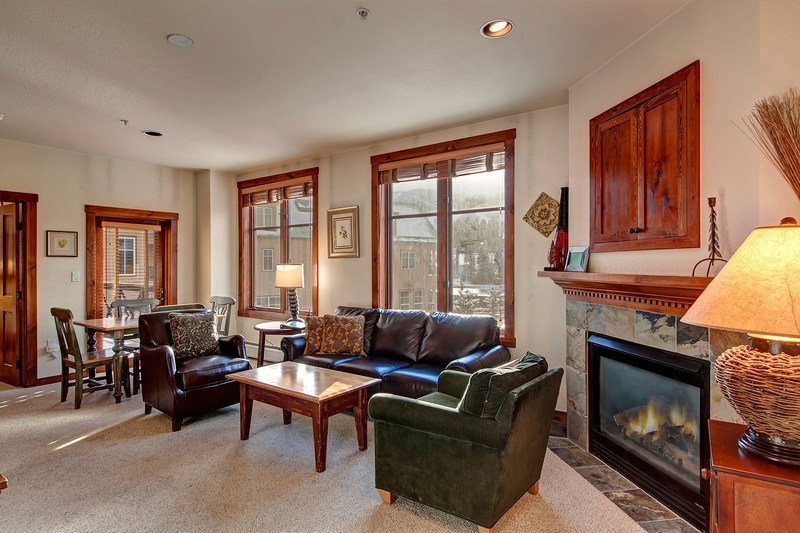 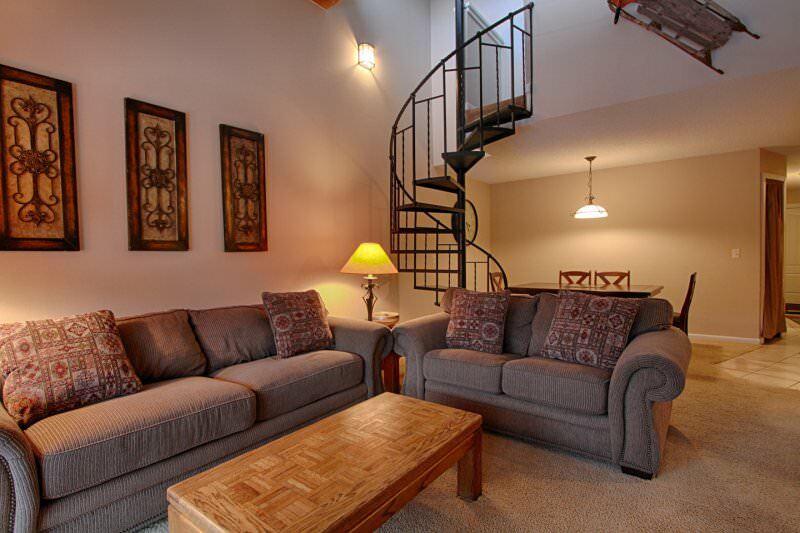 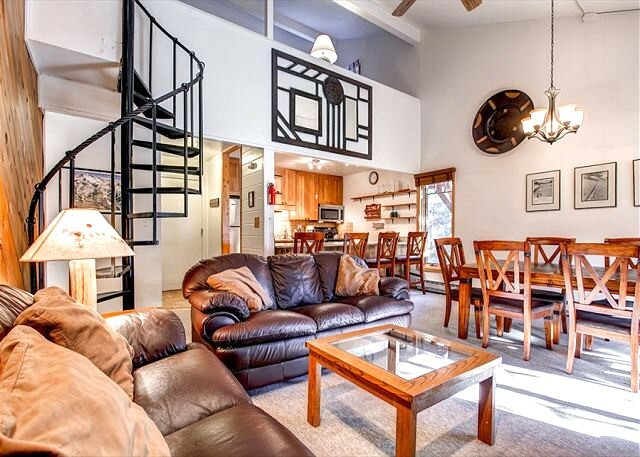 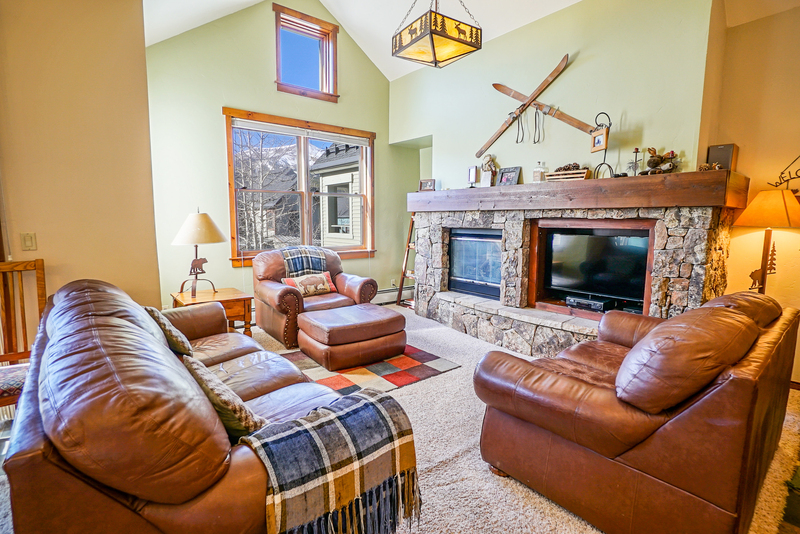 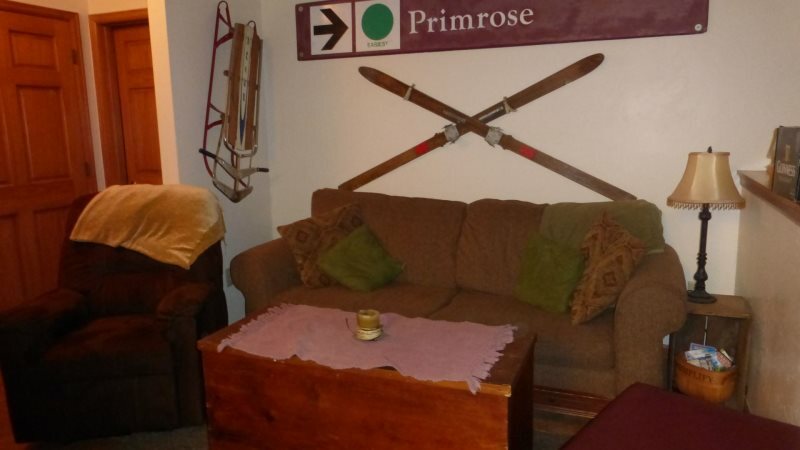 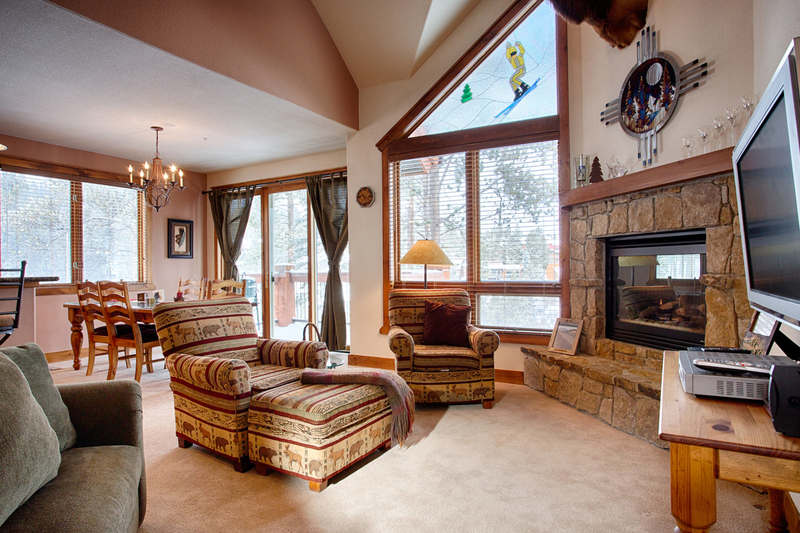 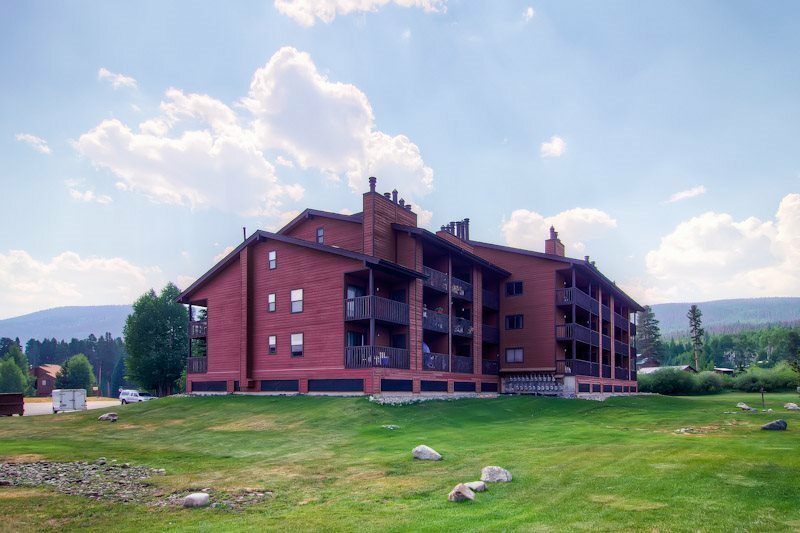 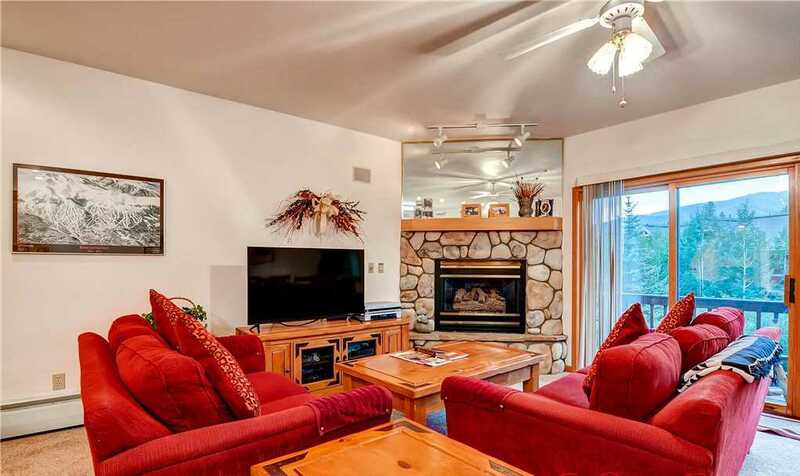 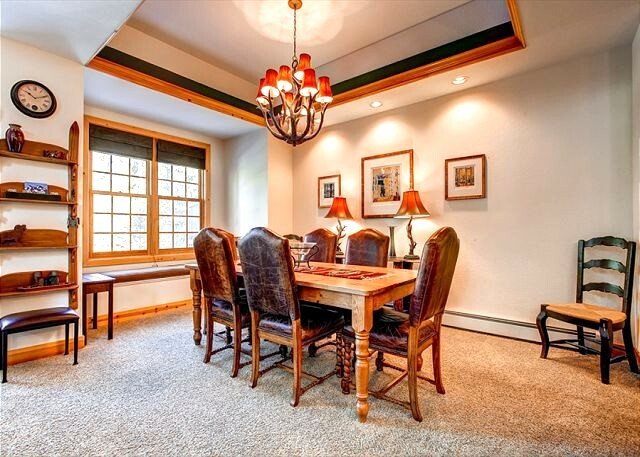 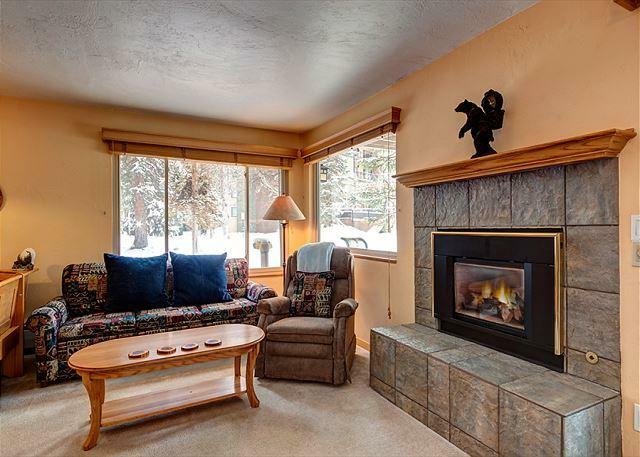 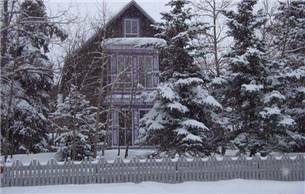 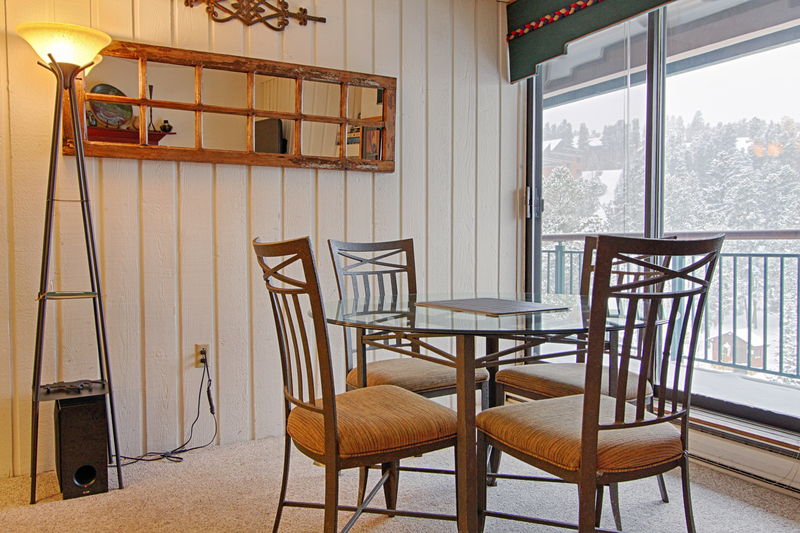 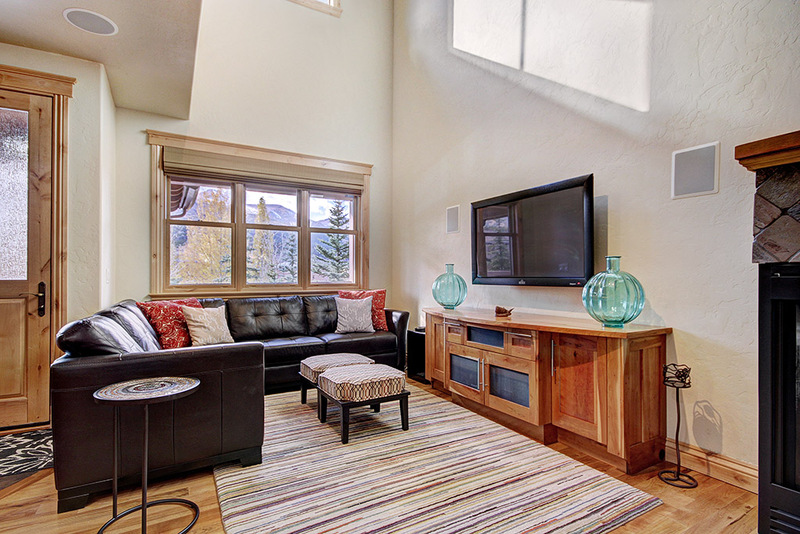 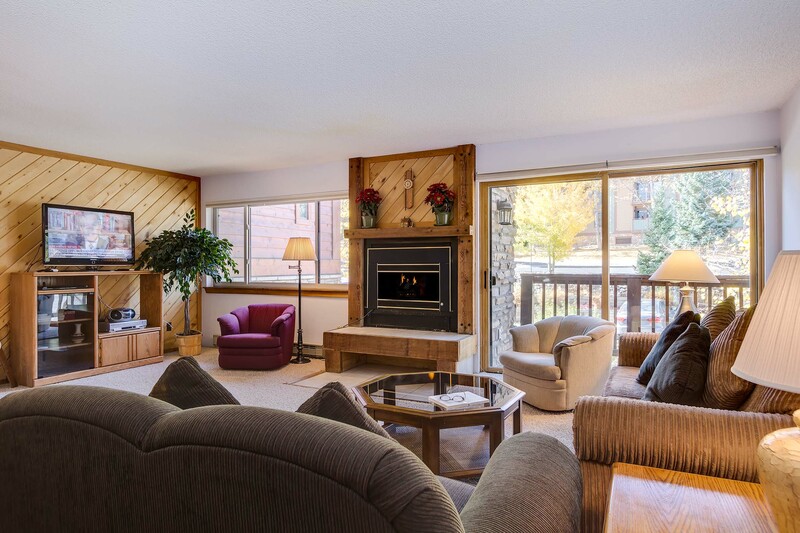 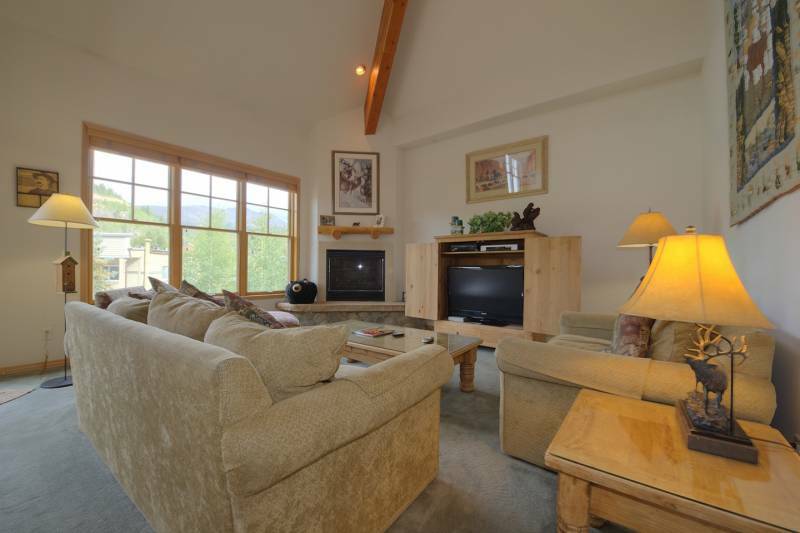 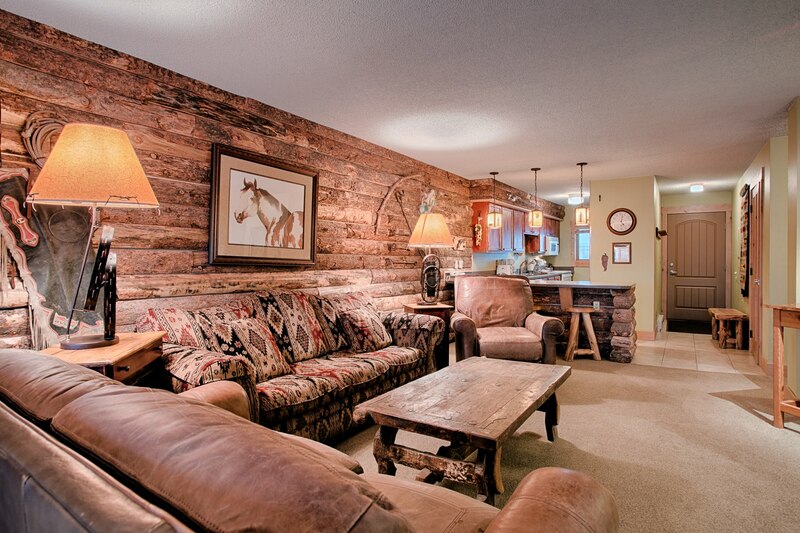 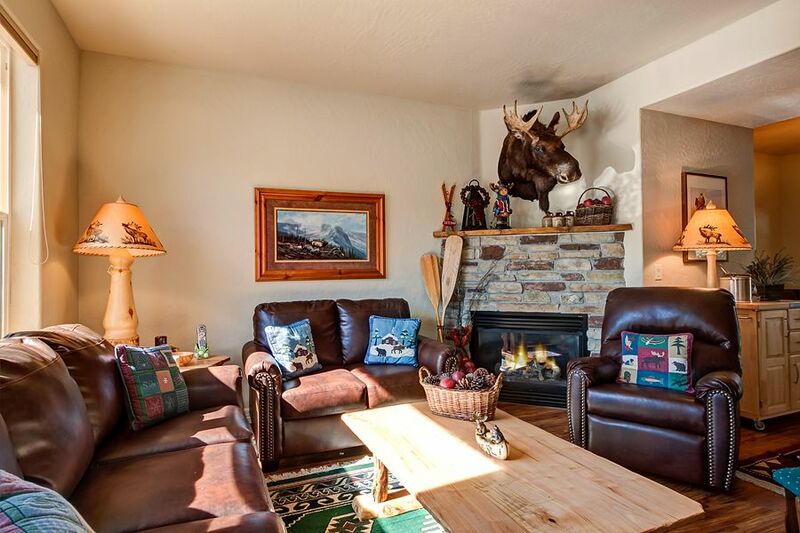 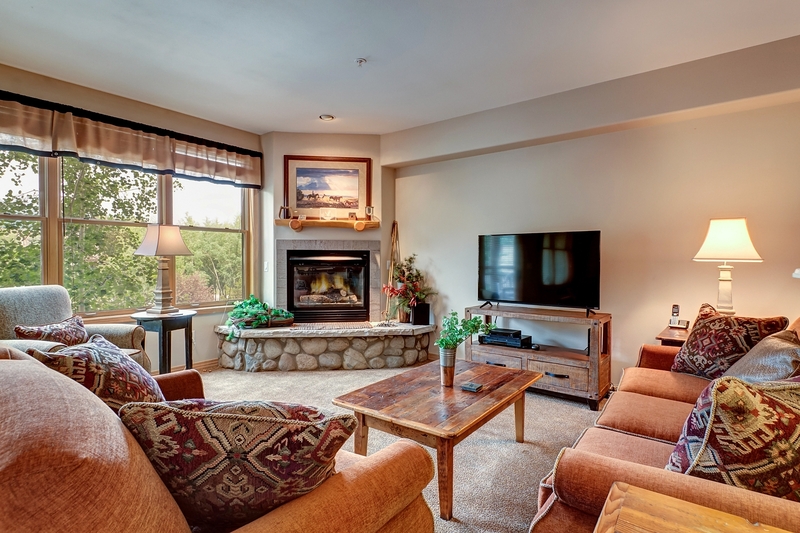 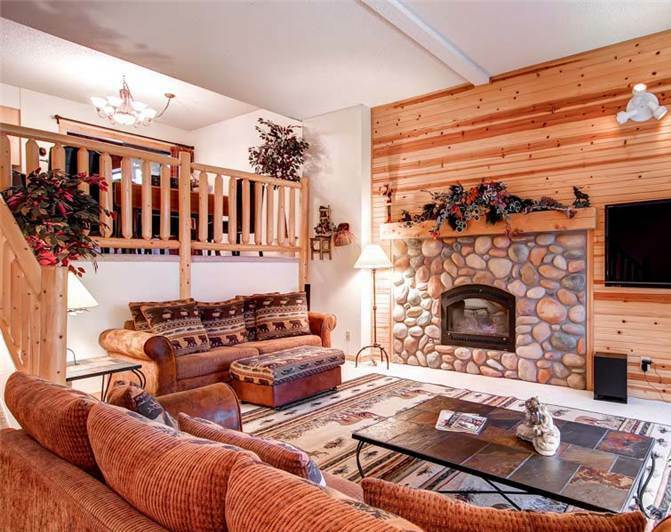 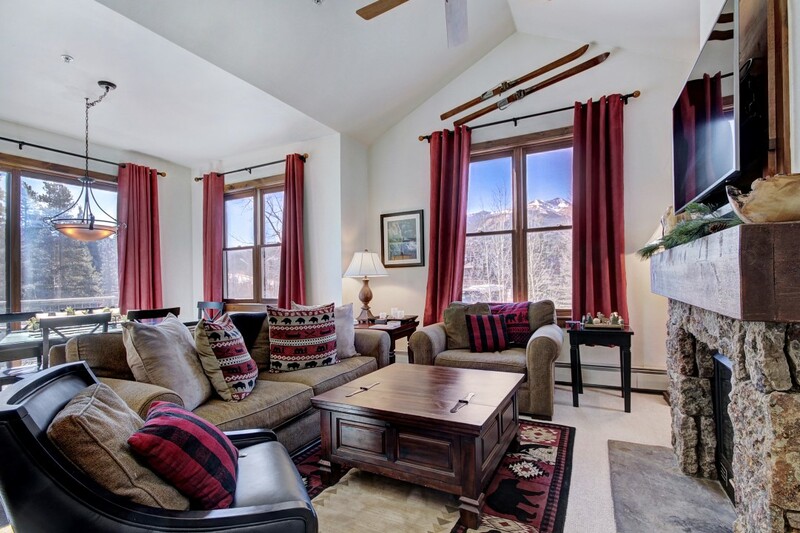 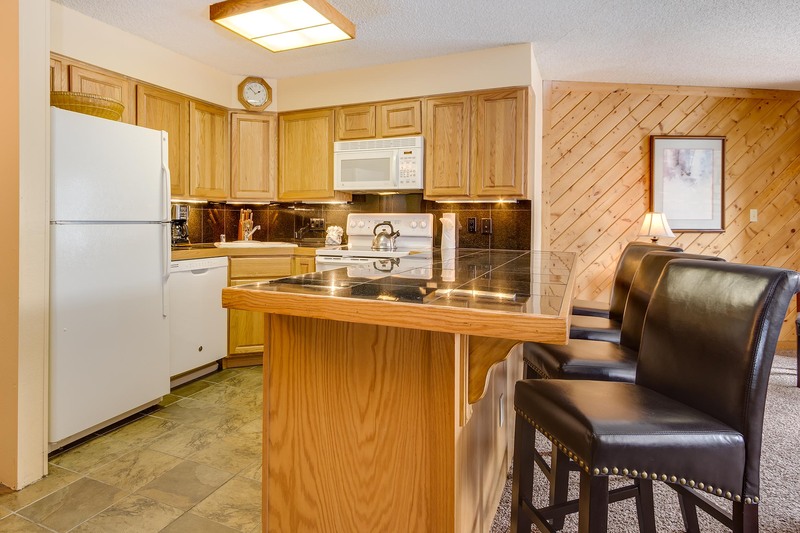 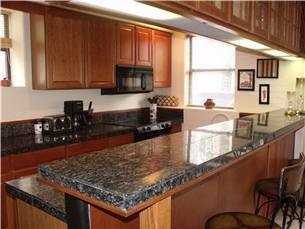 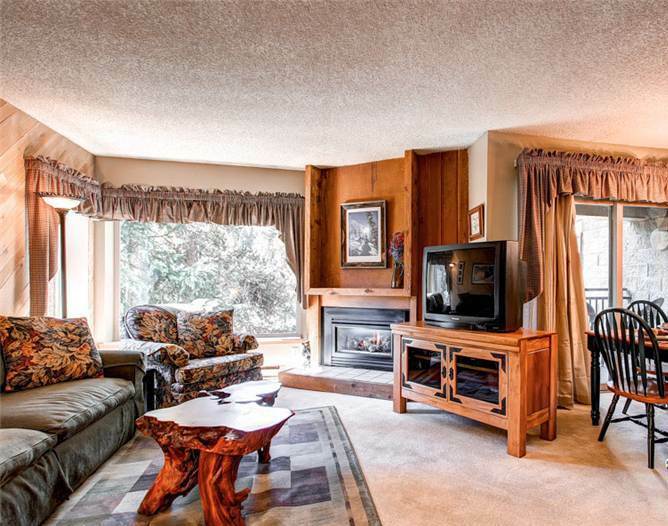 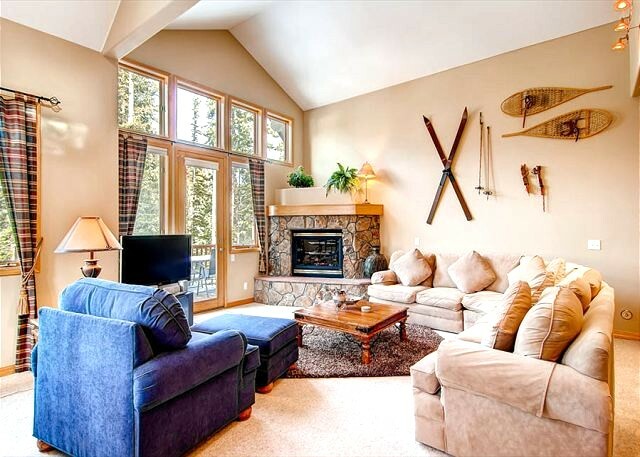 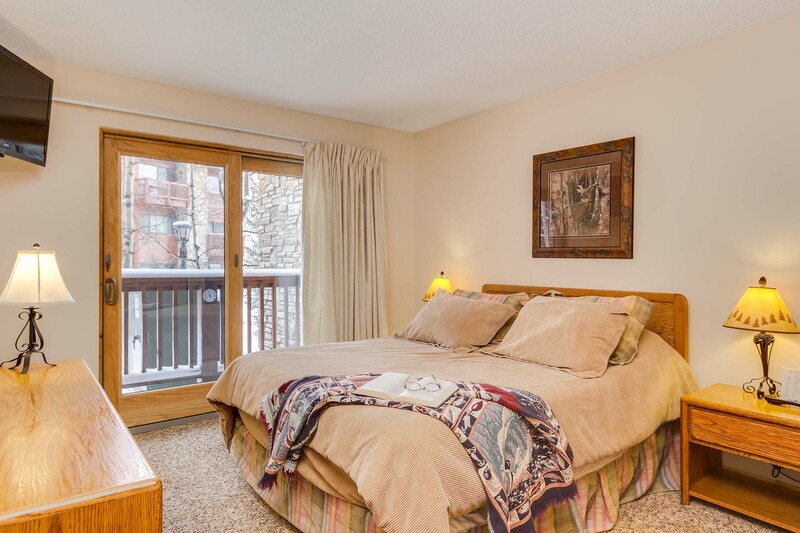 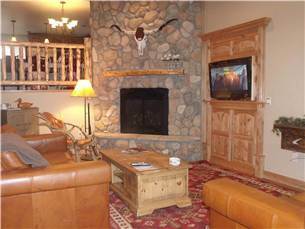 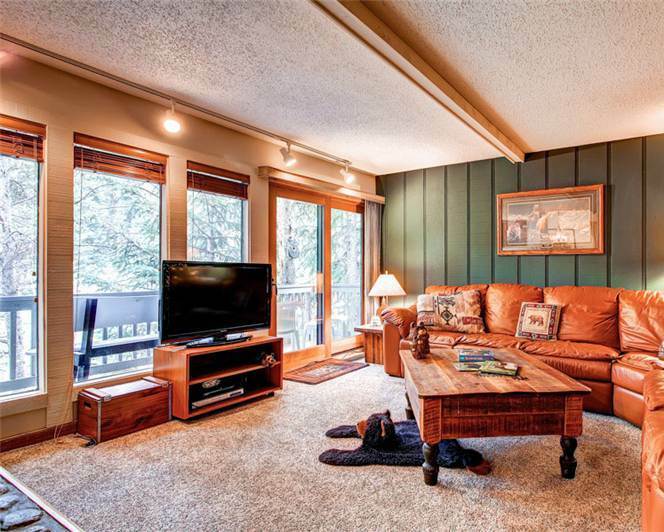 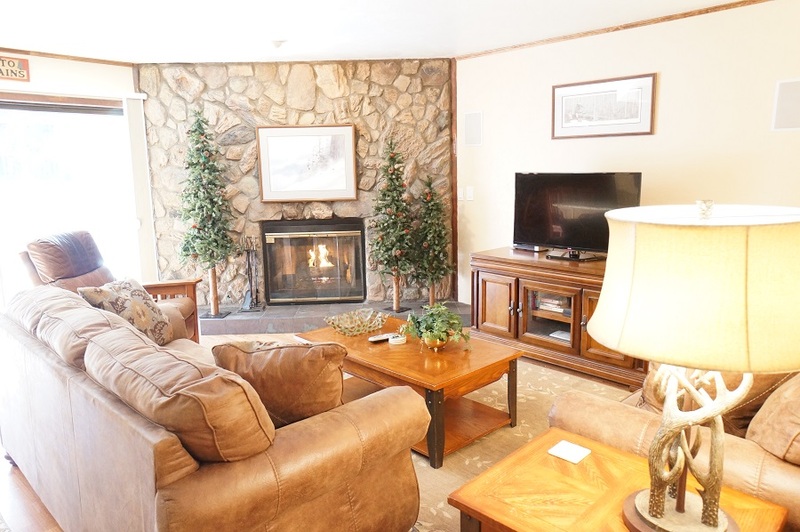 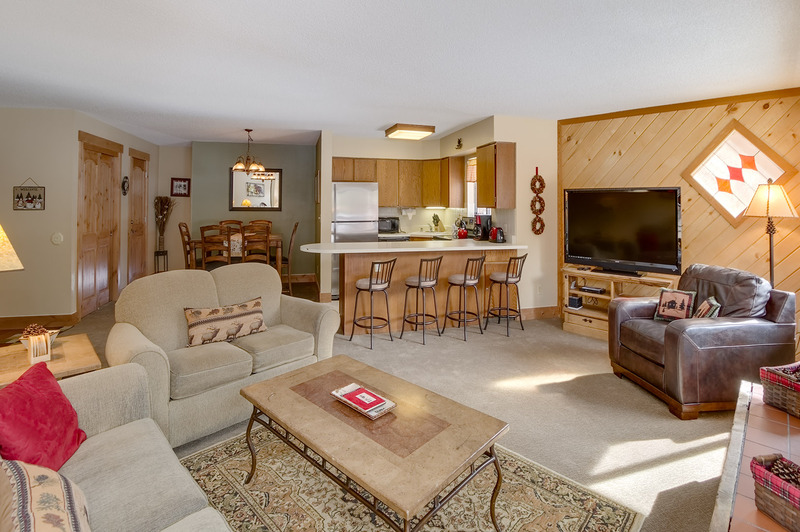 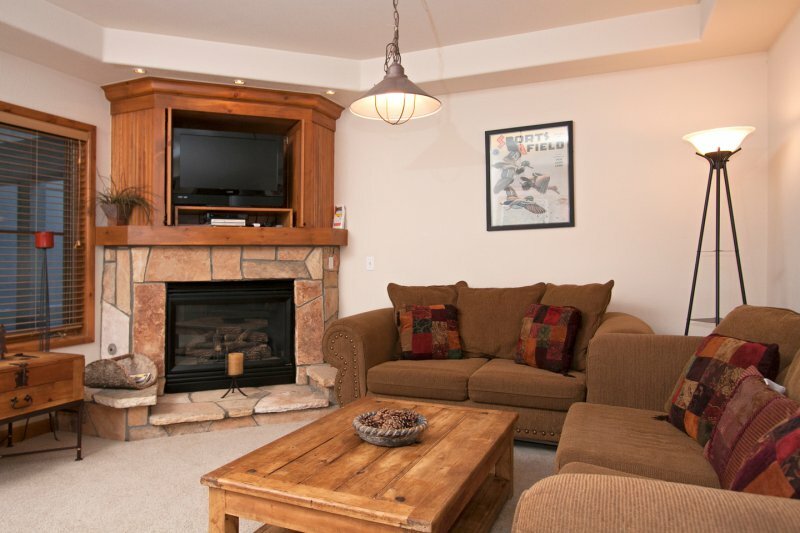 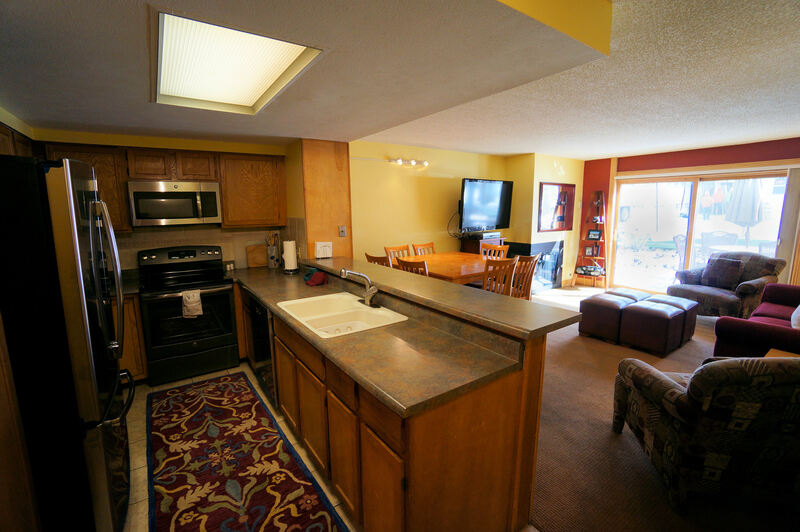 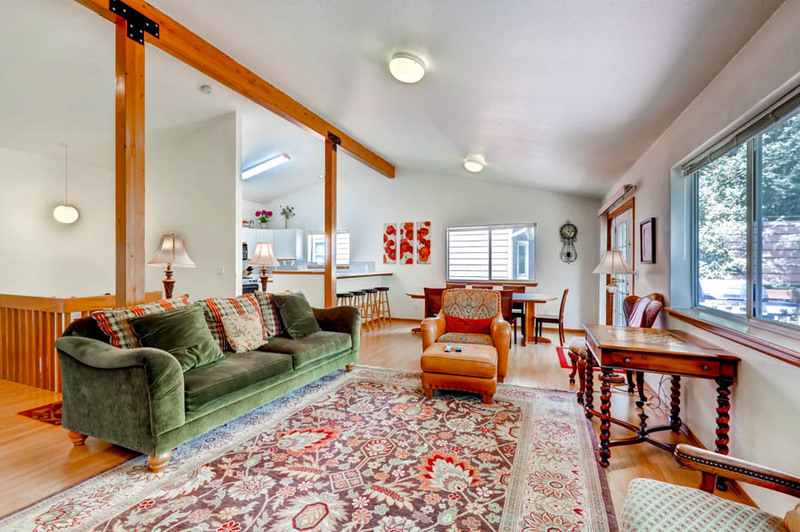 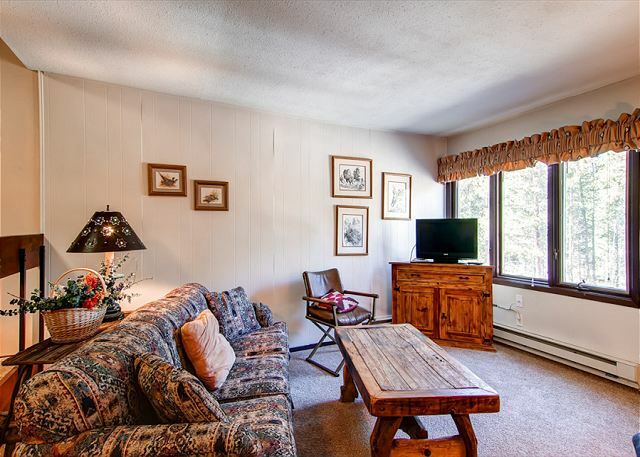 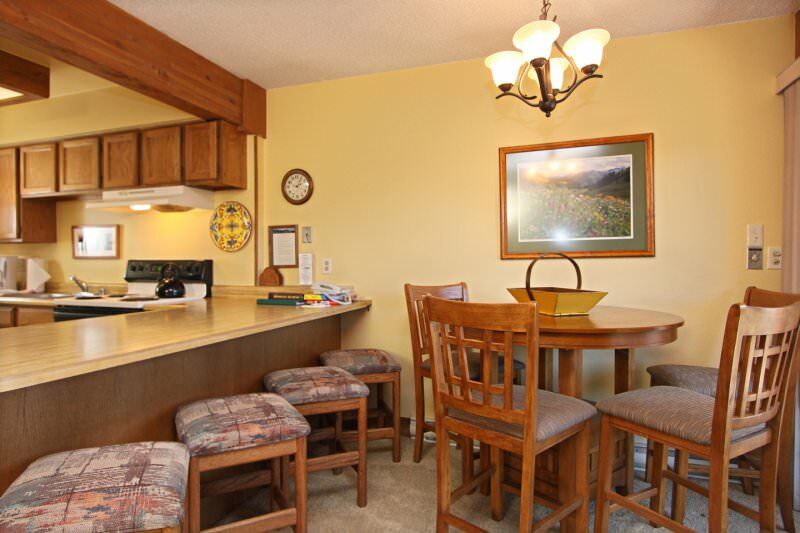 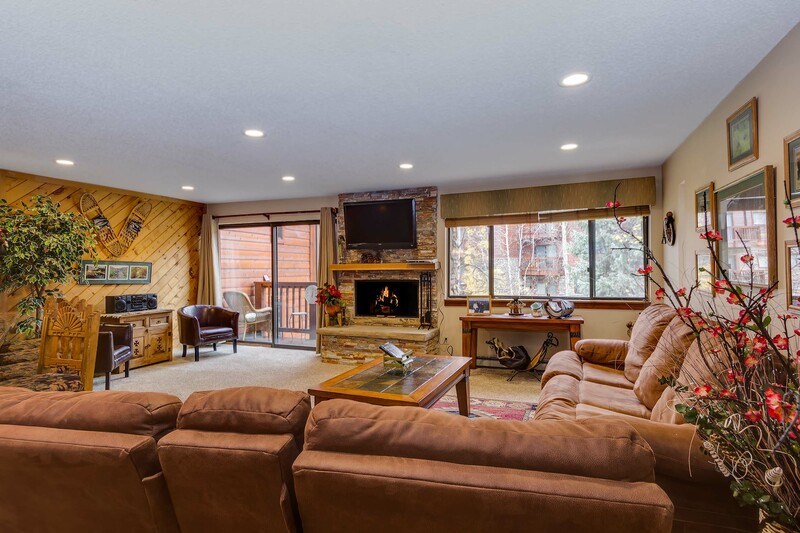 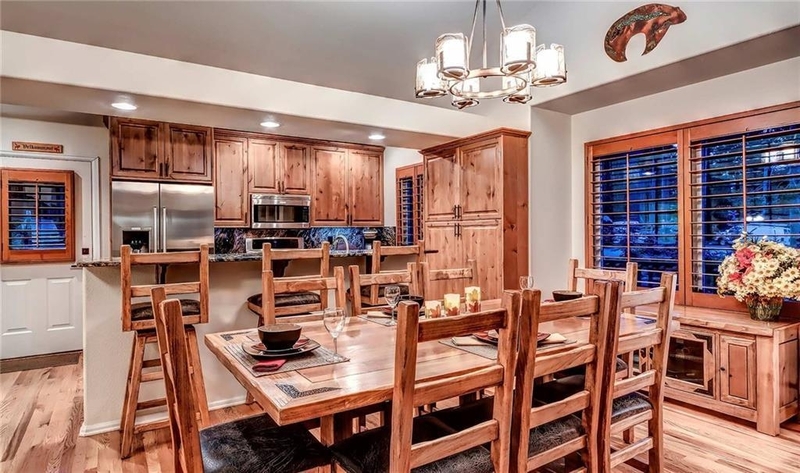 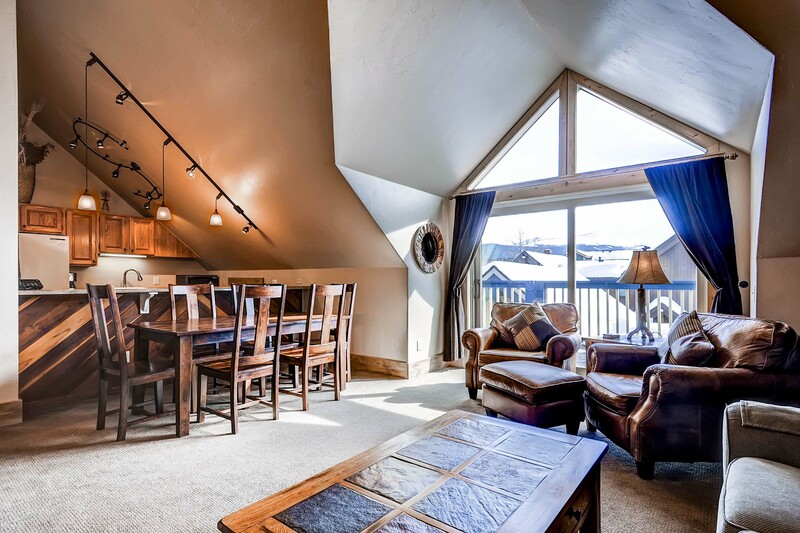 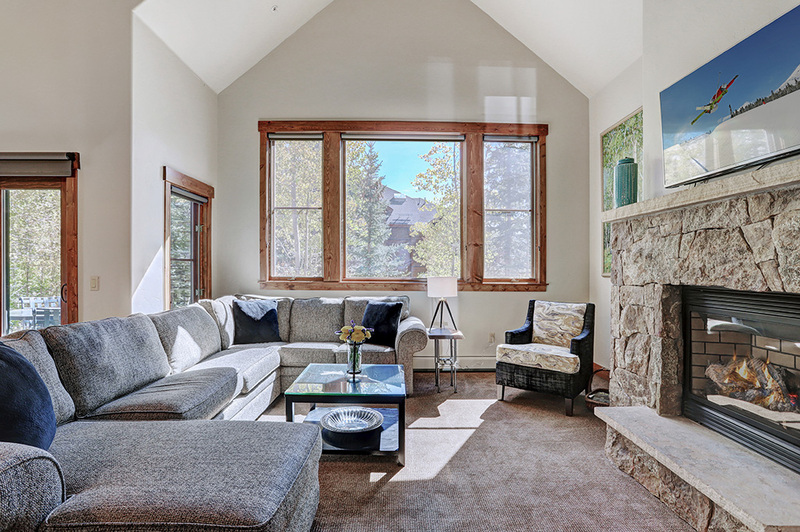 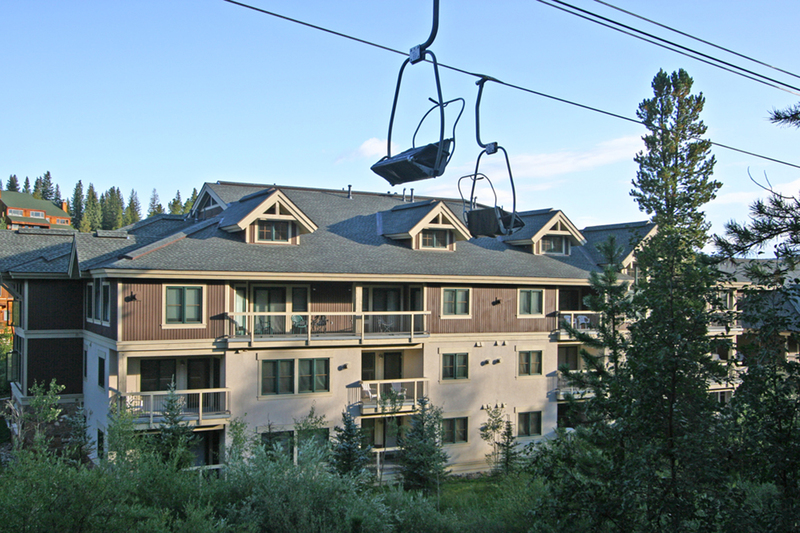 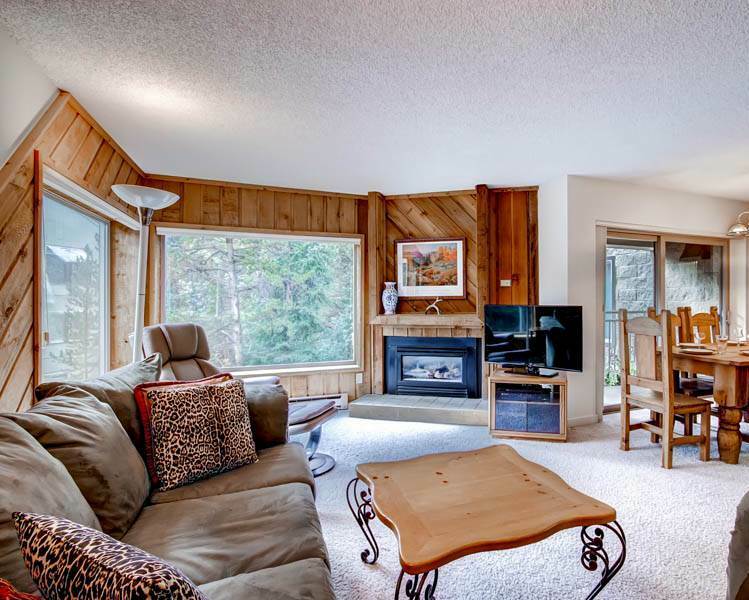 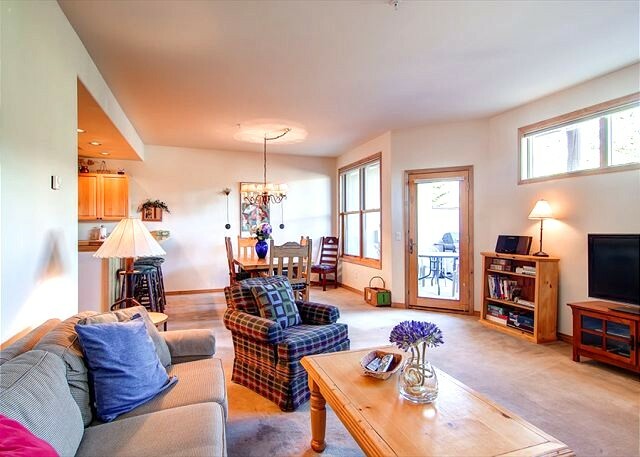 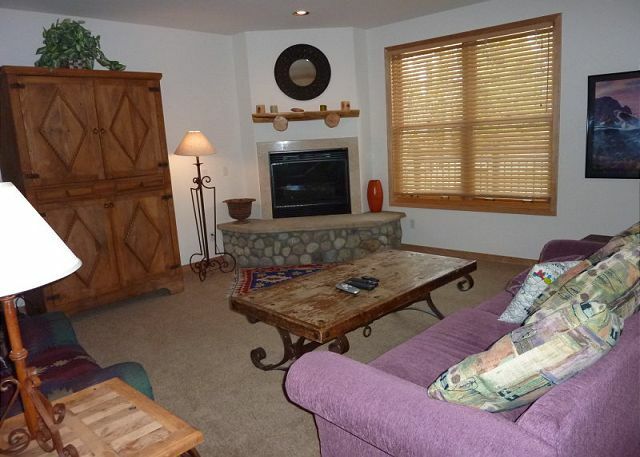 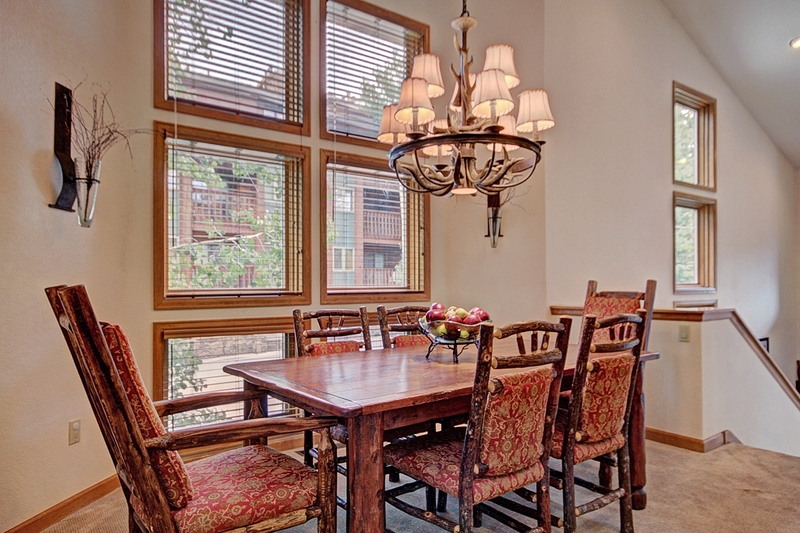 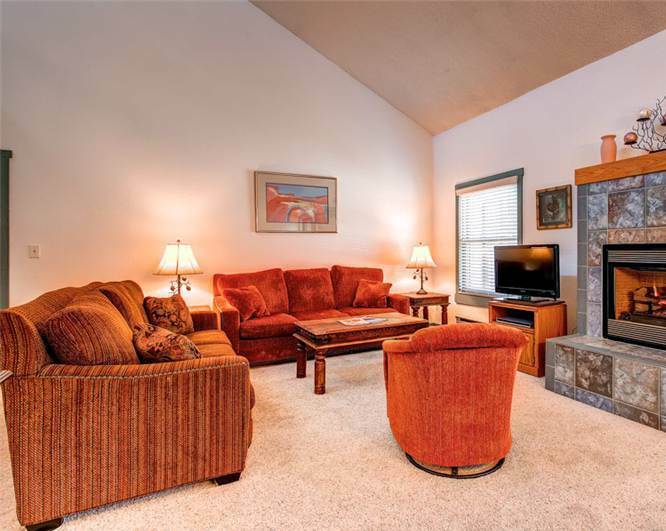 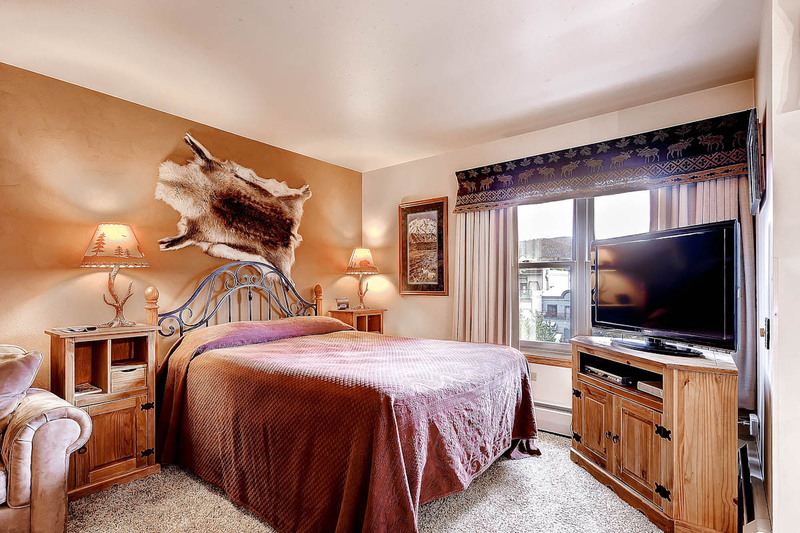 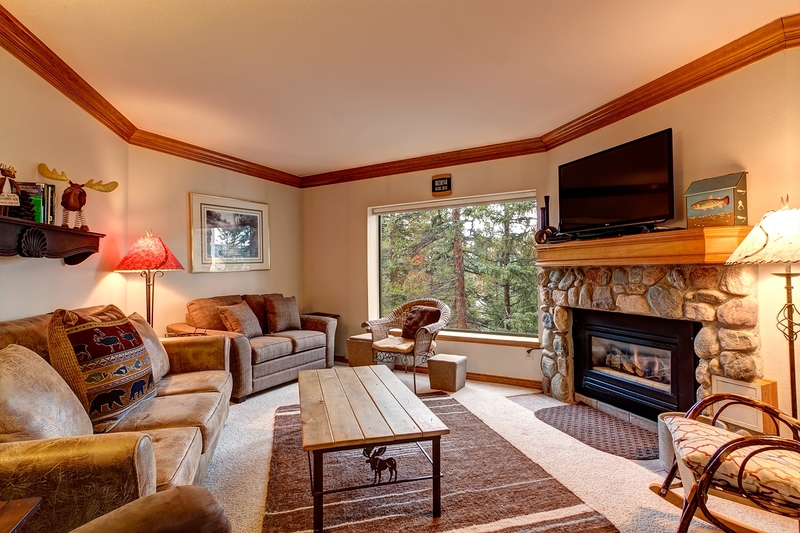 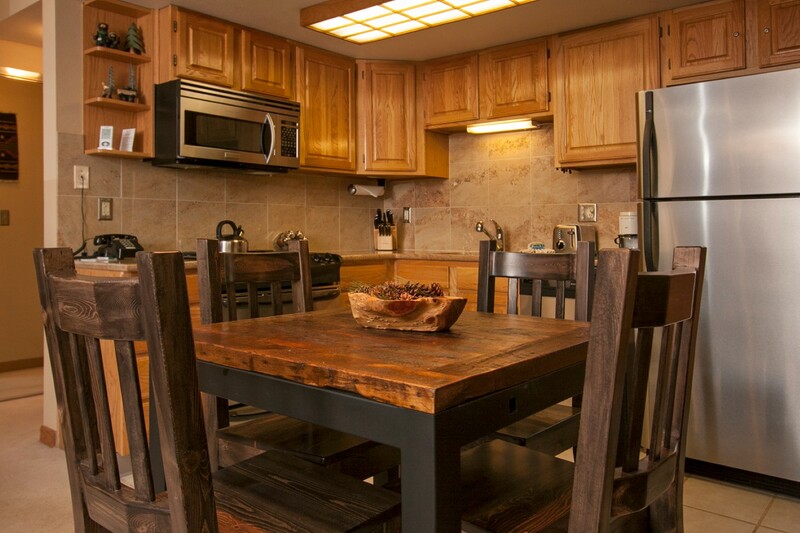 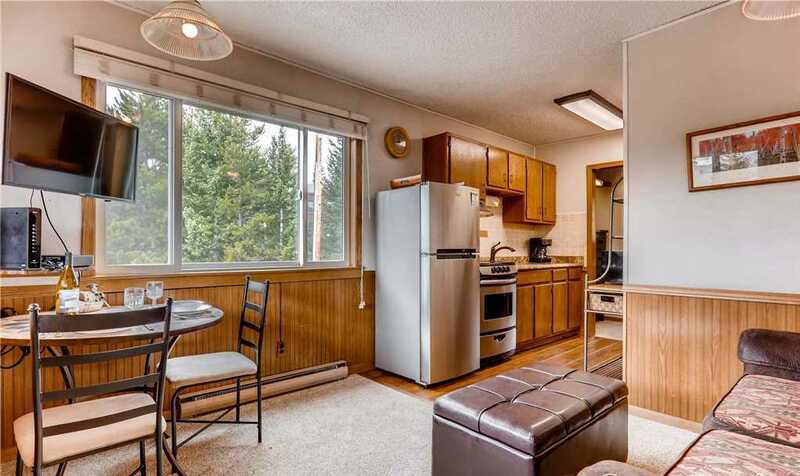 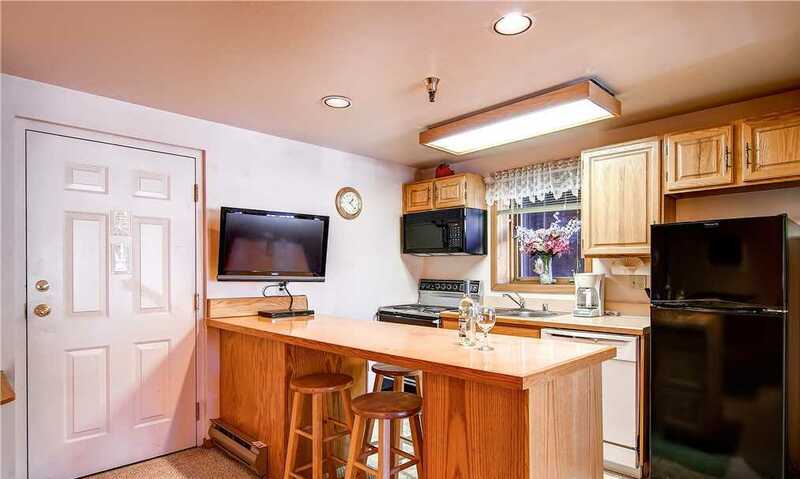 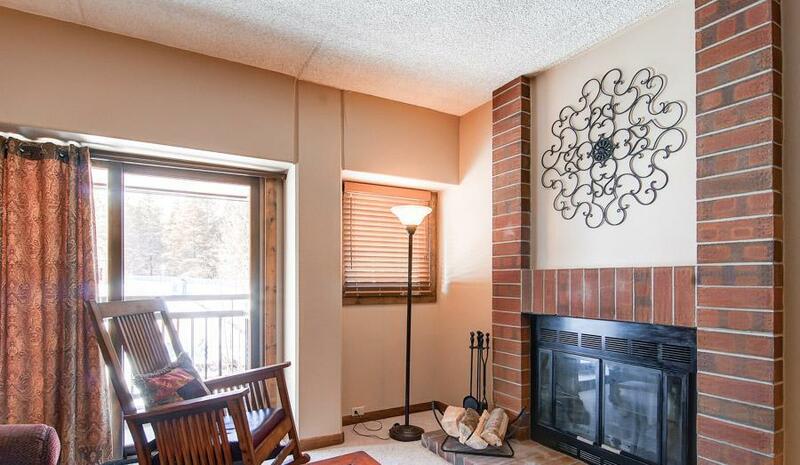 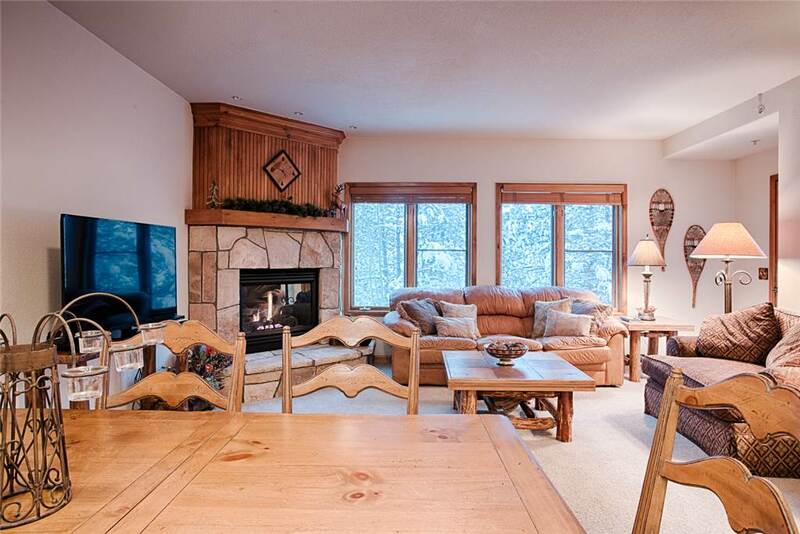 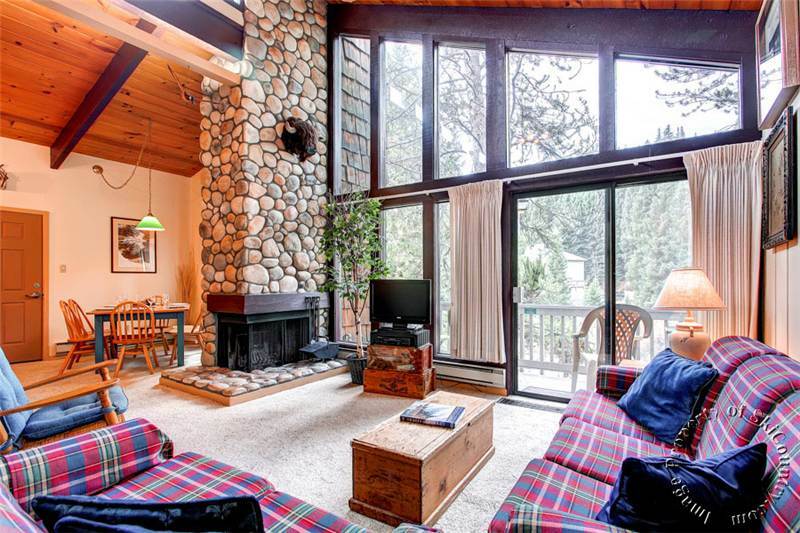 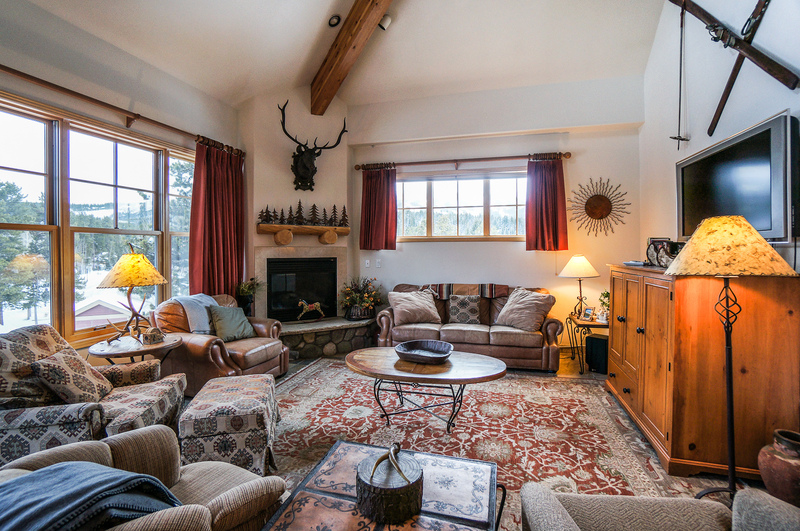 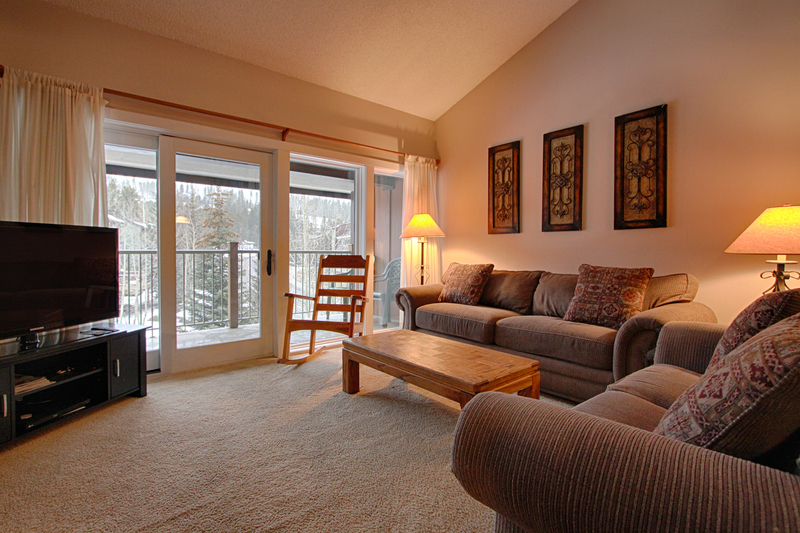 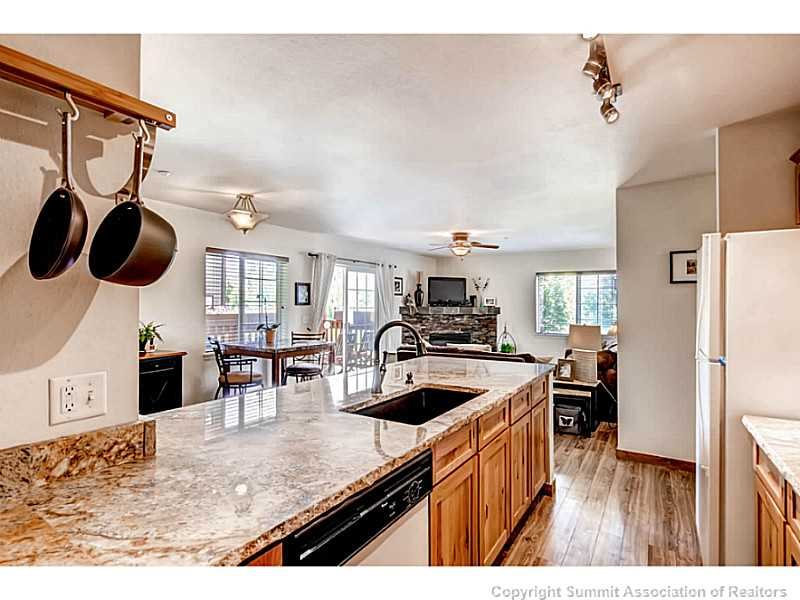 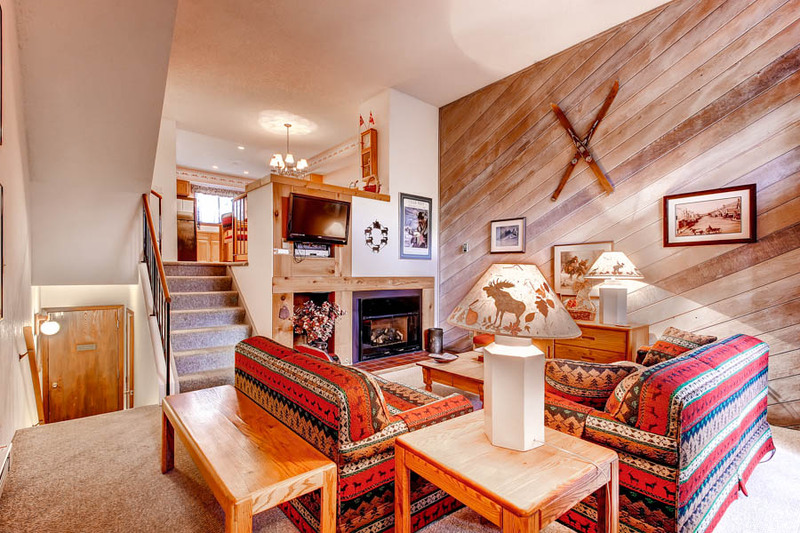 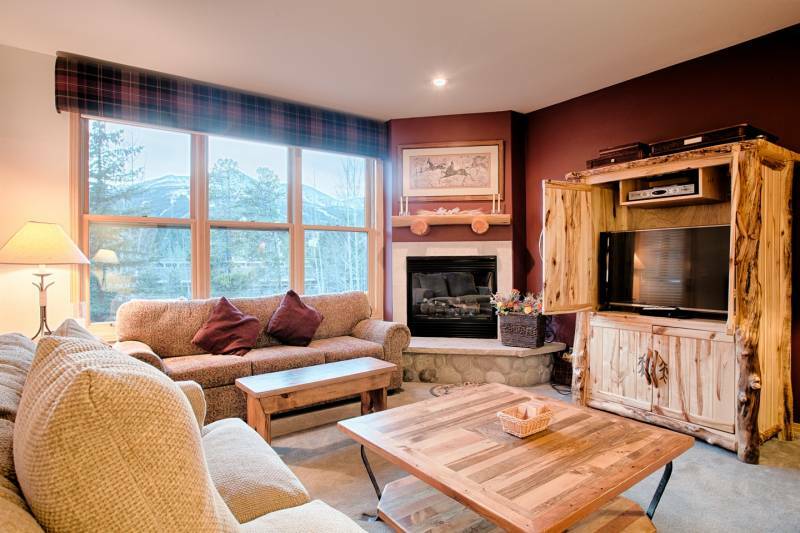 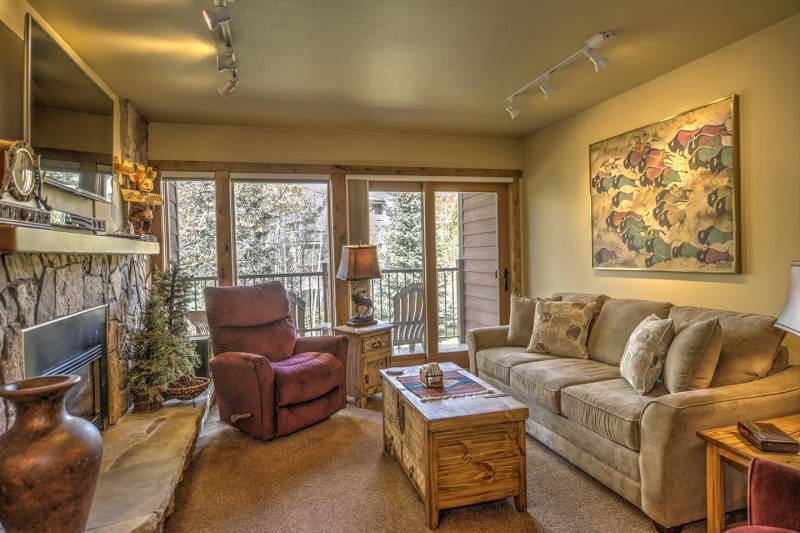 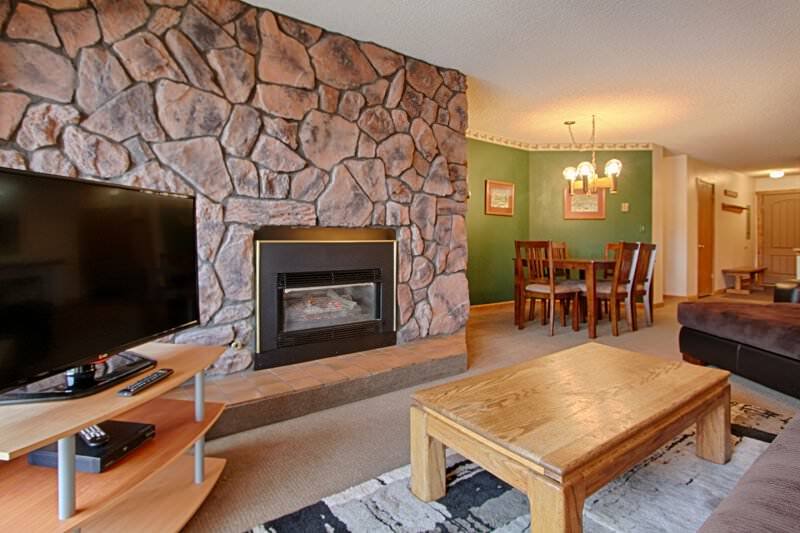 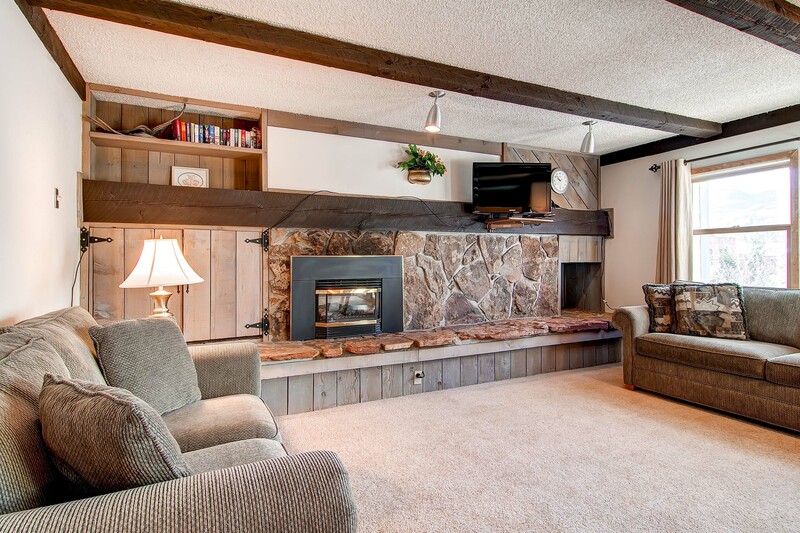 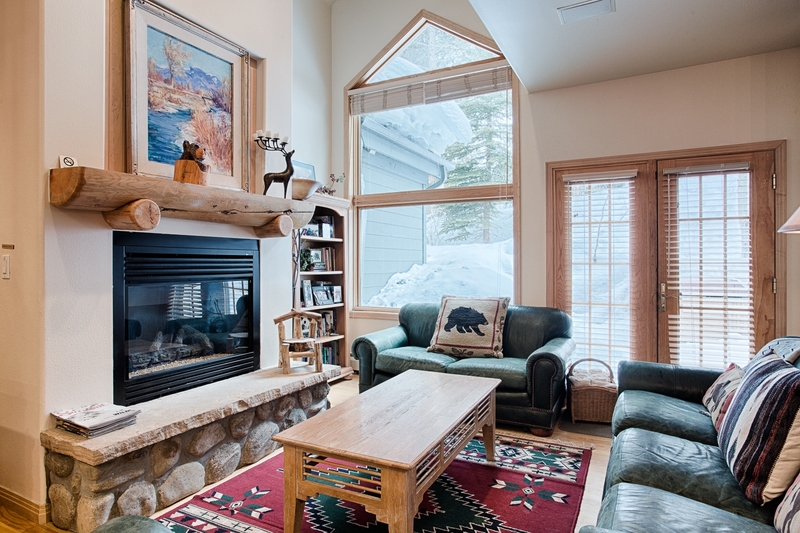 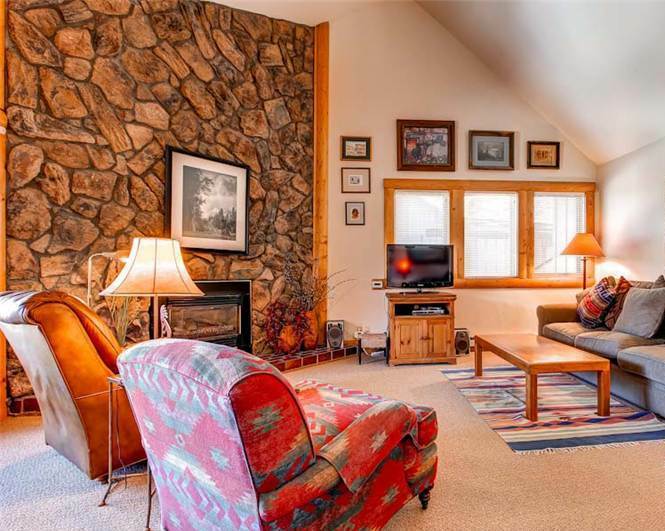 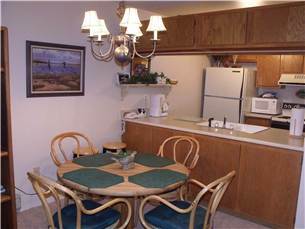 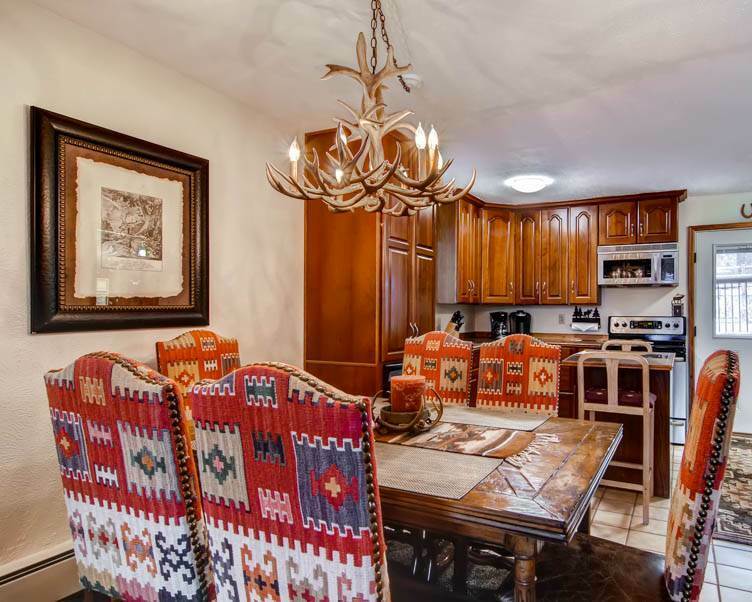 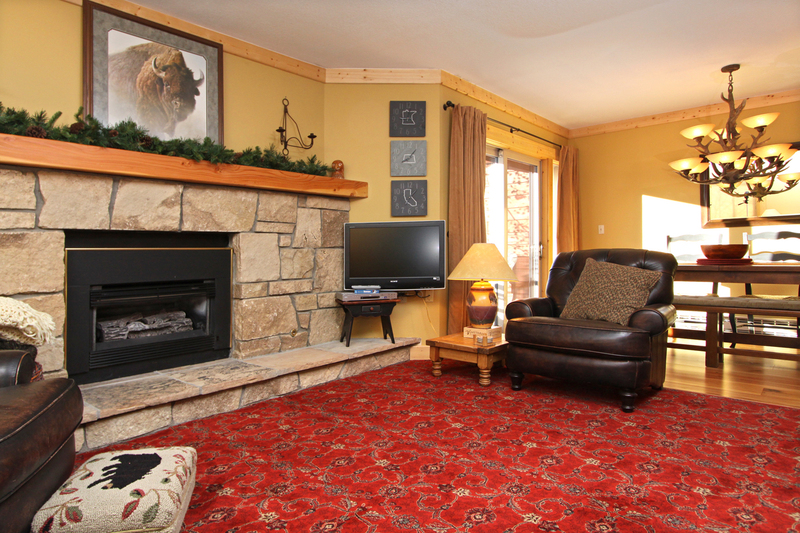 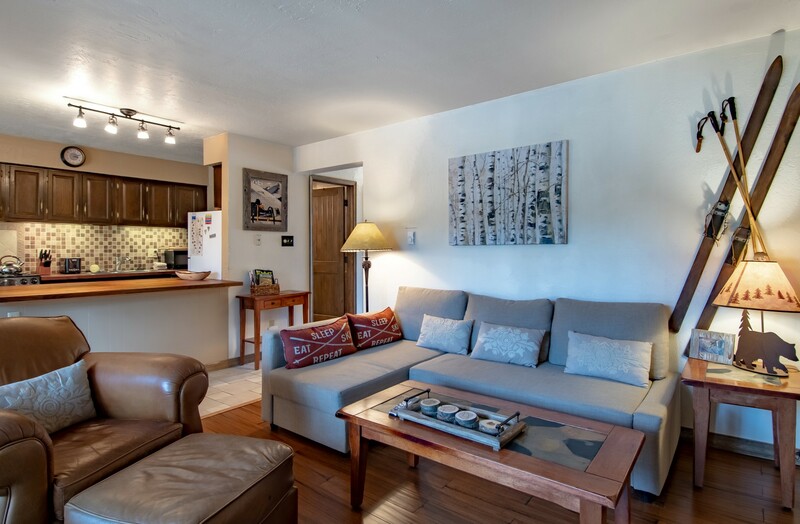 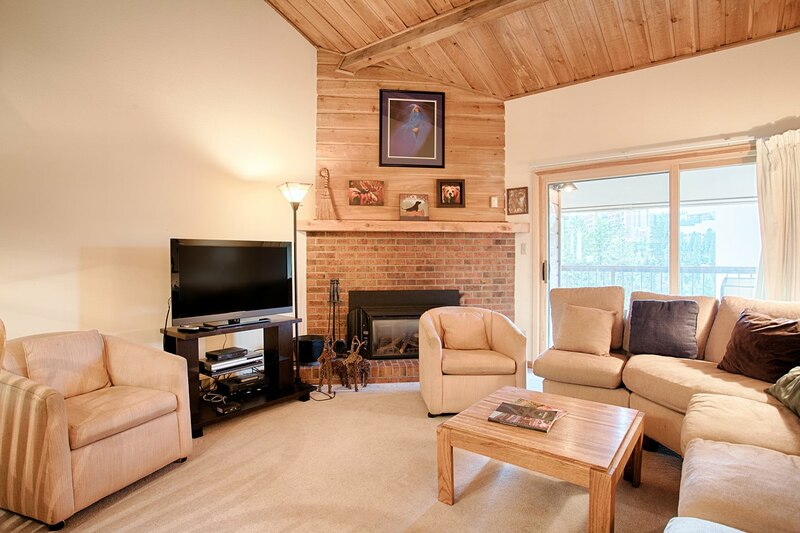 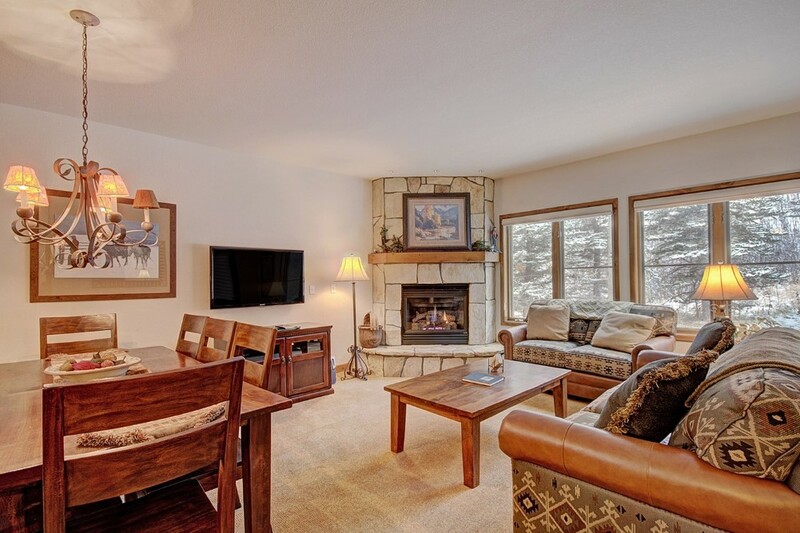 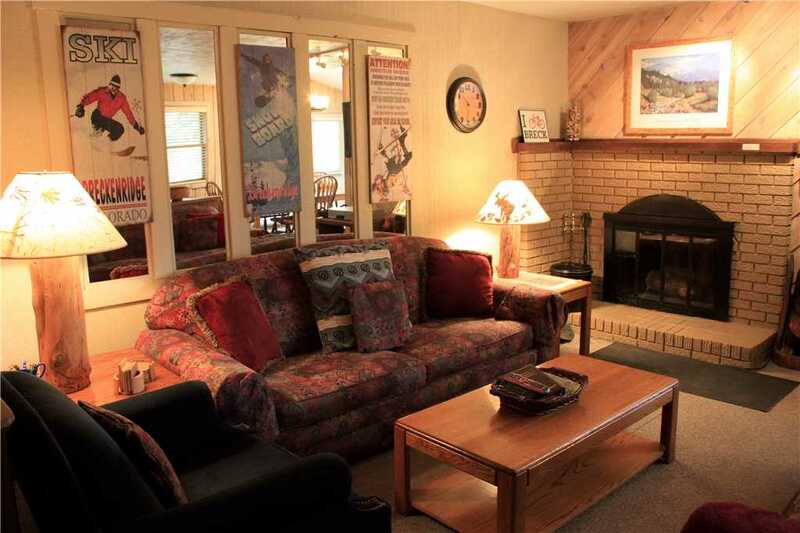 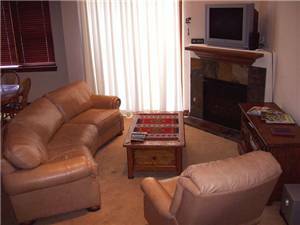 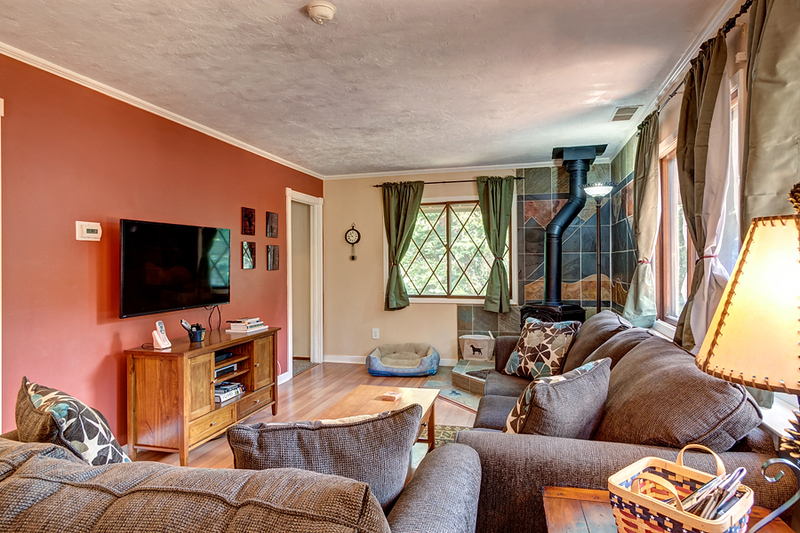 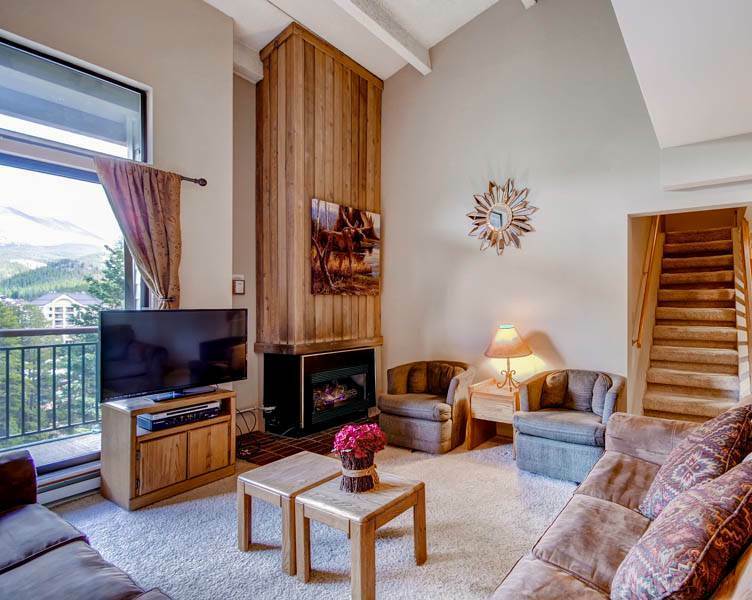 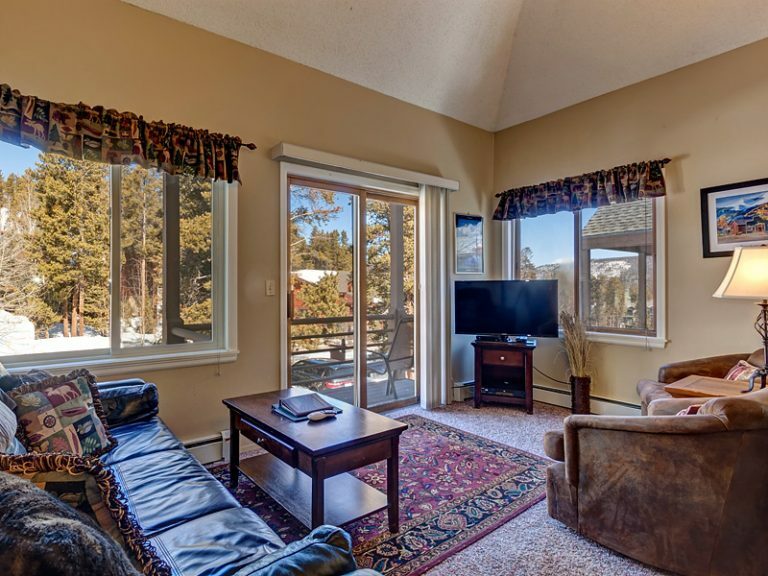 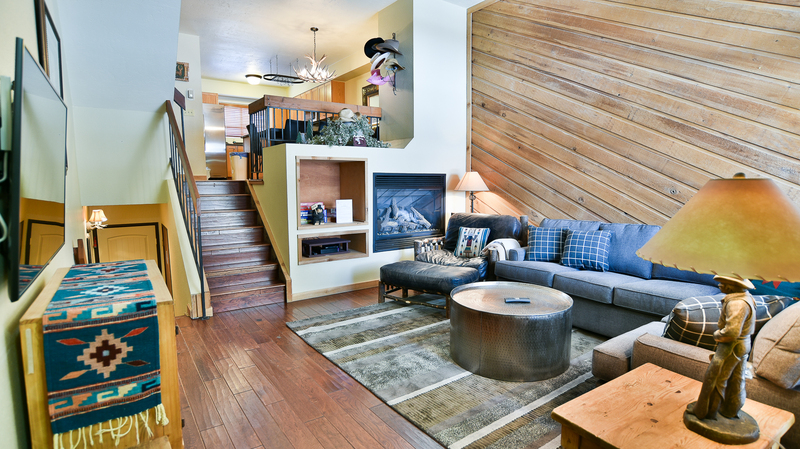 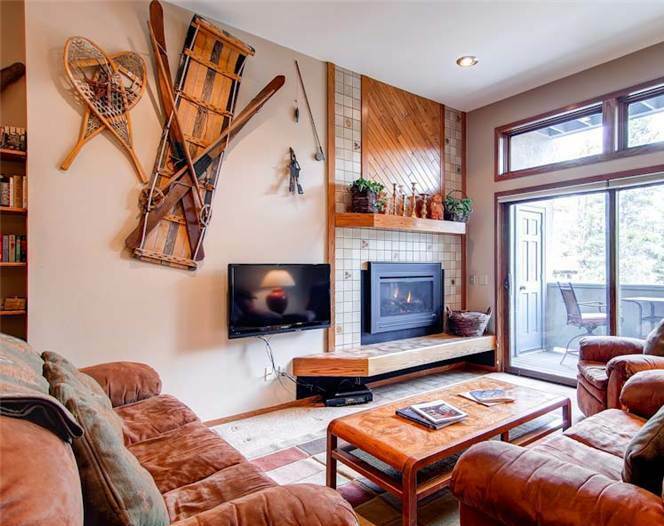 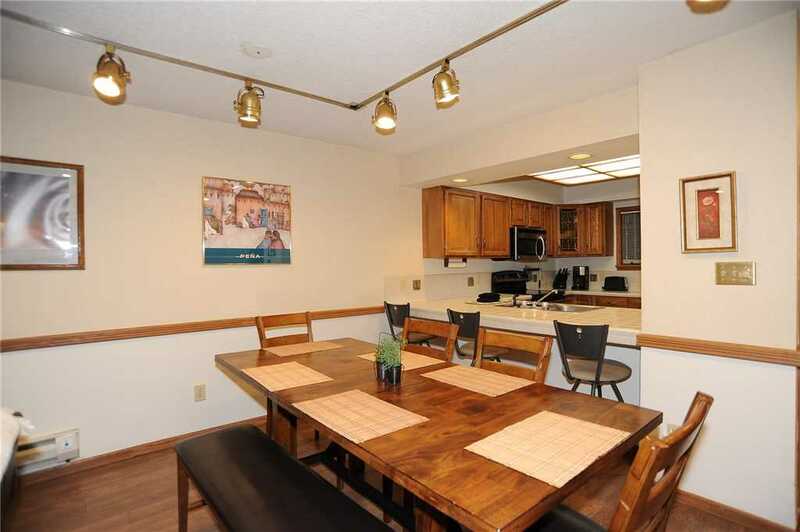 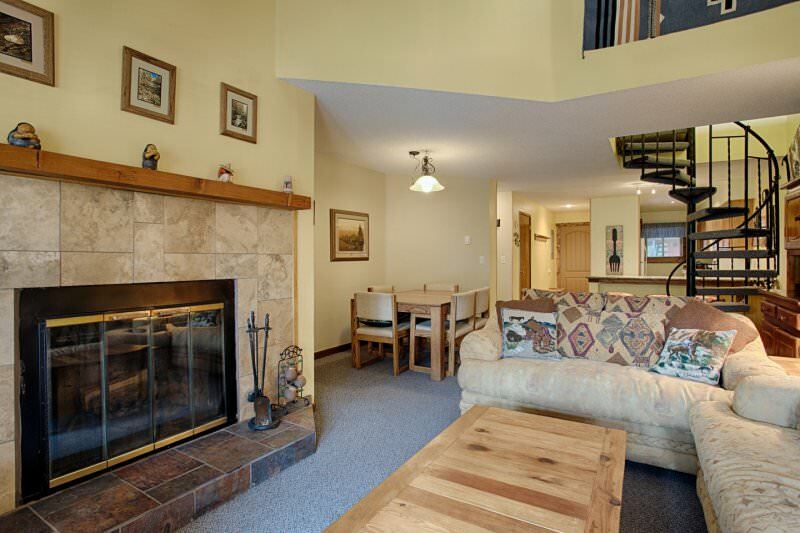 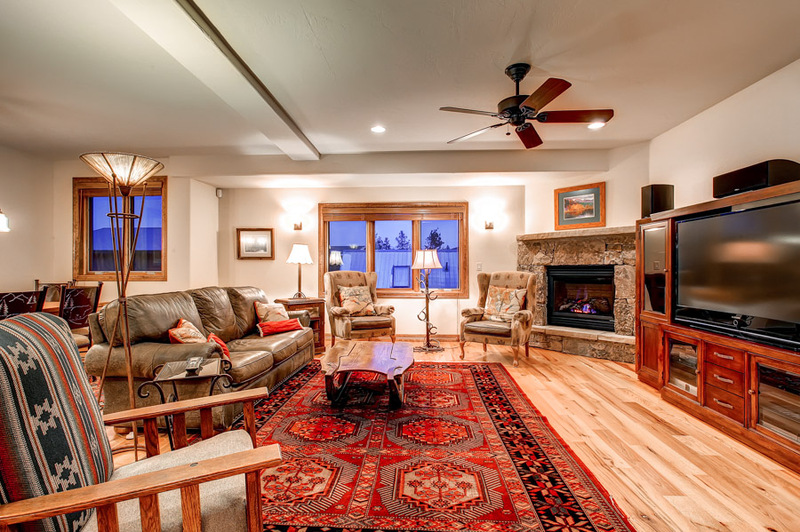 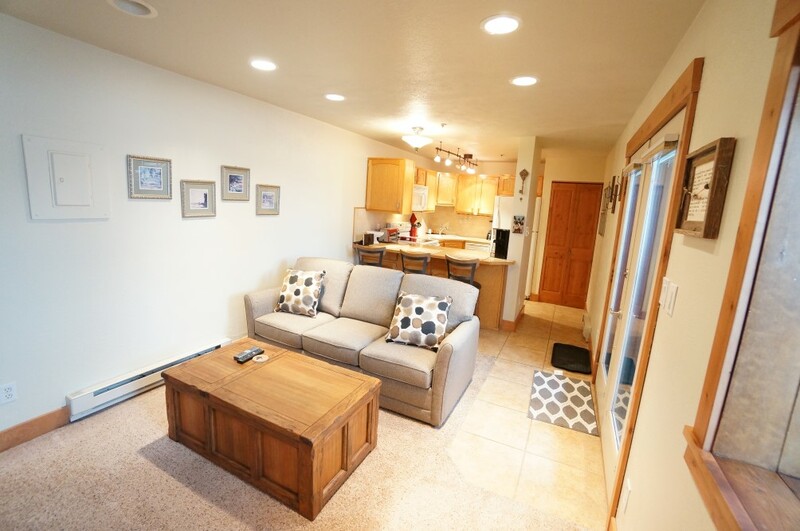 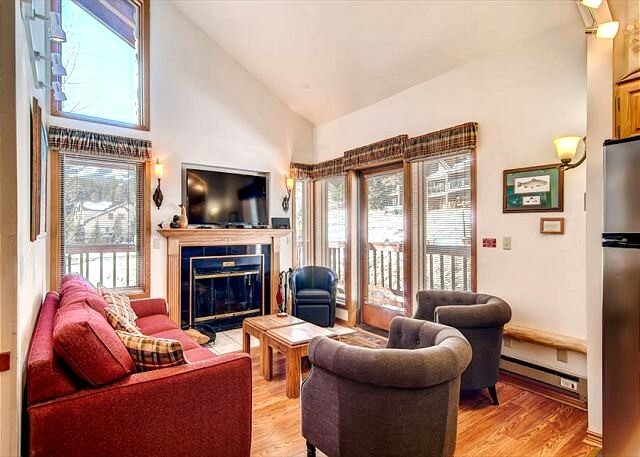 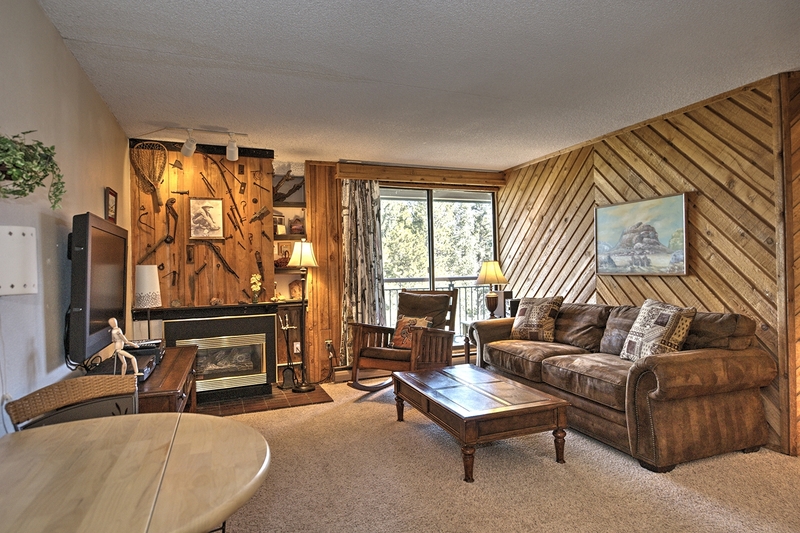 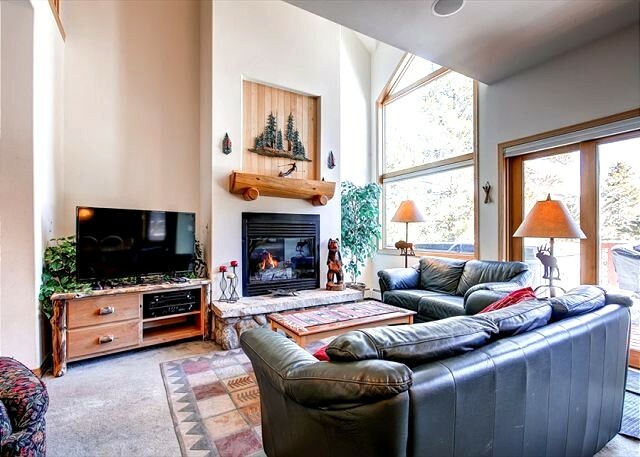 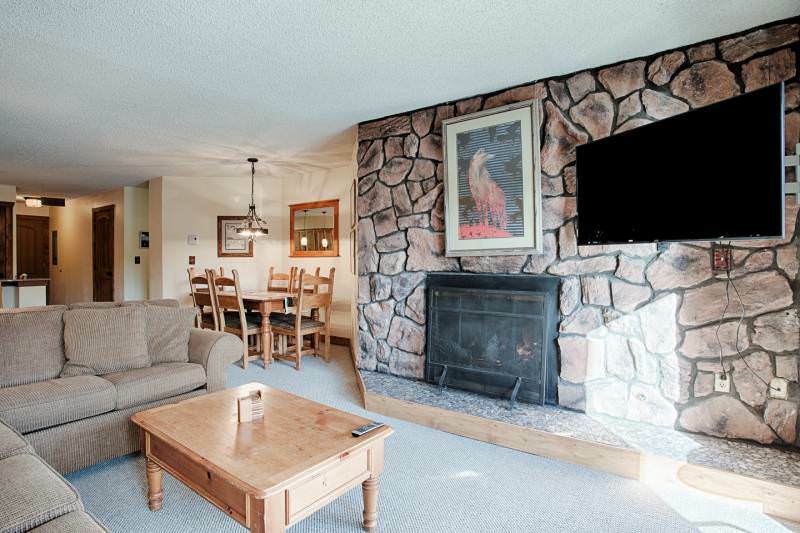 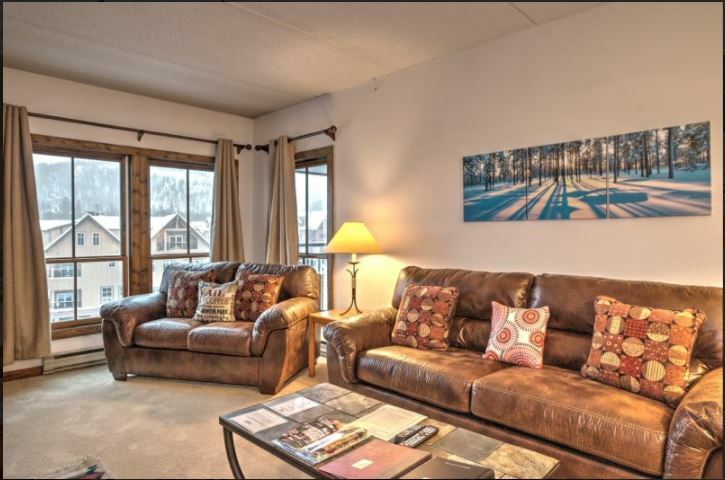 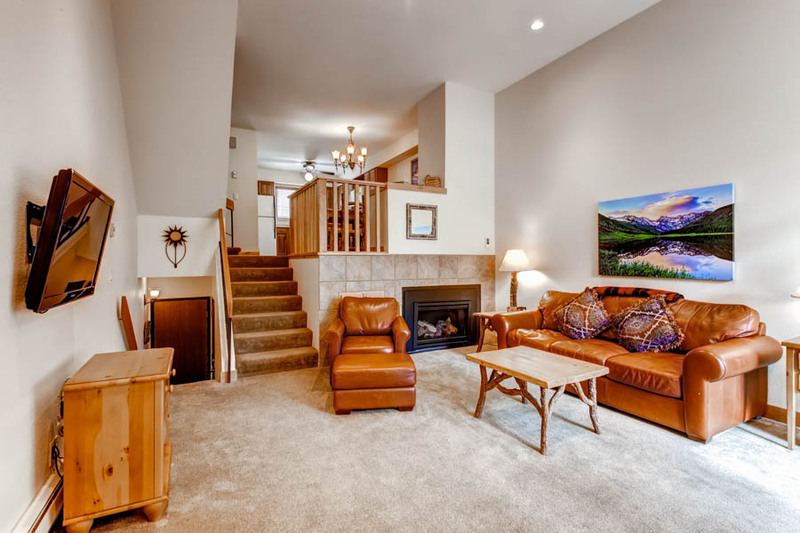 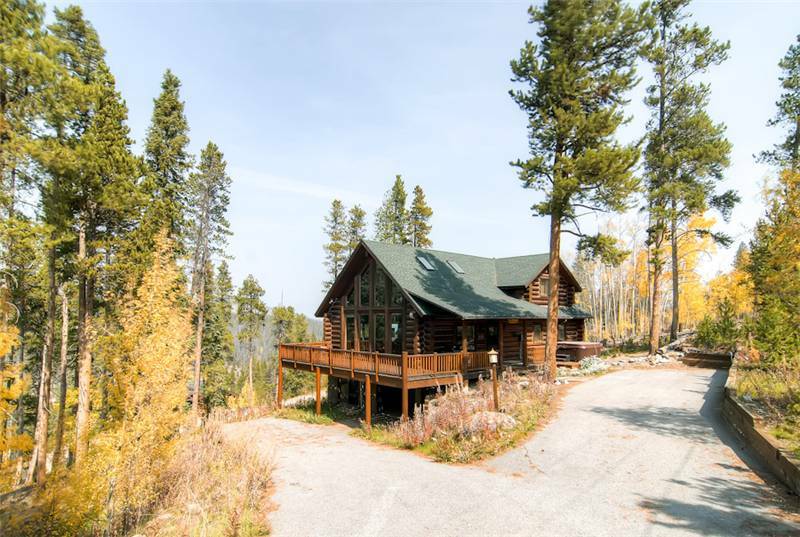 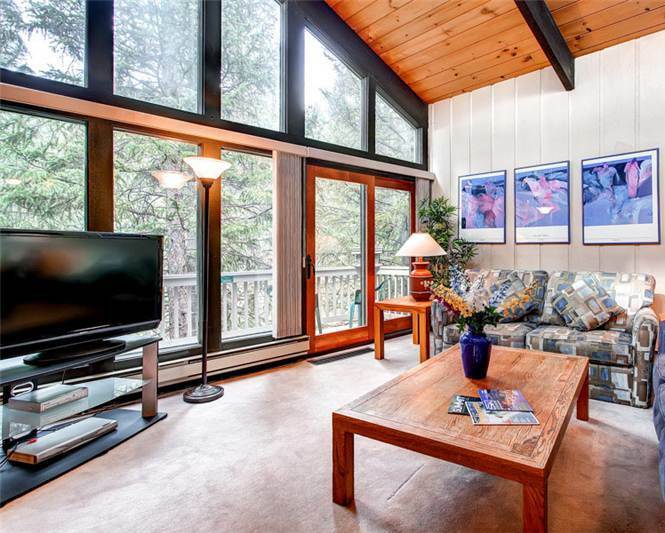 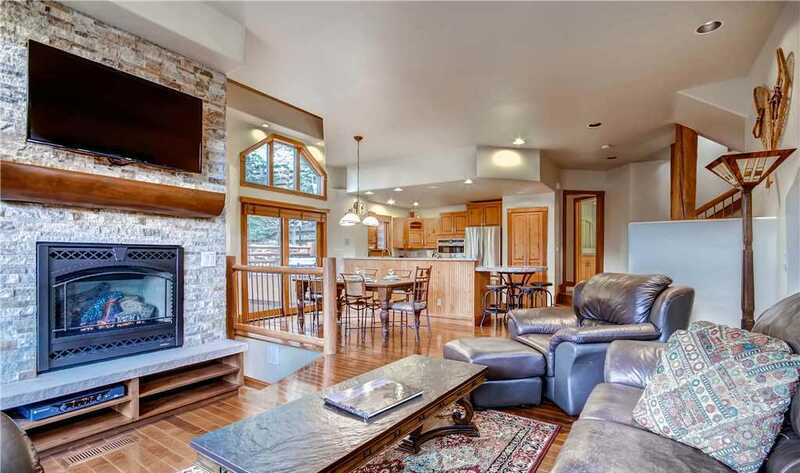 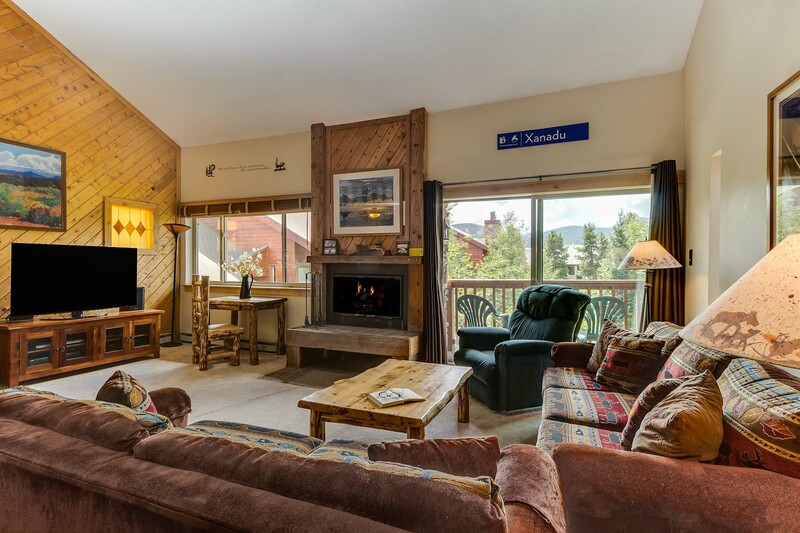 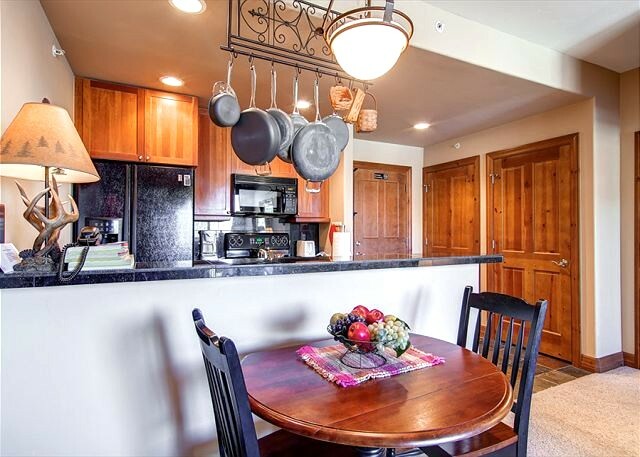 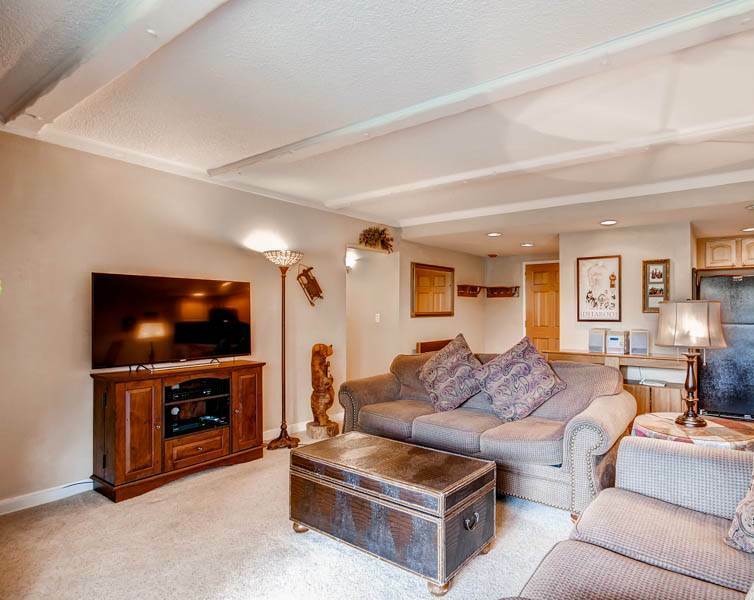 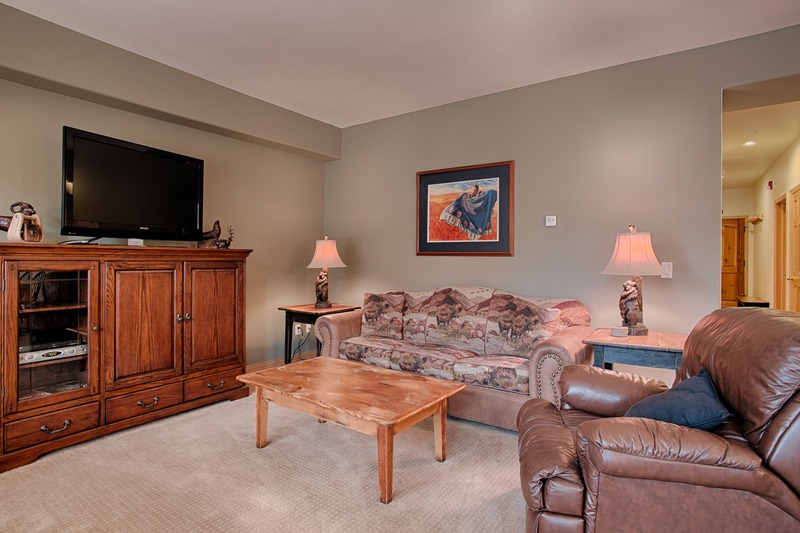 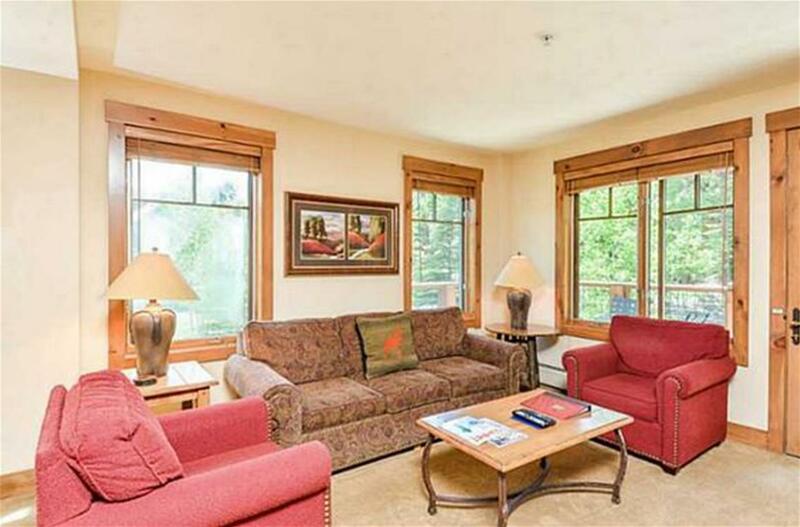 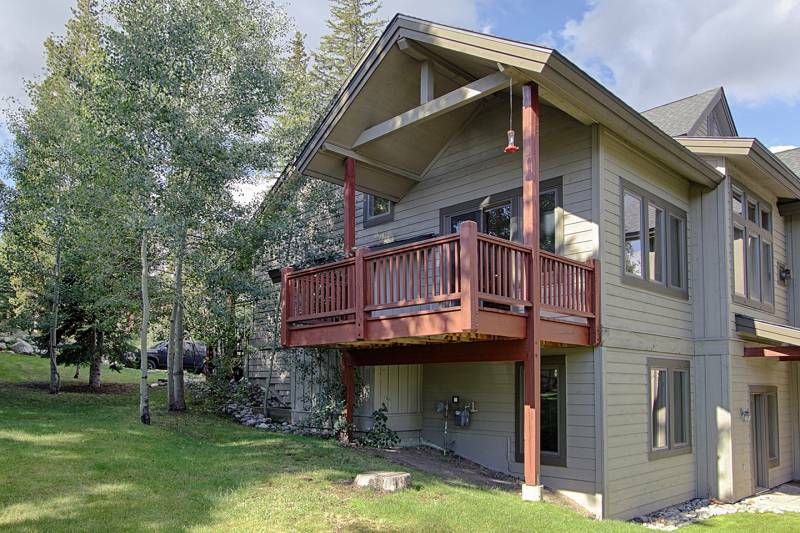 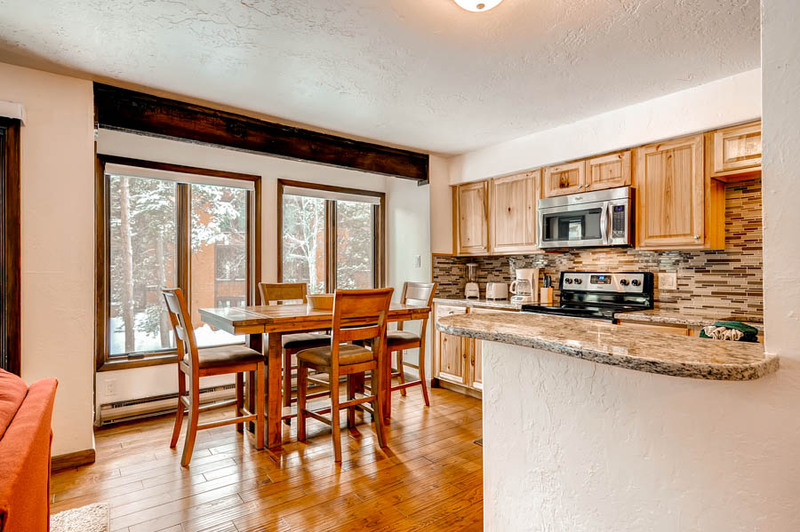 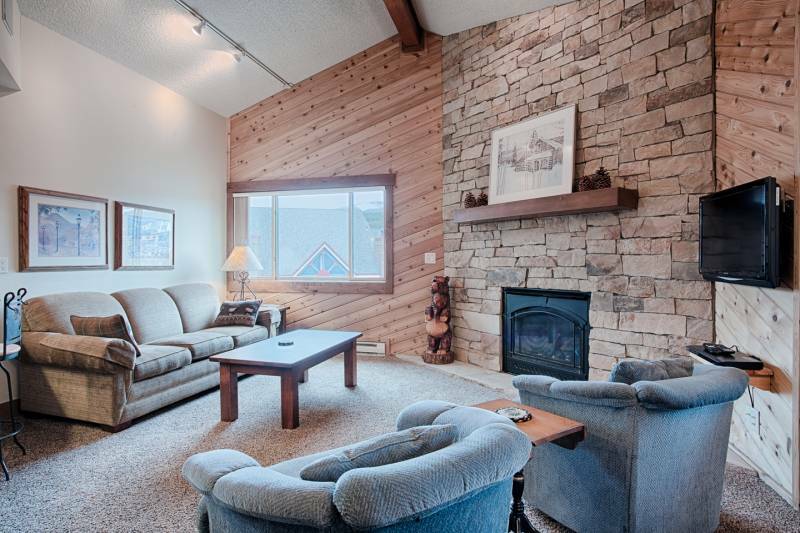 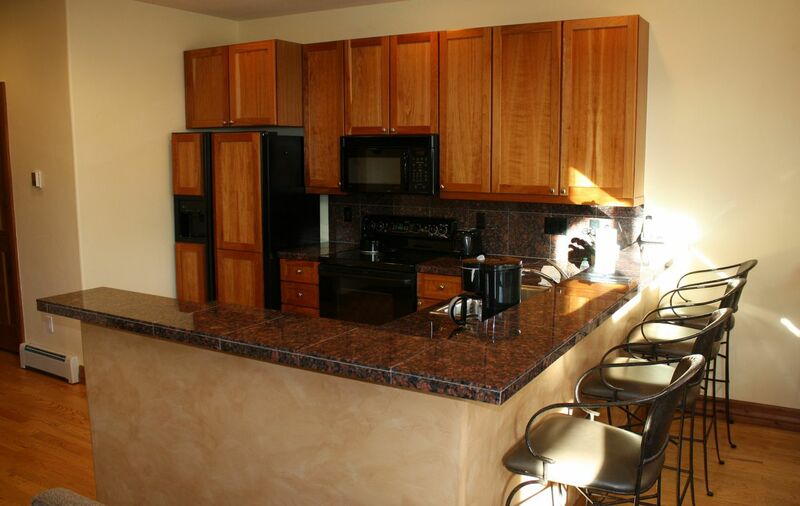 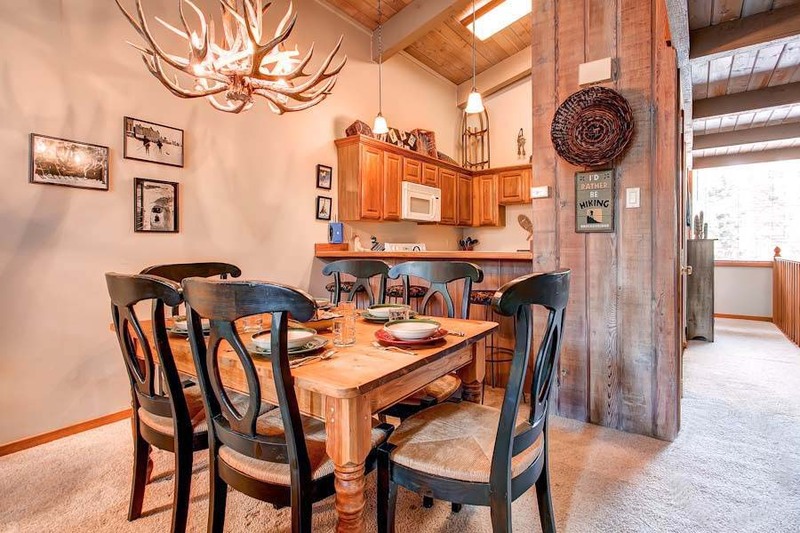 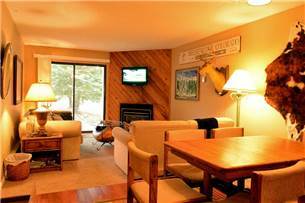 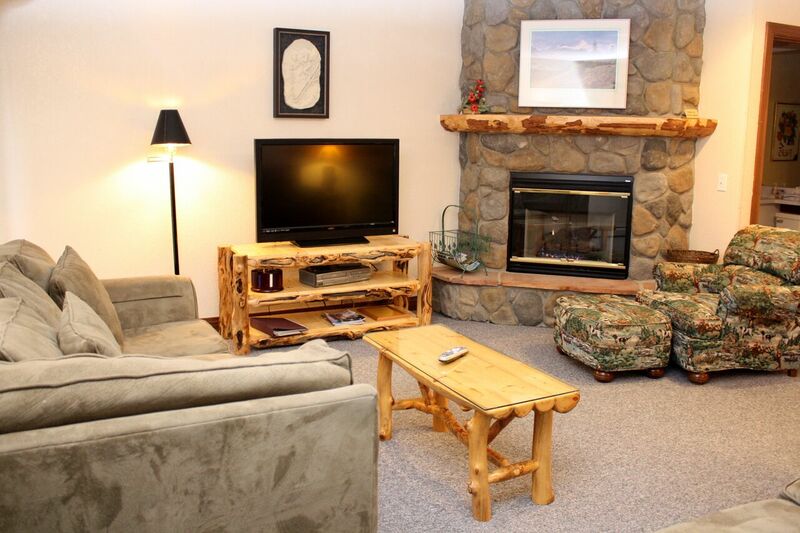 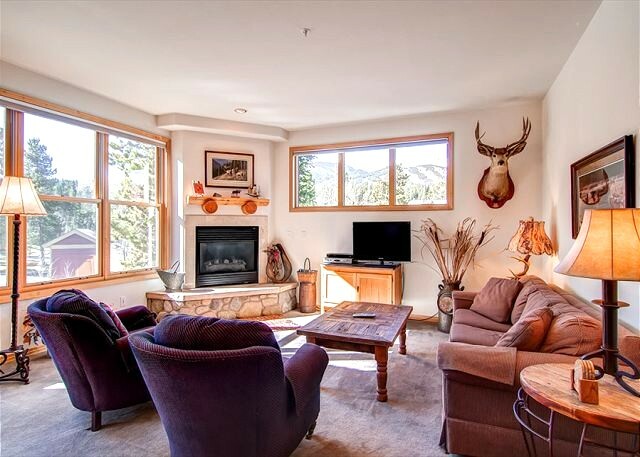 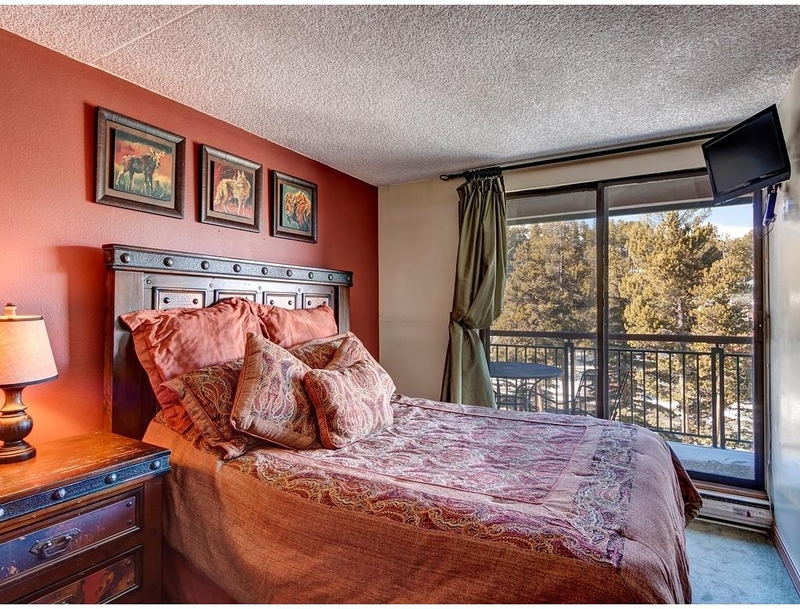 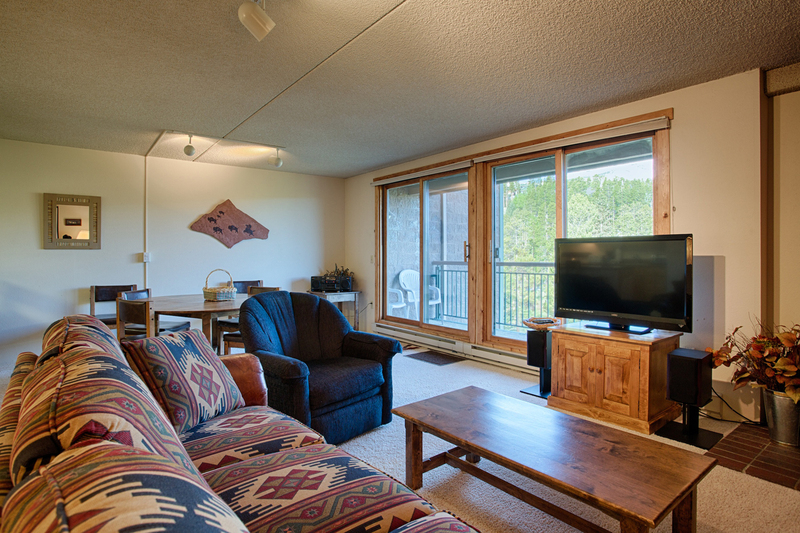 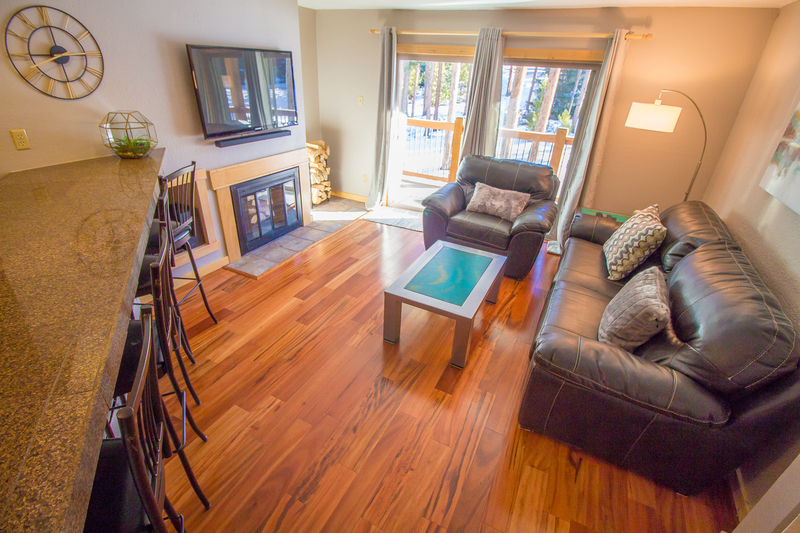 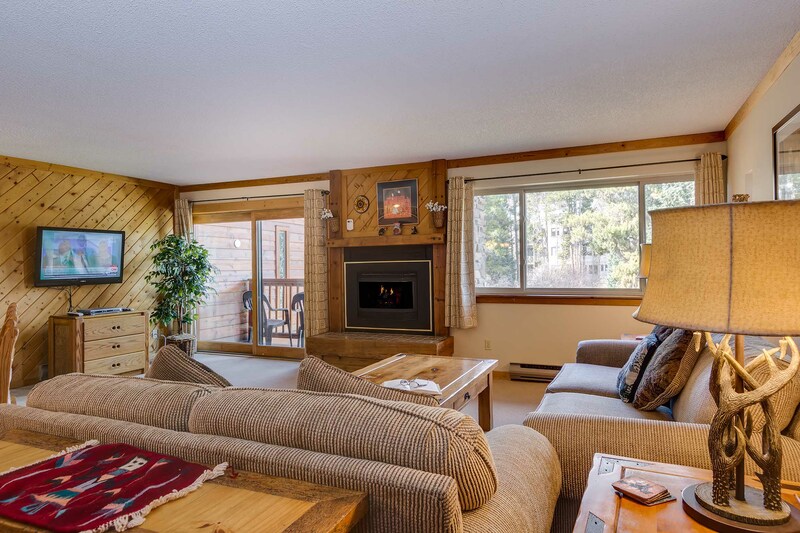 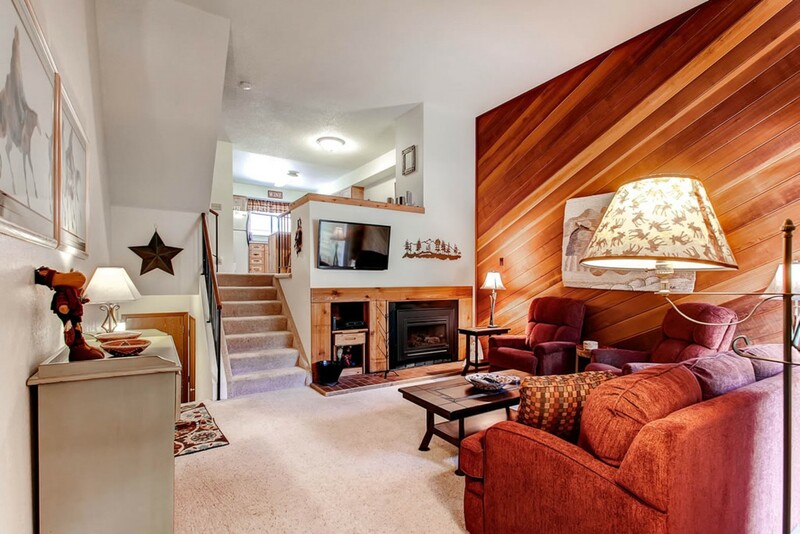 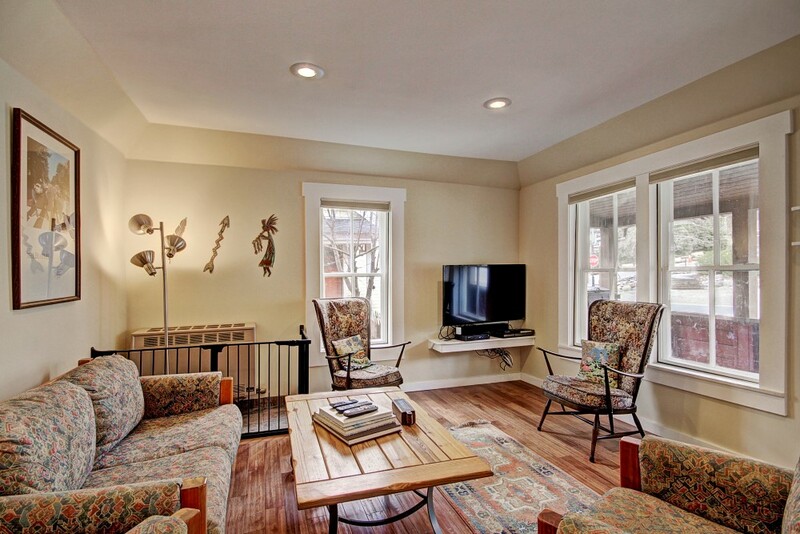 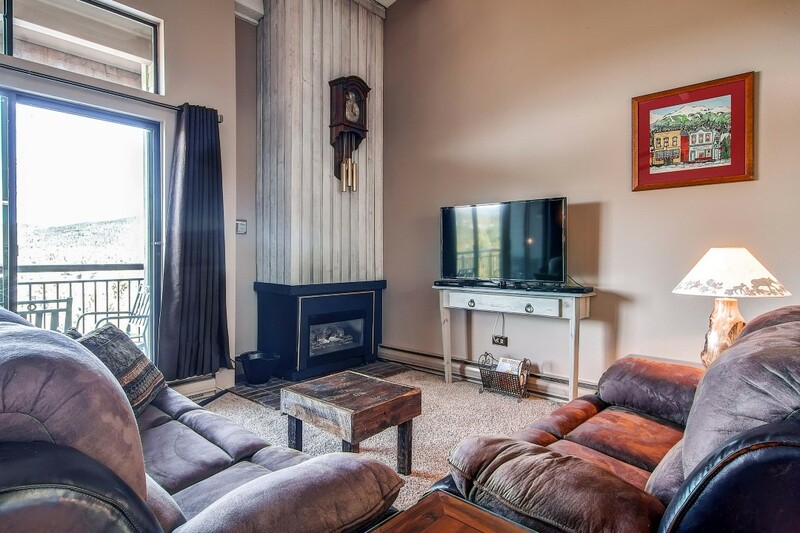 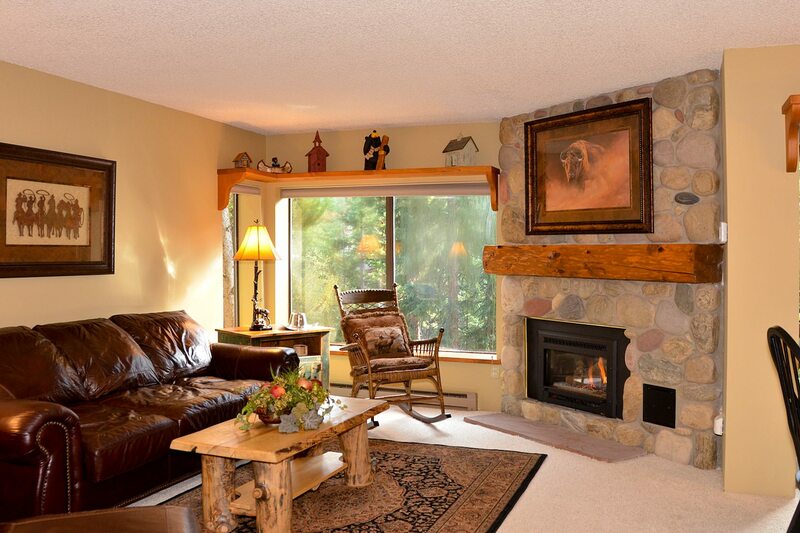 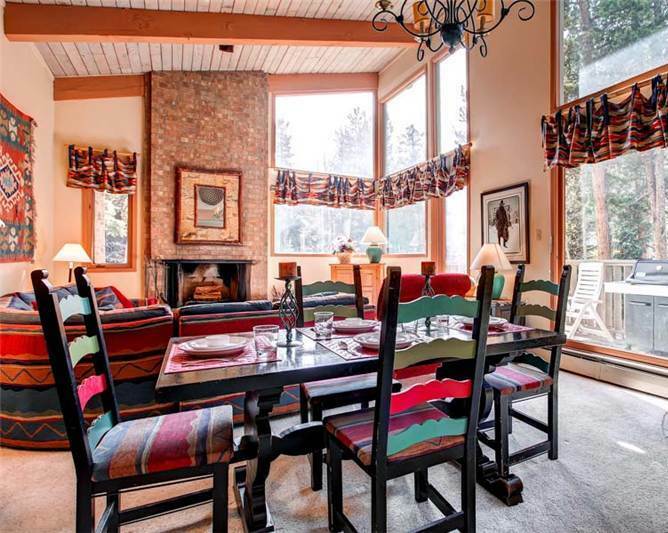 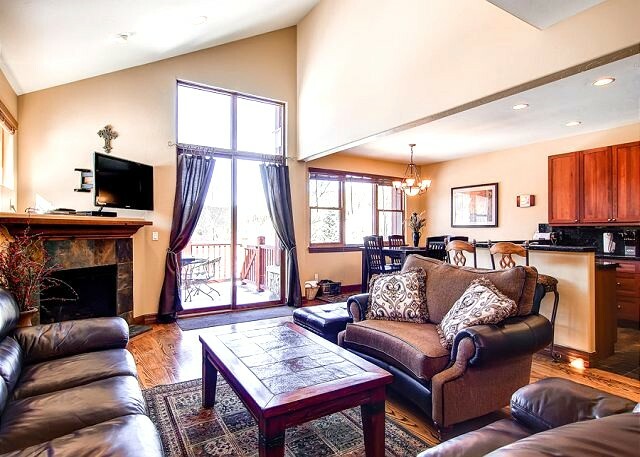 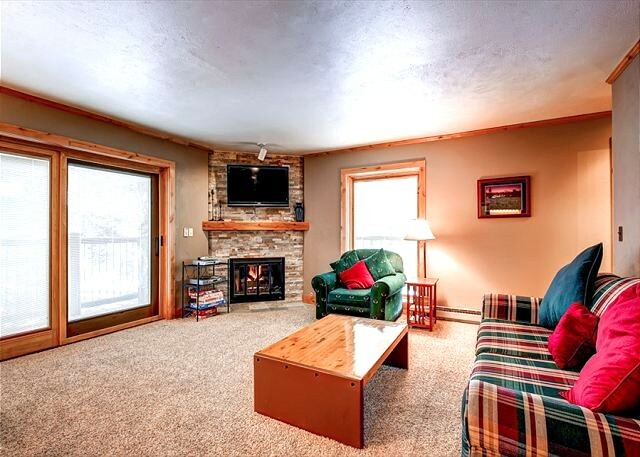 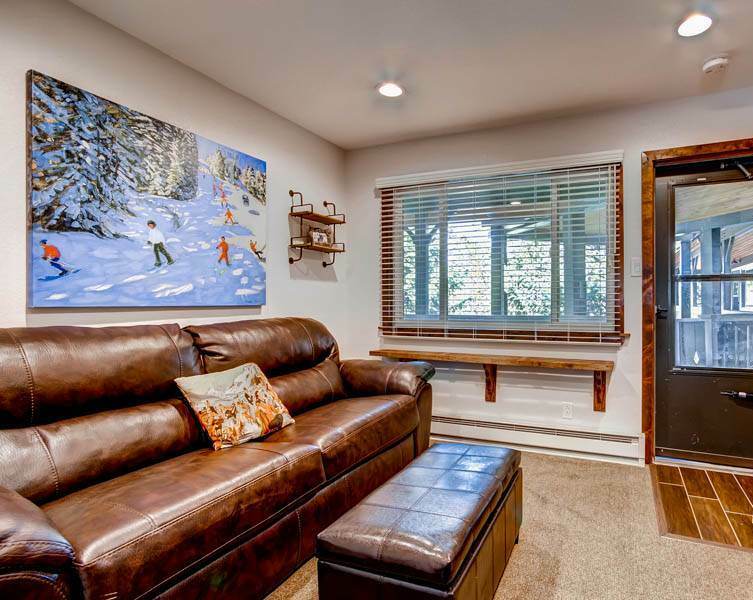 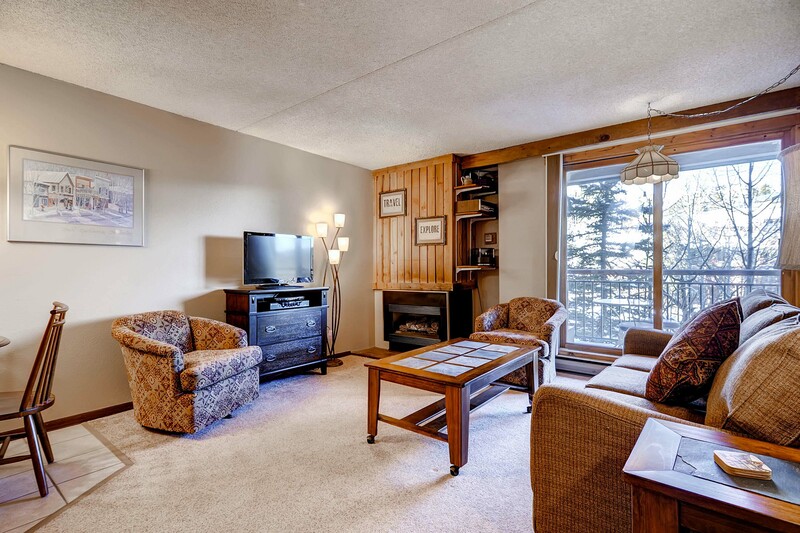 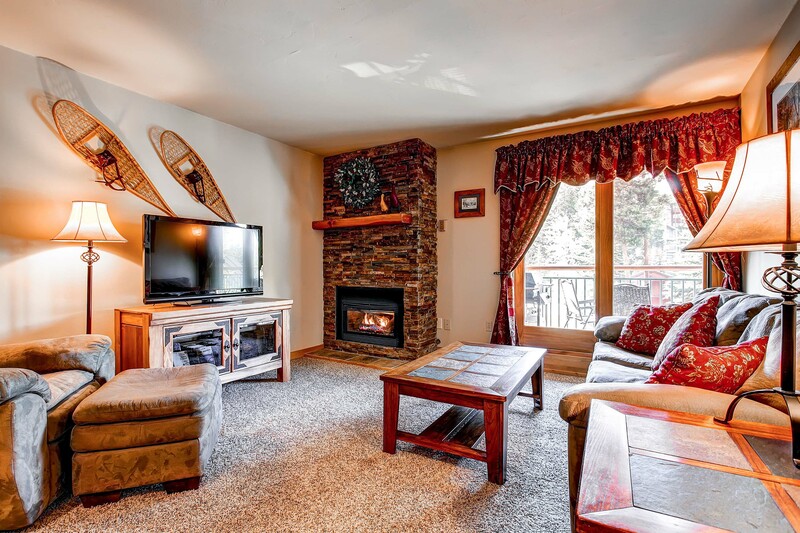 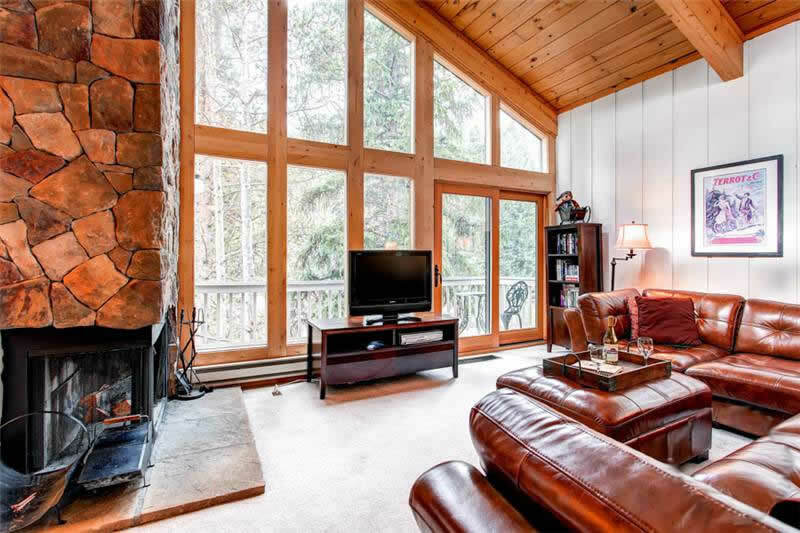 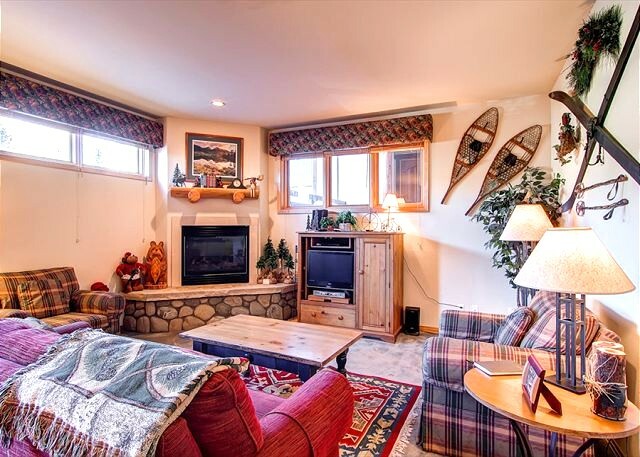 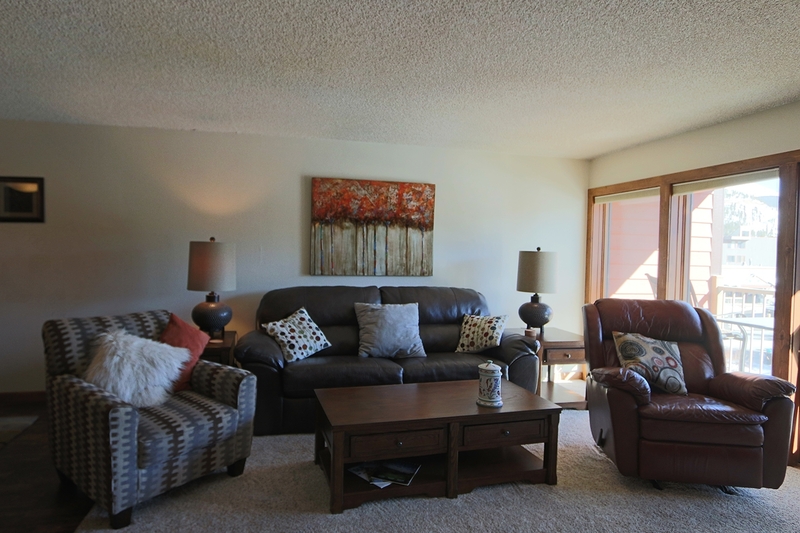 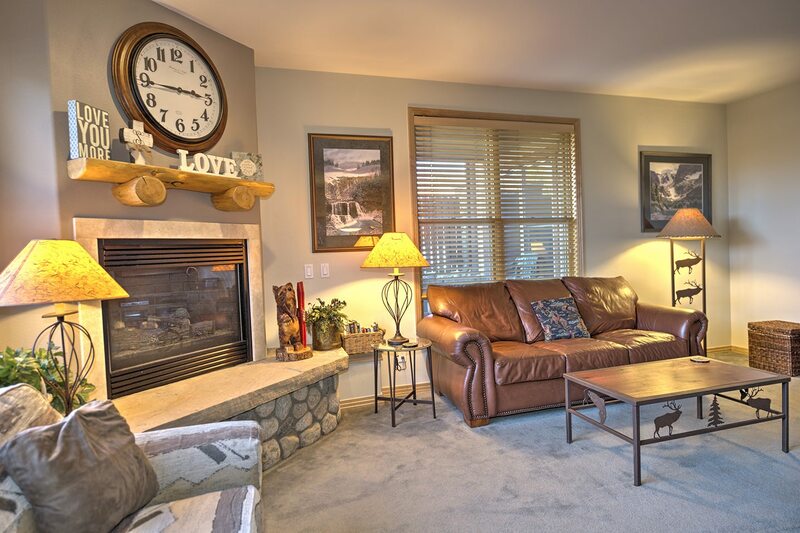 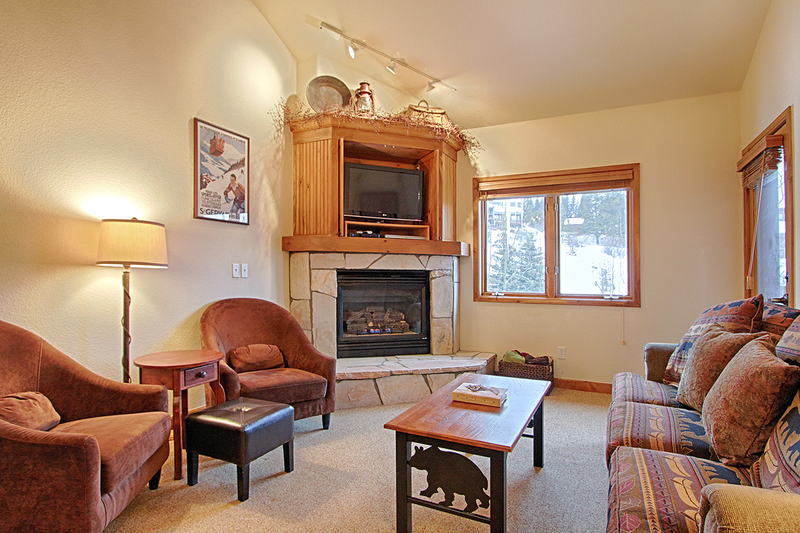 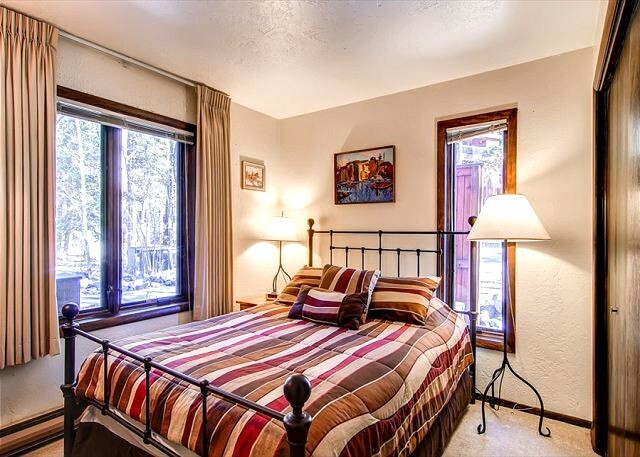 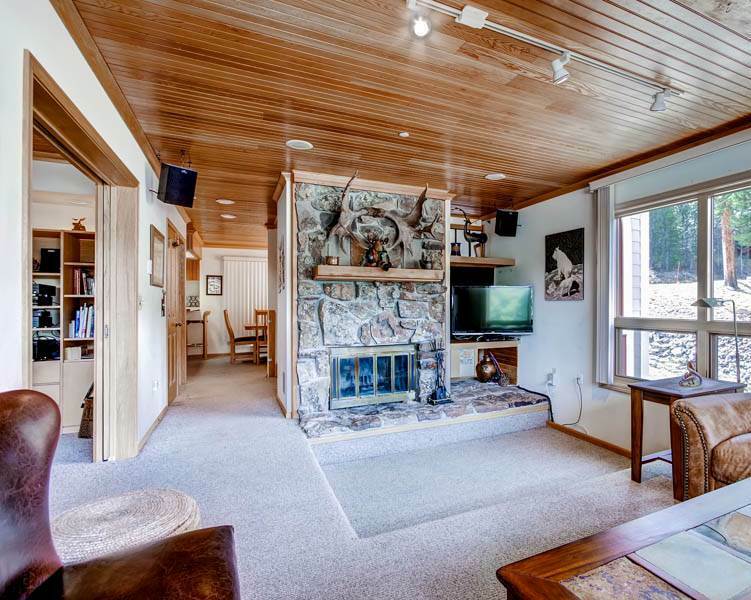 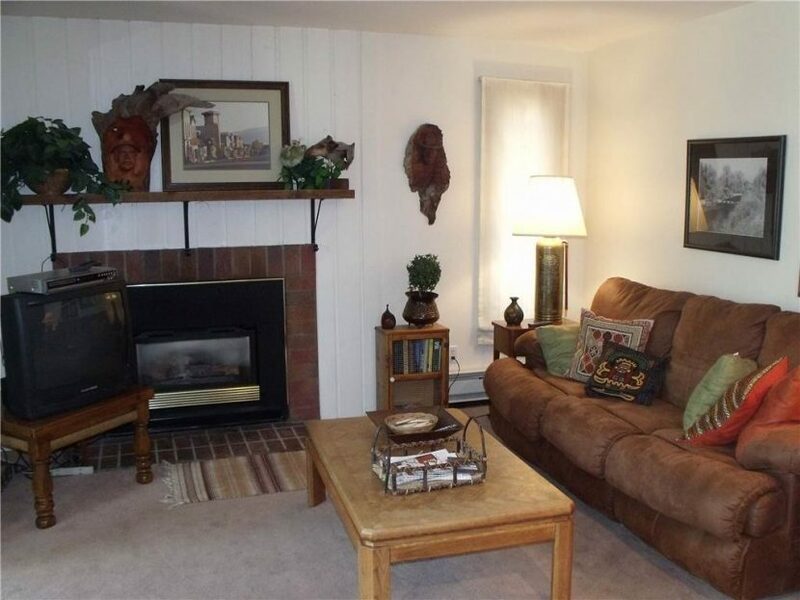 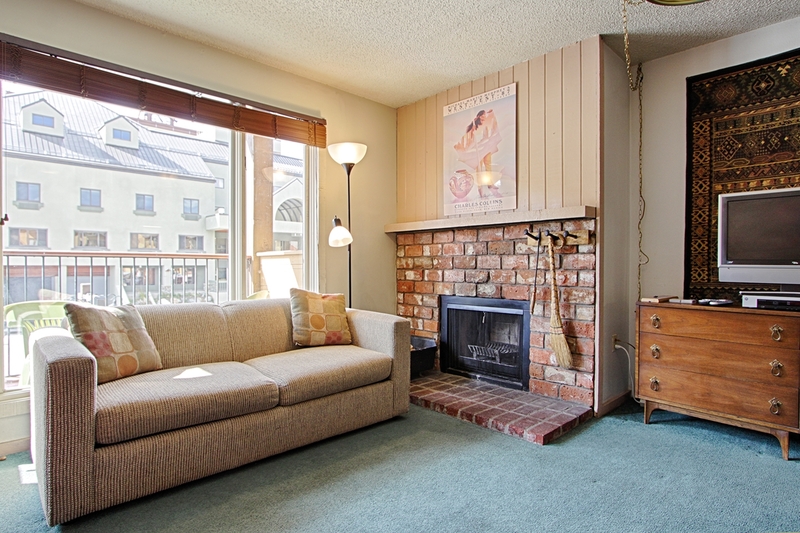 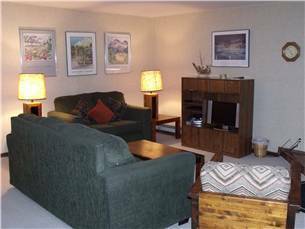 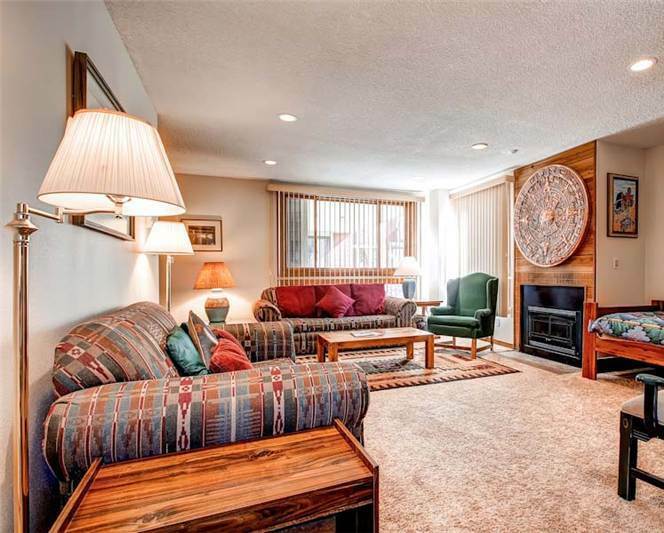 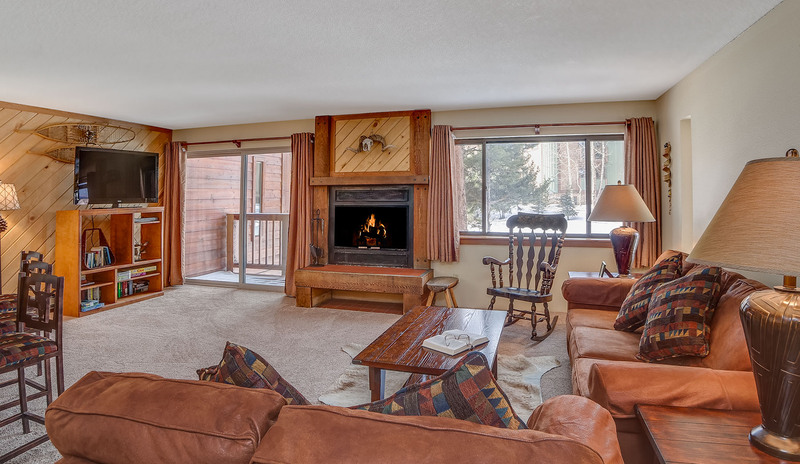 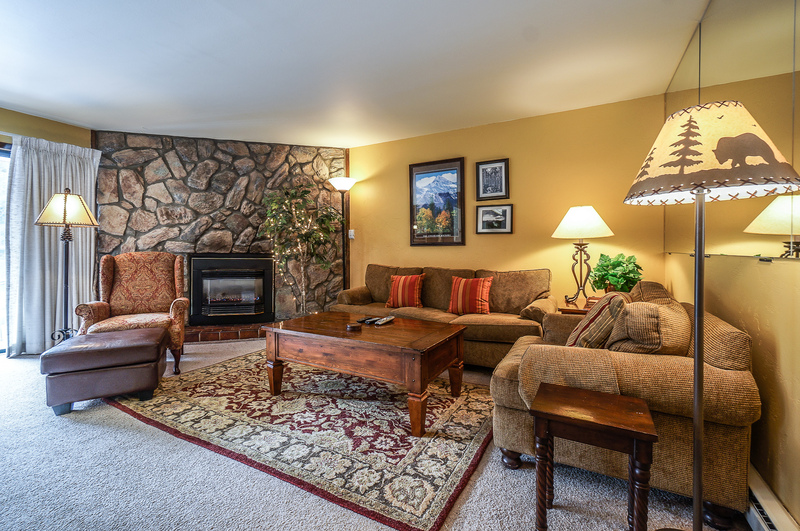 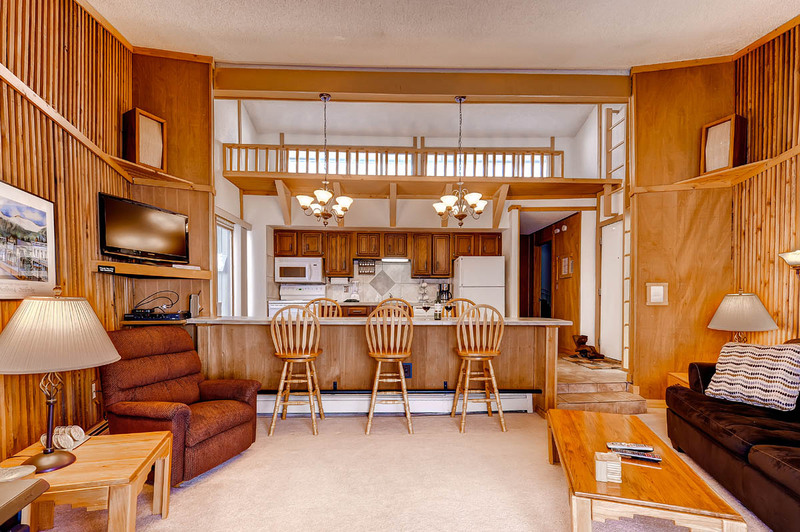 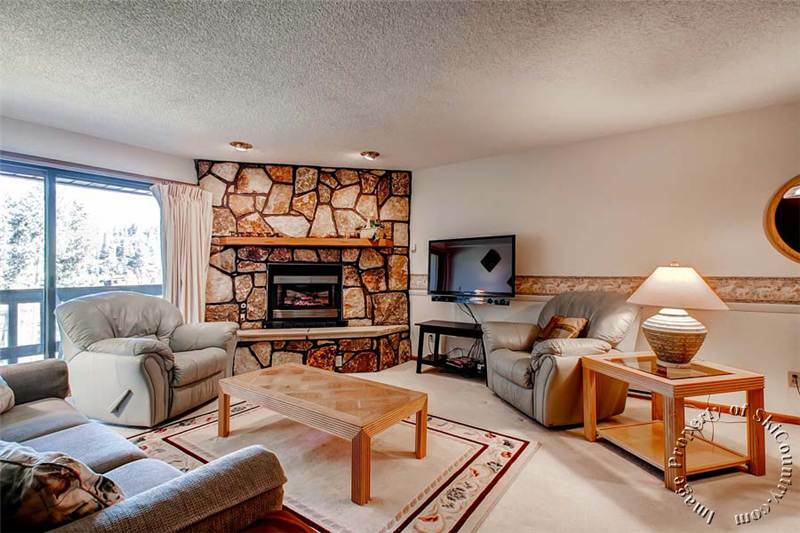 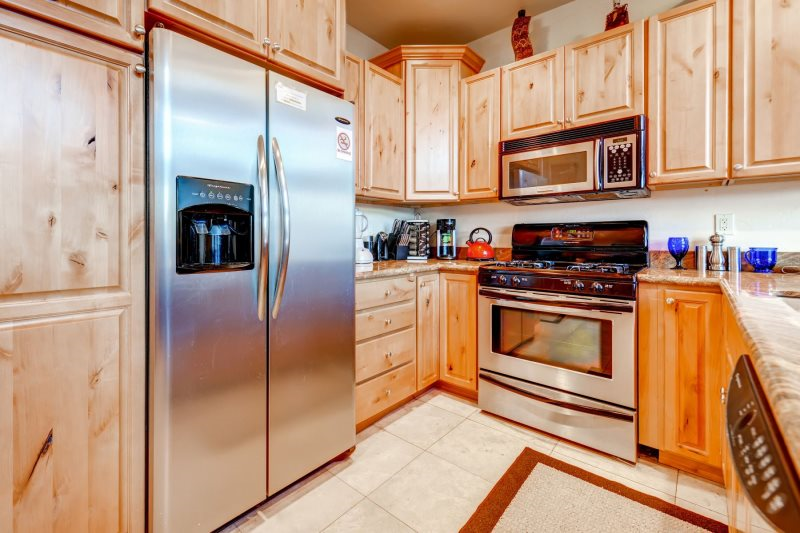 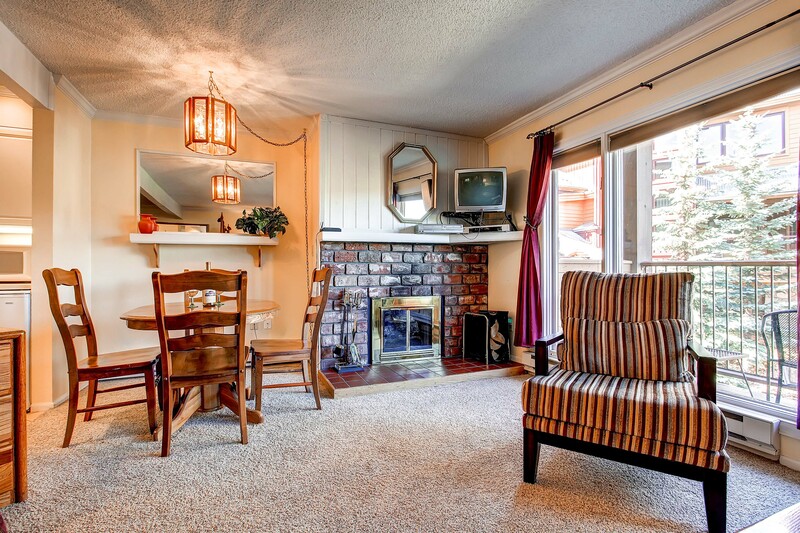 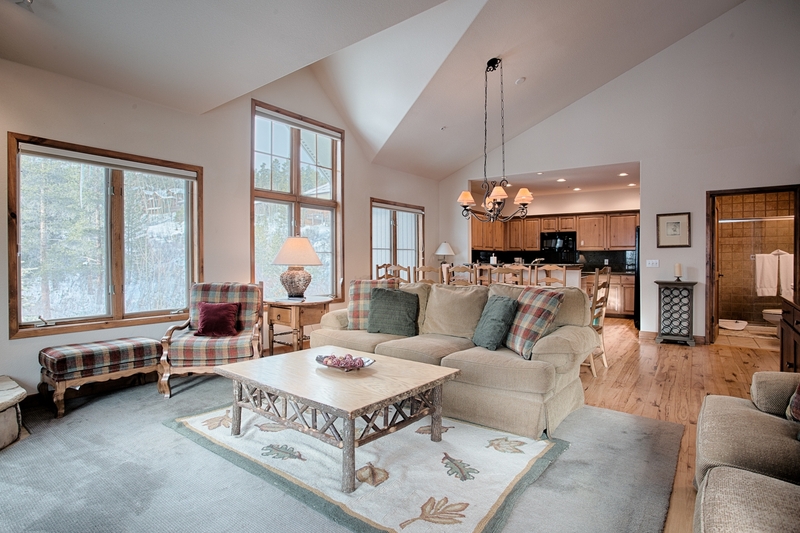 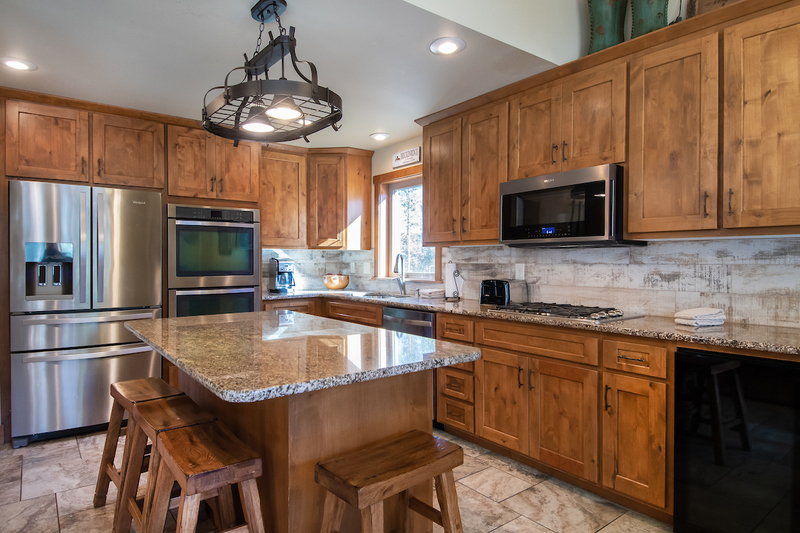 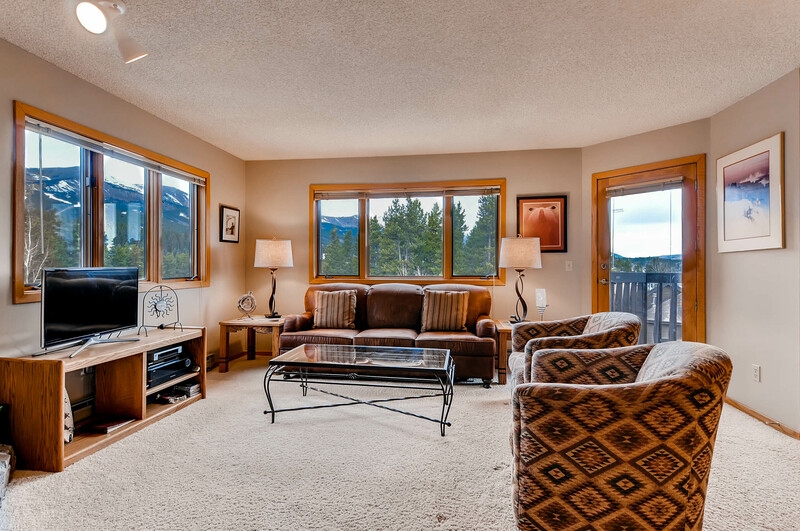 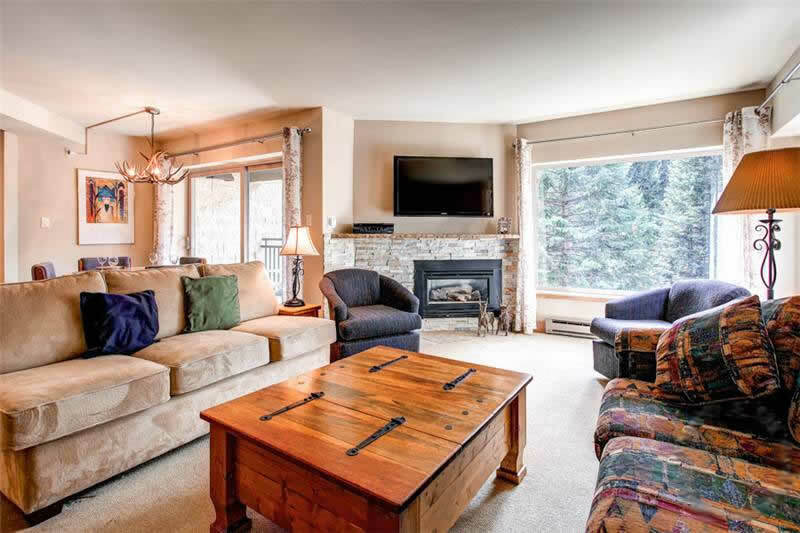 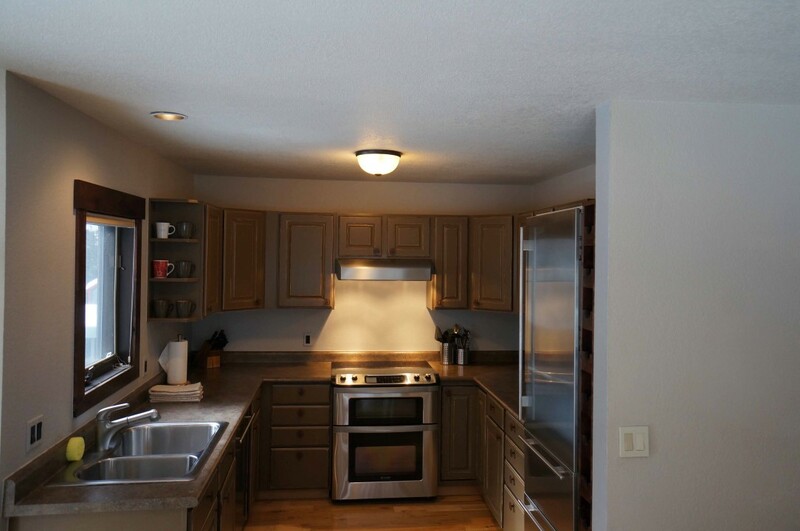 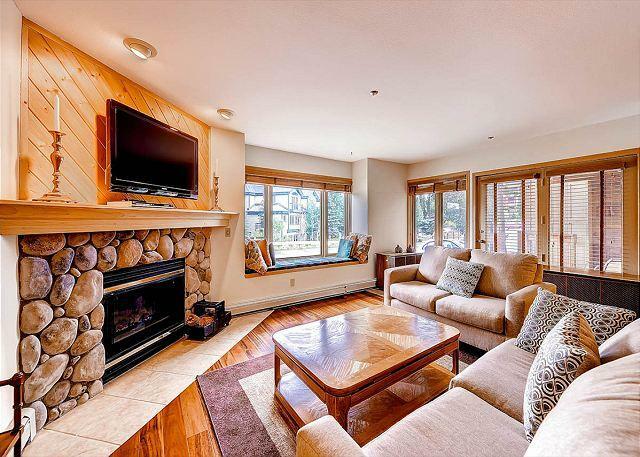 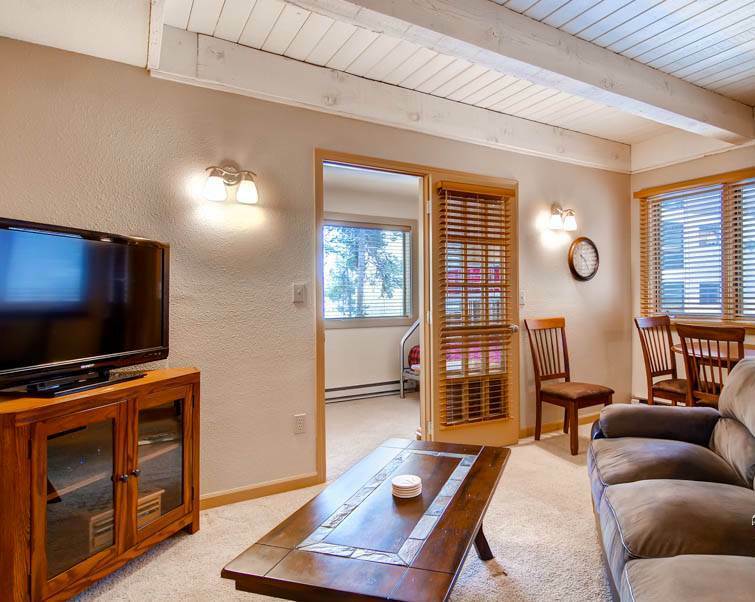 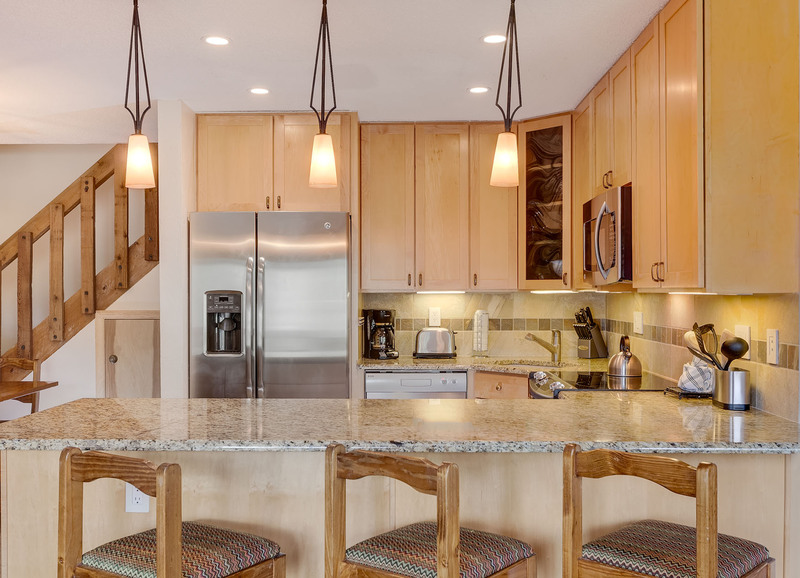 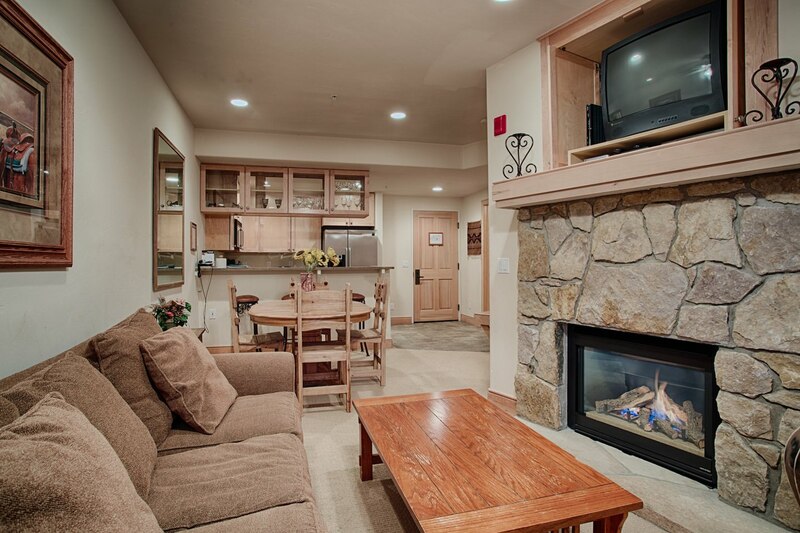 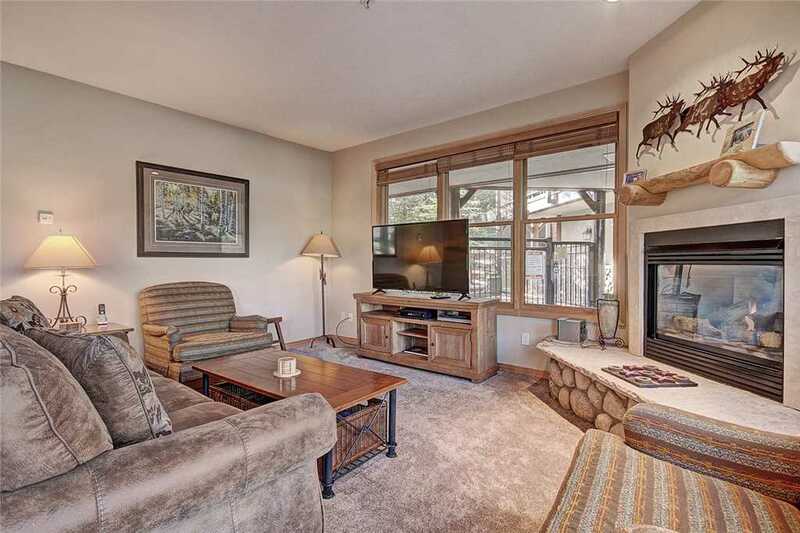 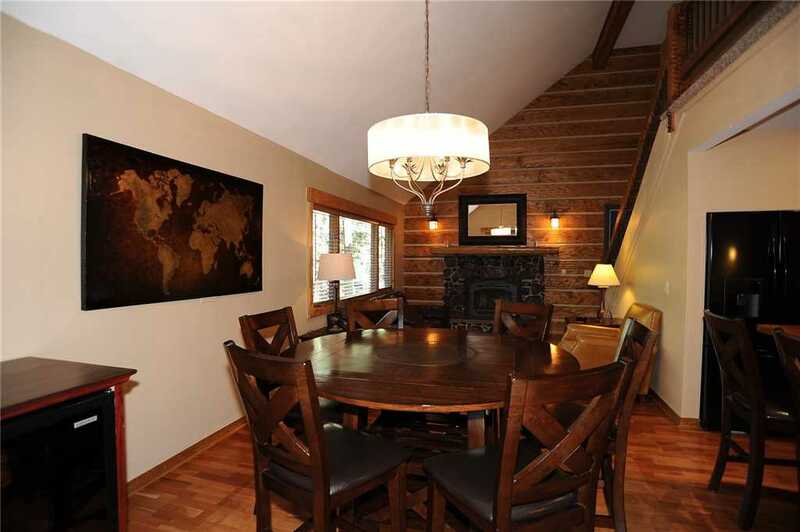 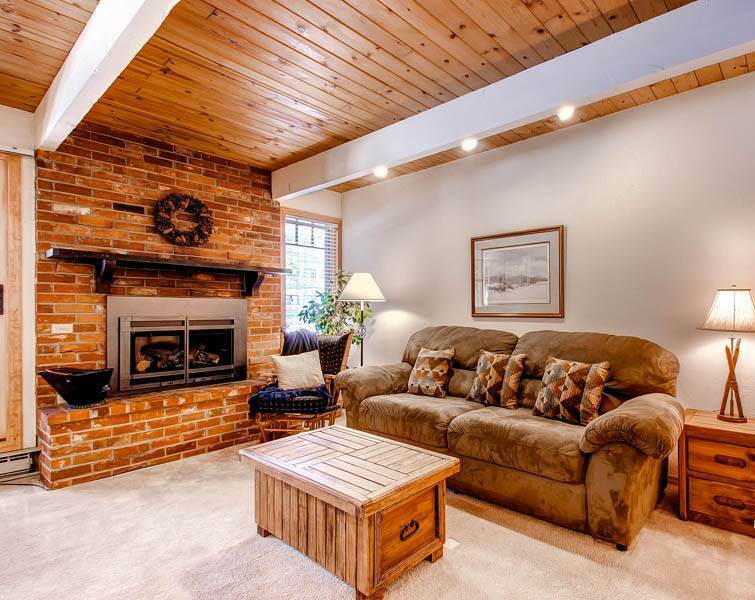 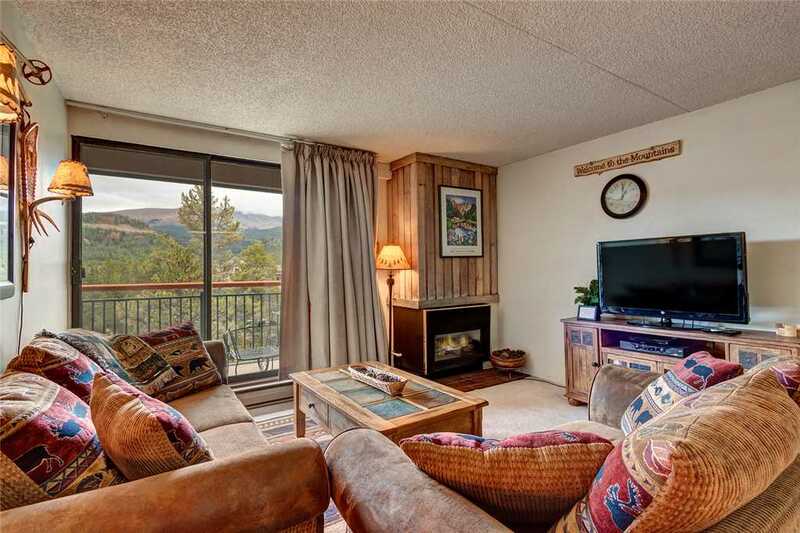 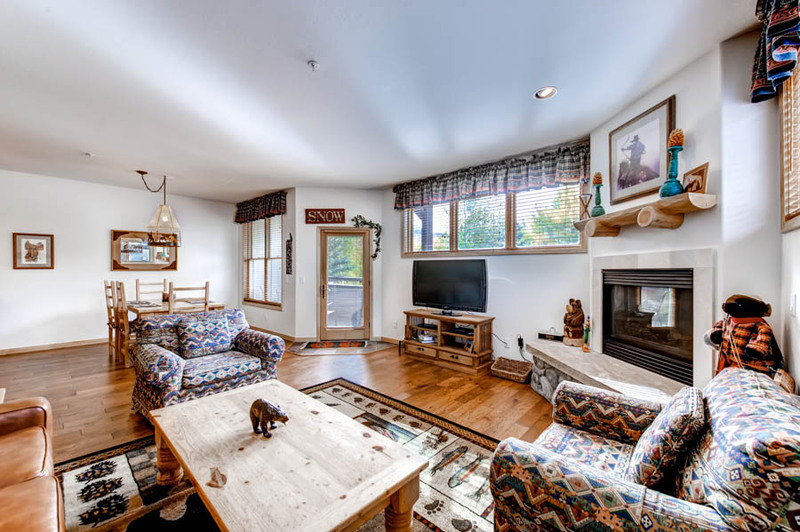 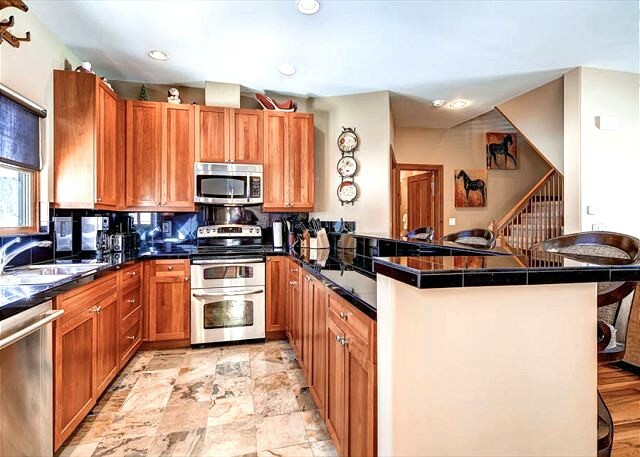 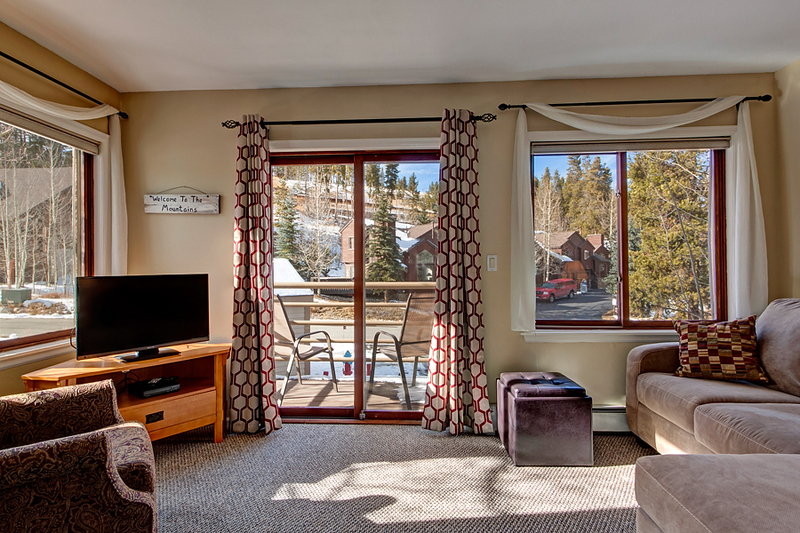 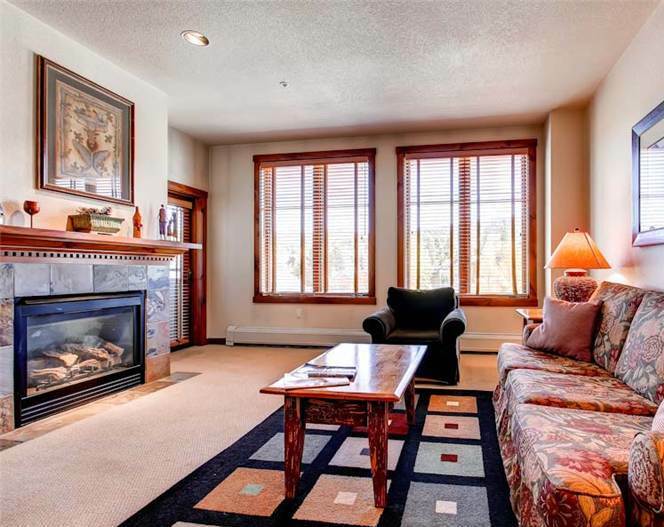 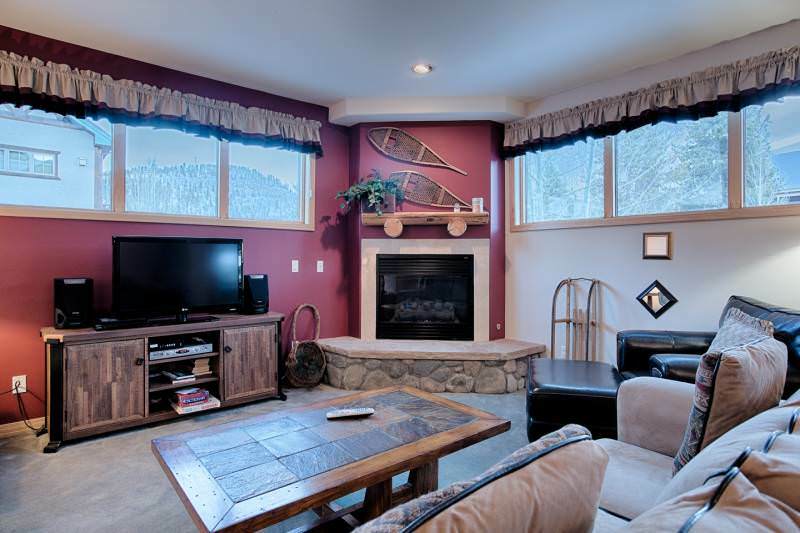 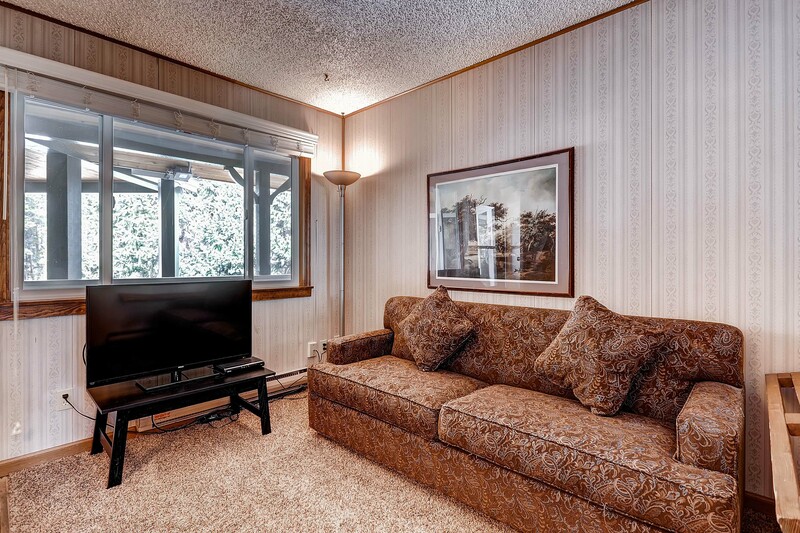 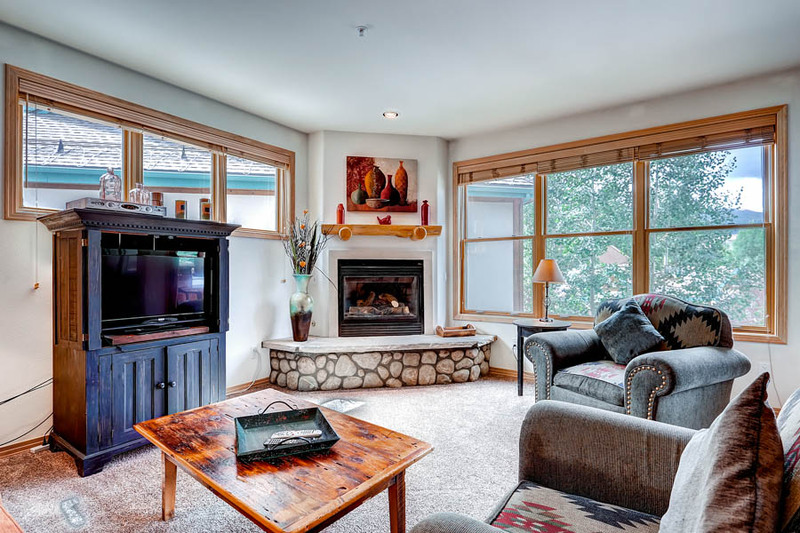 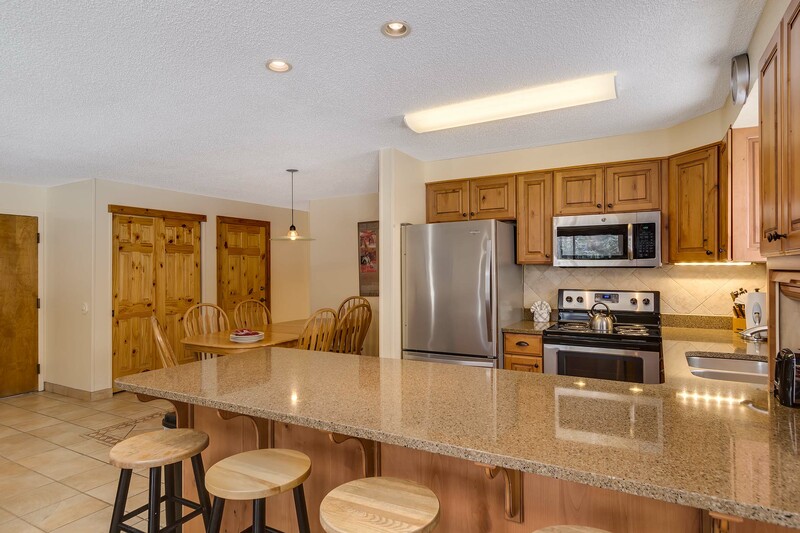 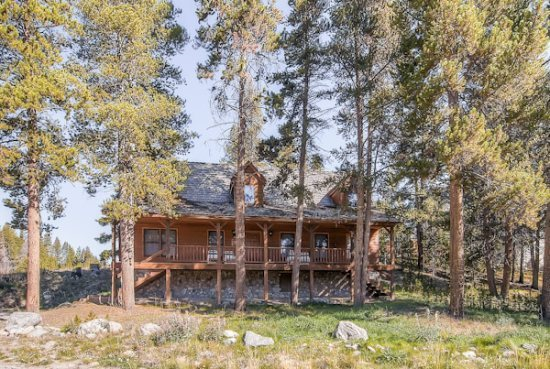 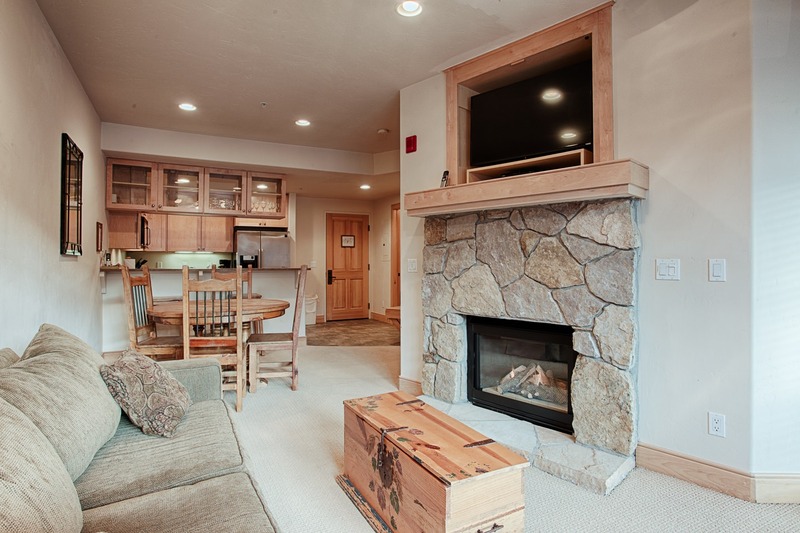 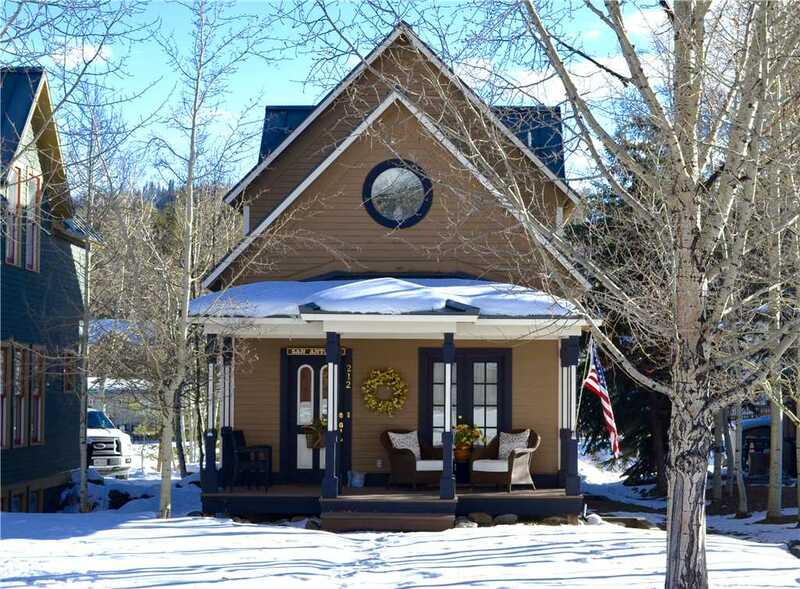 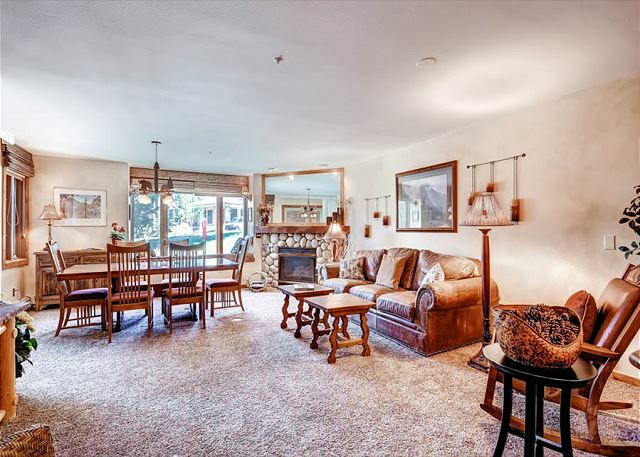 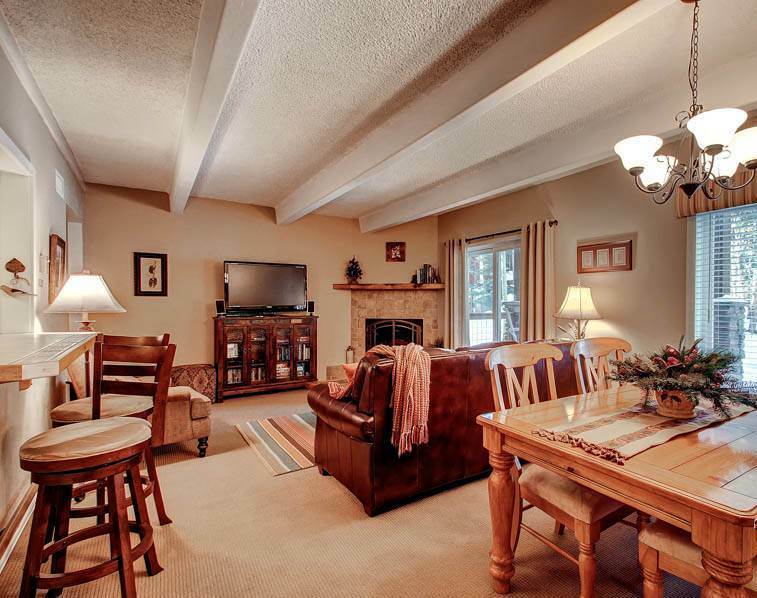 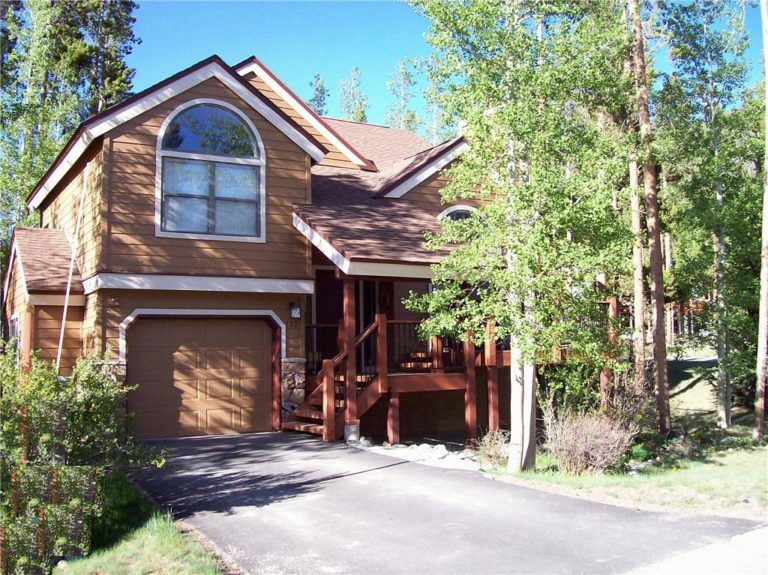 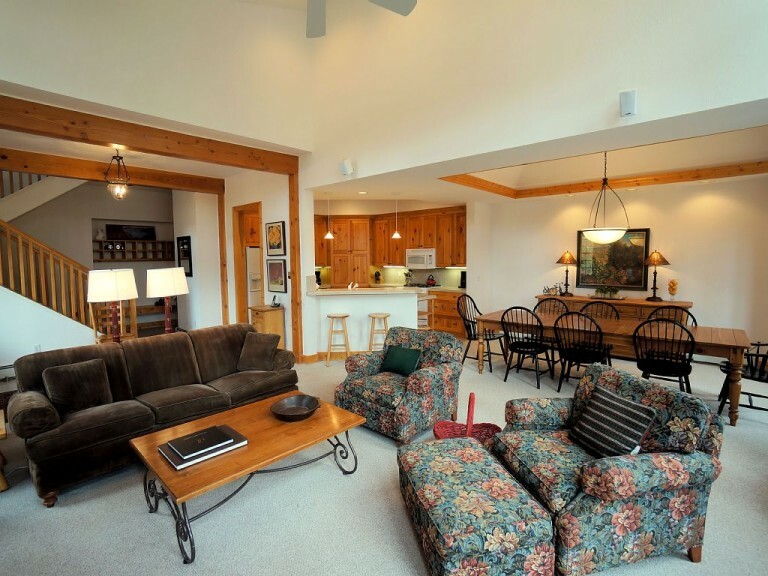 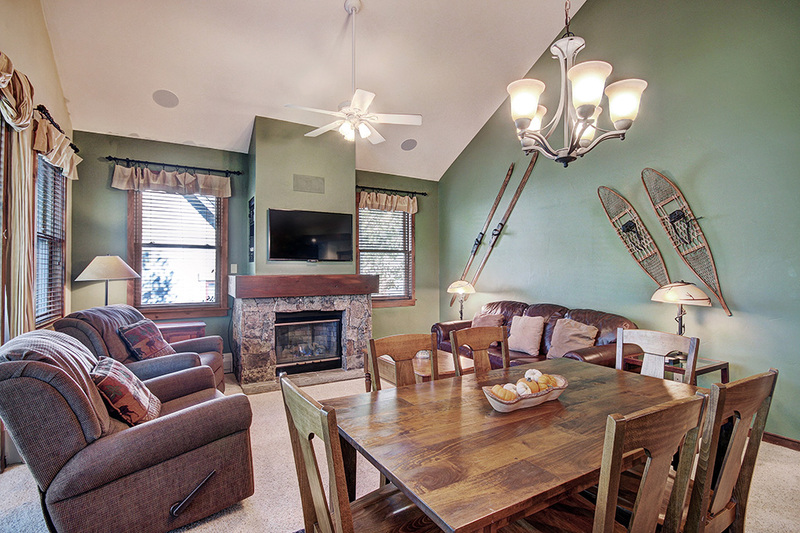 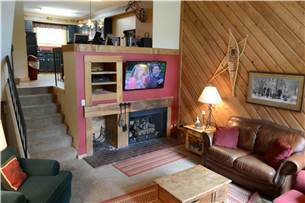 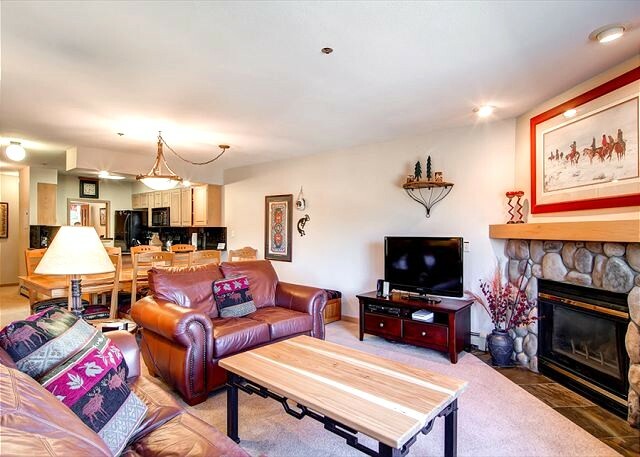 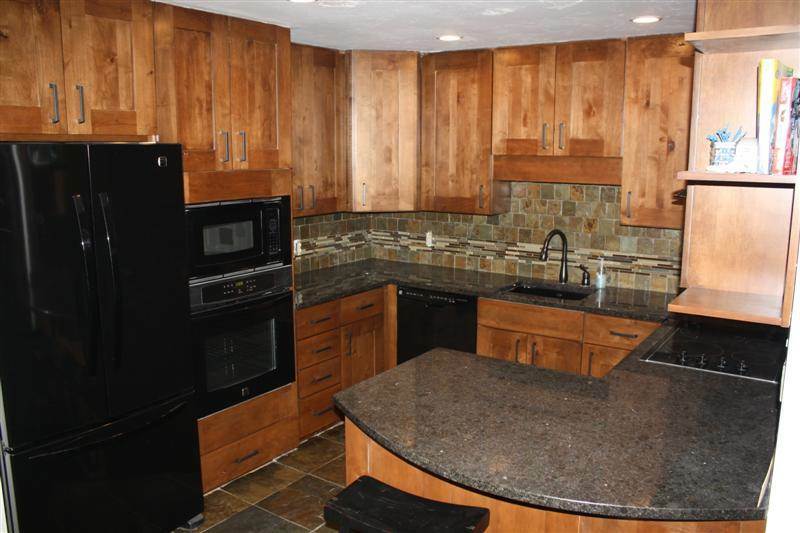 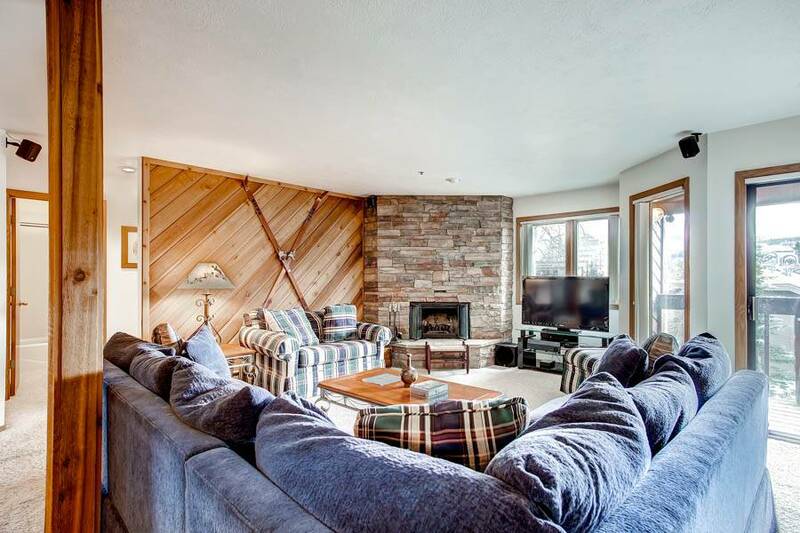 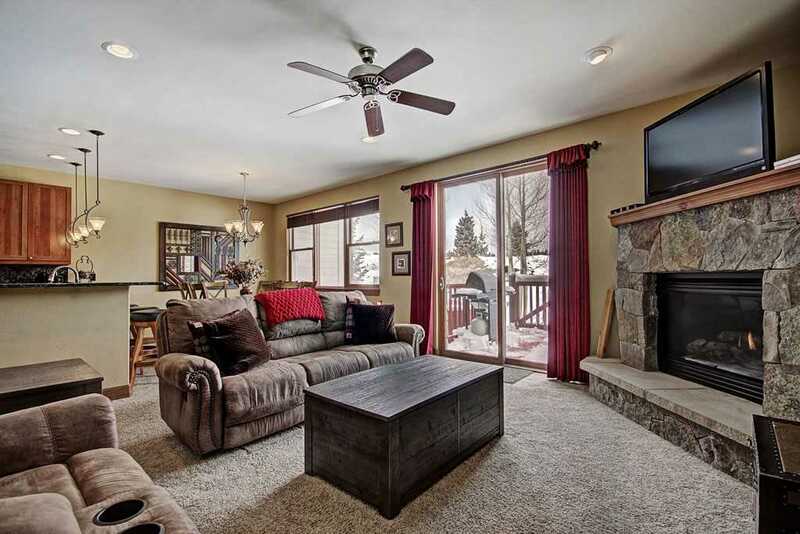 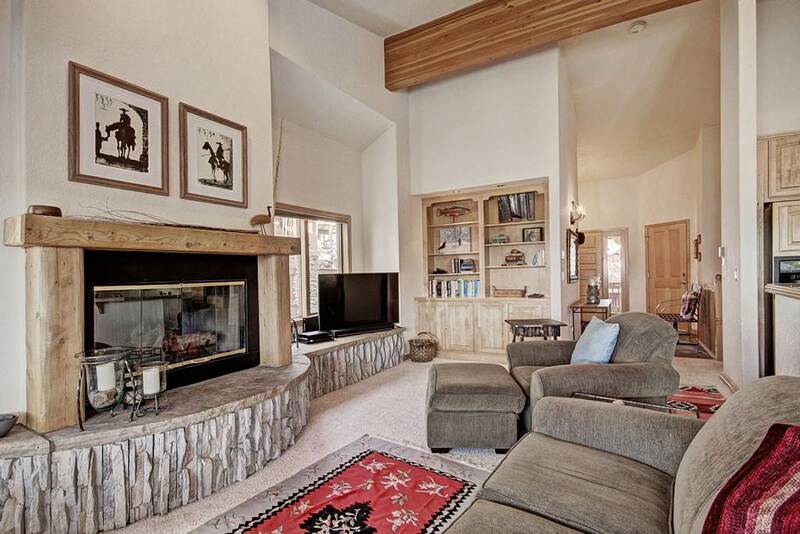 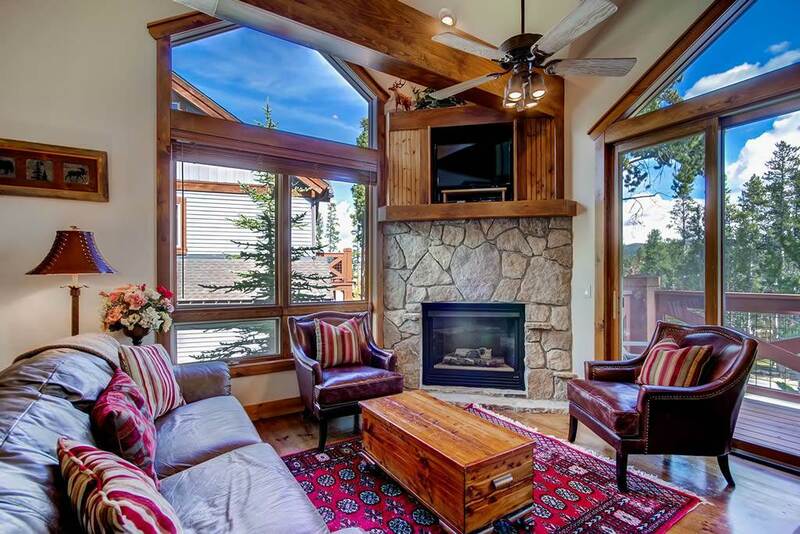 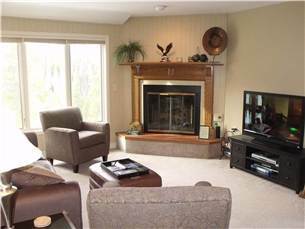 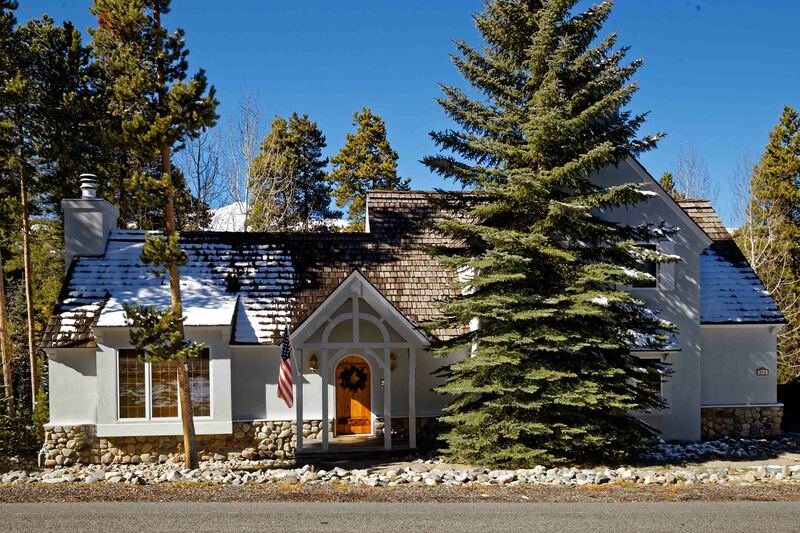 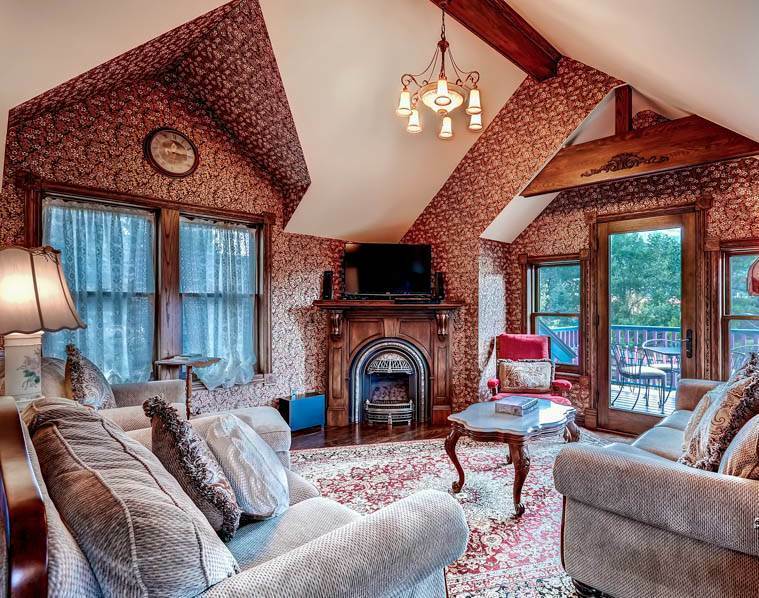 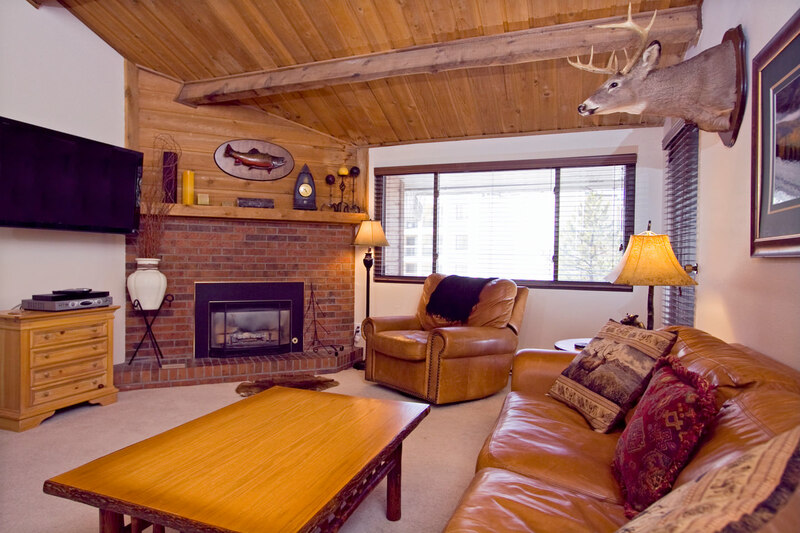 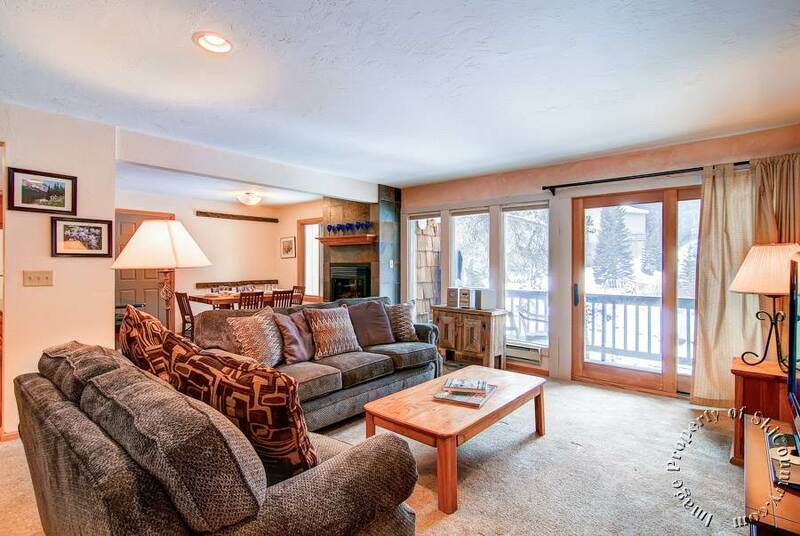 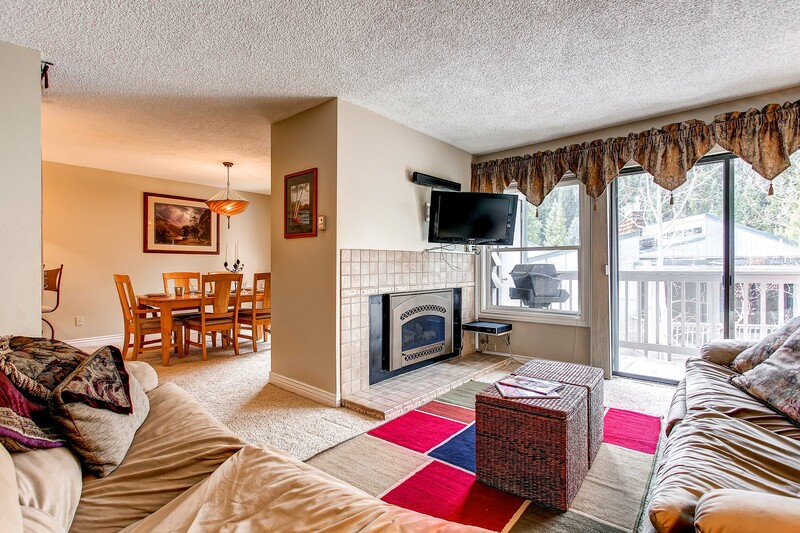 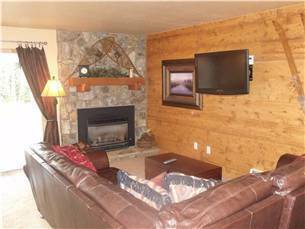 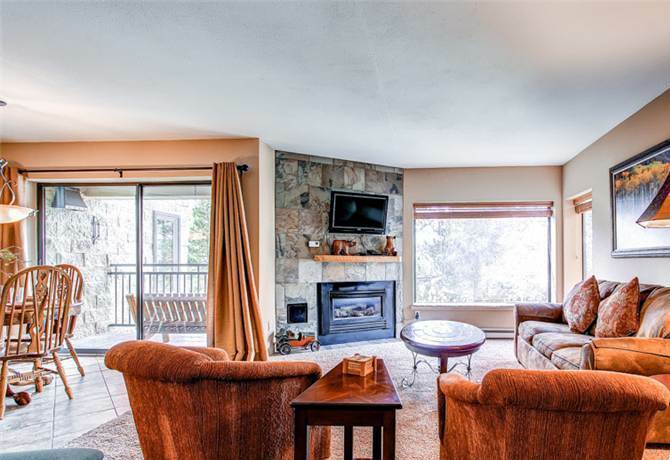 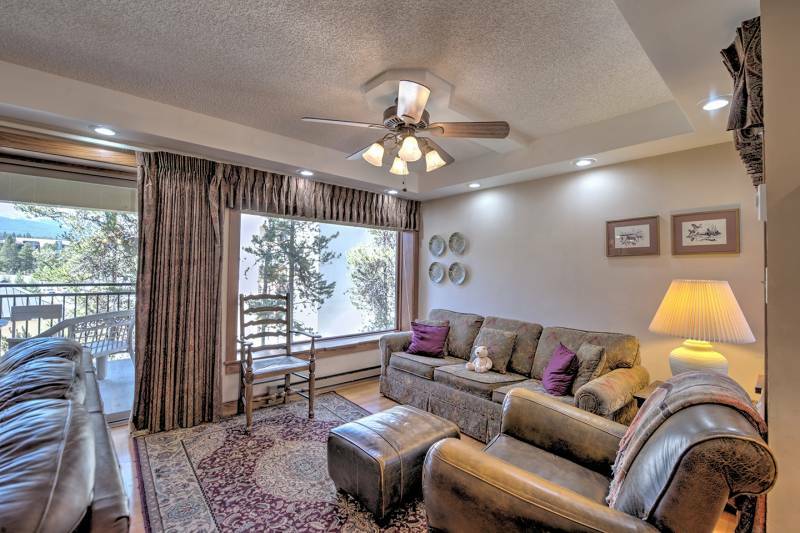 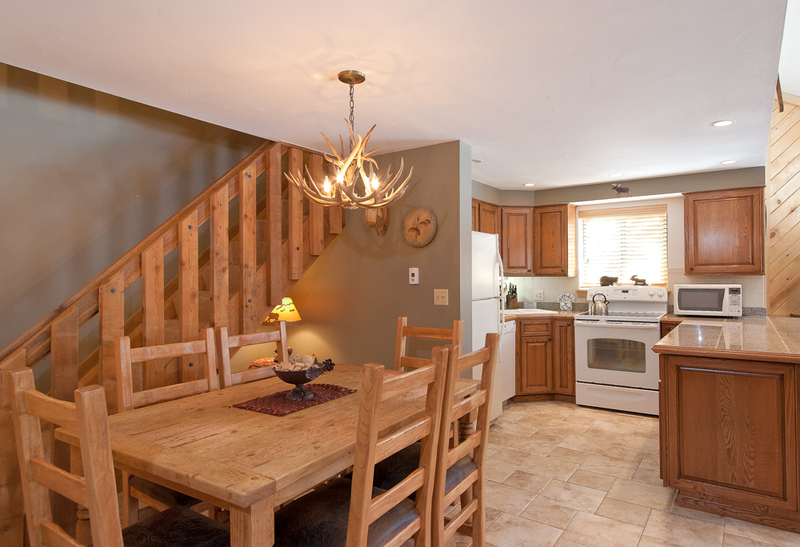 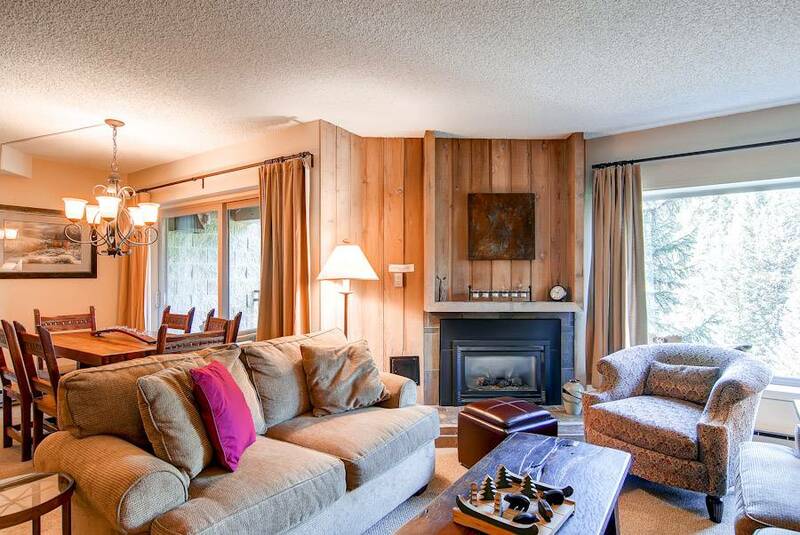 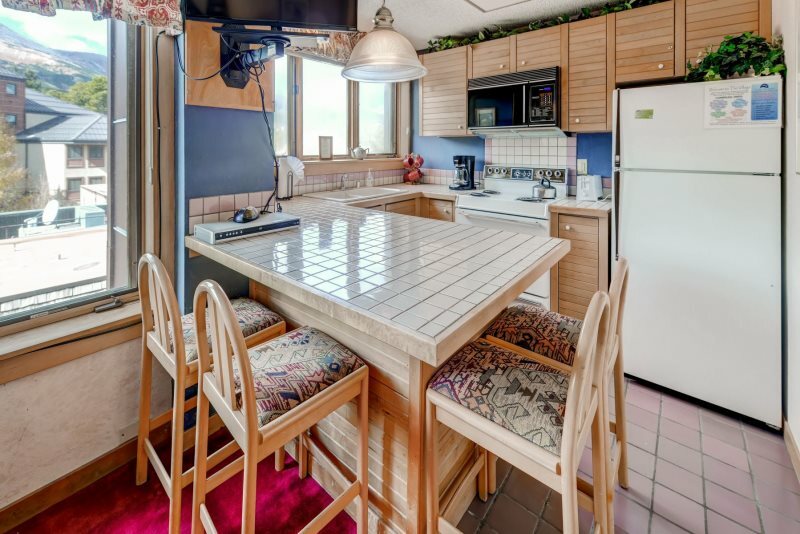 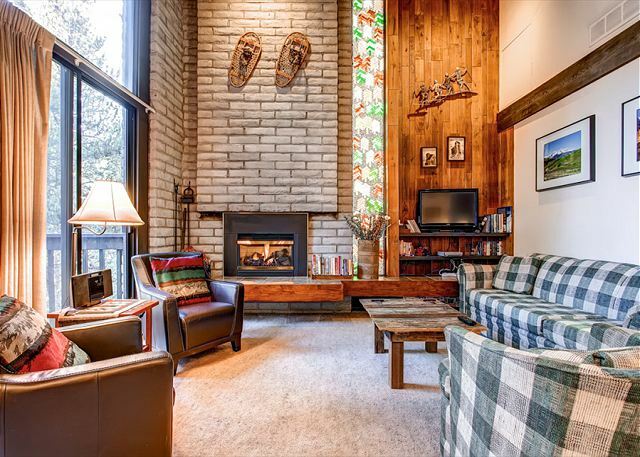 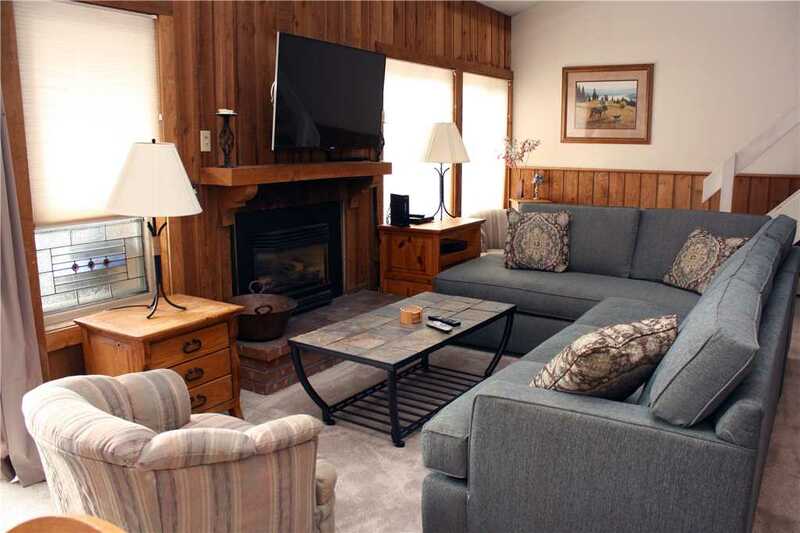 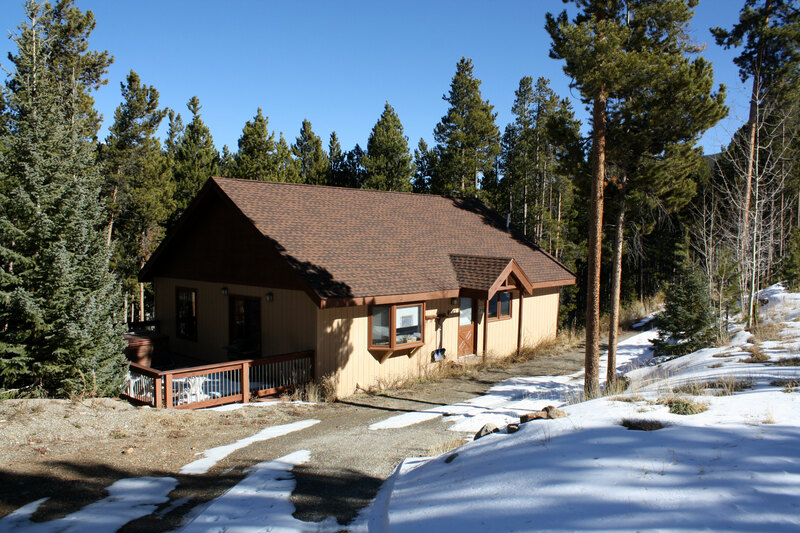 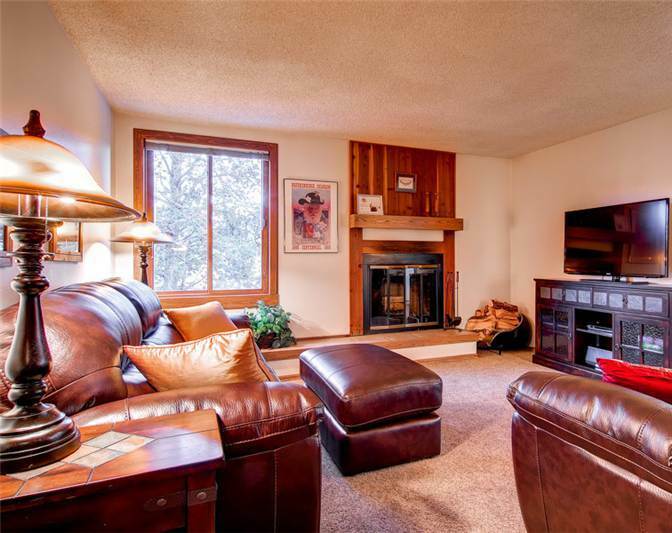 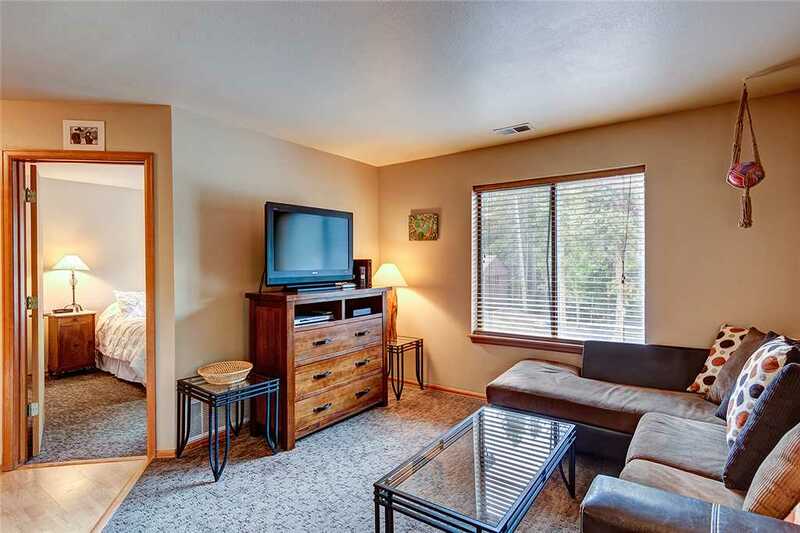 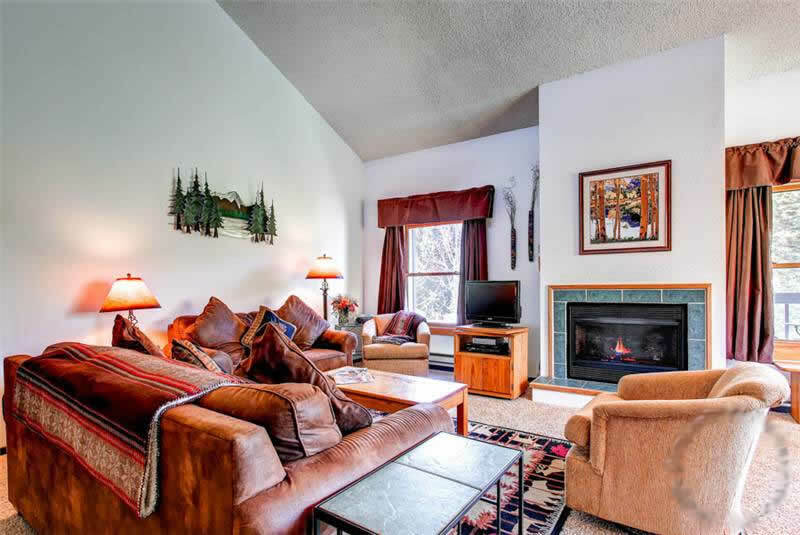 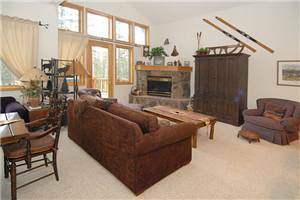 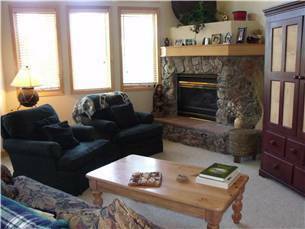 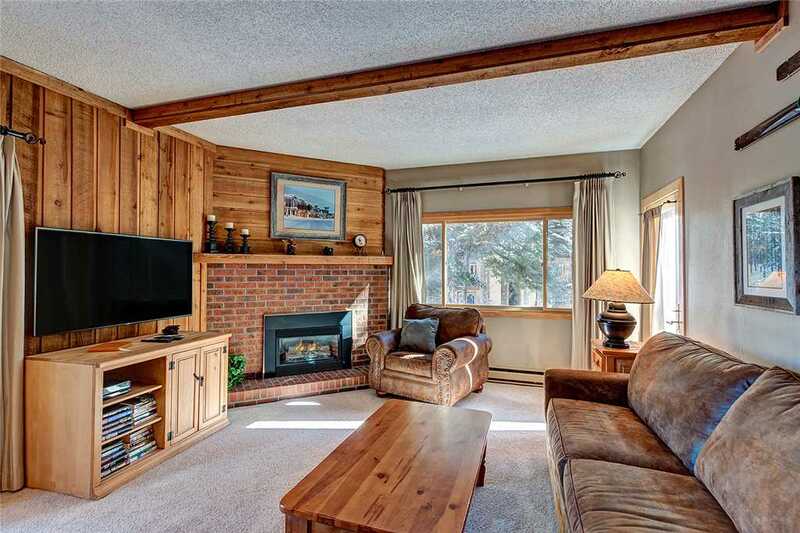 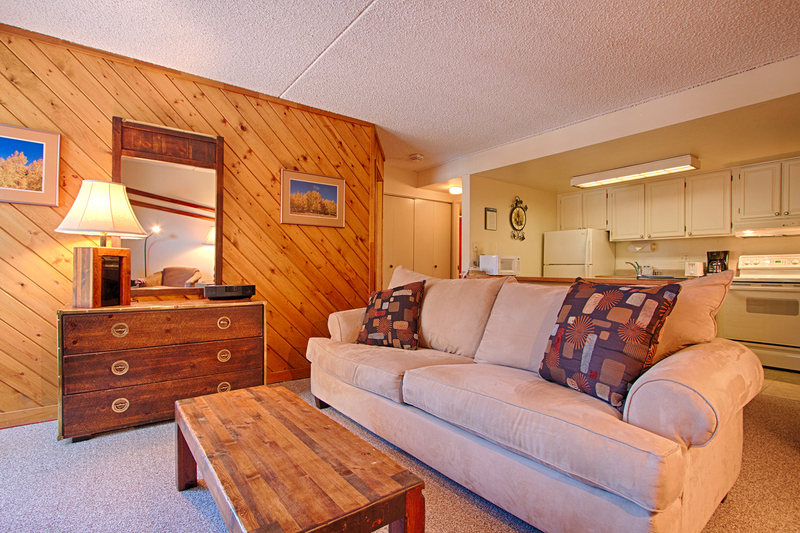 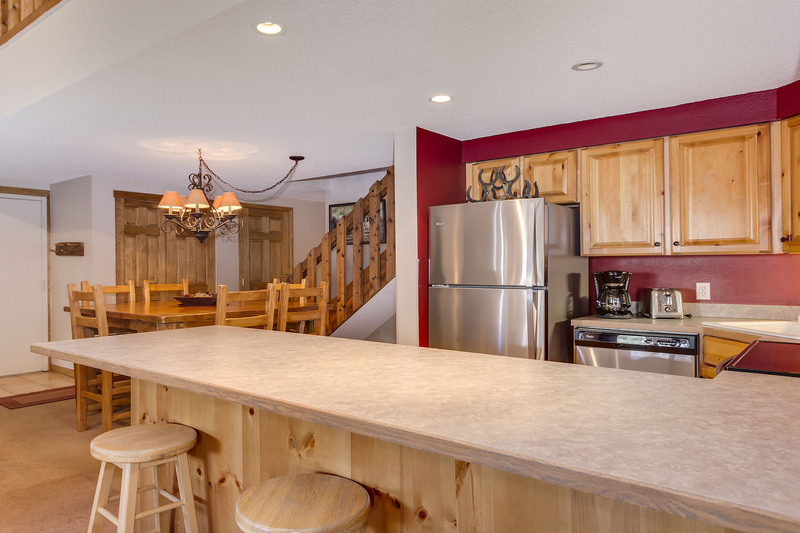 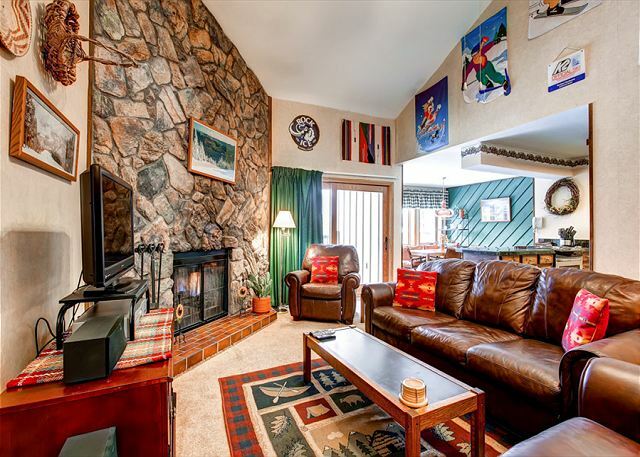 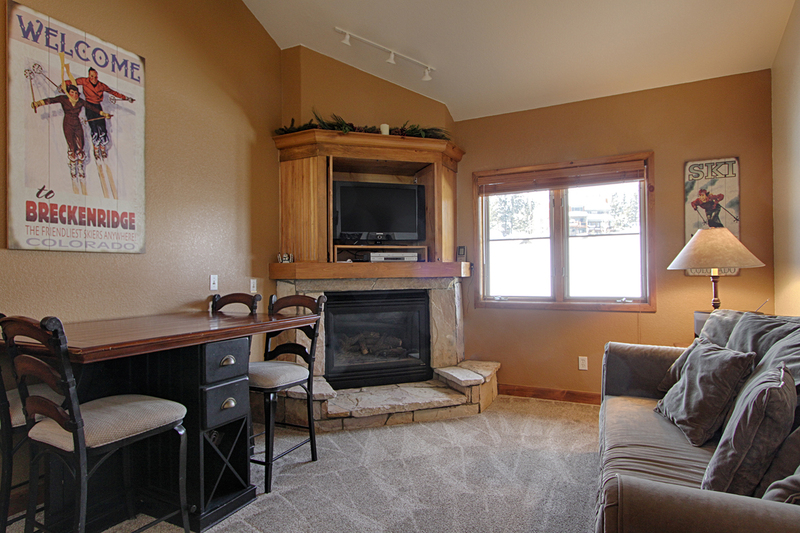 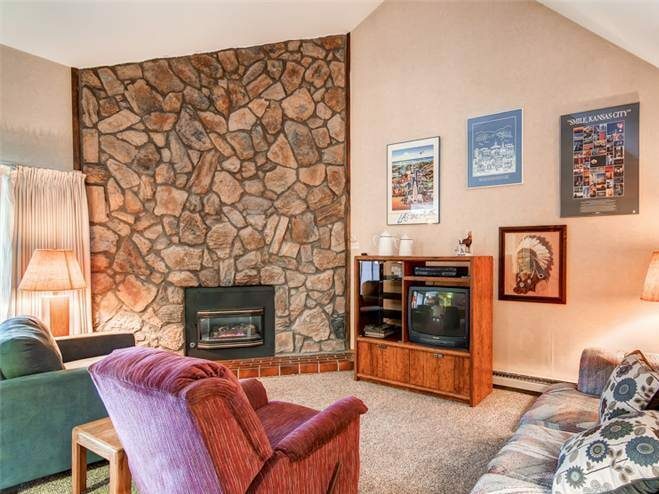 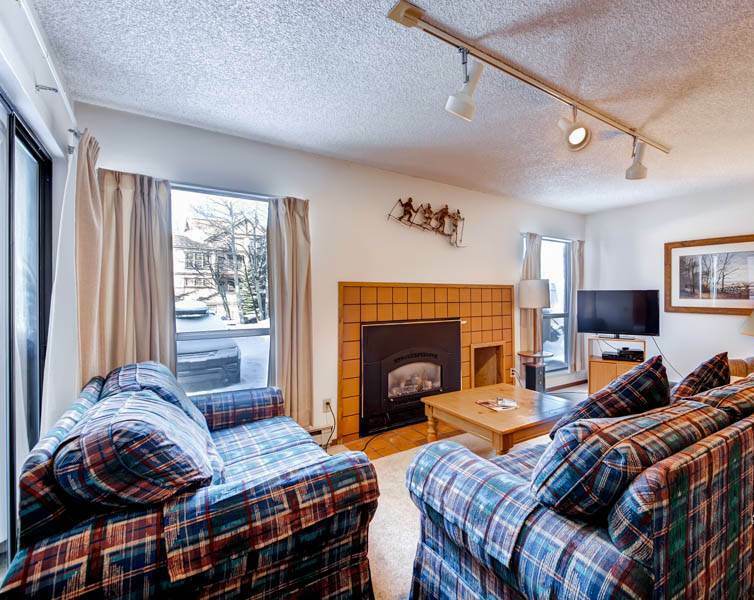 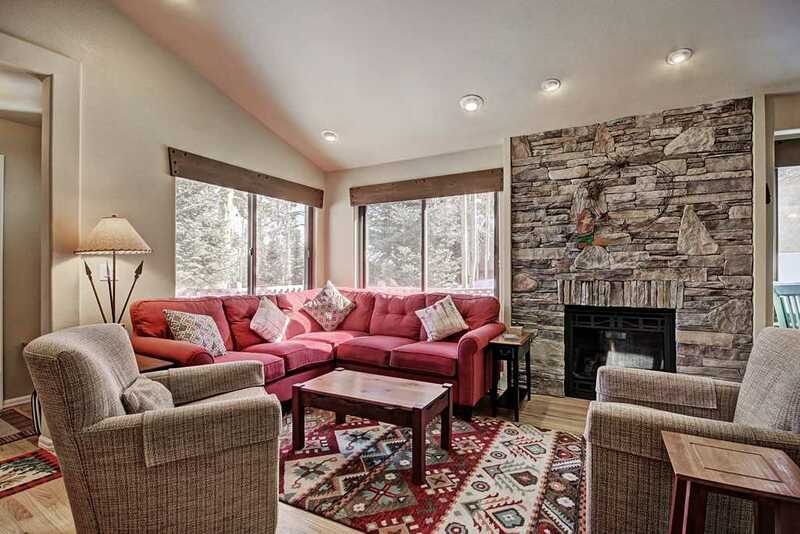 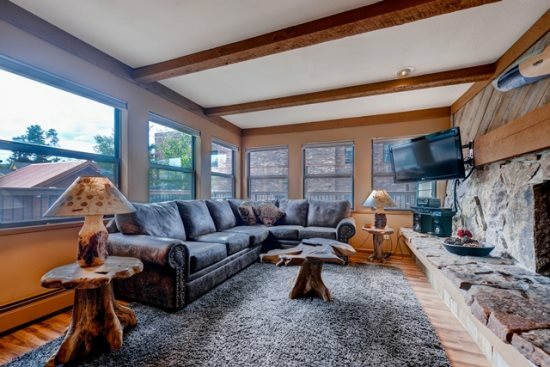 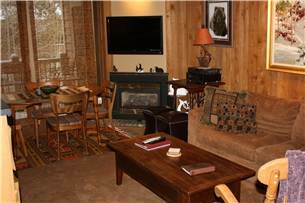 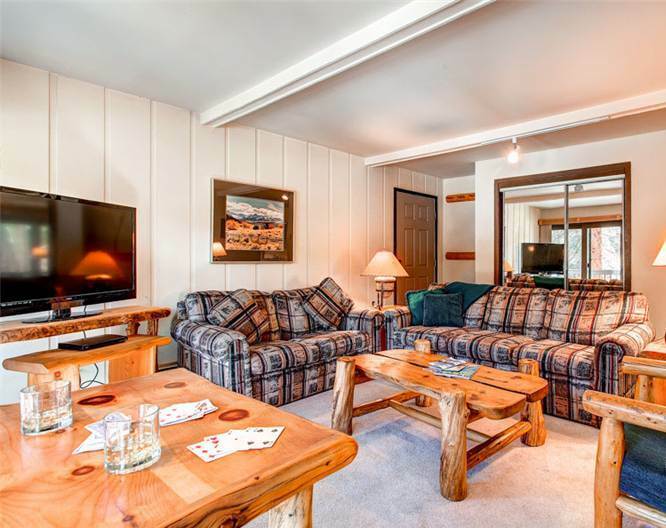 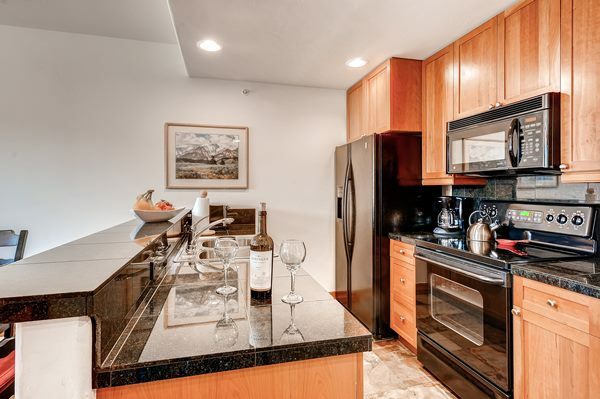 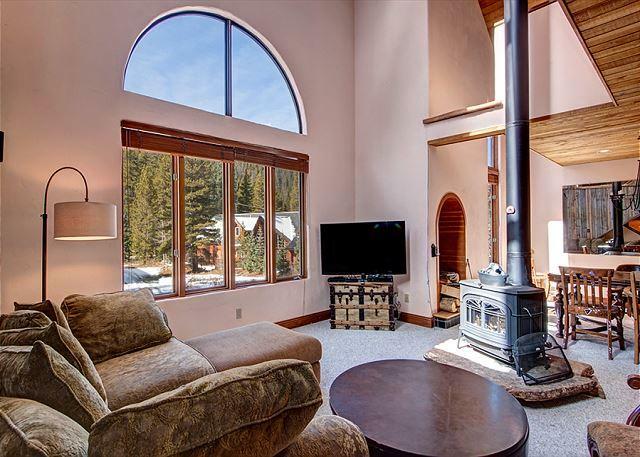 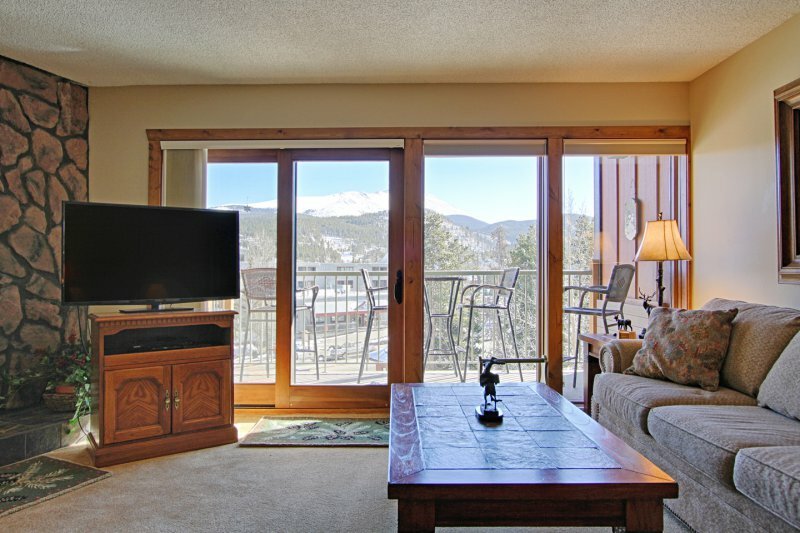 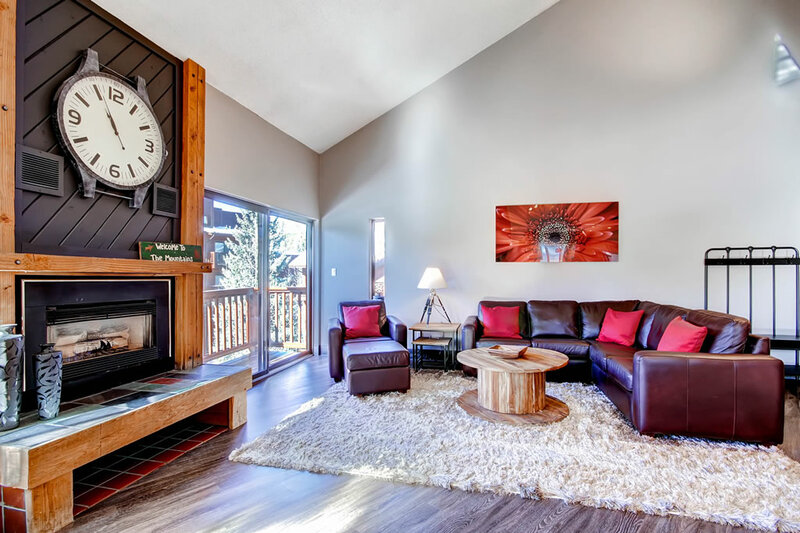 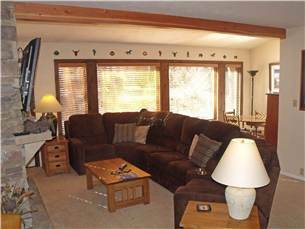 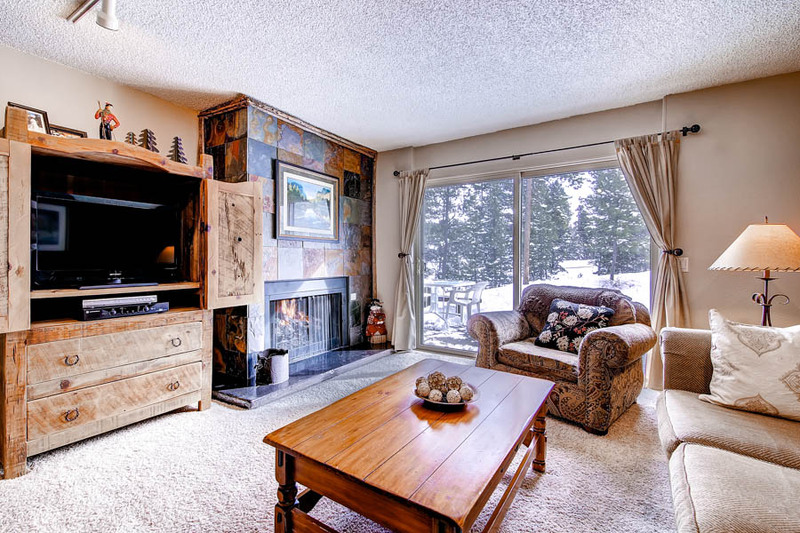 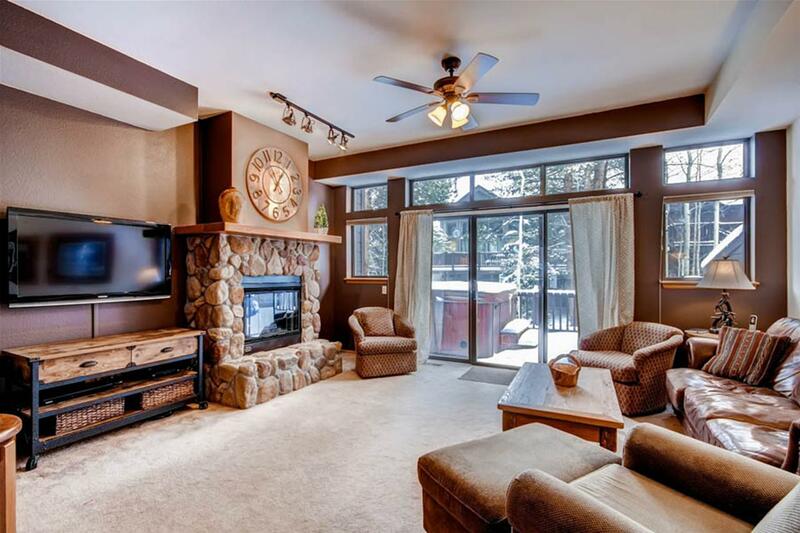 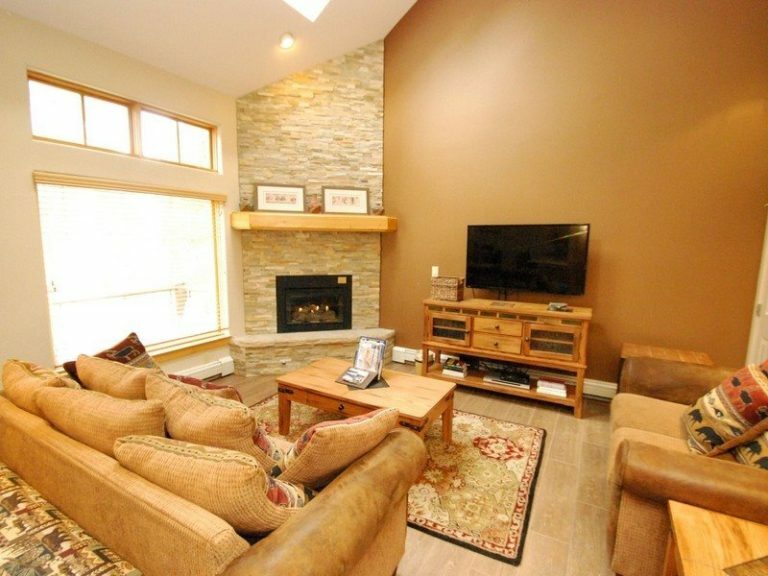 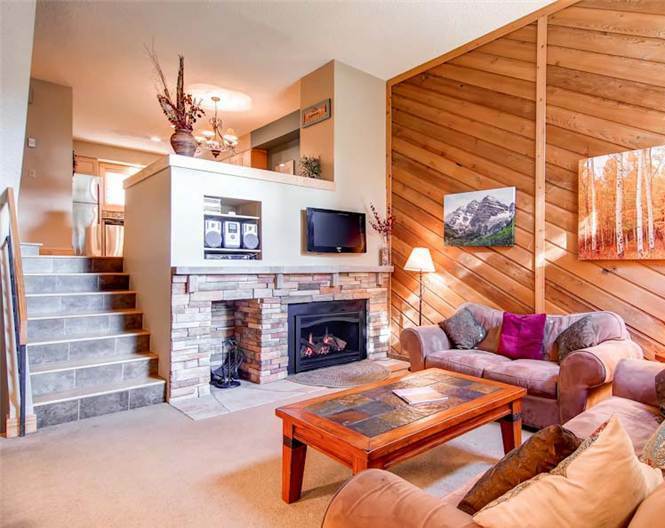 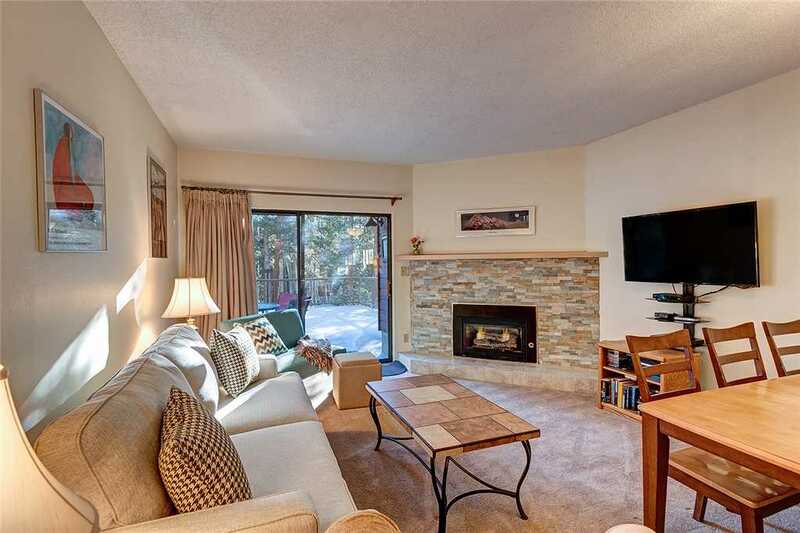 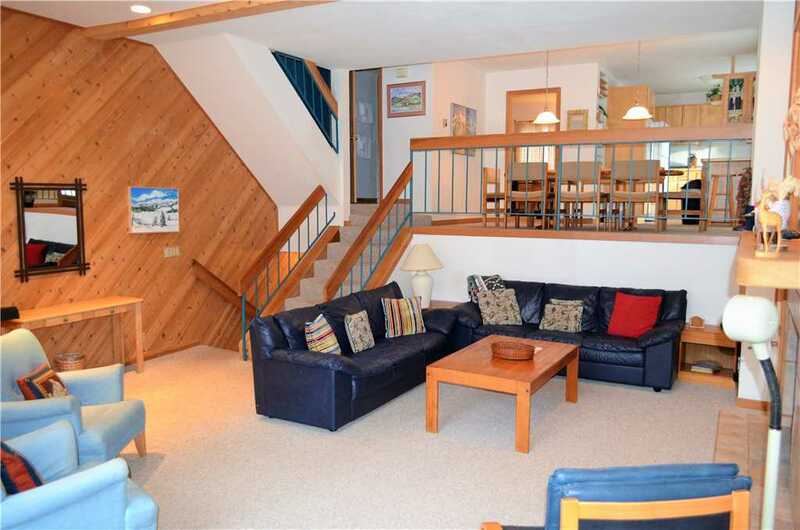 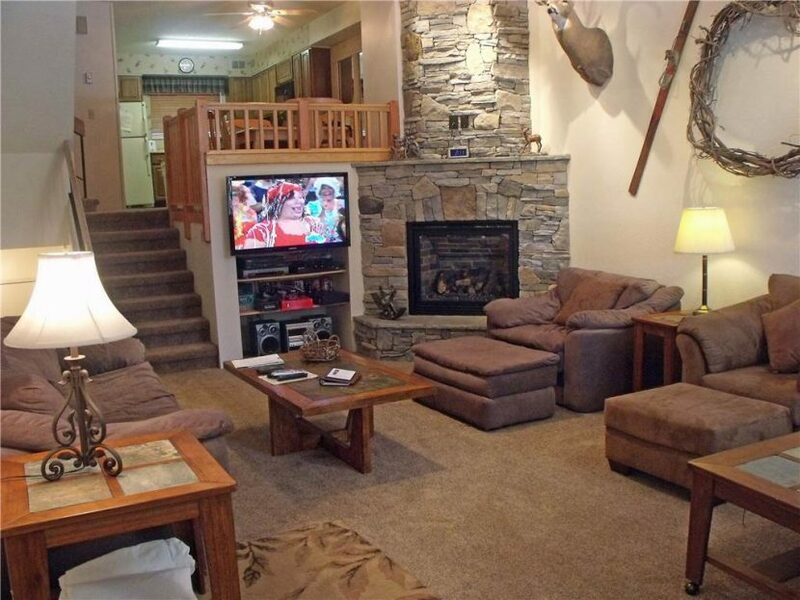 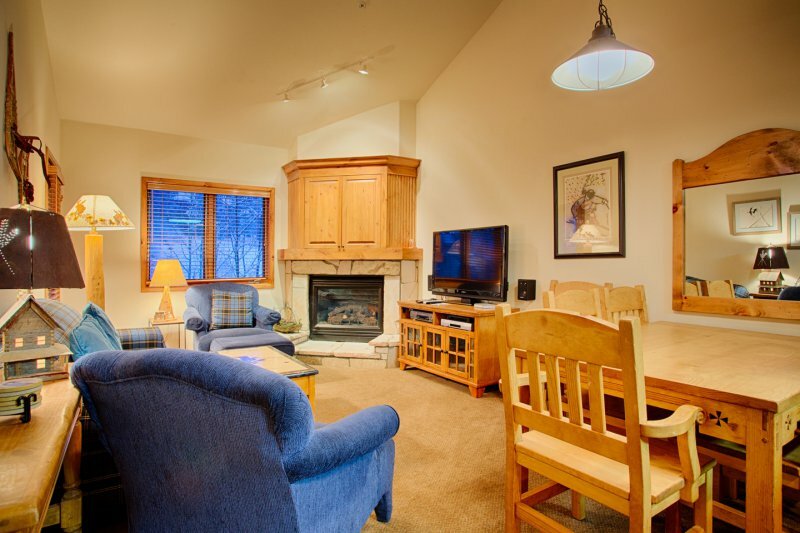 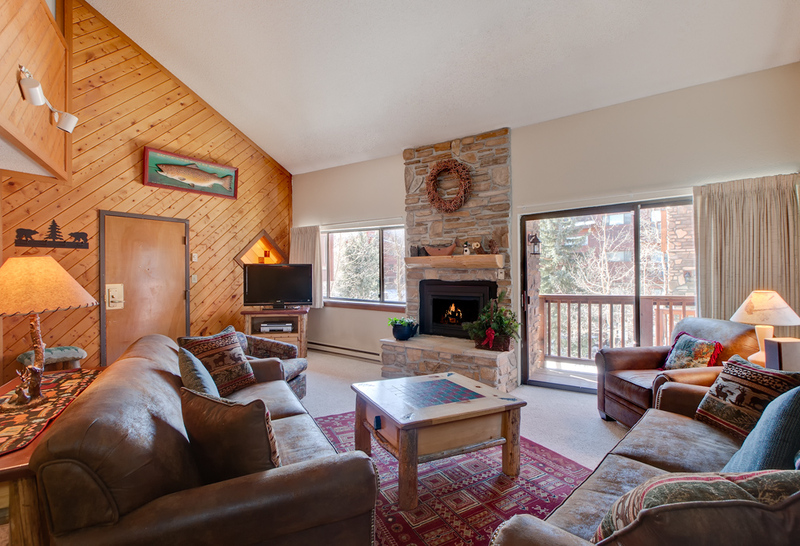 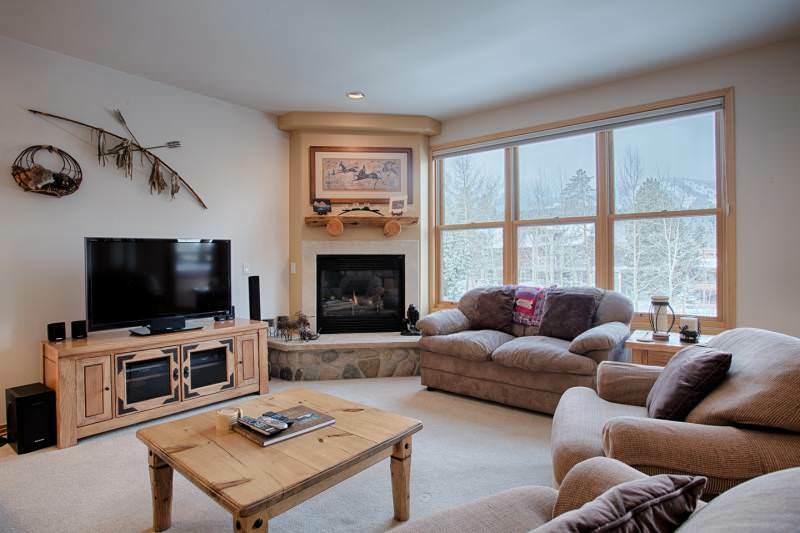 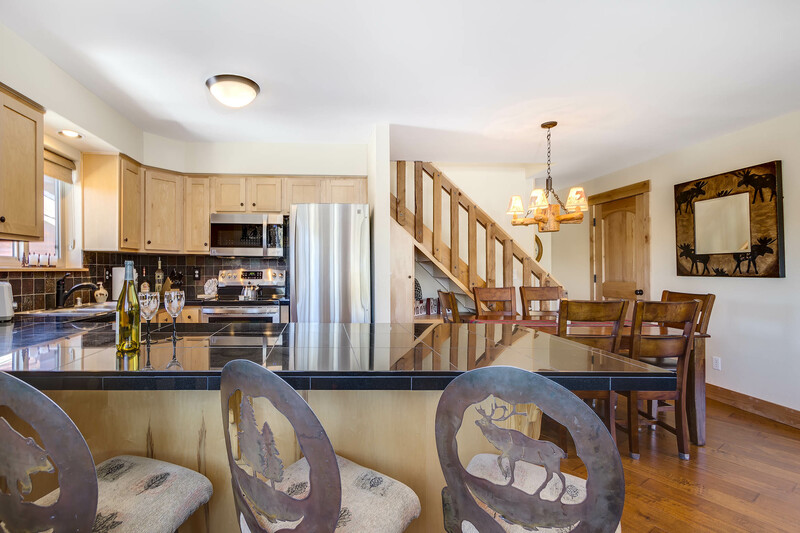 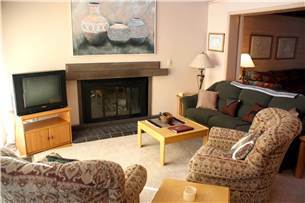 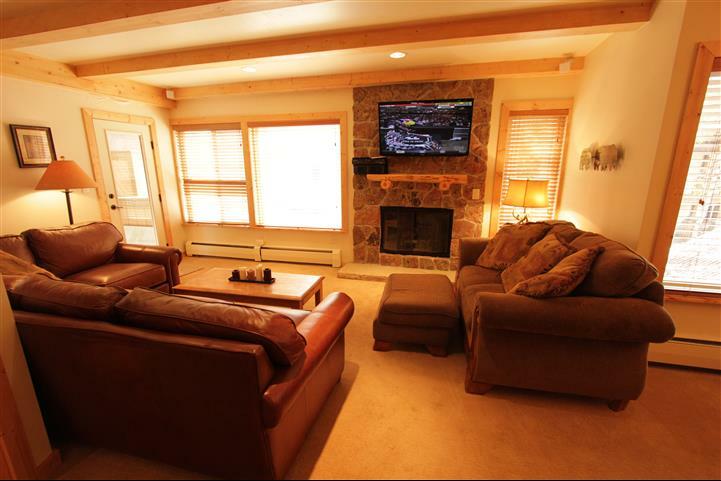 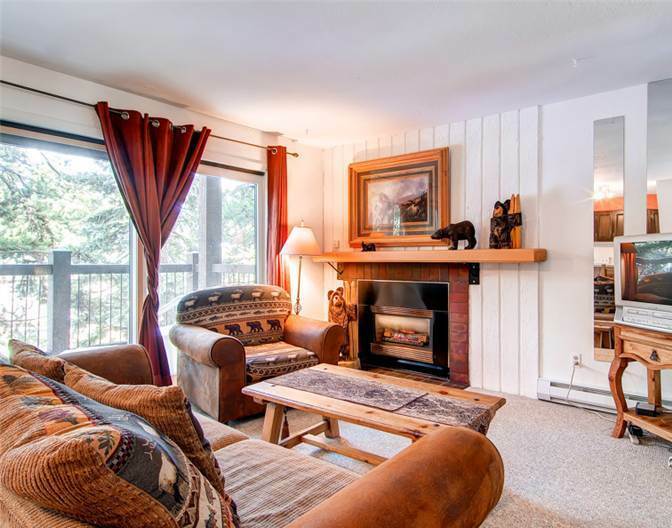 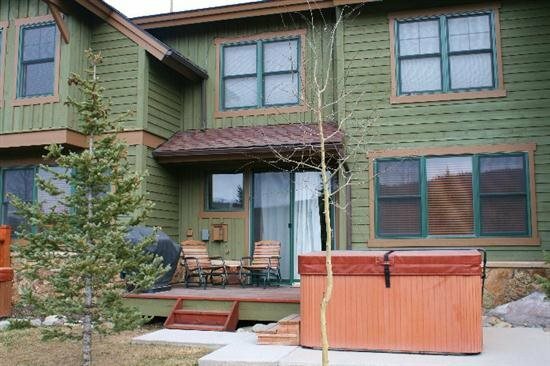 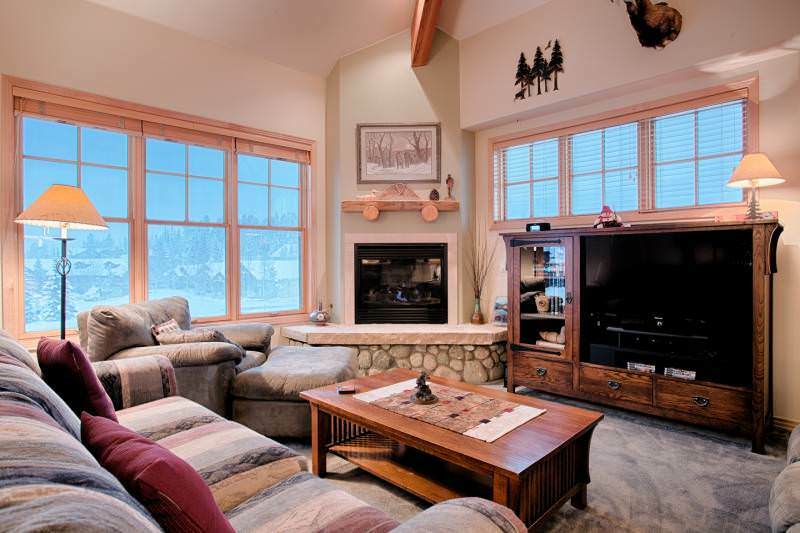 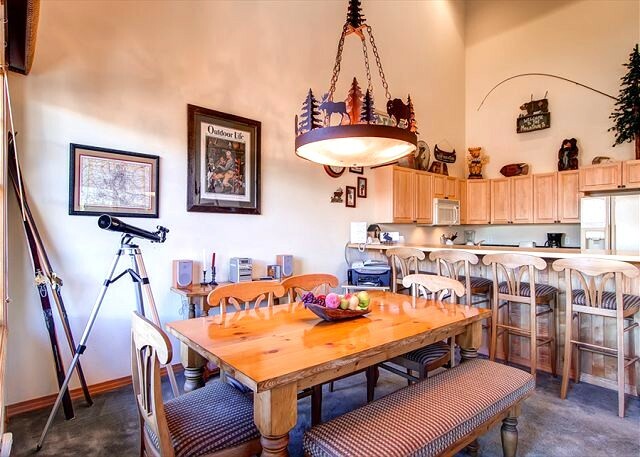 This nicely updated condo is a great Peak 9 location within easy walking distance to the Quicksilver chairlift and also to all the action on Main Street. 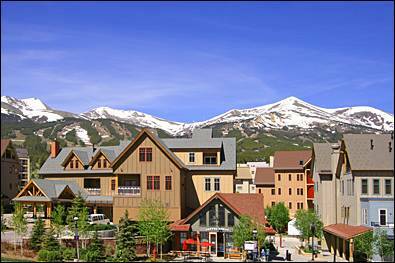 No driving or shuttle needed! 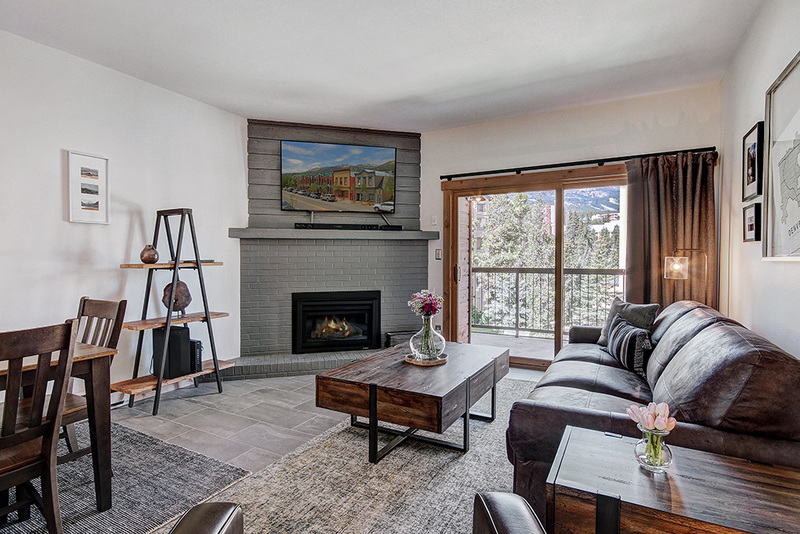 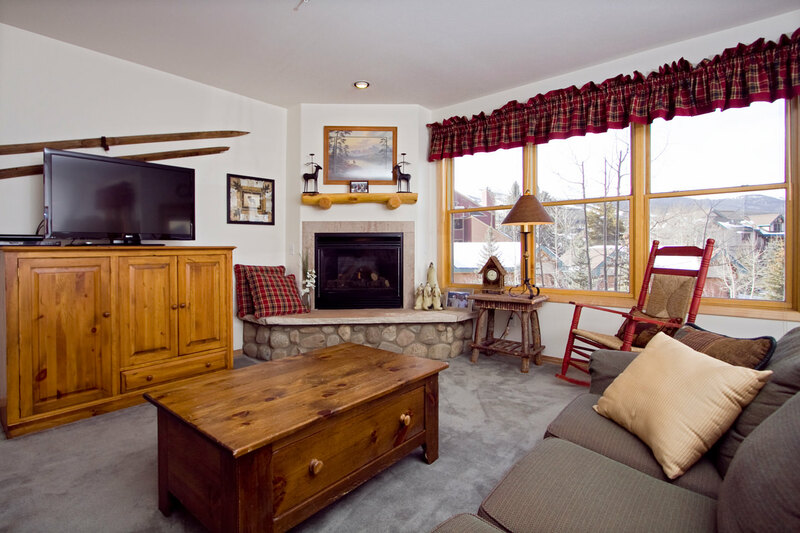 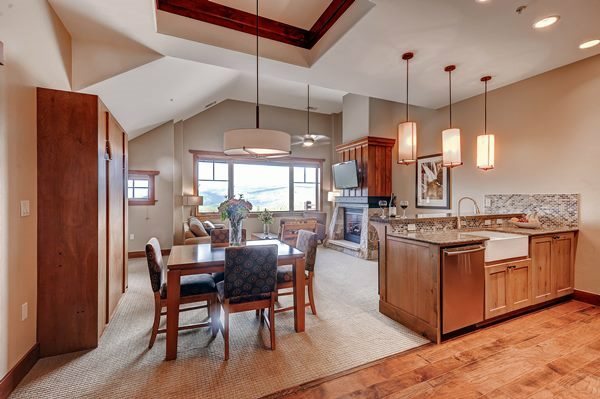 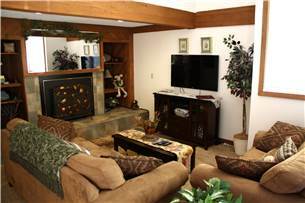 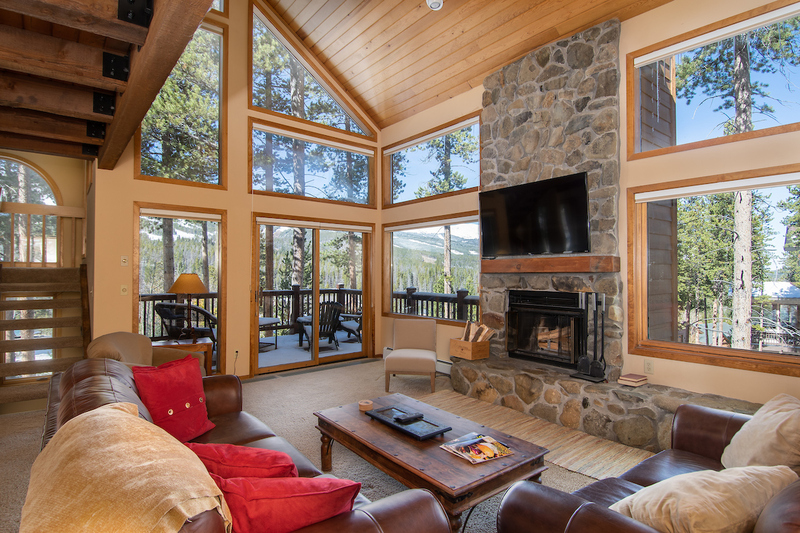 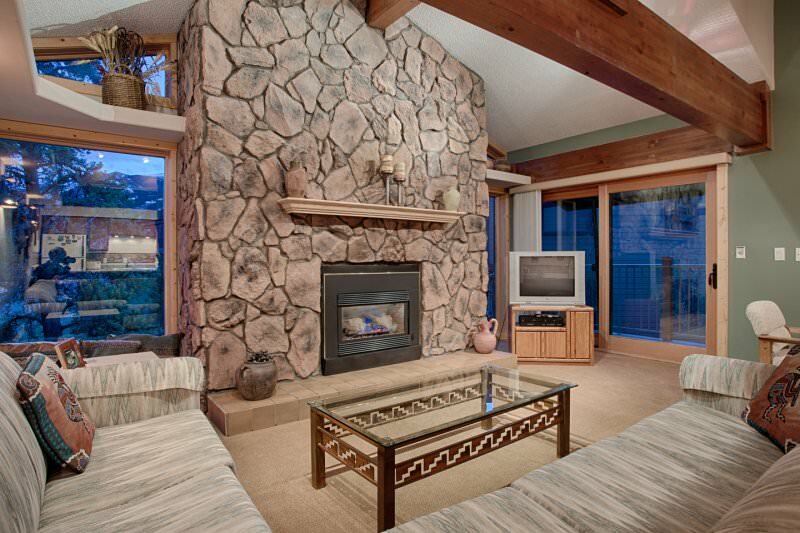 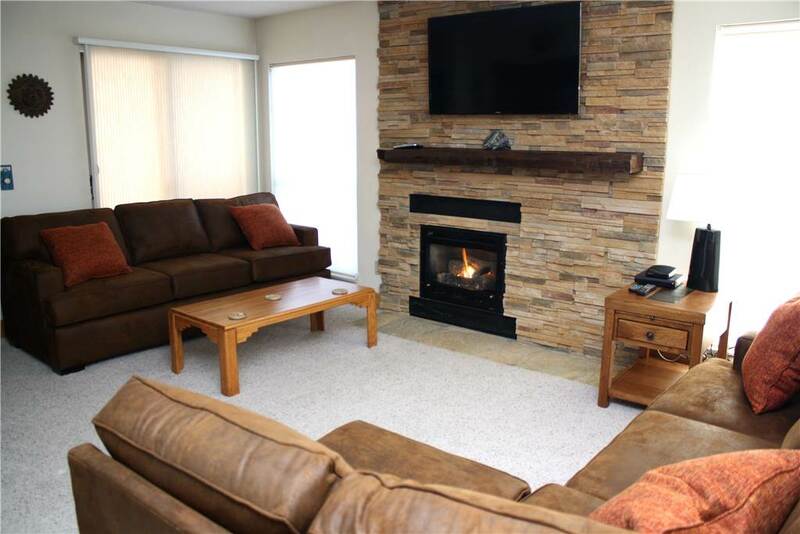 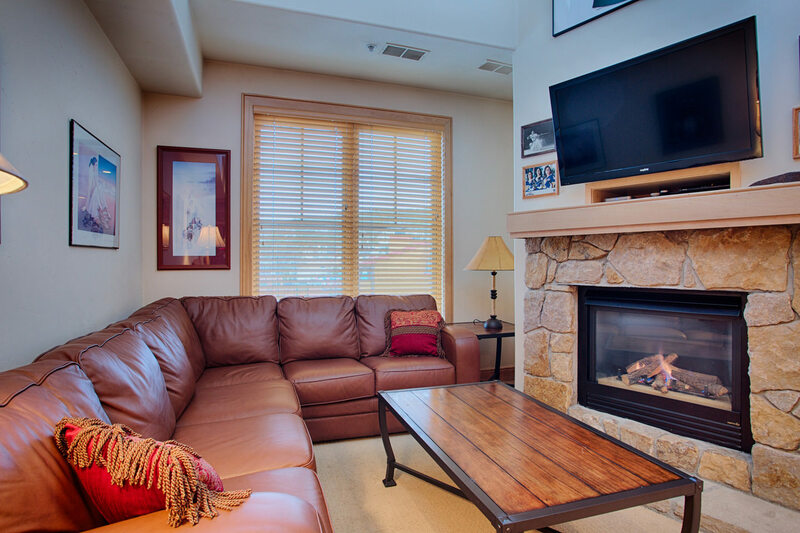 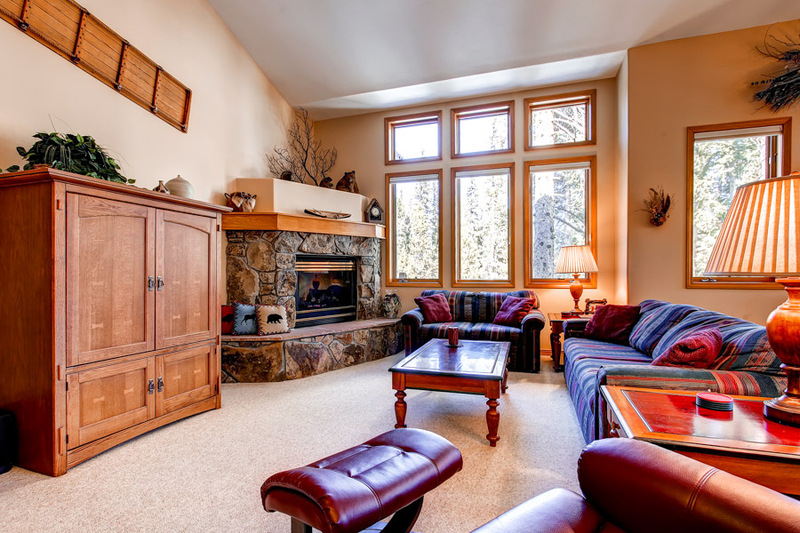 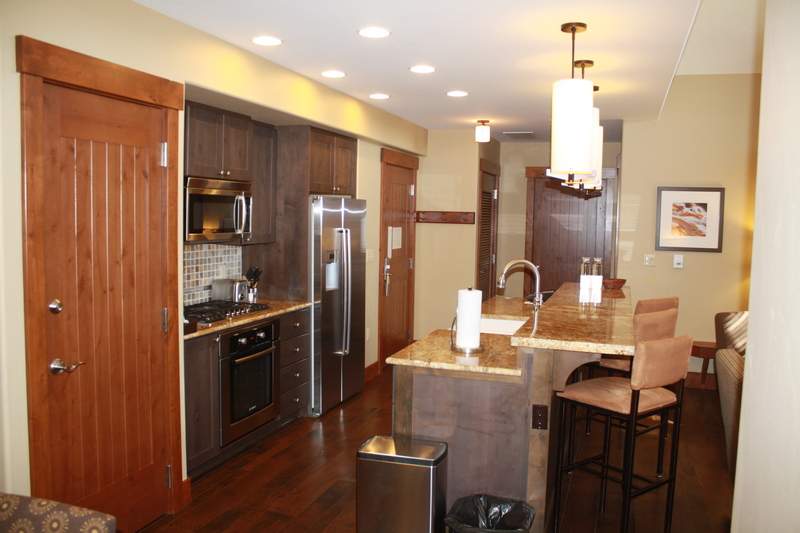 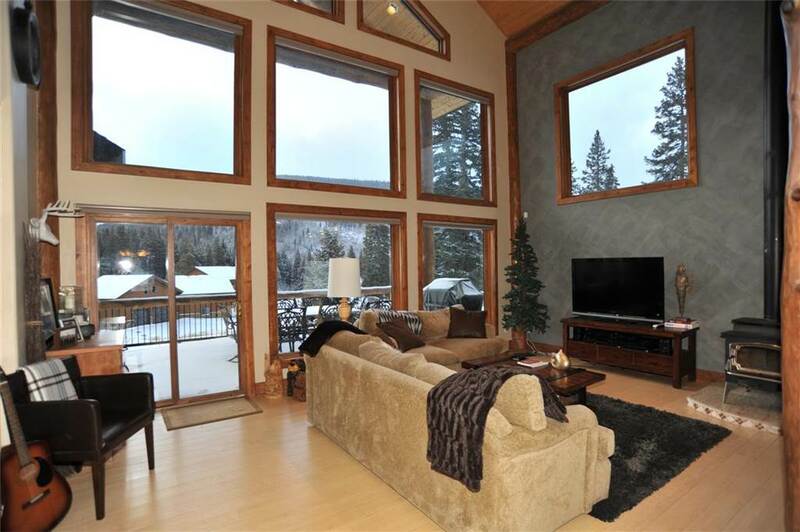 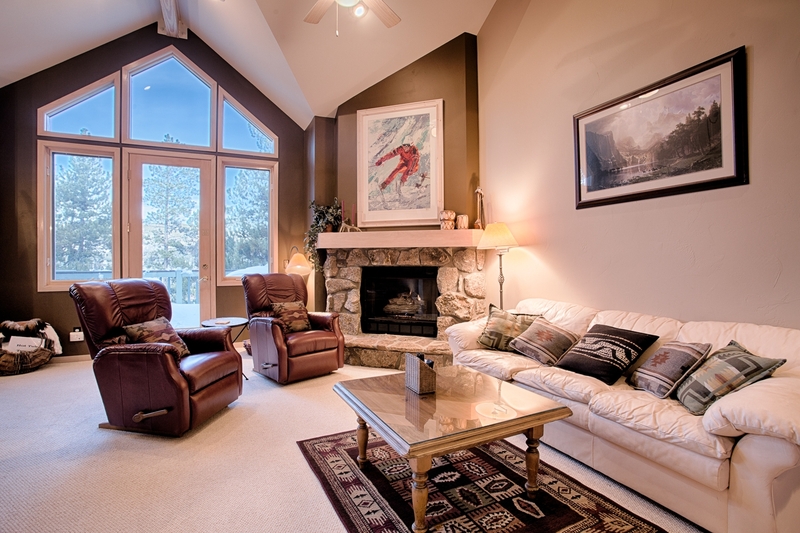 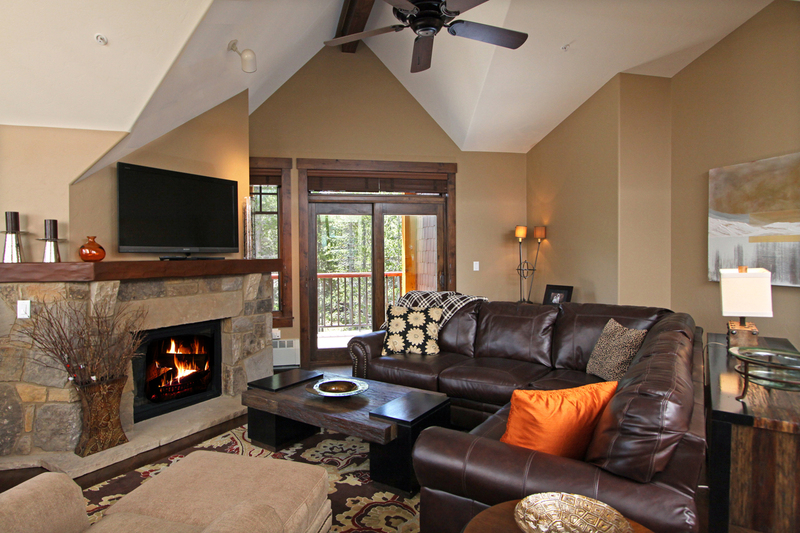 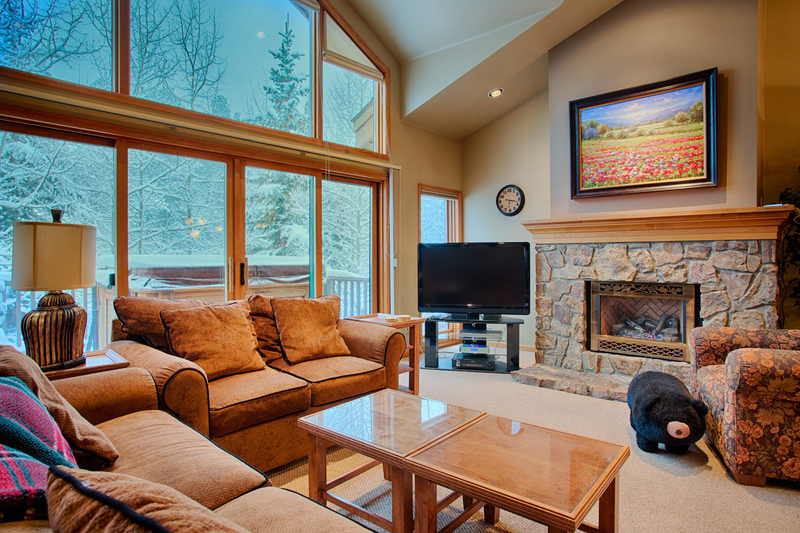 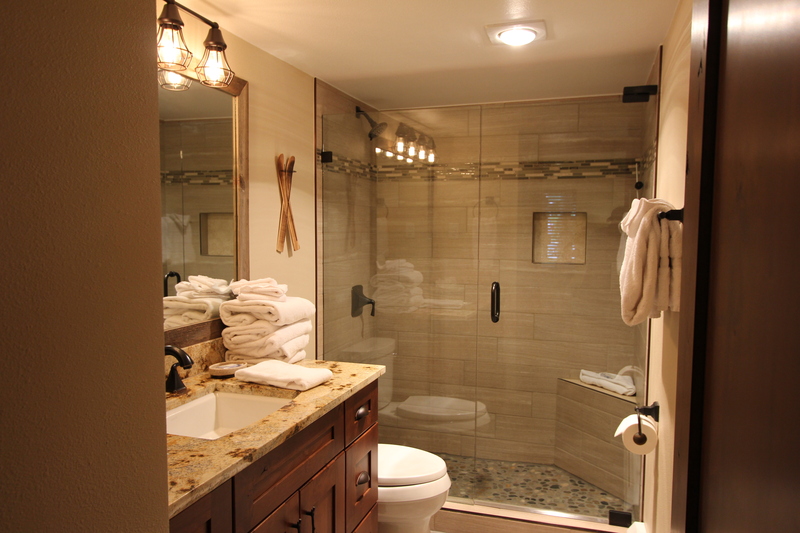 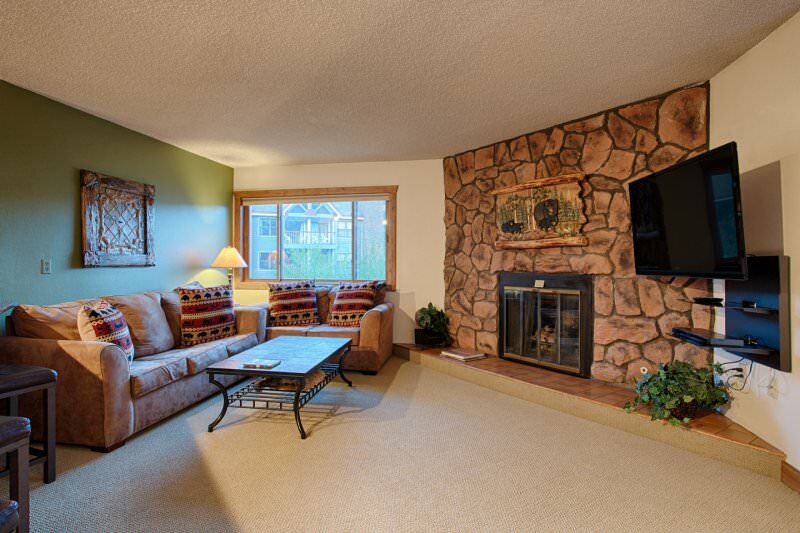 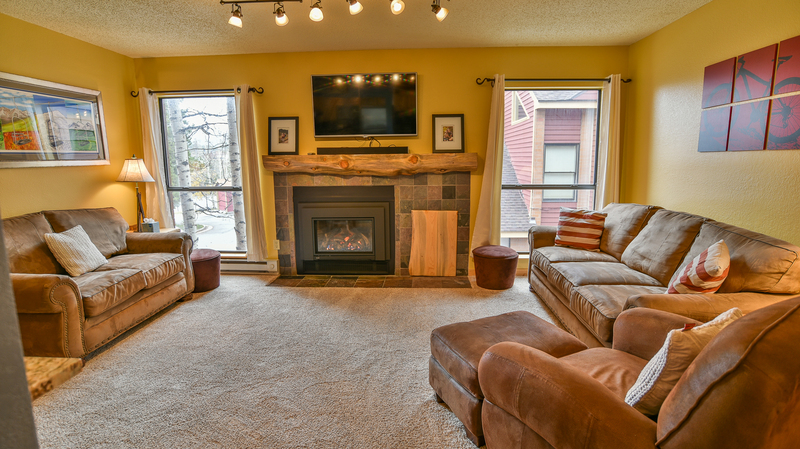 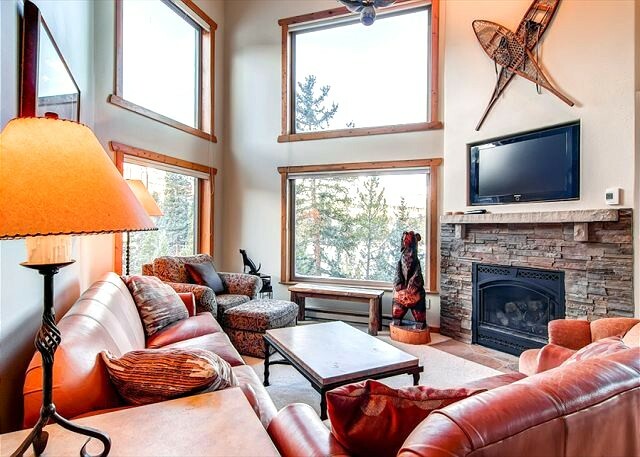 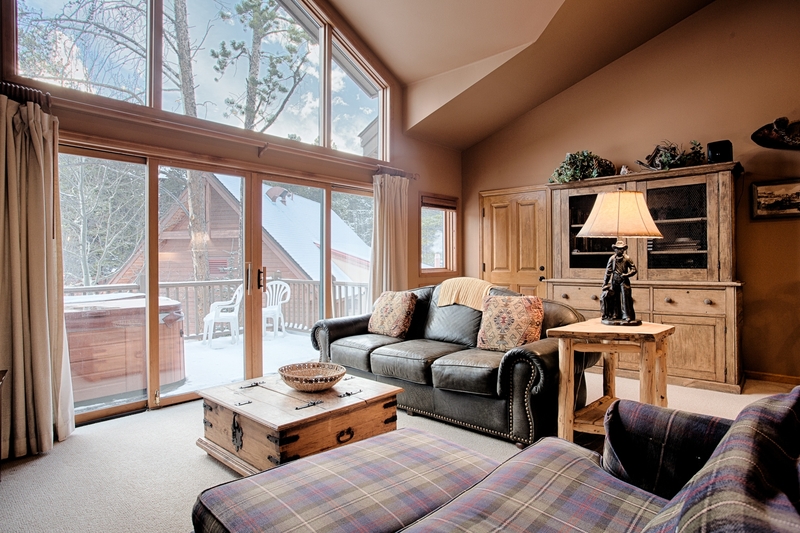 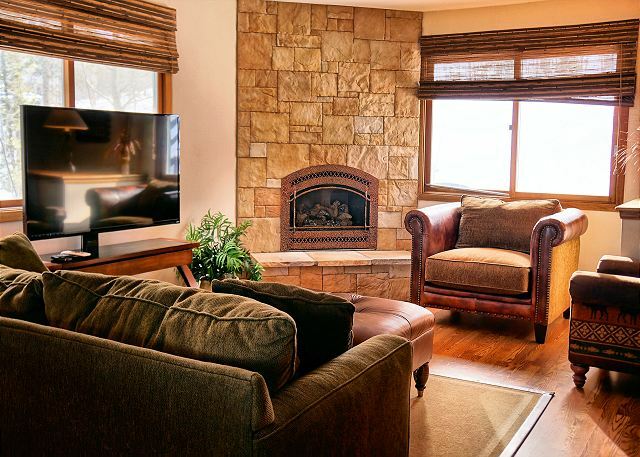 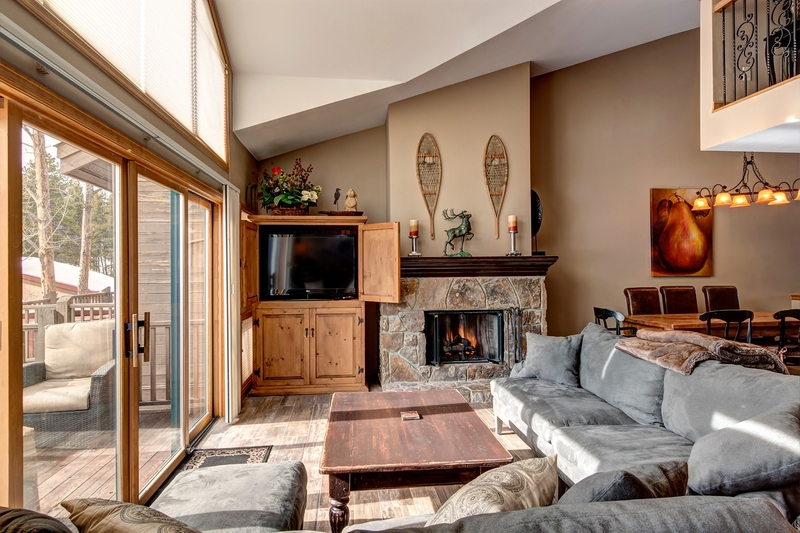 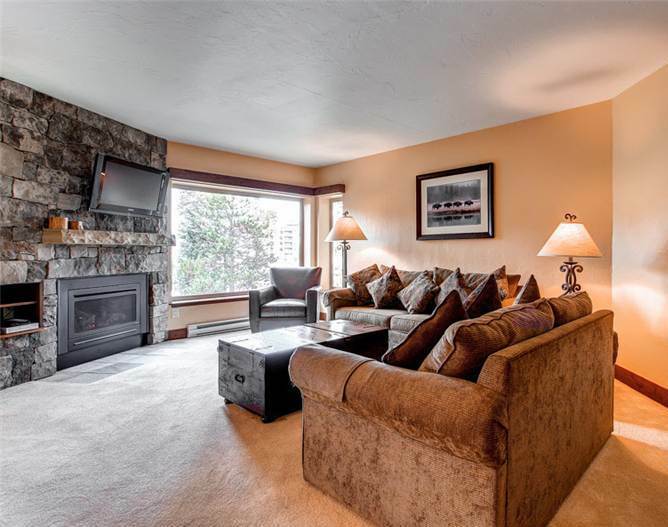 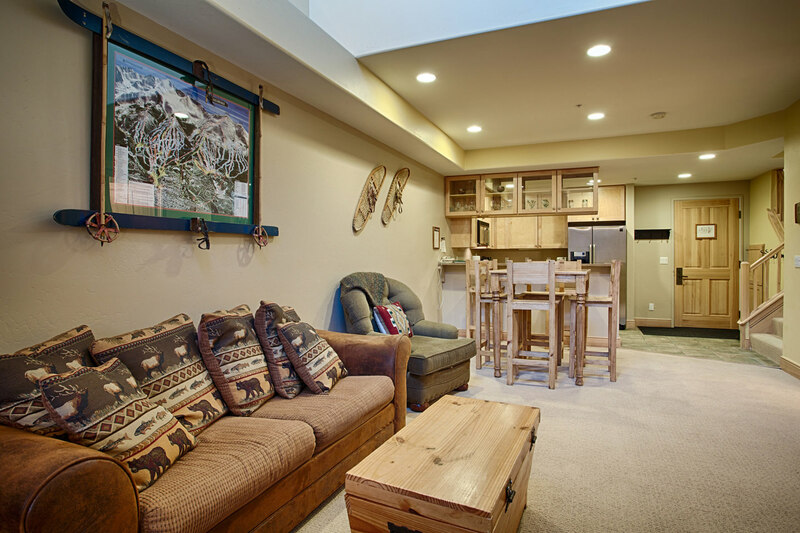 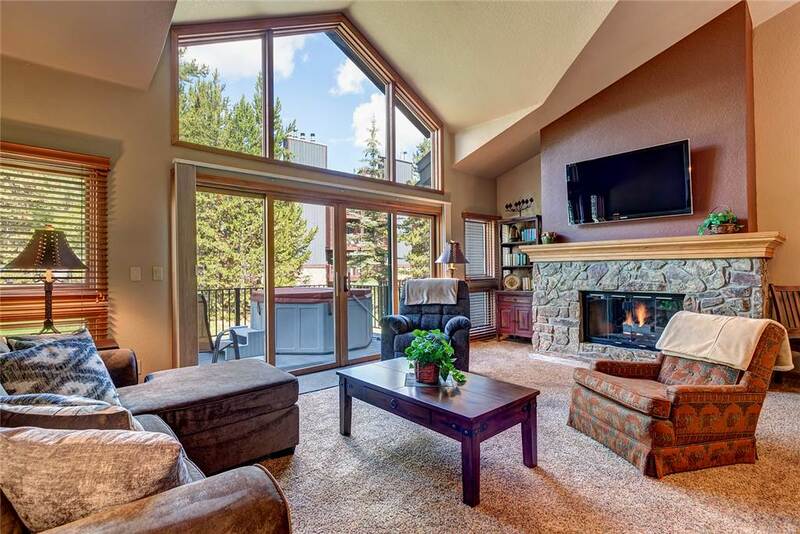 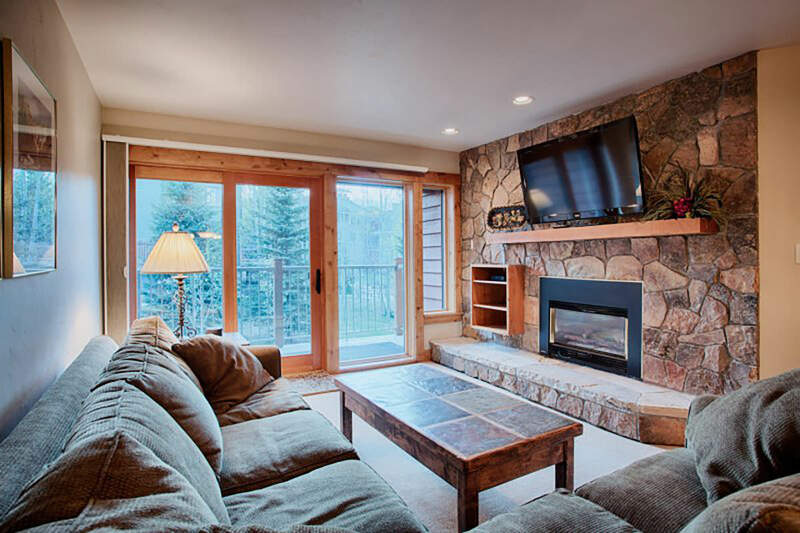 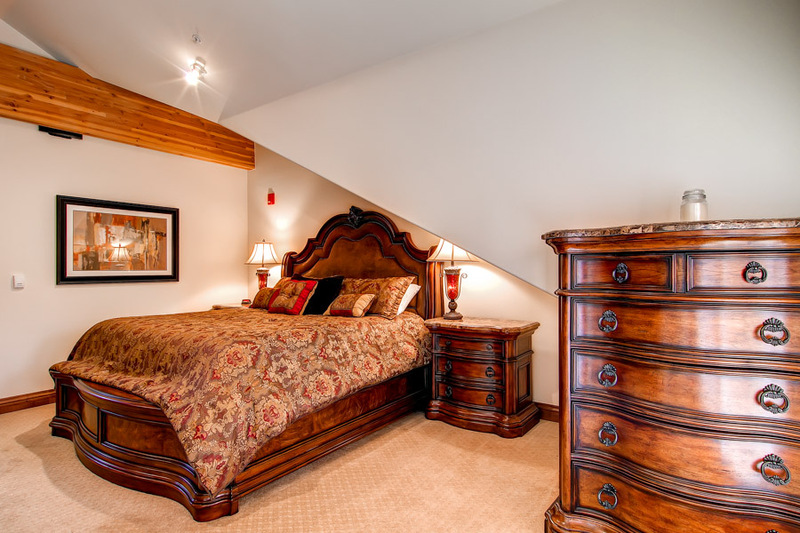 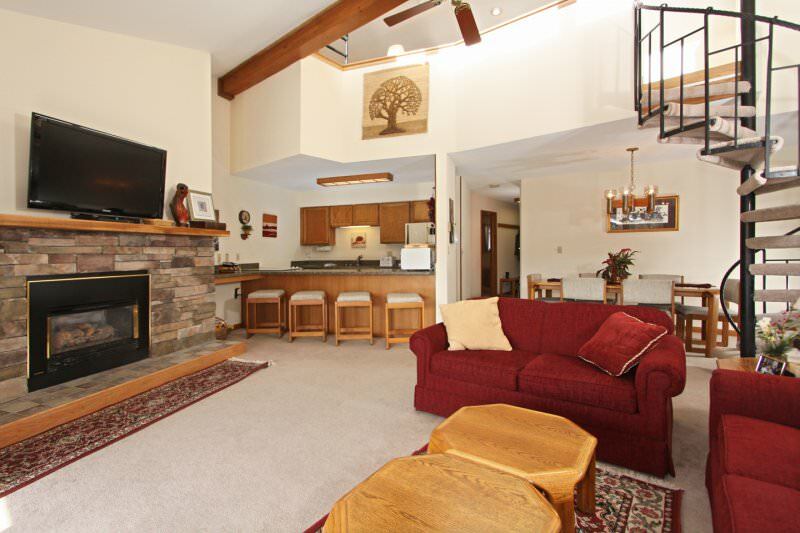 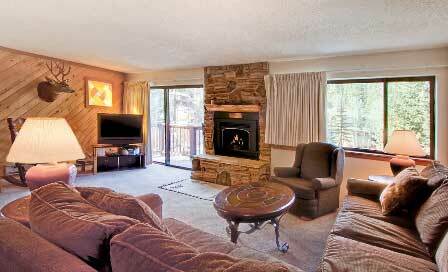 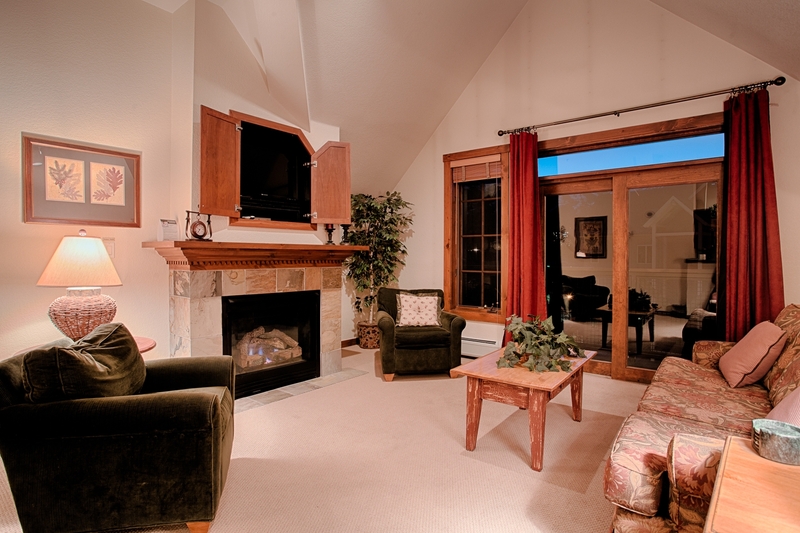 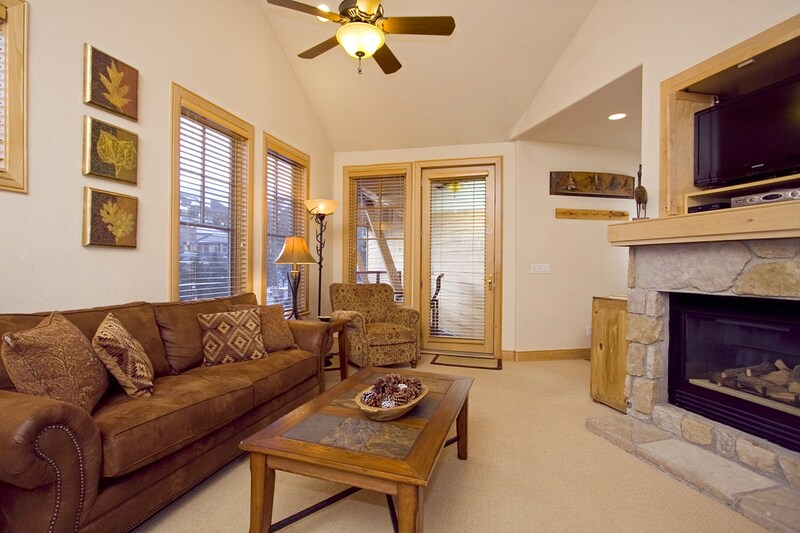 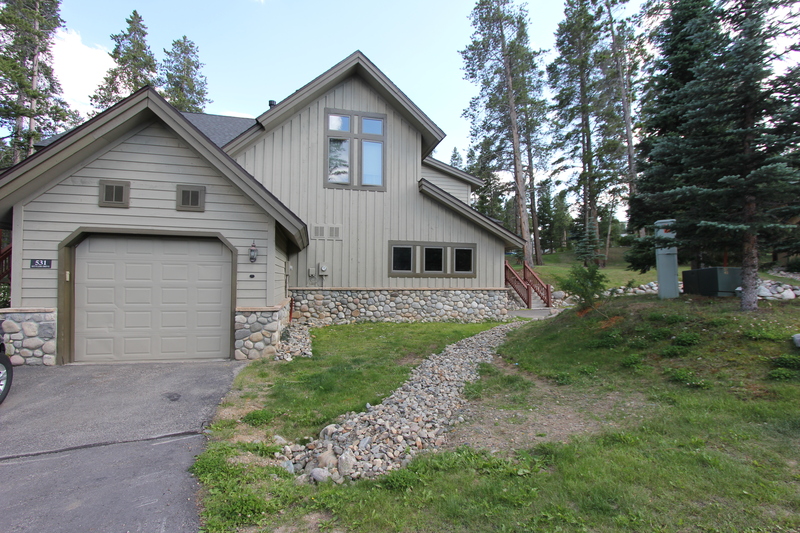 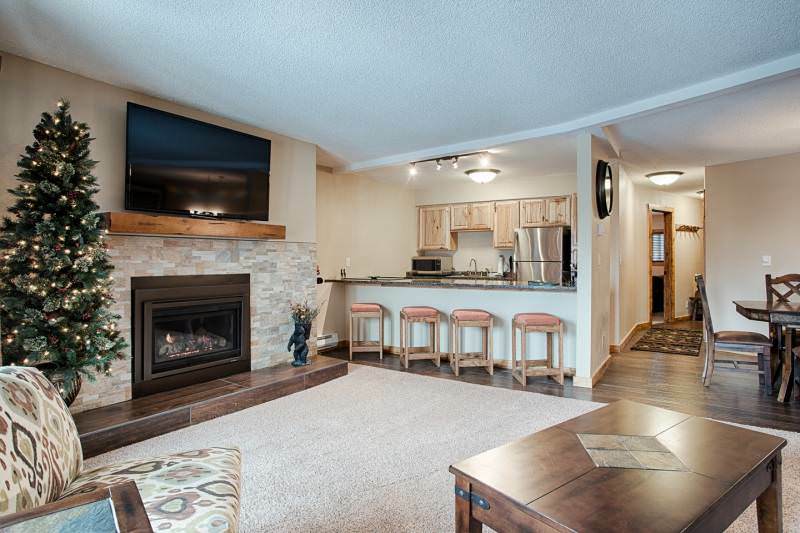 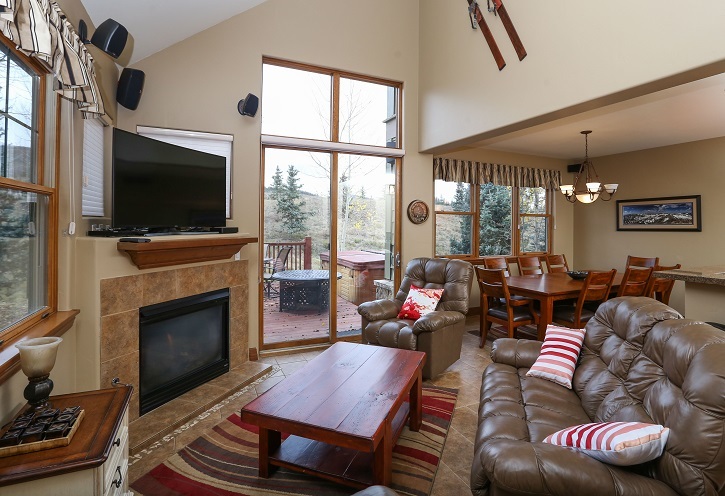 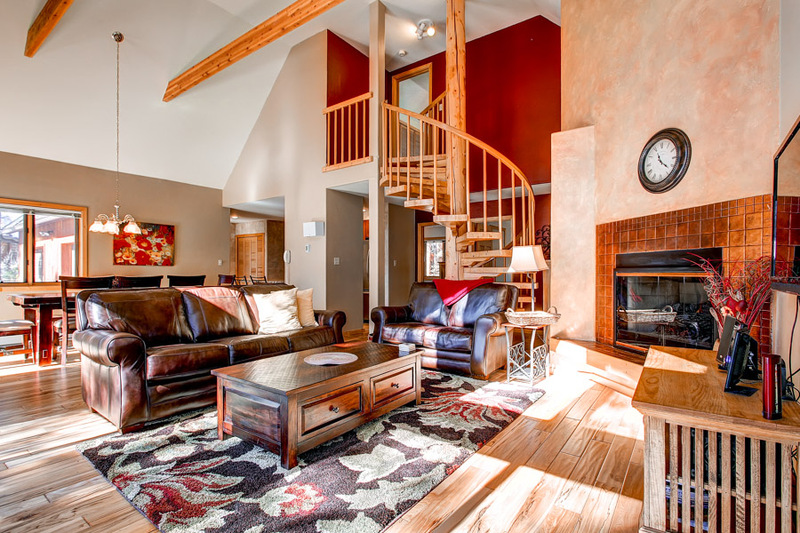 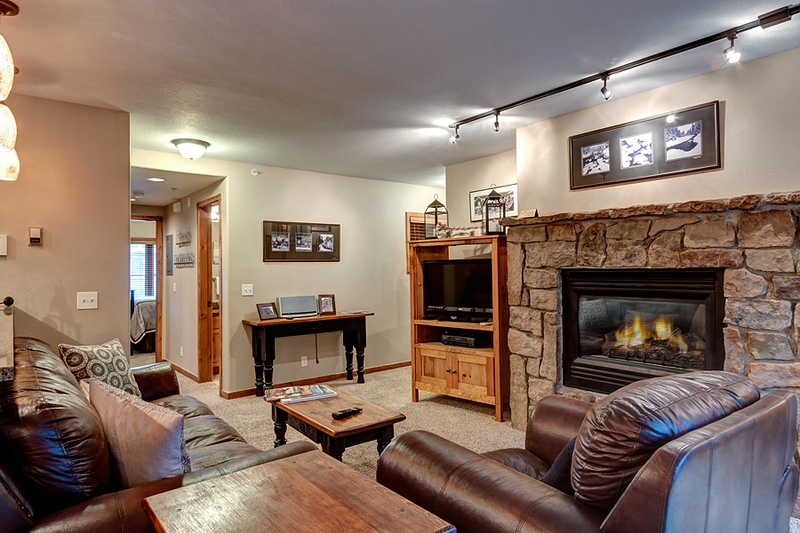 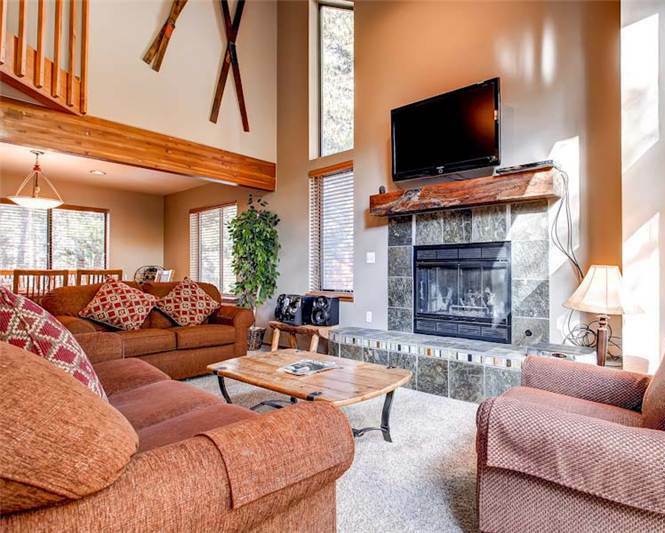 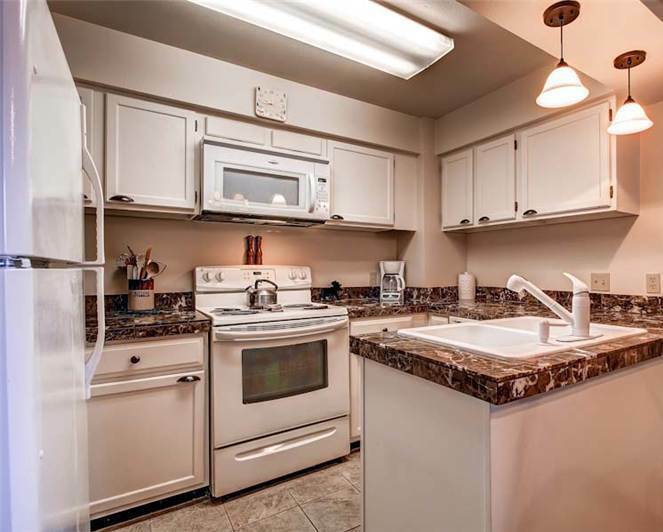 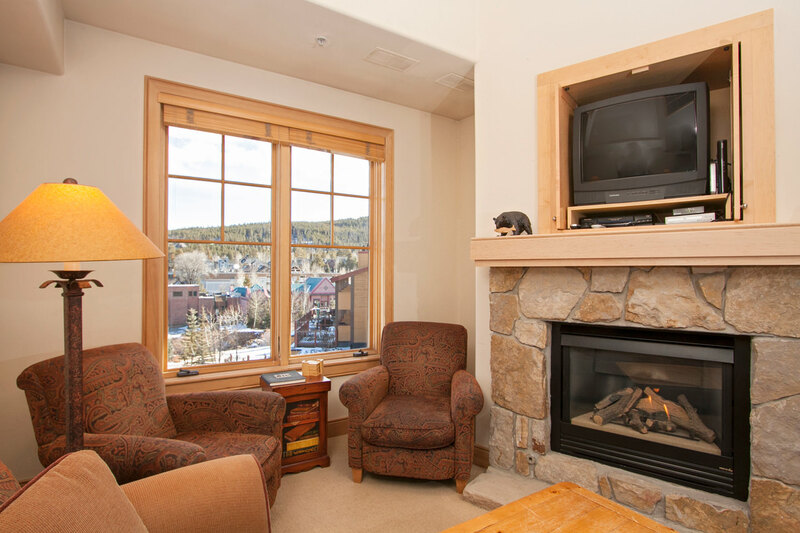 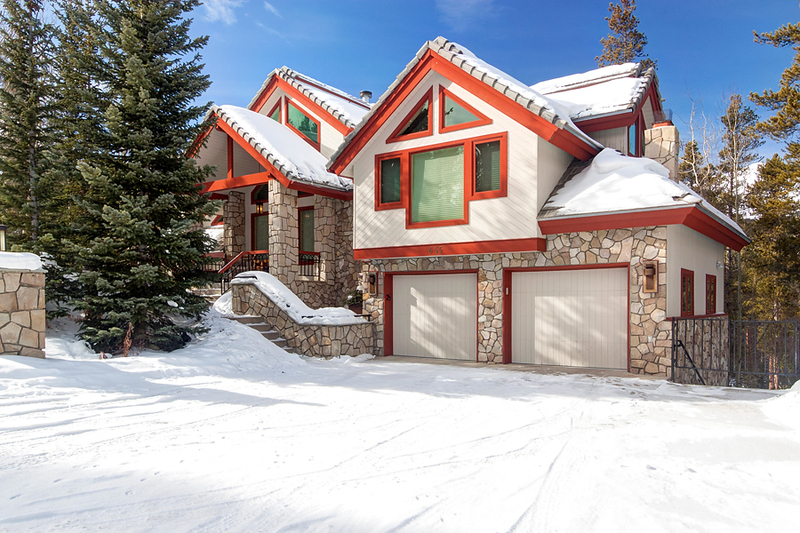 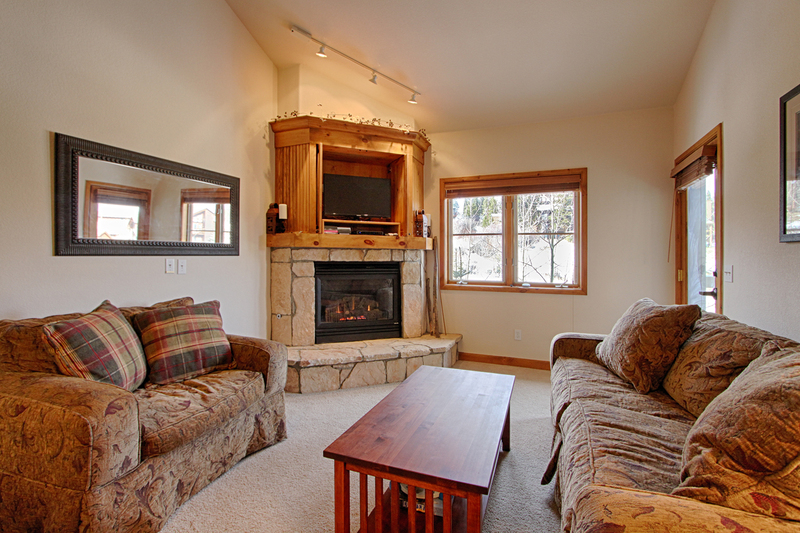 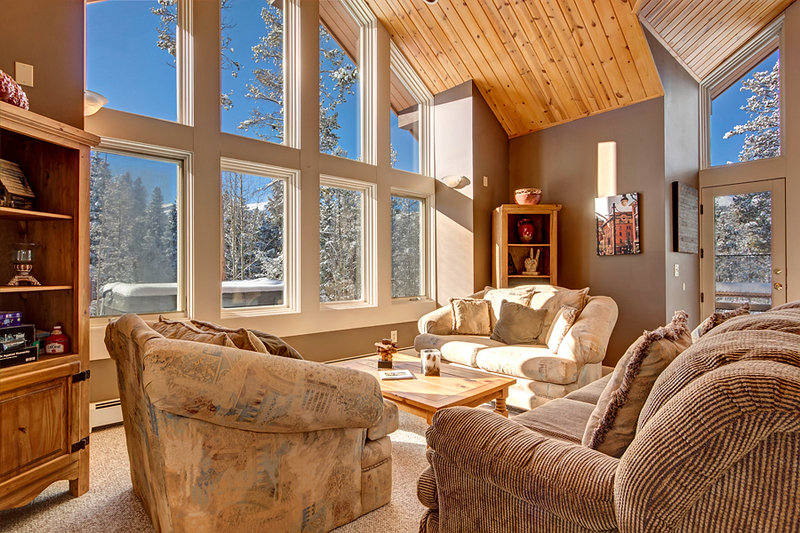 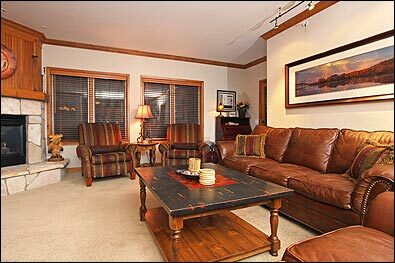 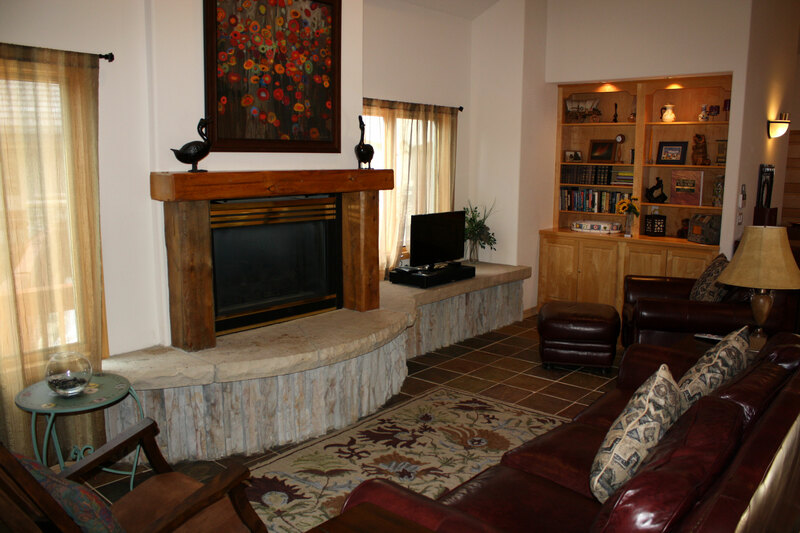 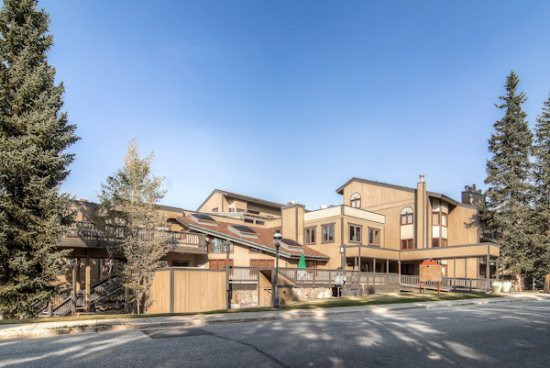 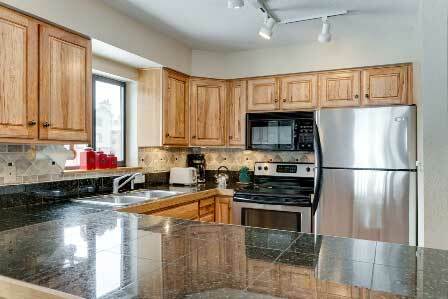 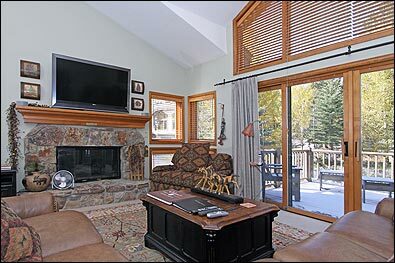 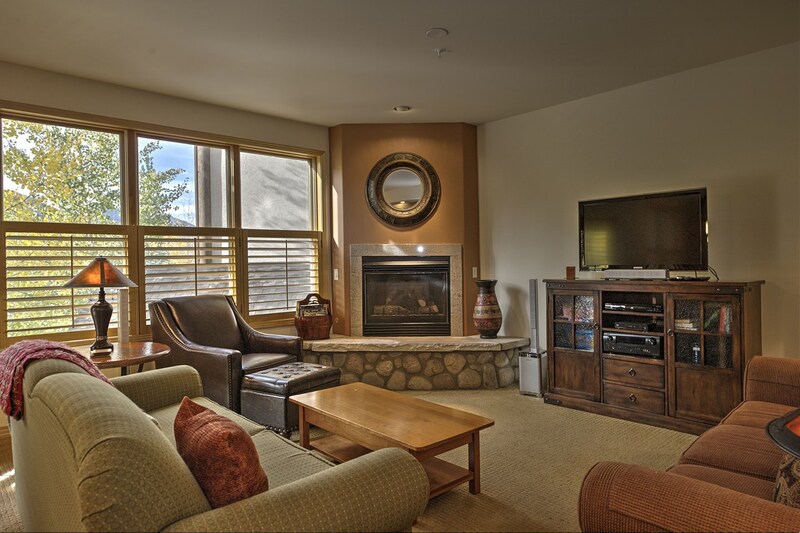 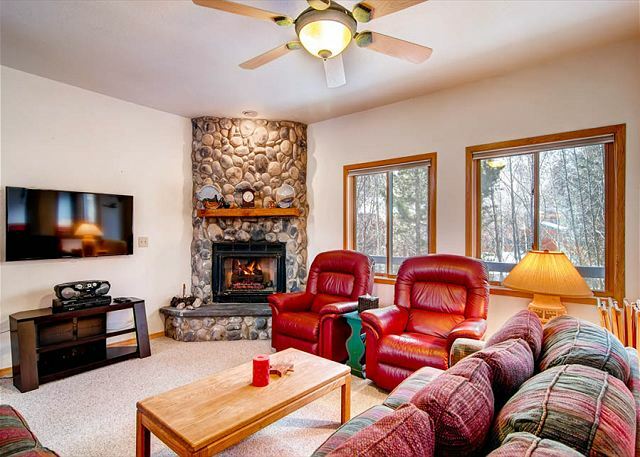 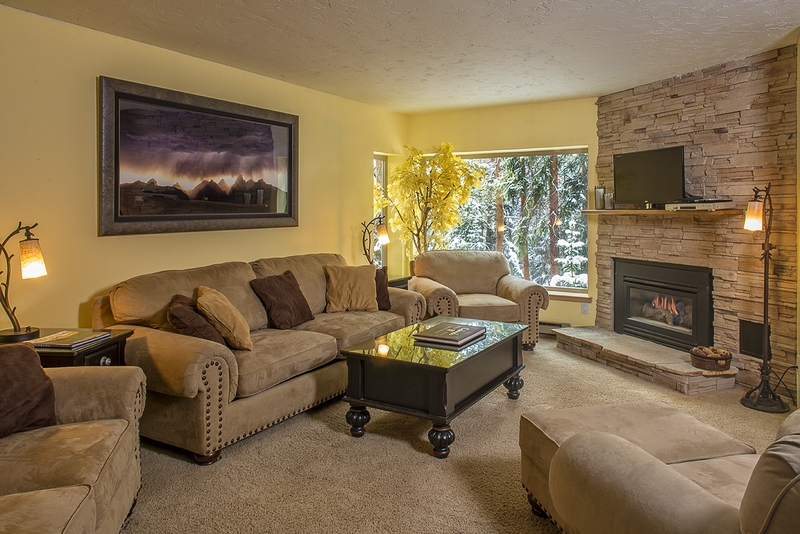 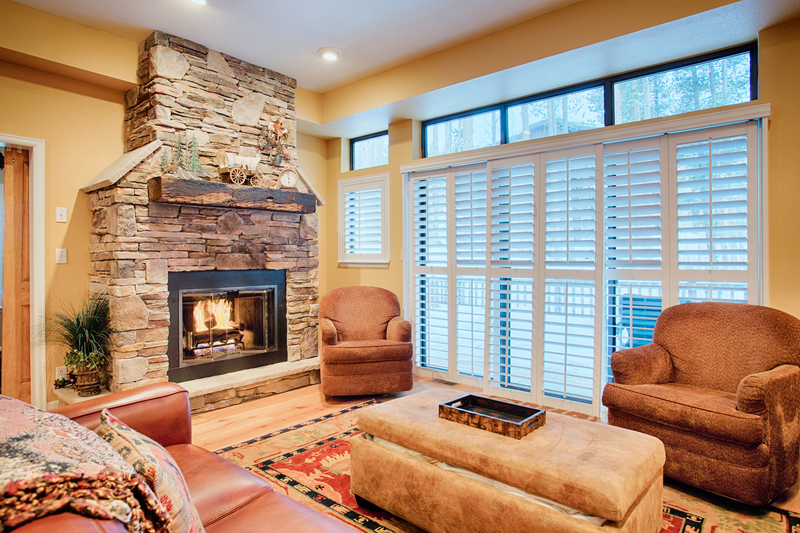 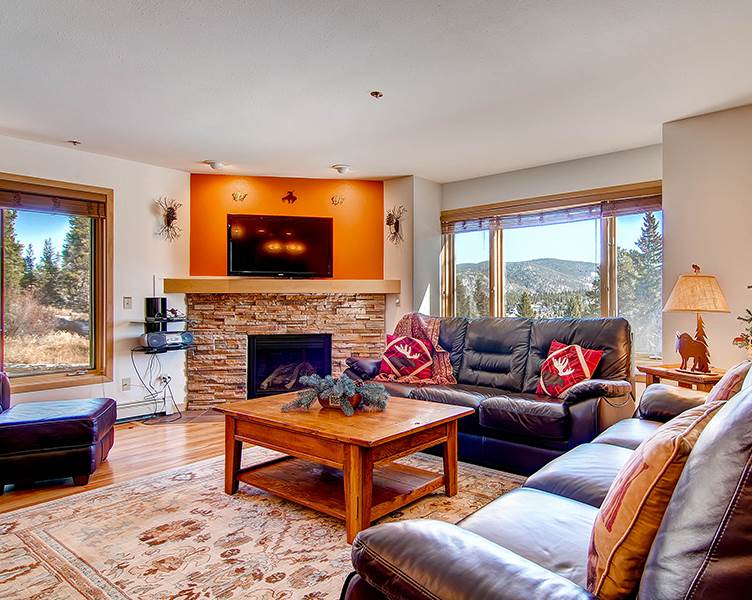 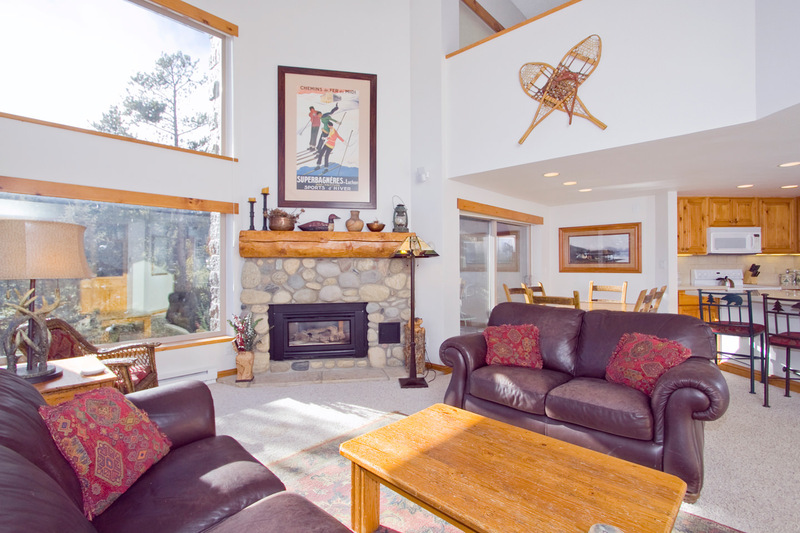 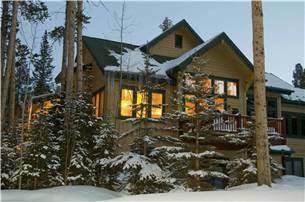 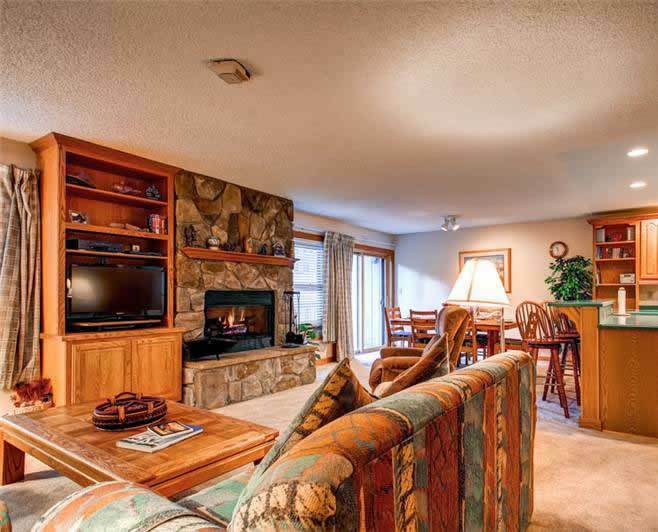 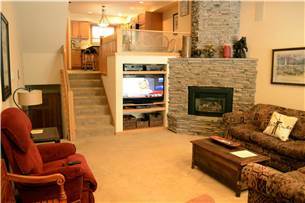 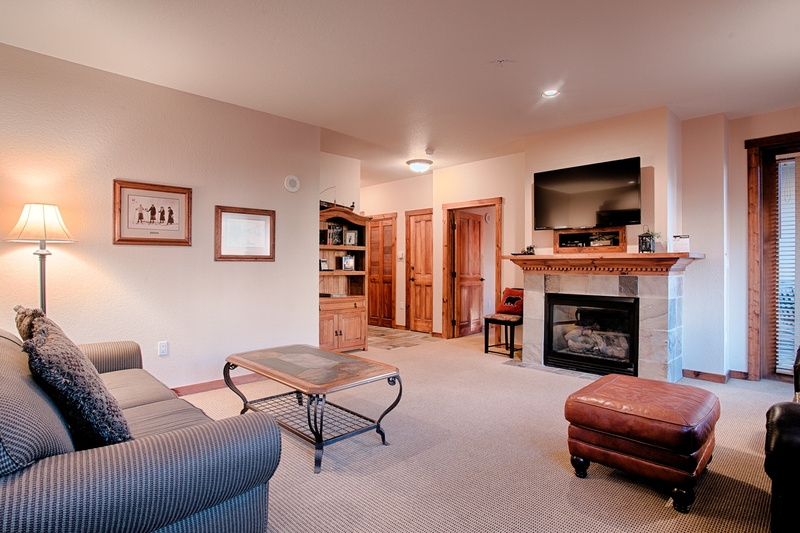 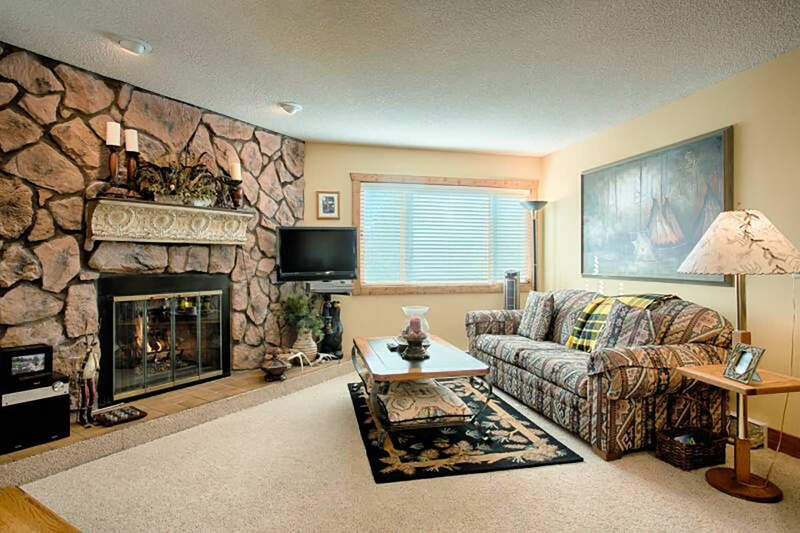 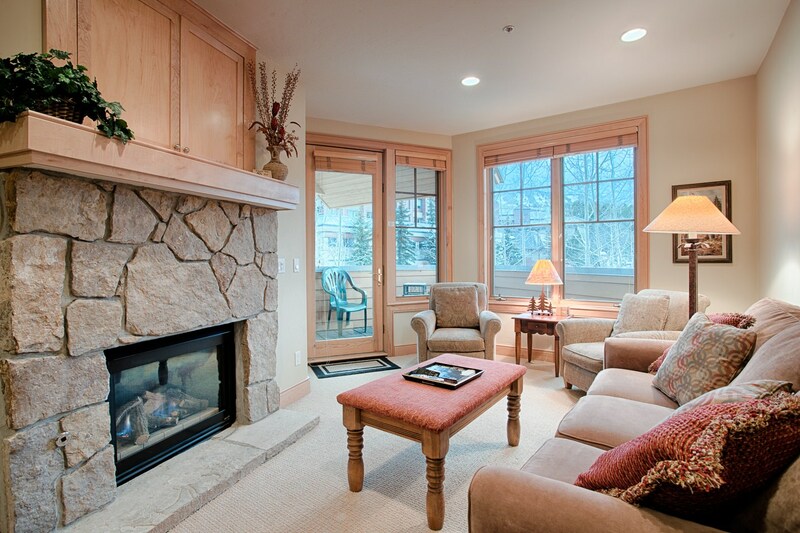 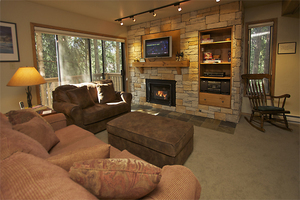 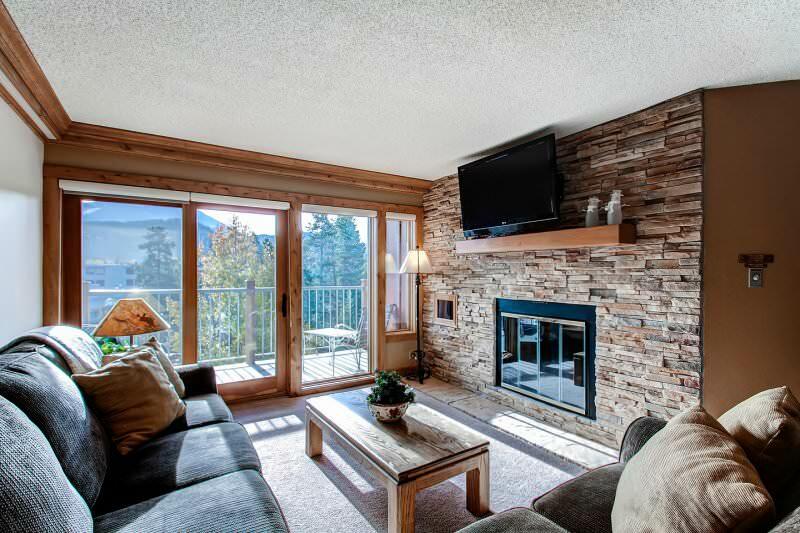 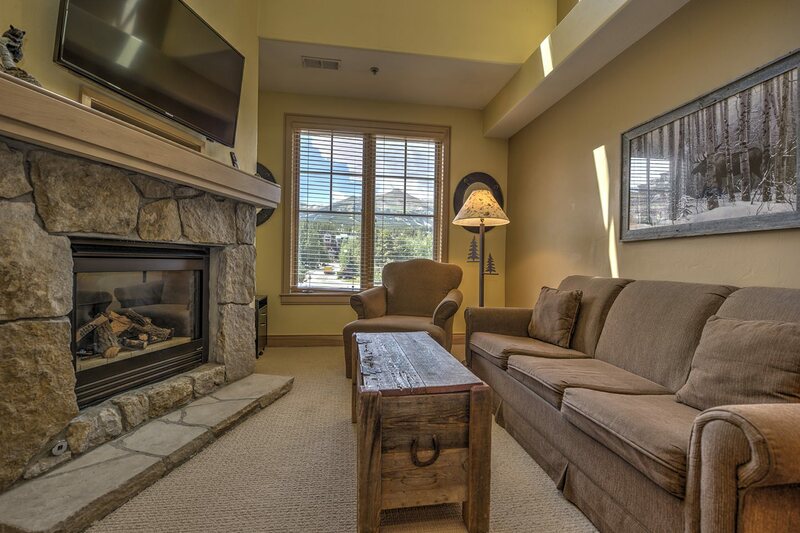 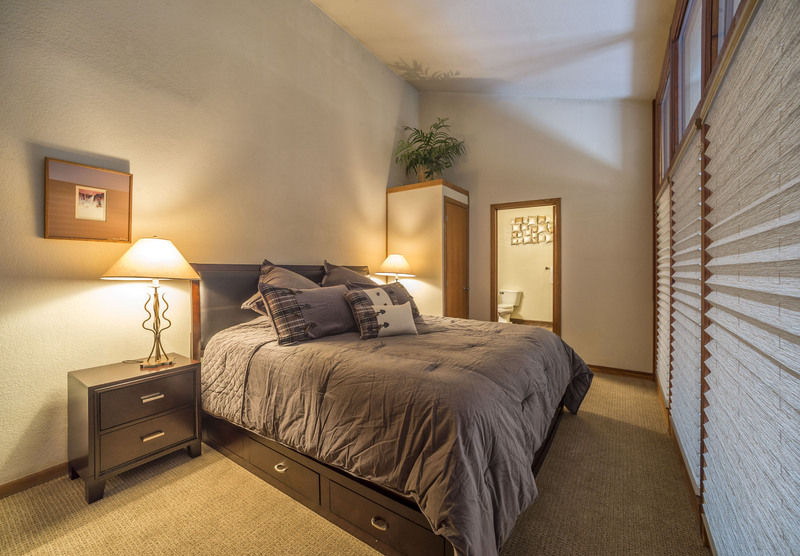 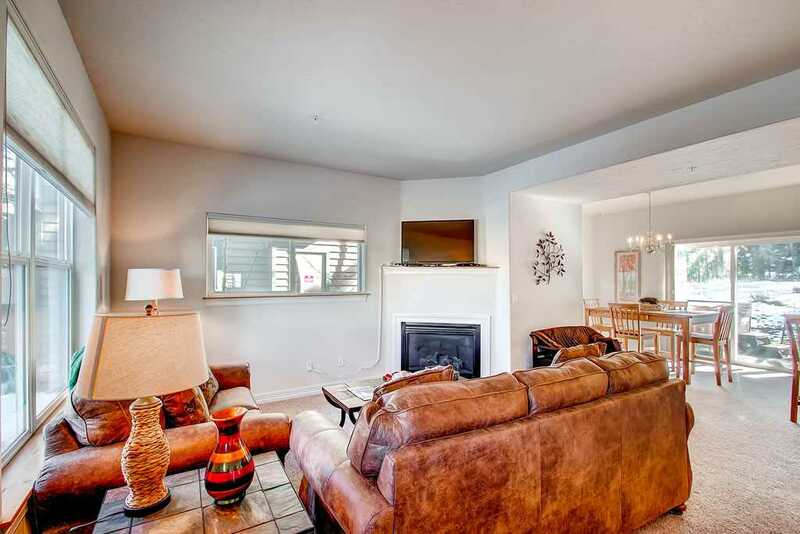 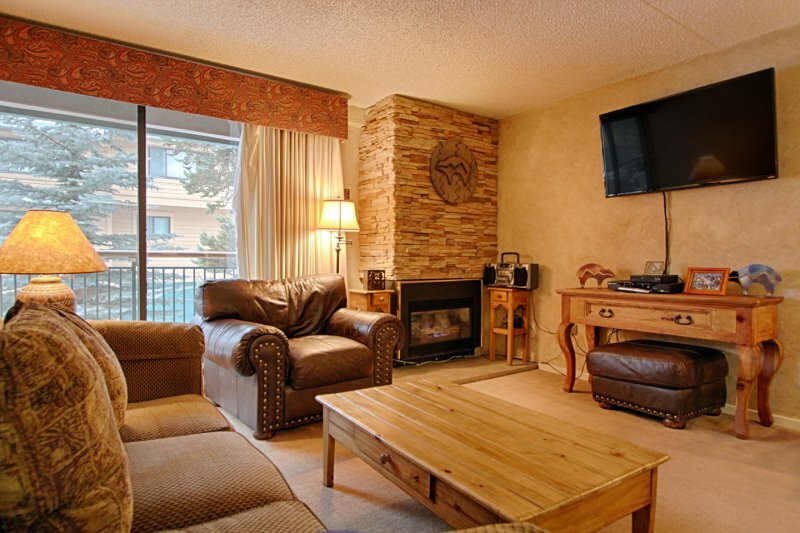 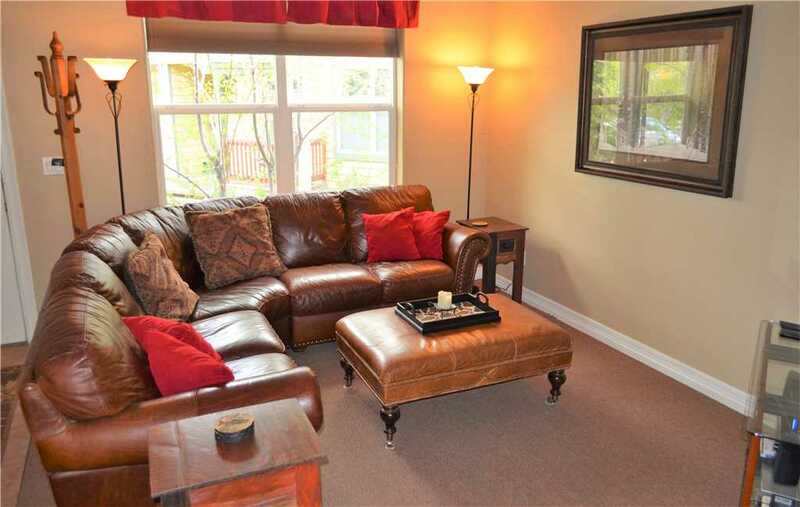 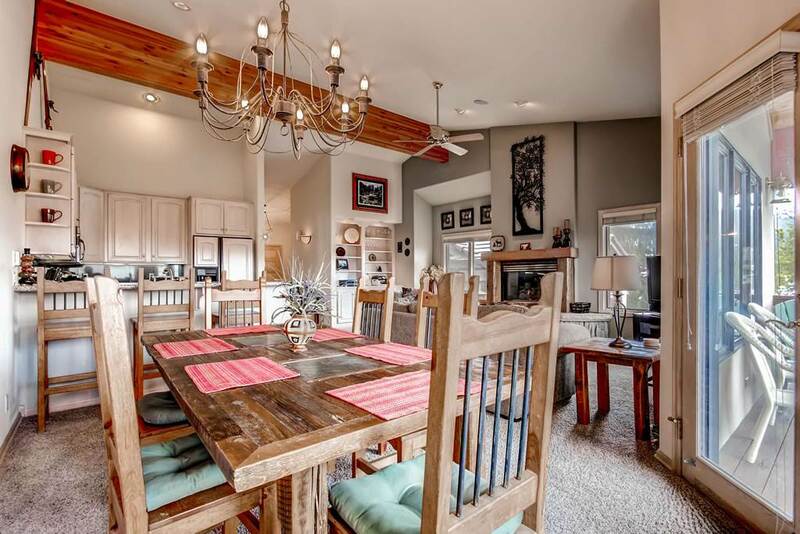 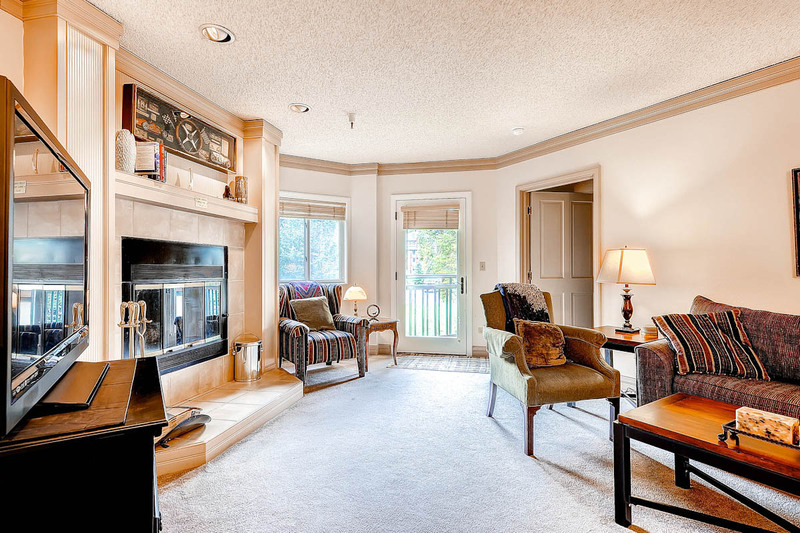 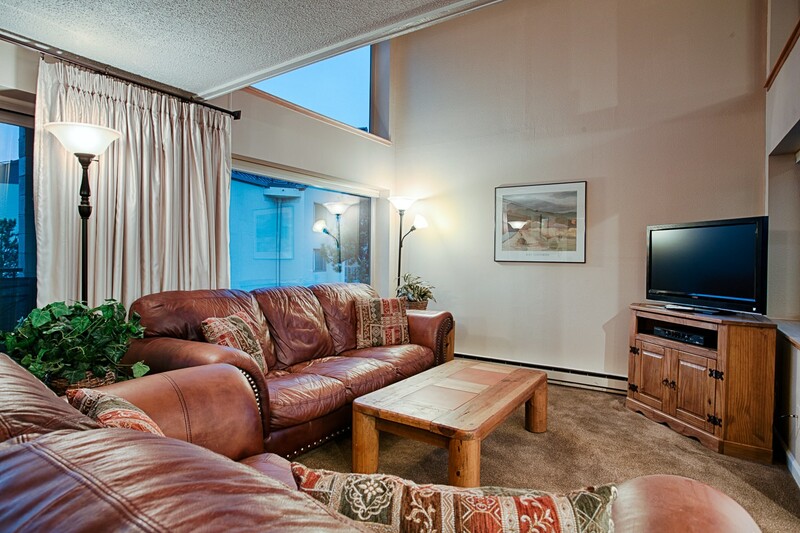 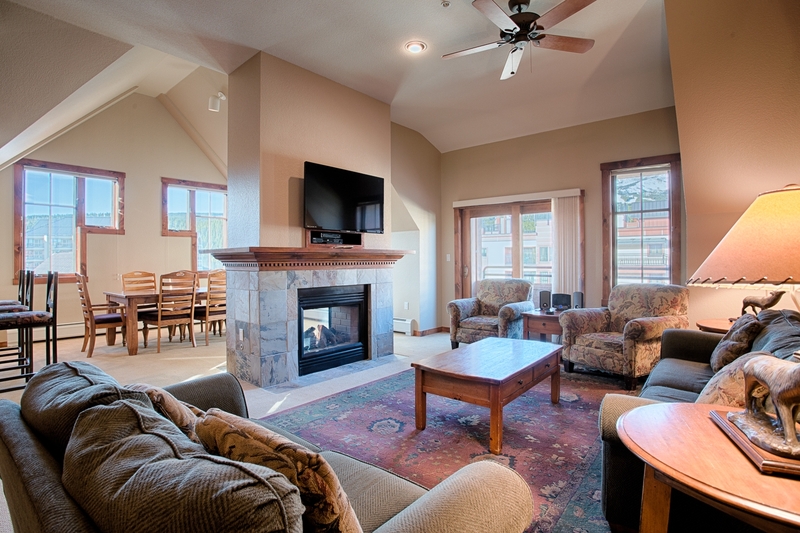 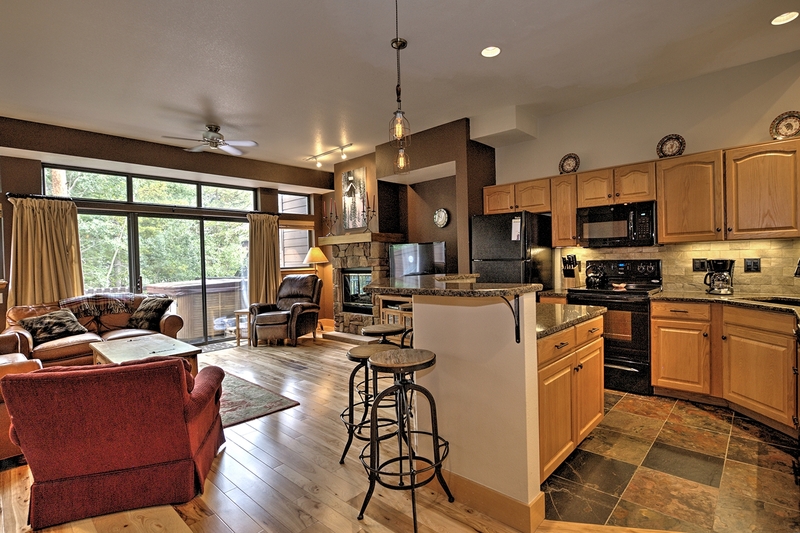 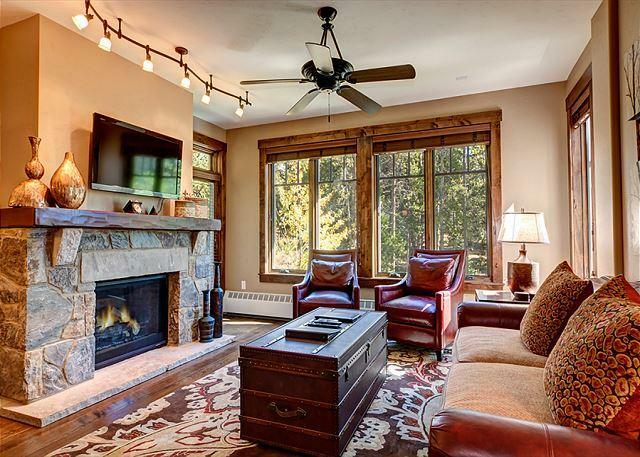 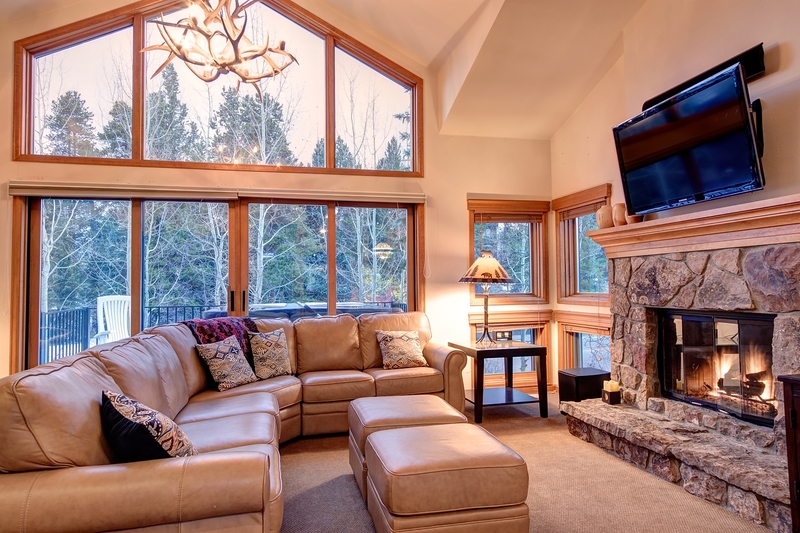 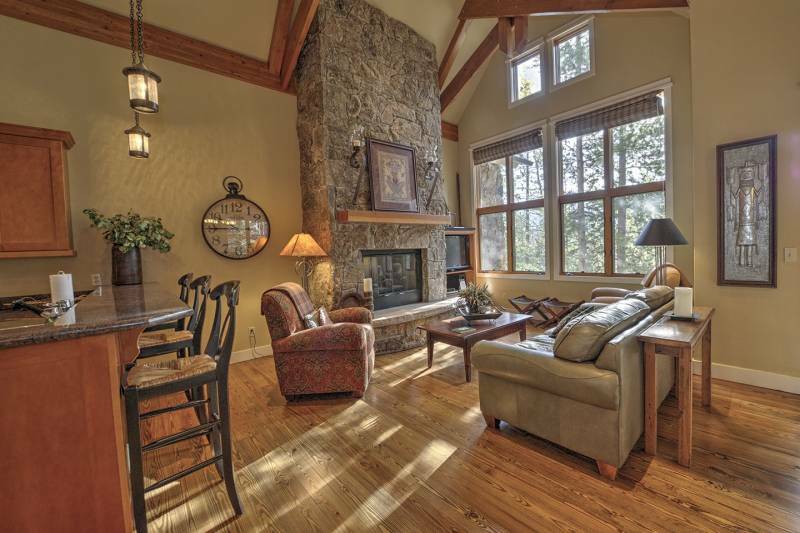 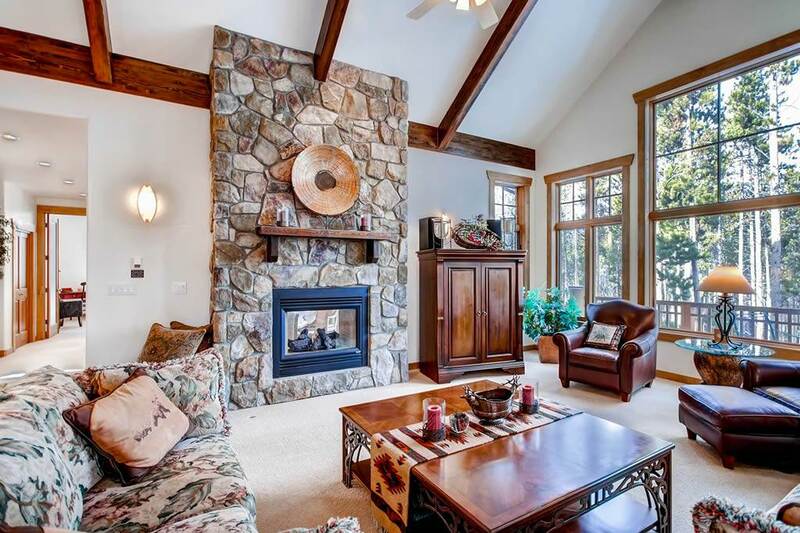 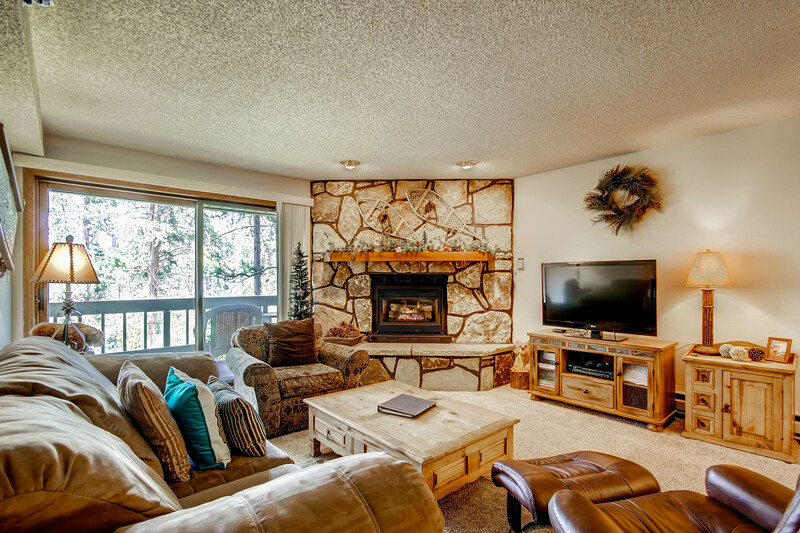 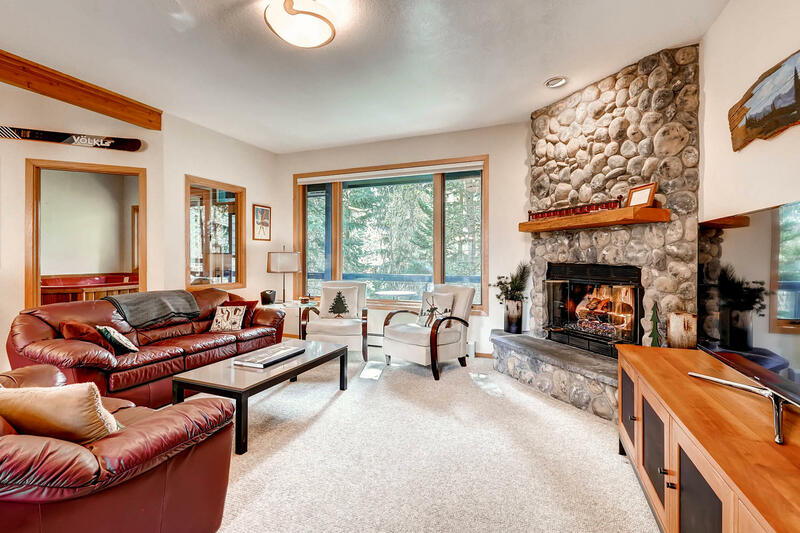 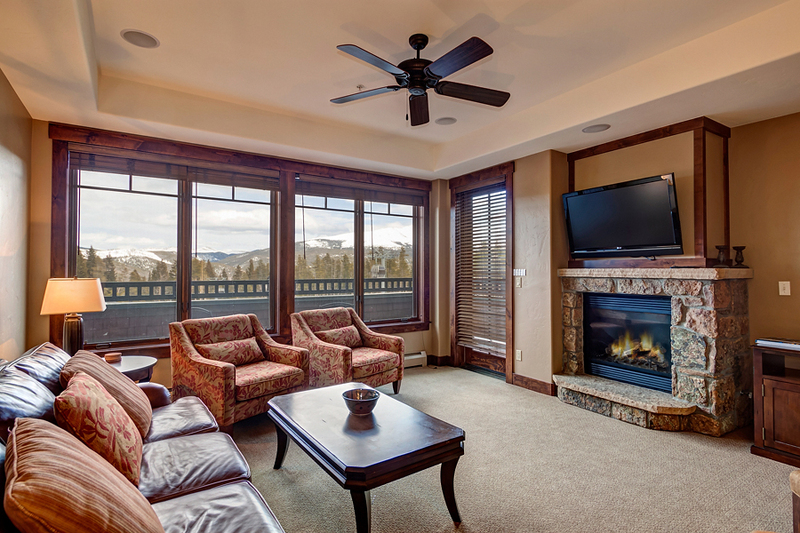 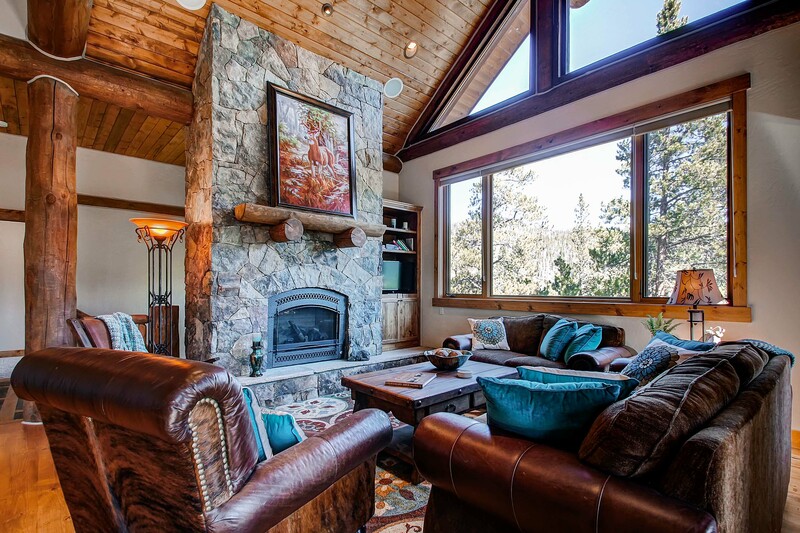 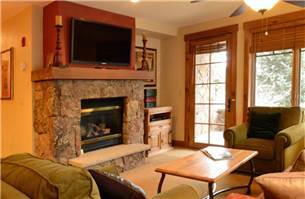 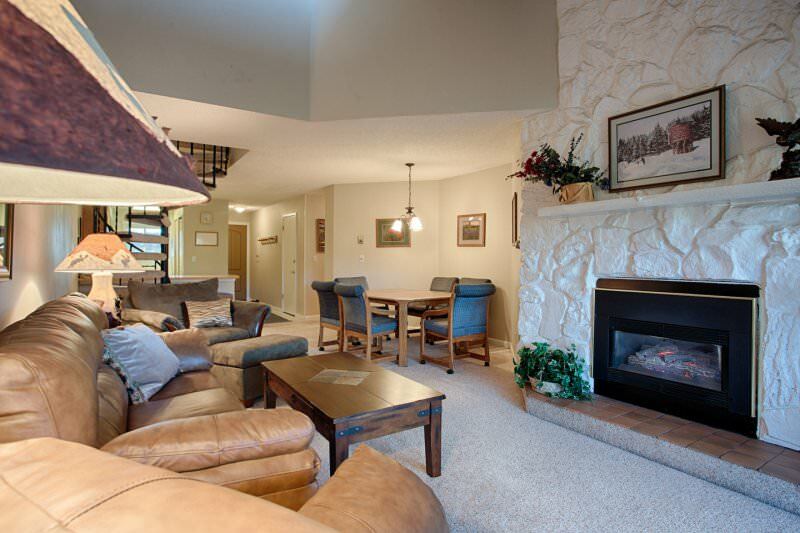 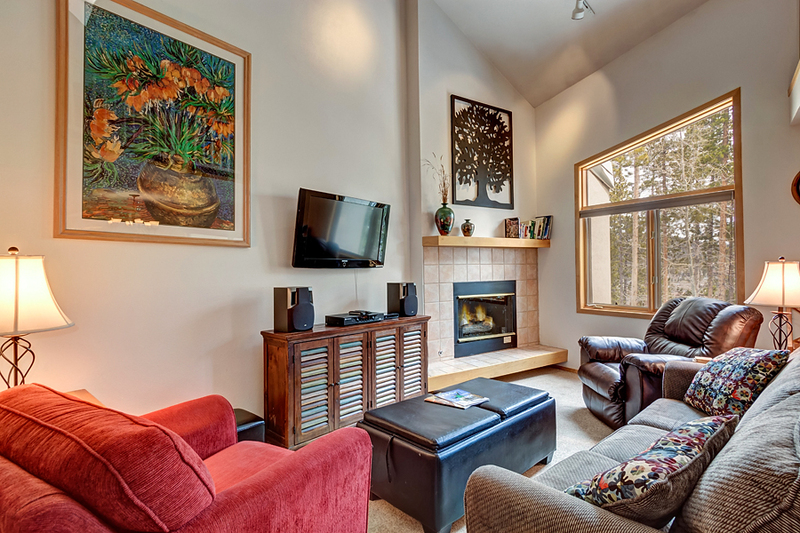 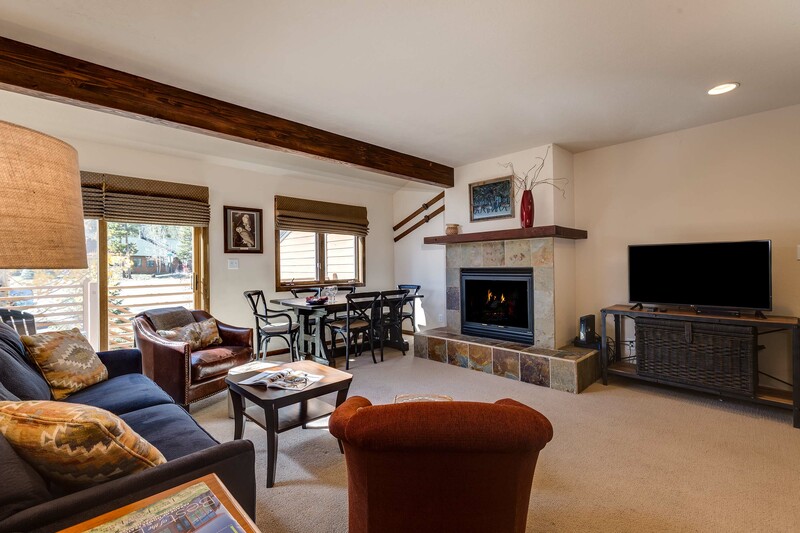 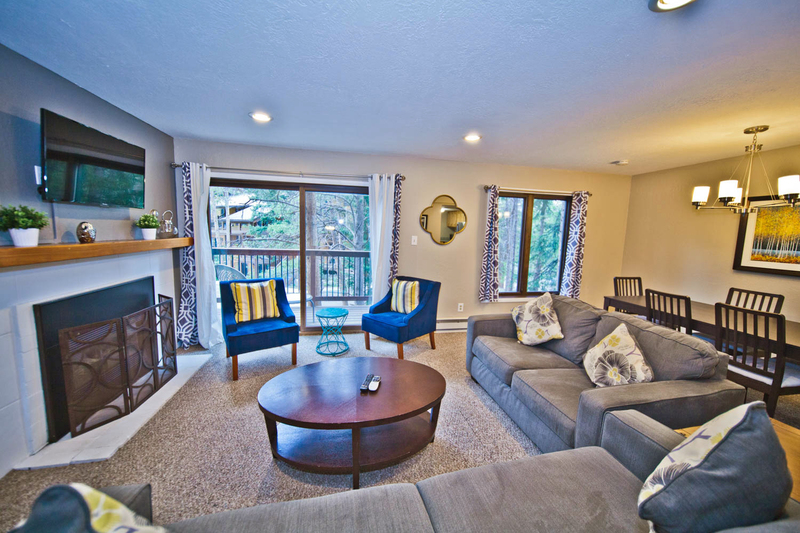 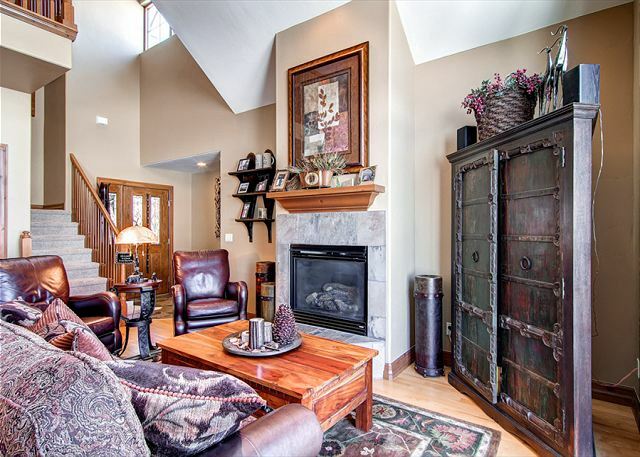 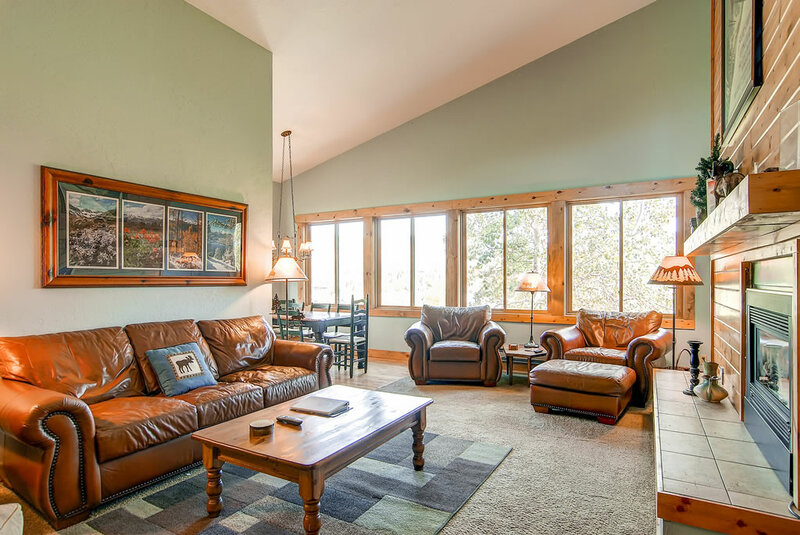 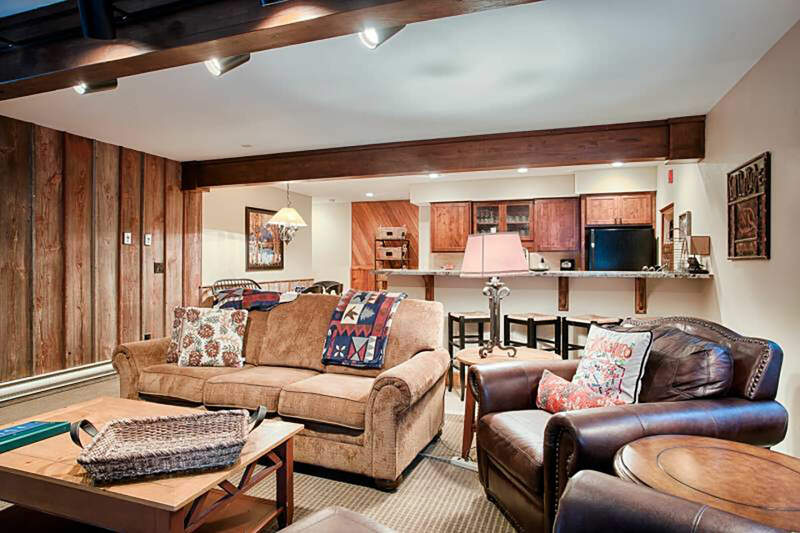 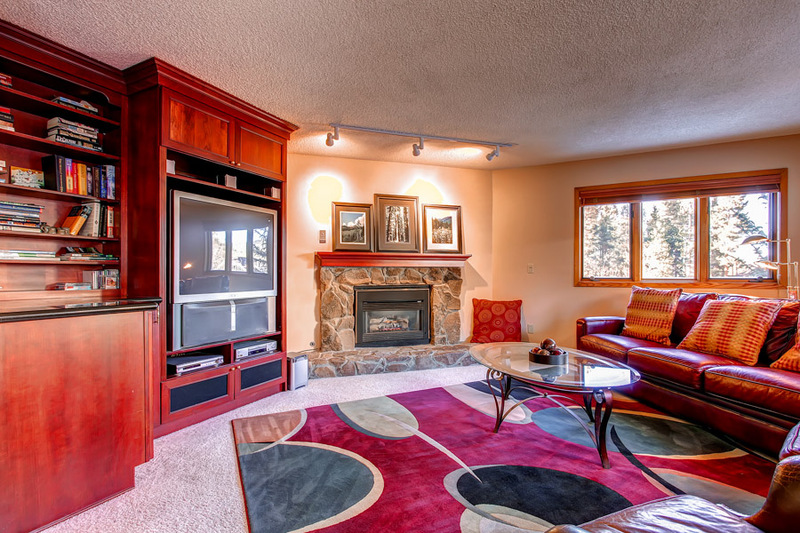 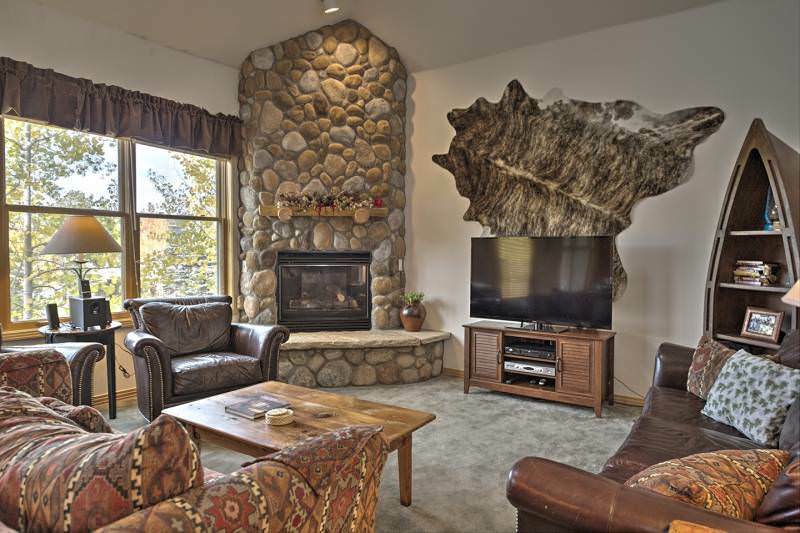 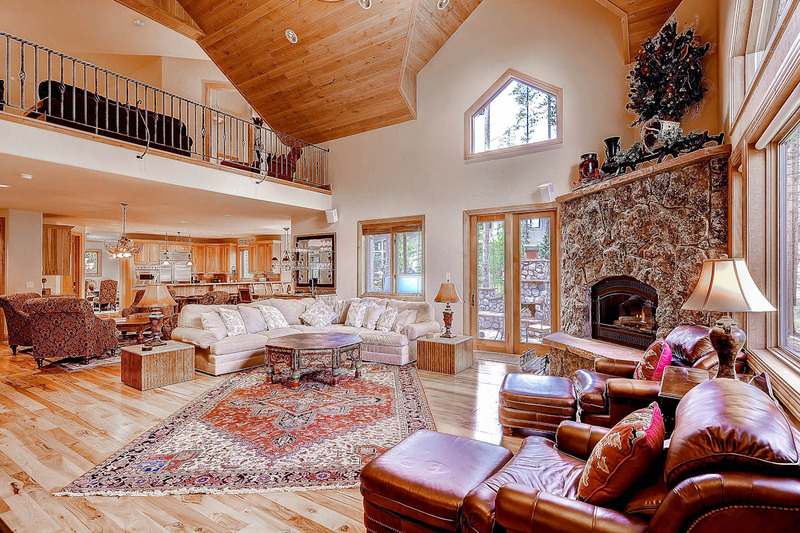 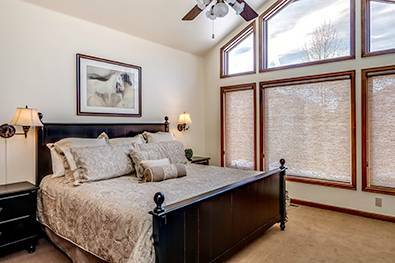 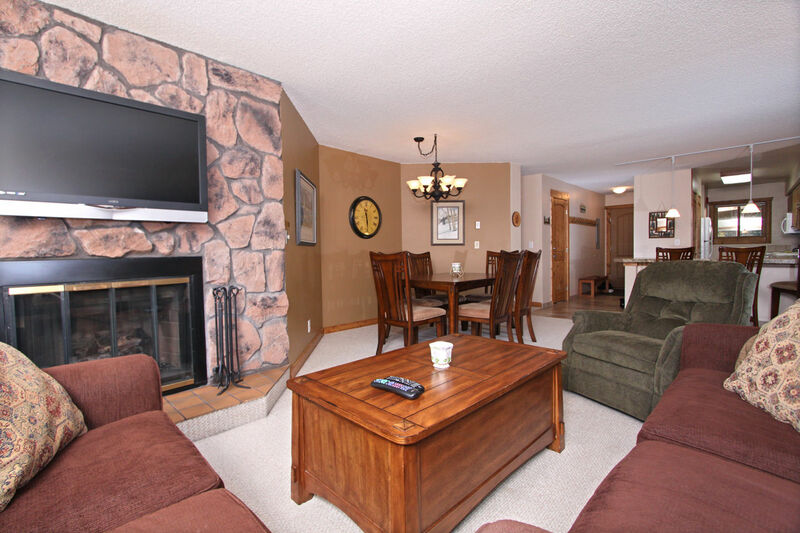 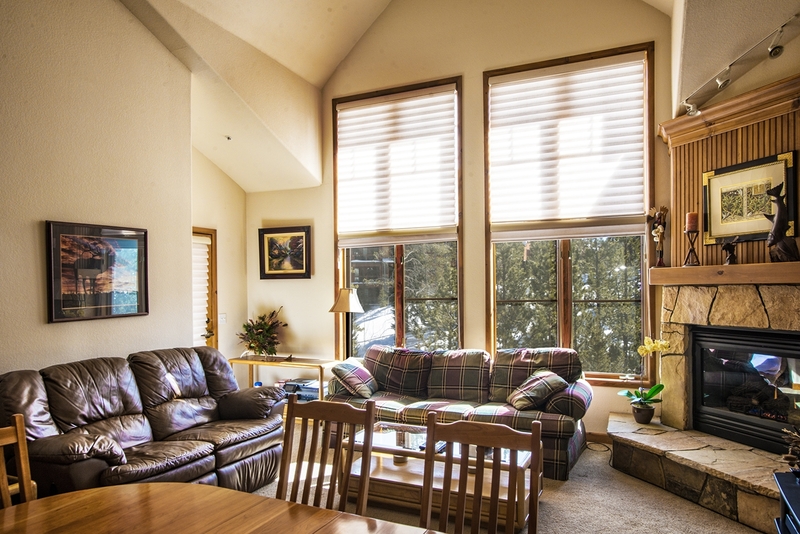 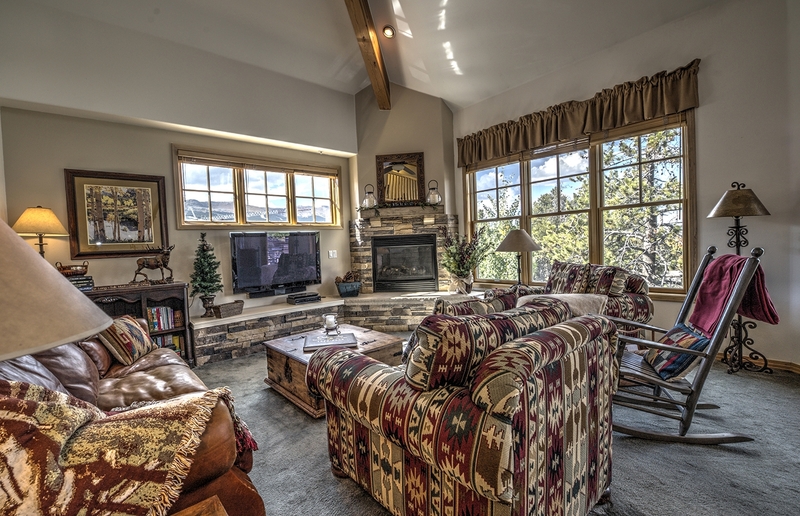 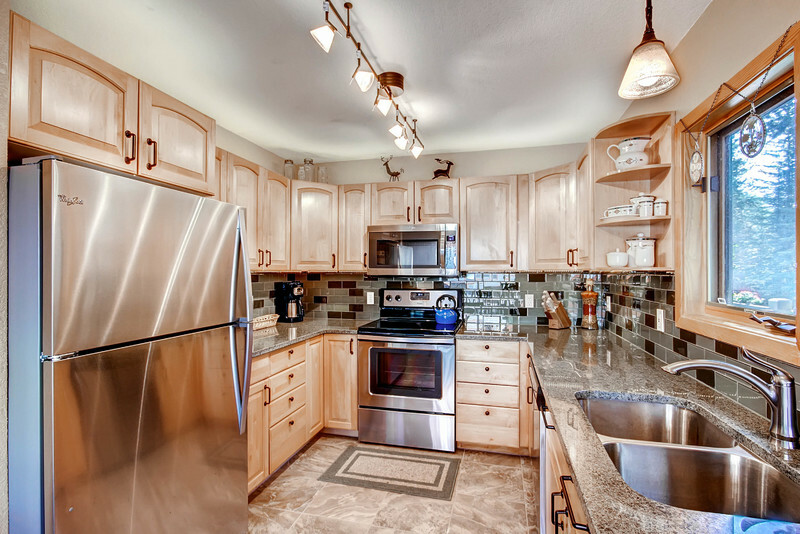 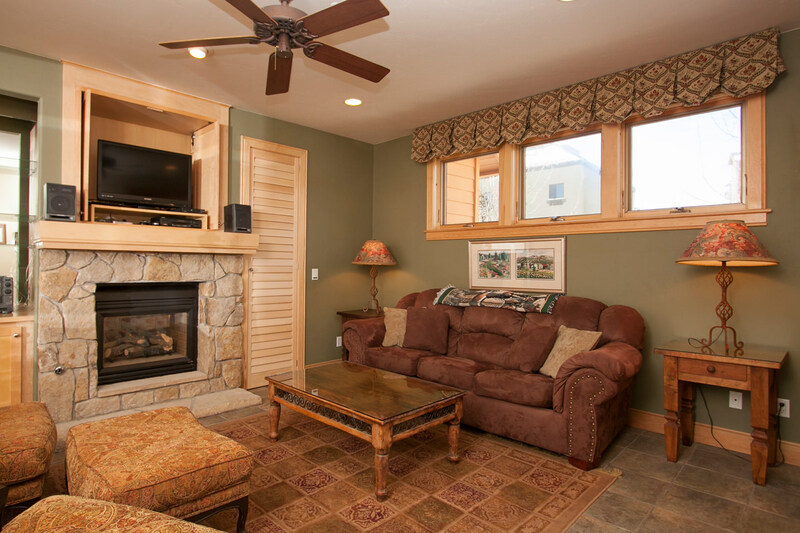 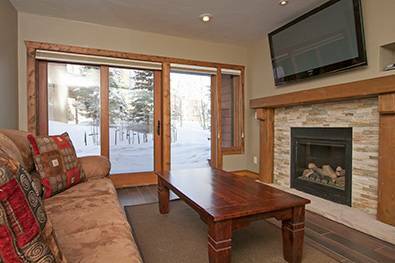 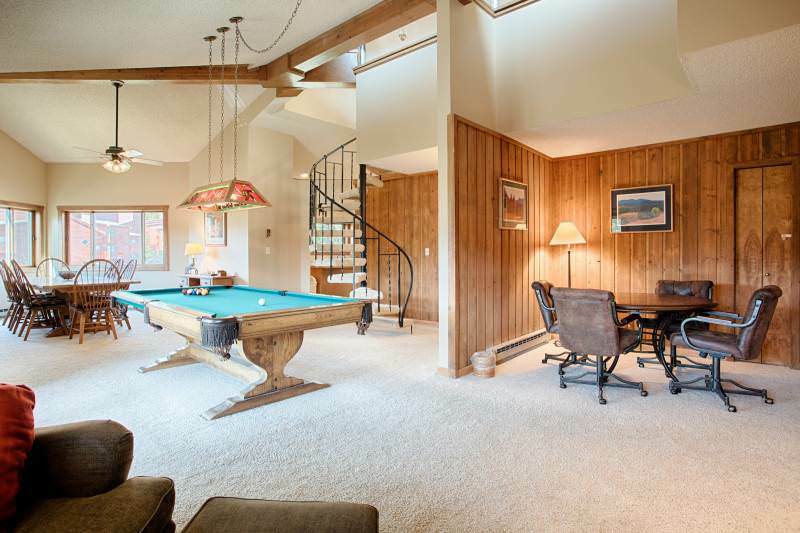 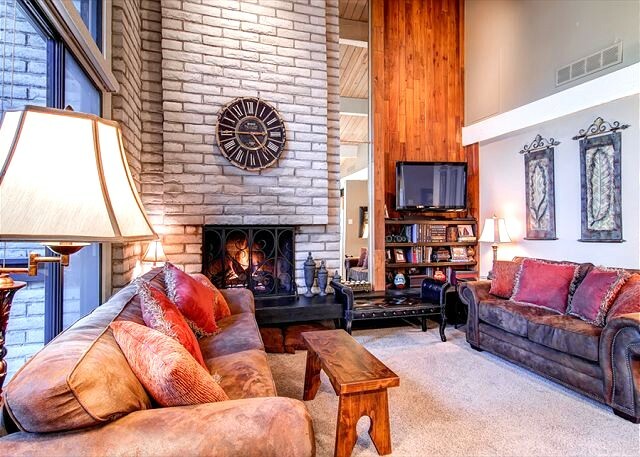 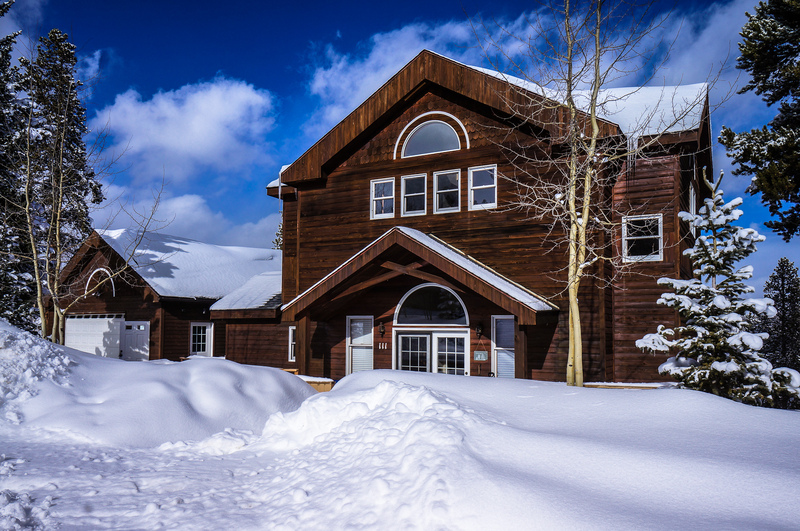 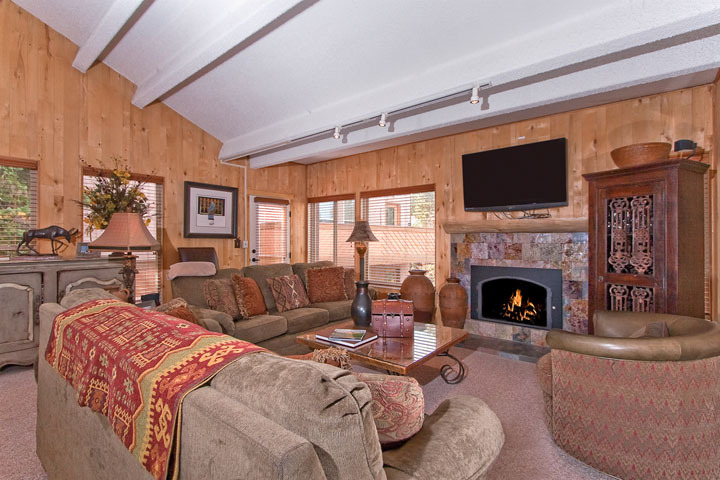 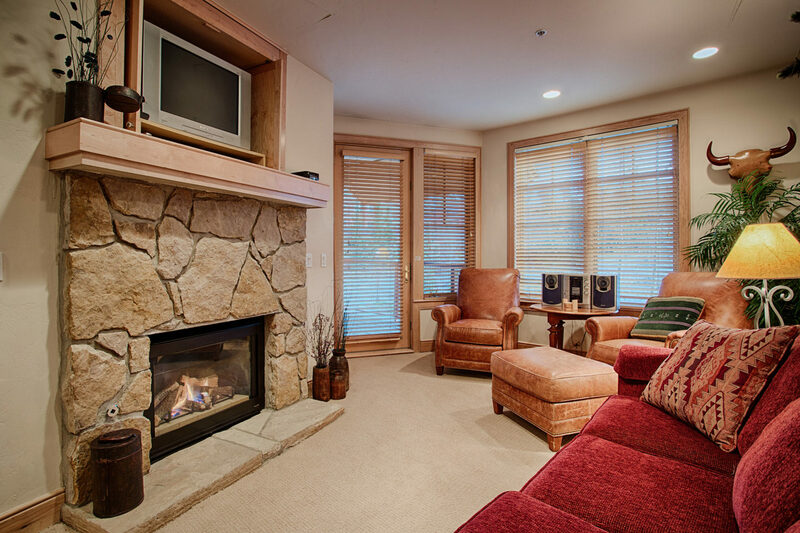 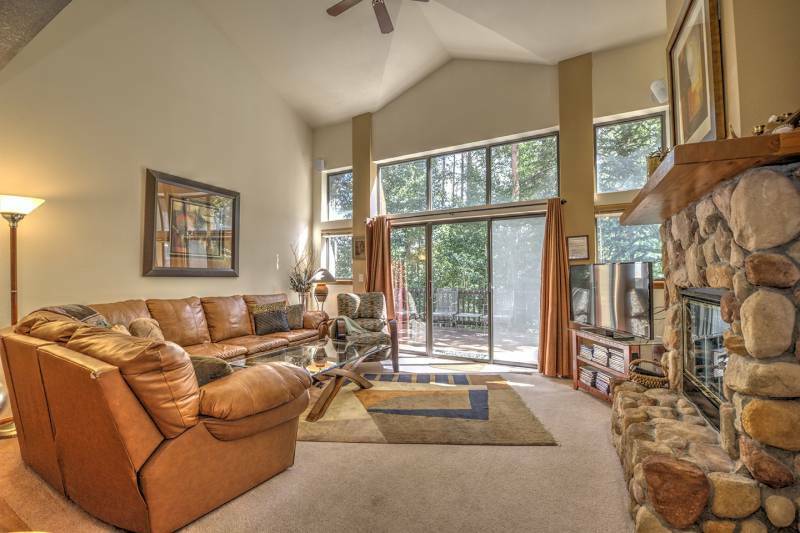 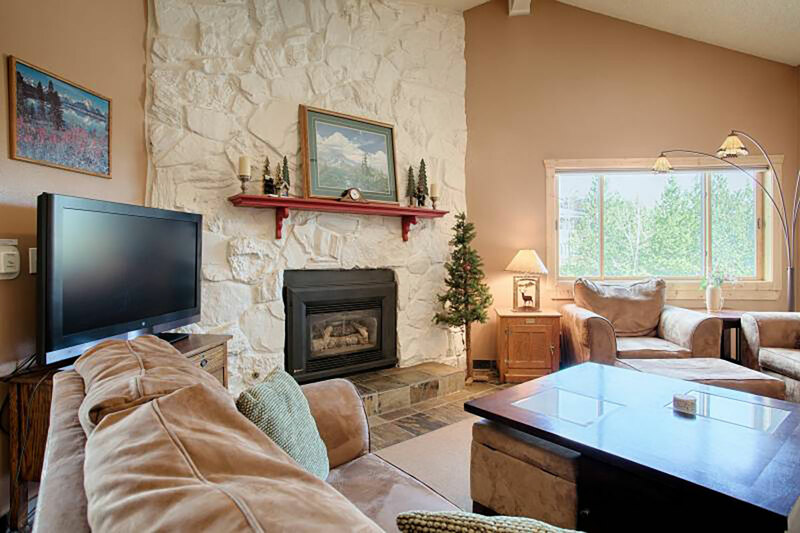 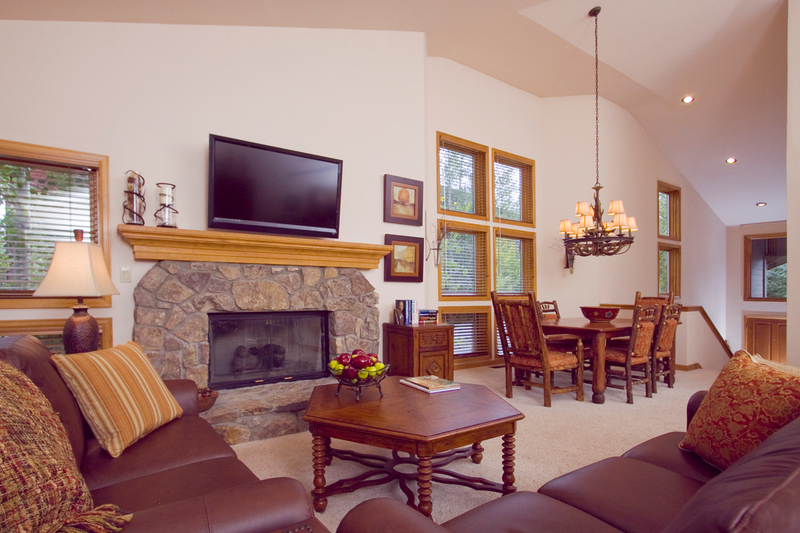 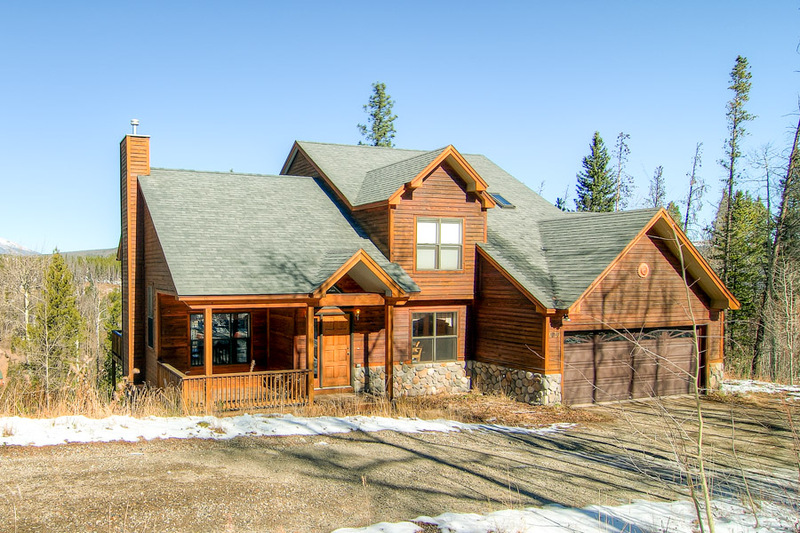 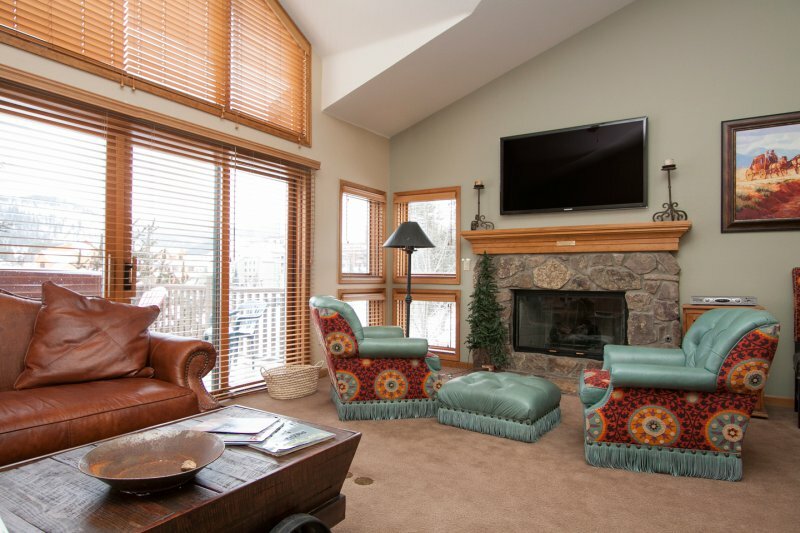 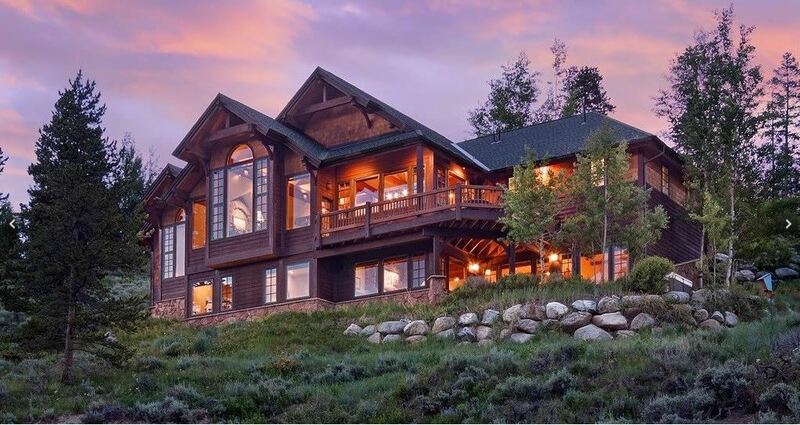 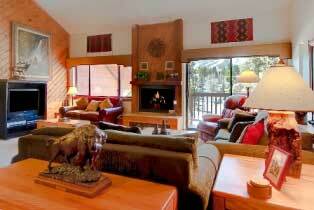 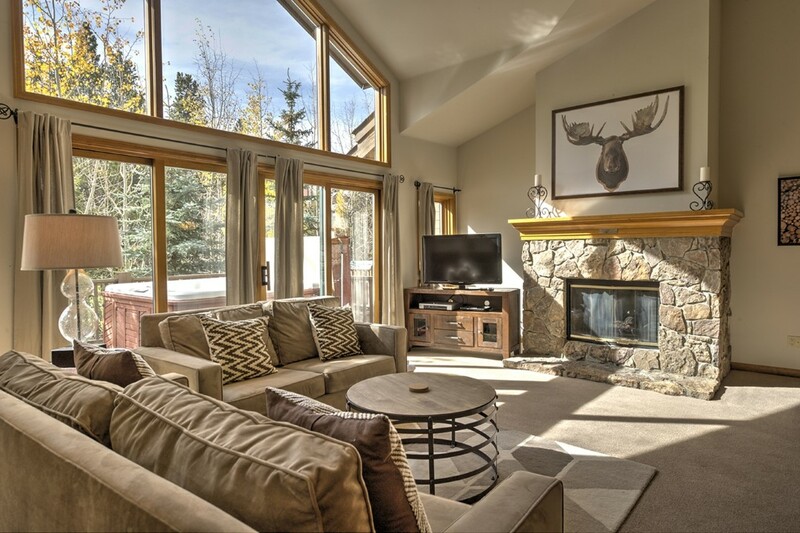 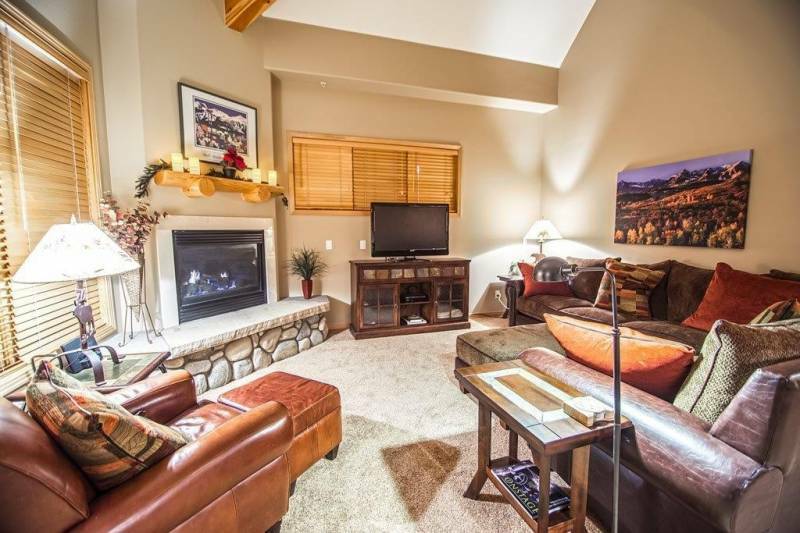 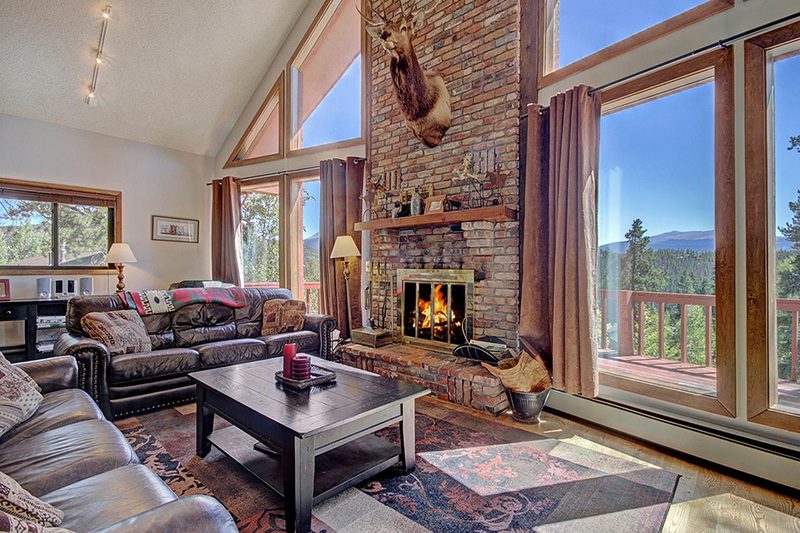 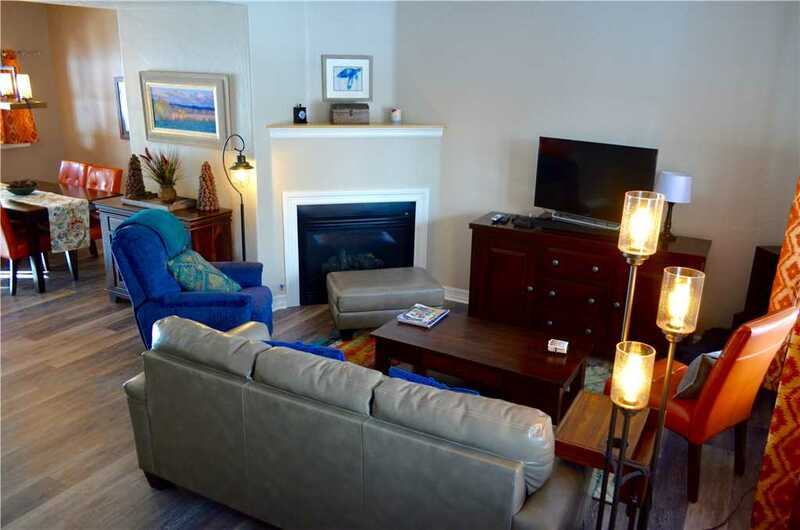 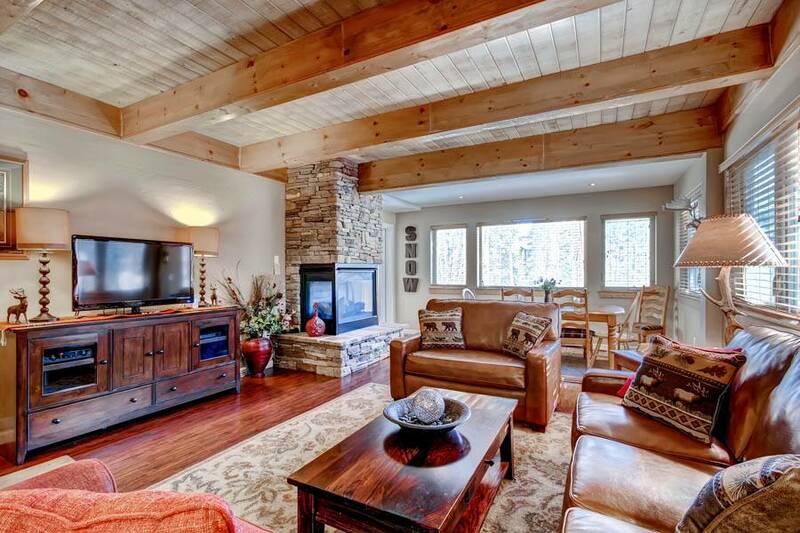 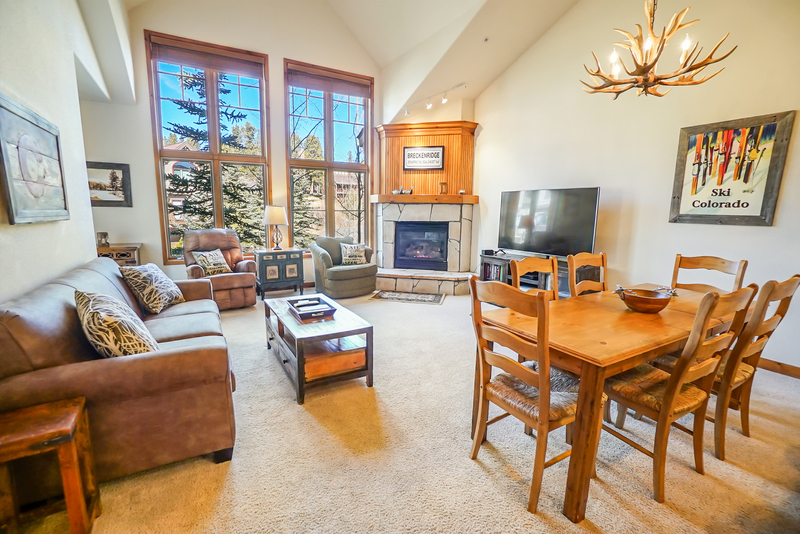 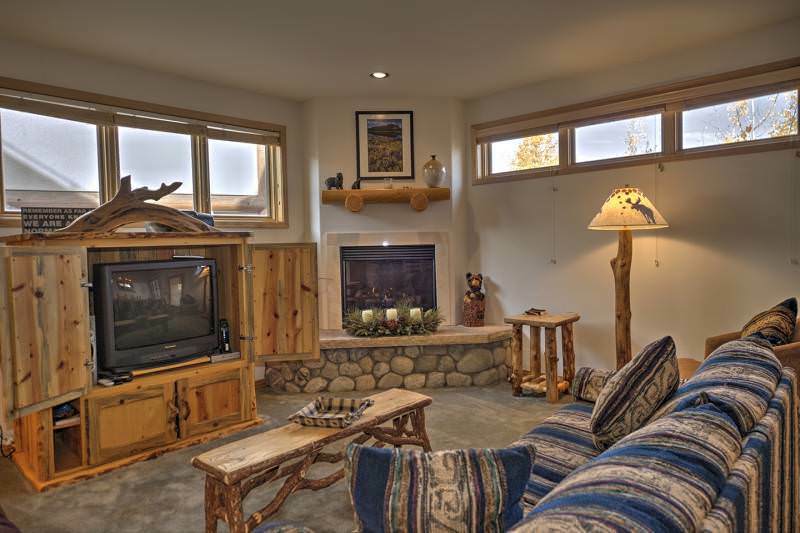 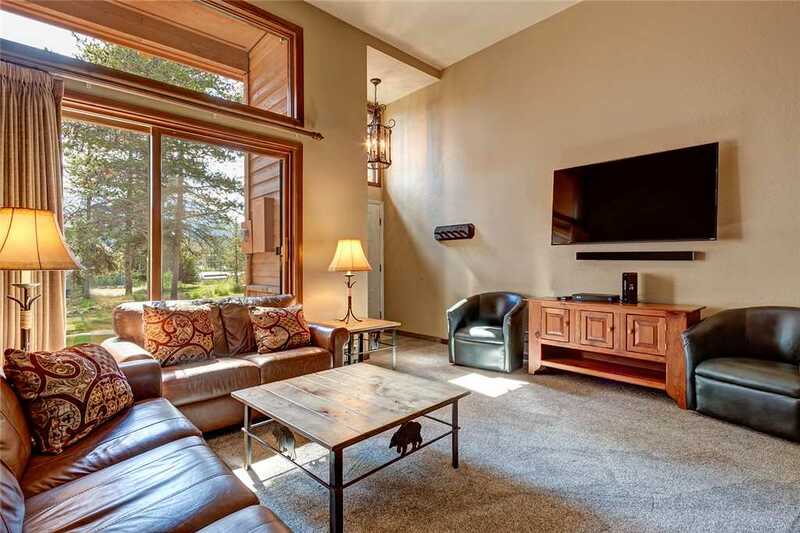 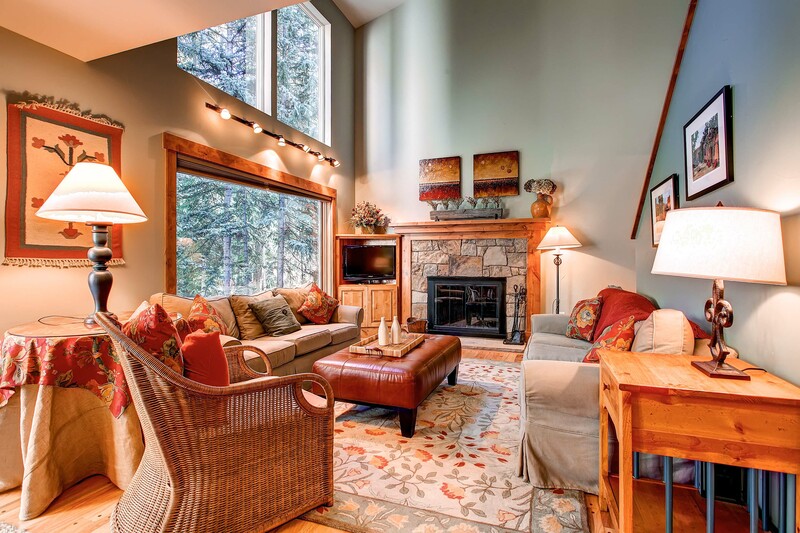 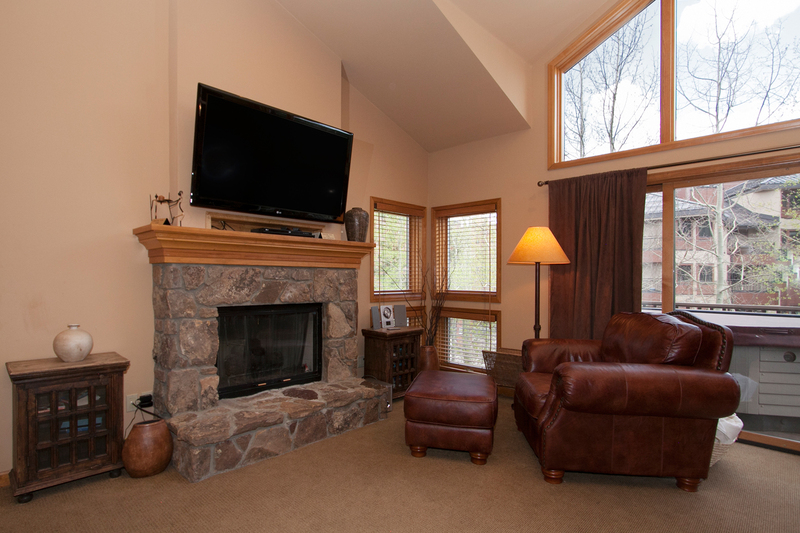 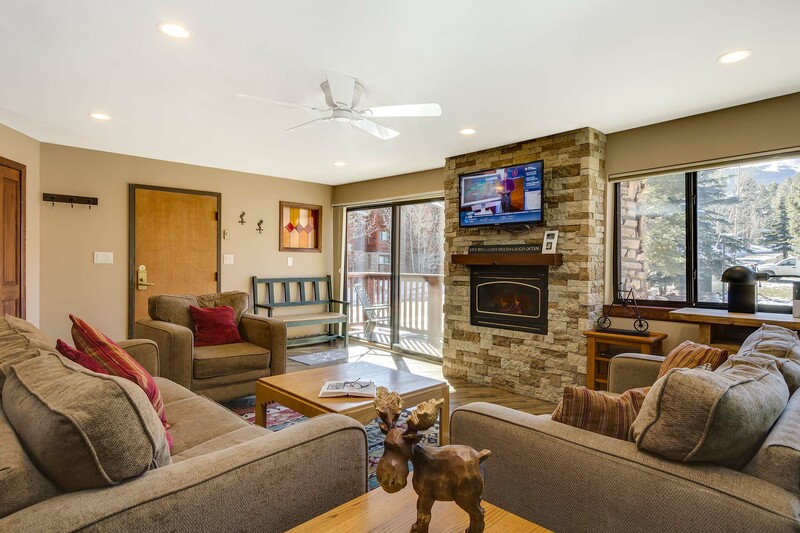 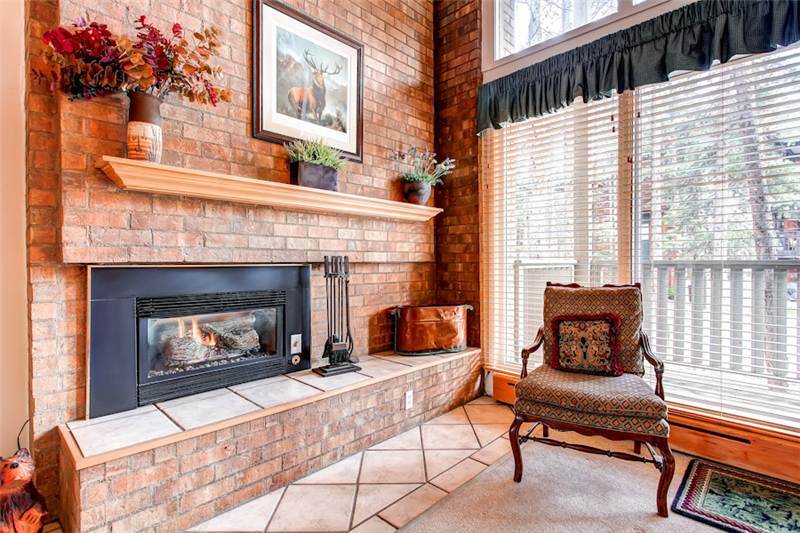 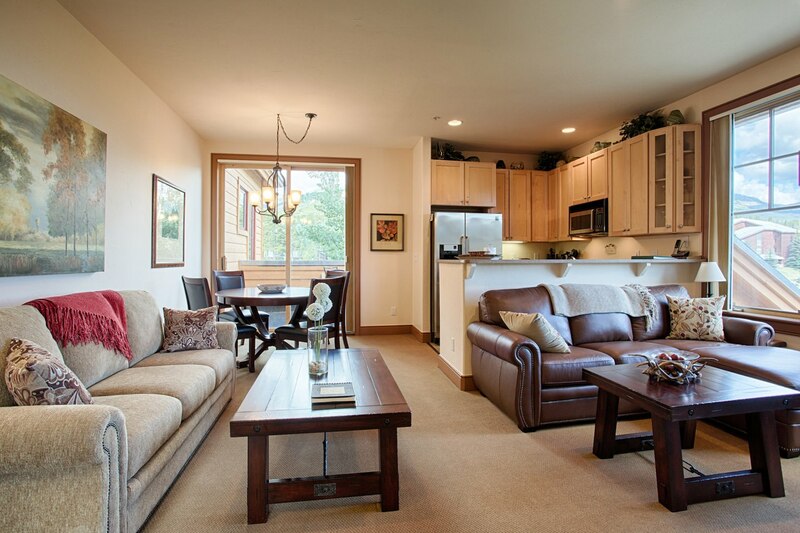 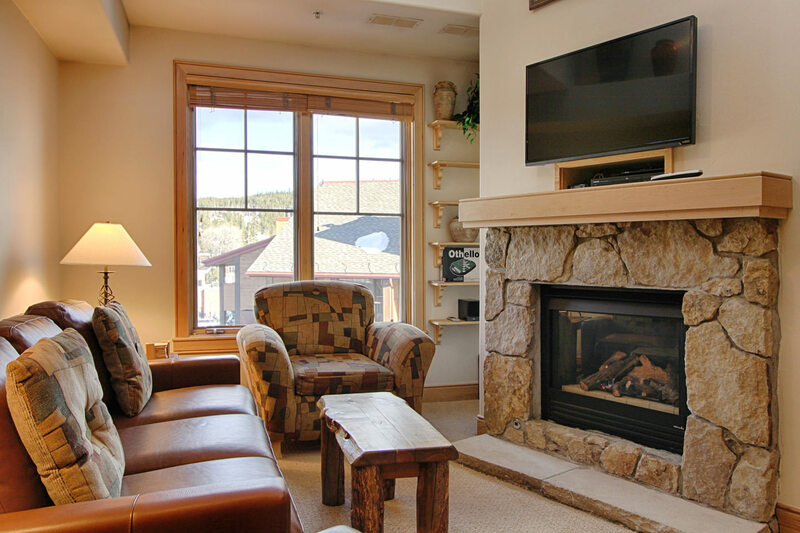 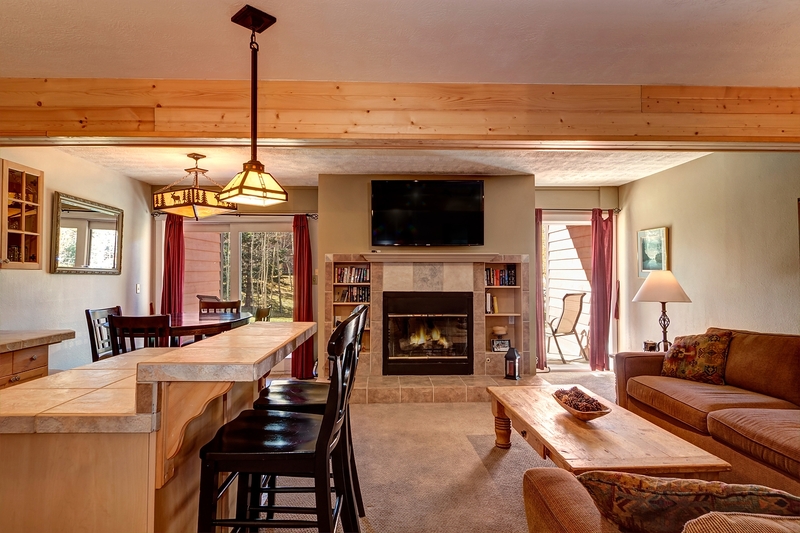 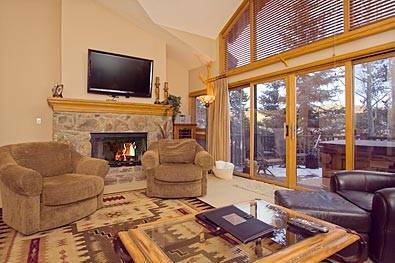 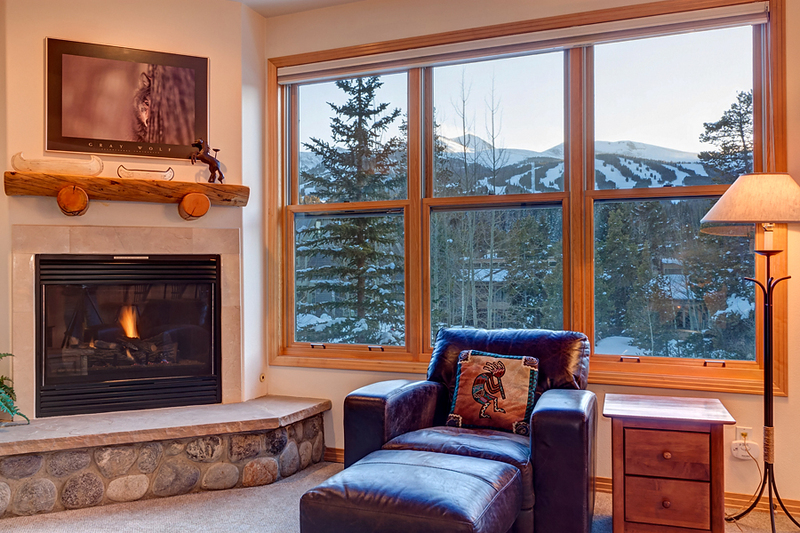 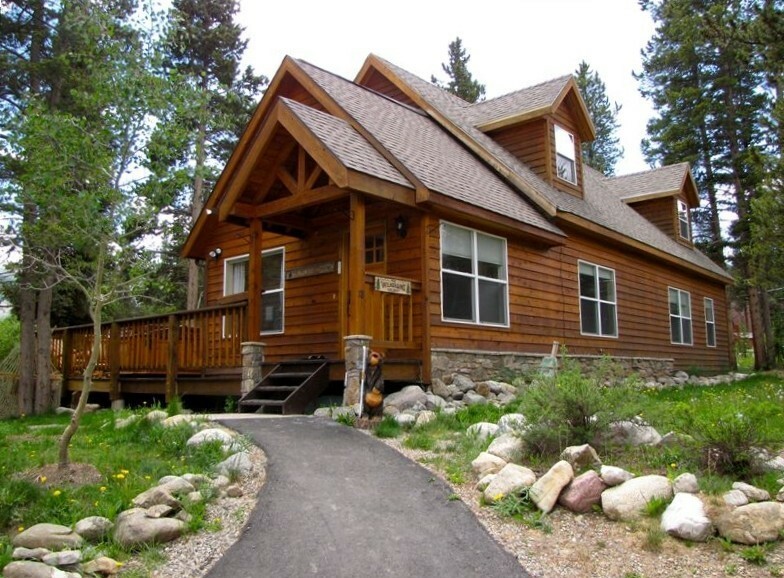 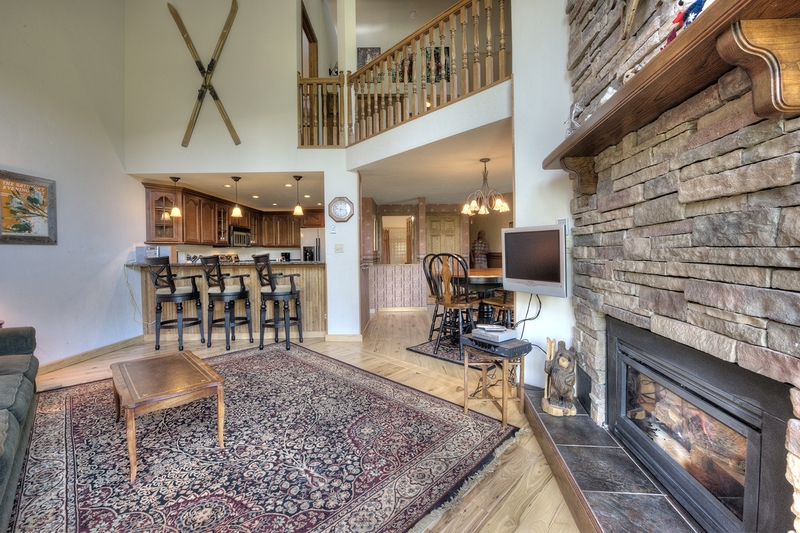 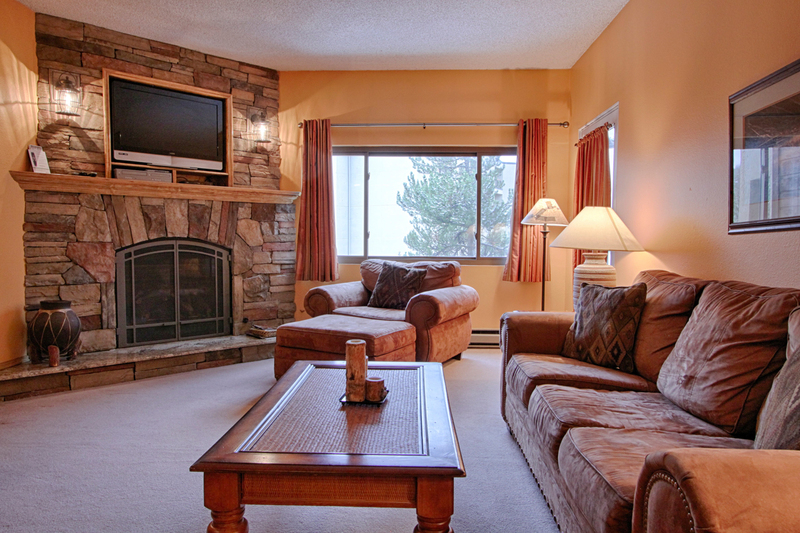 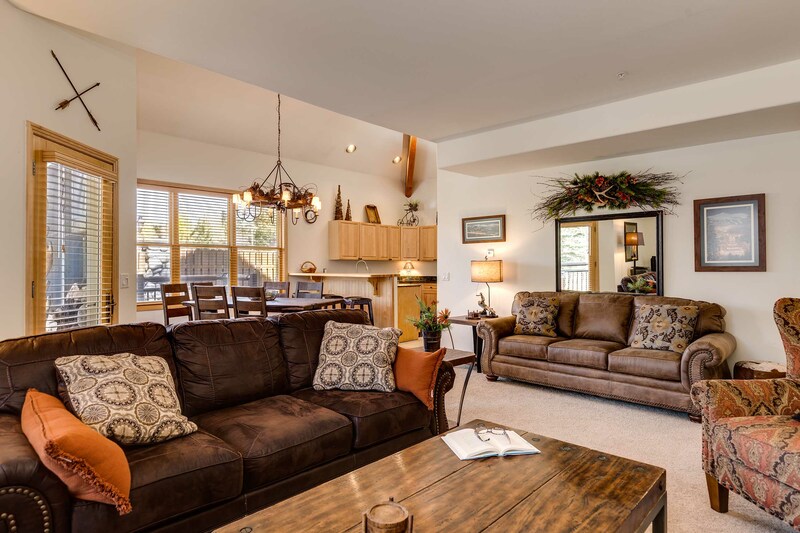 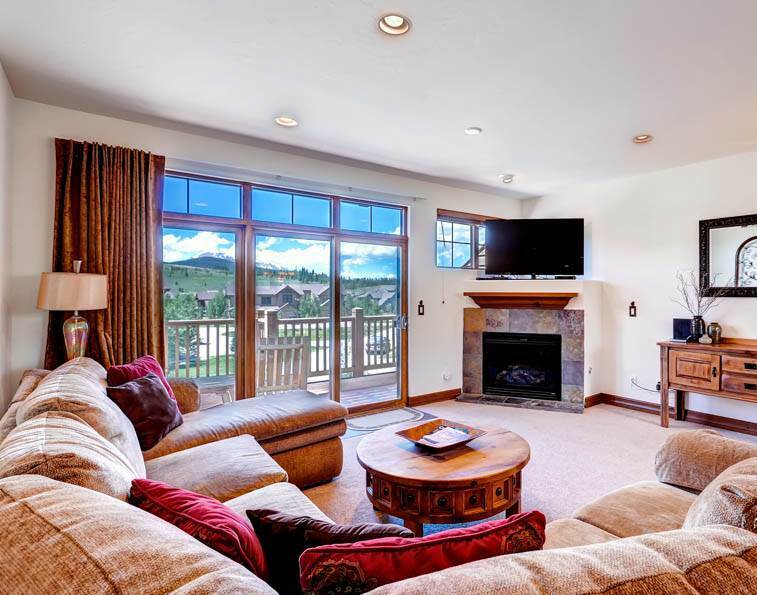 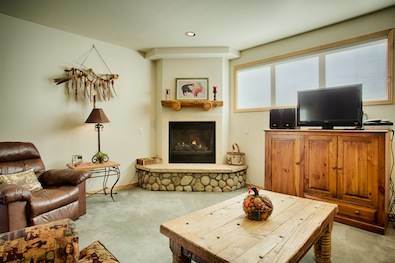 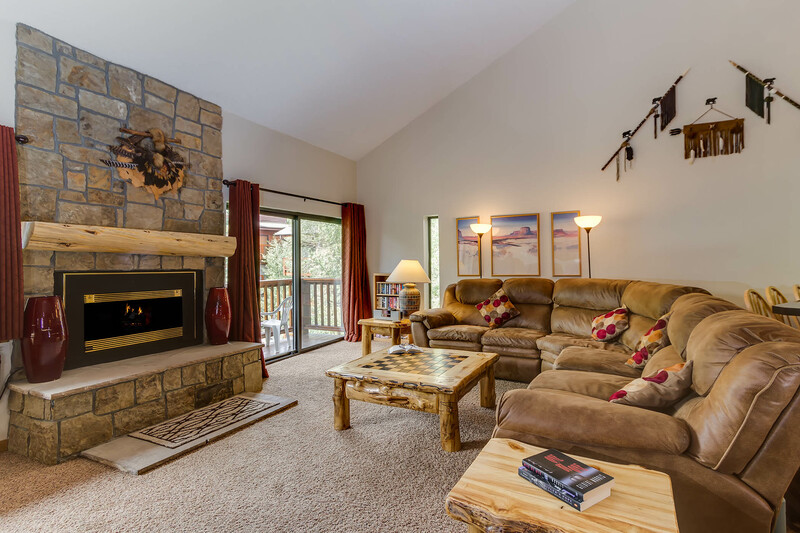 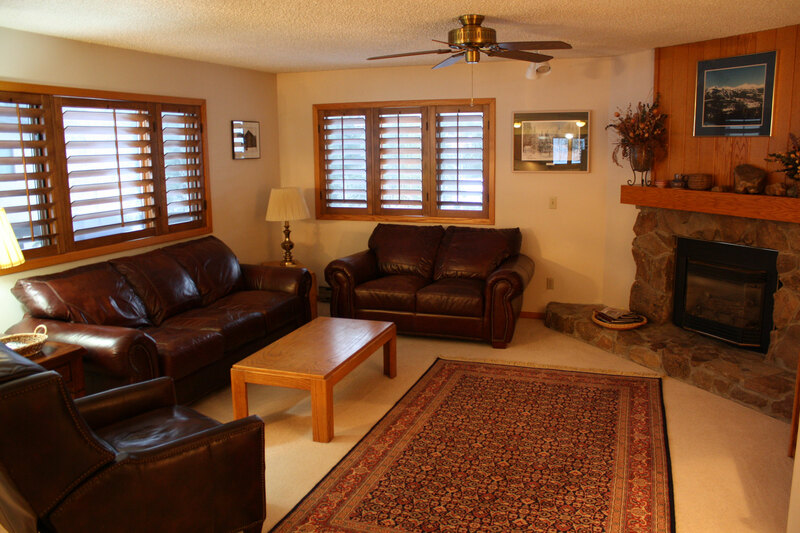 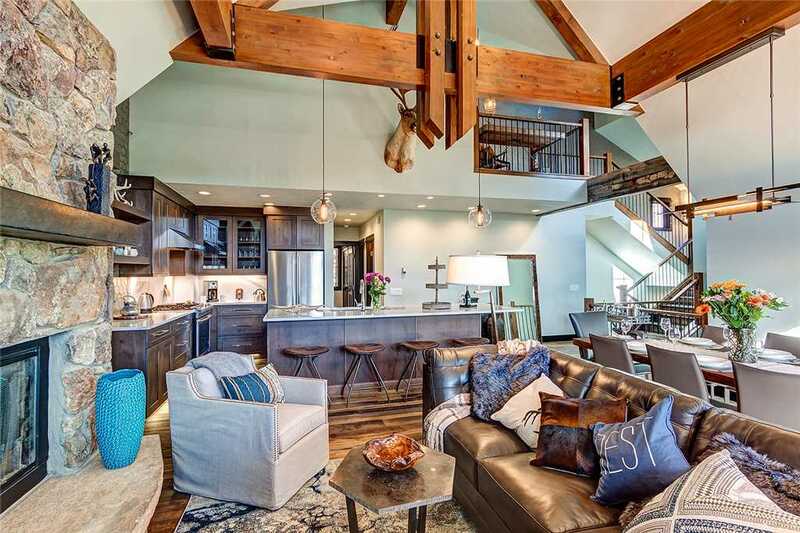 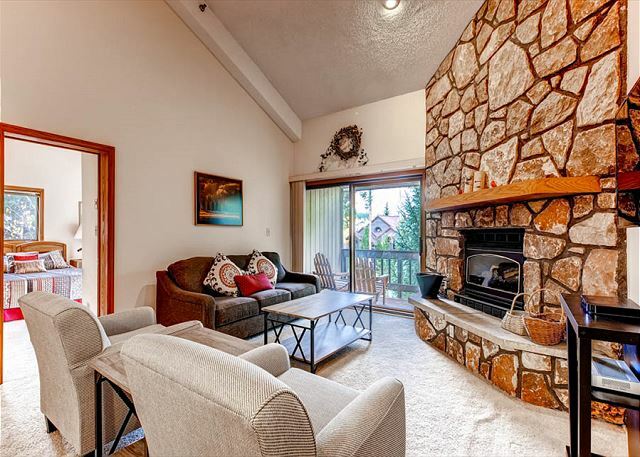 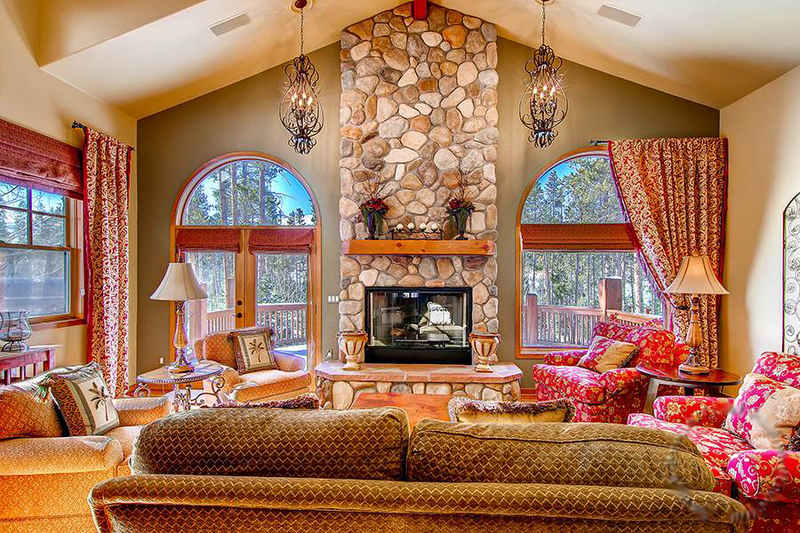 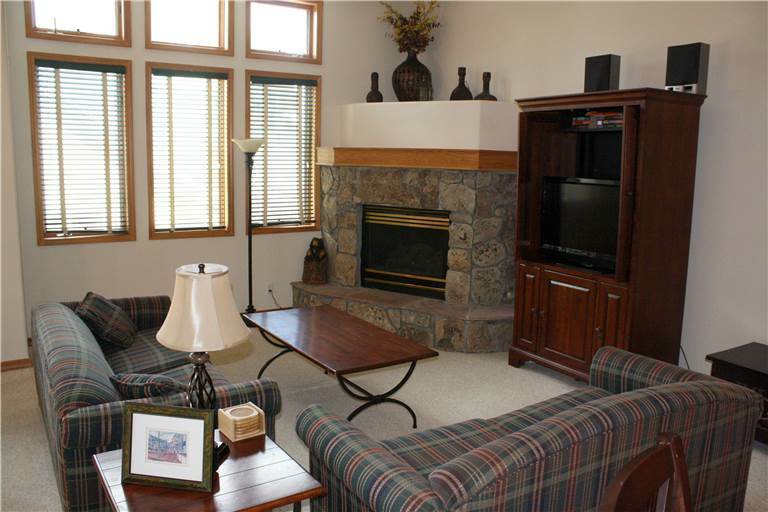 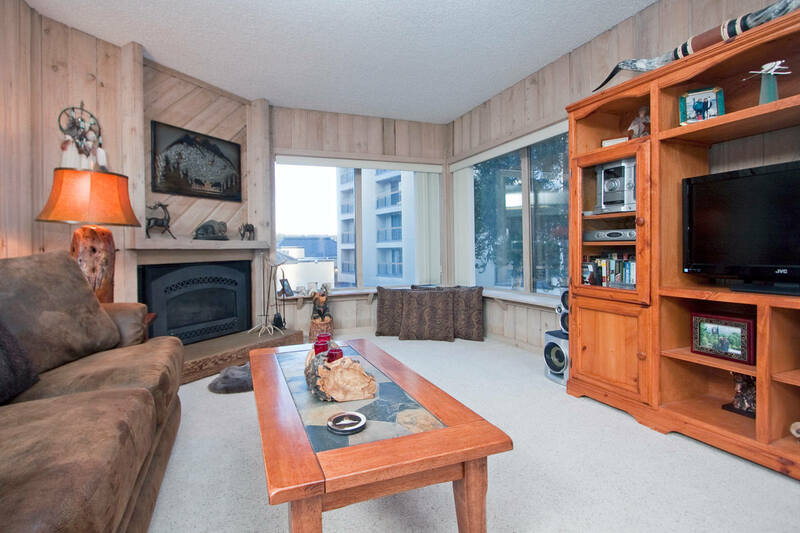 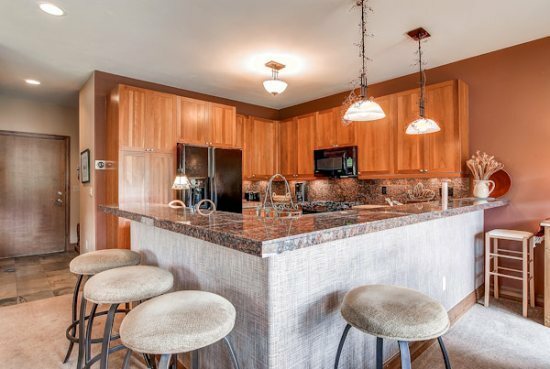 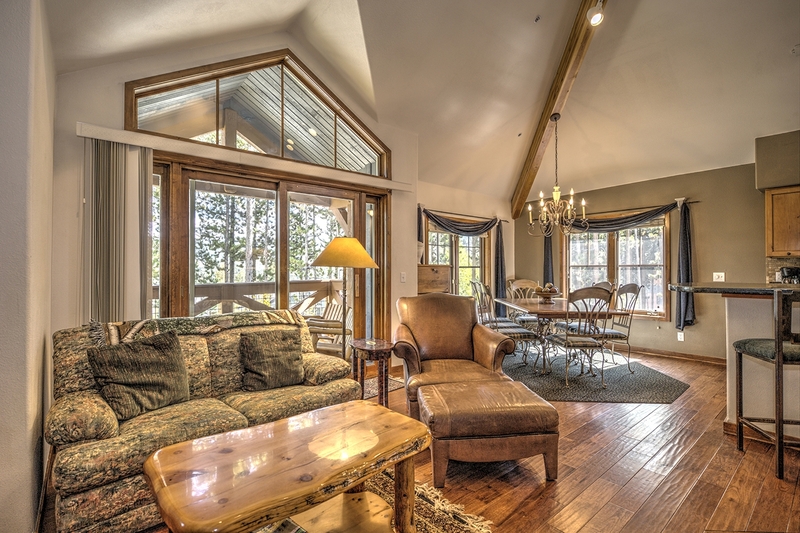 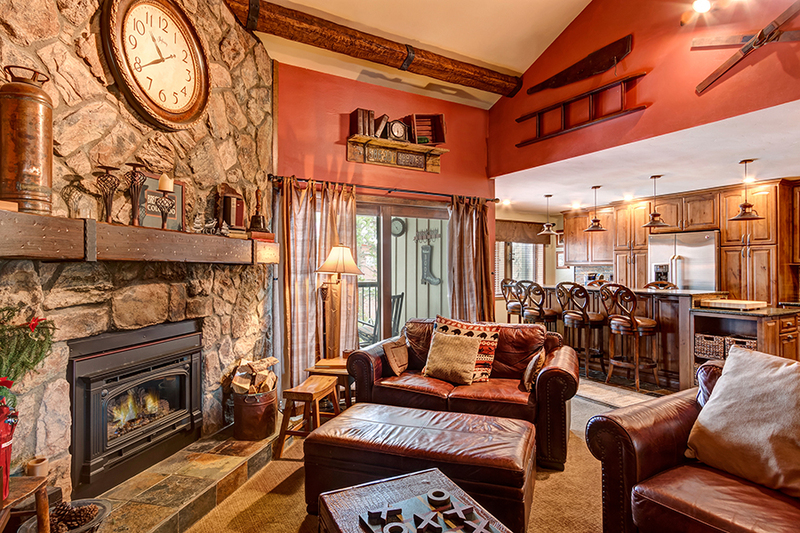 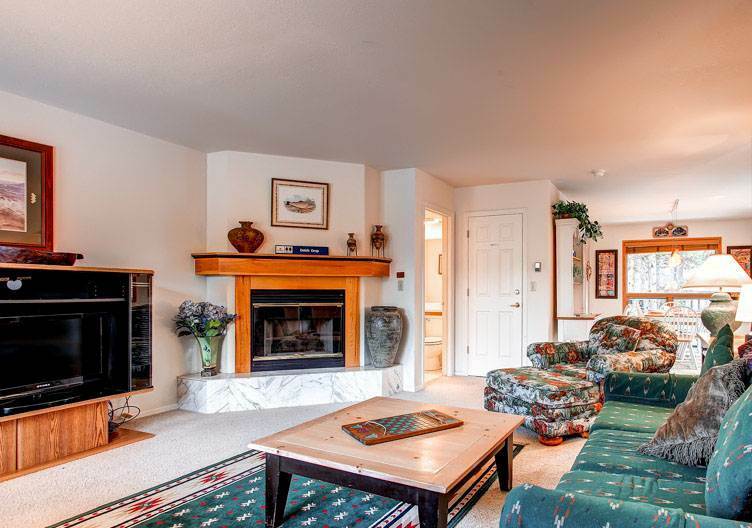 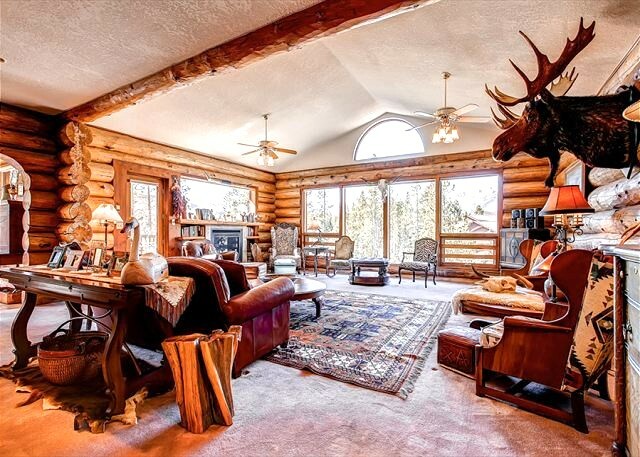 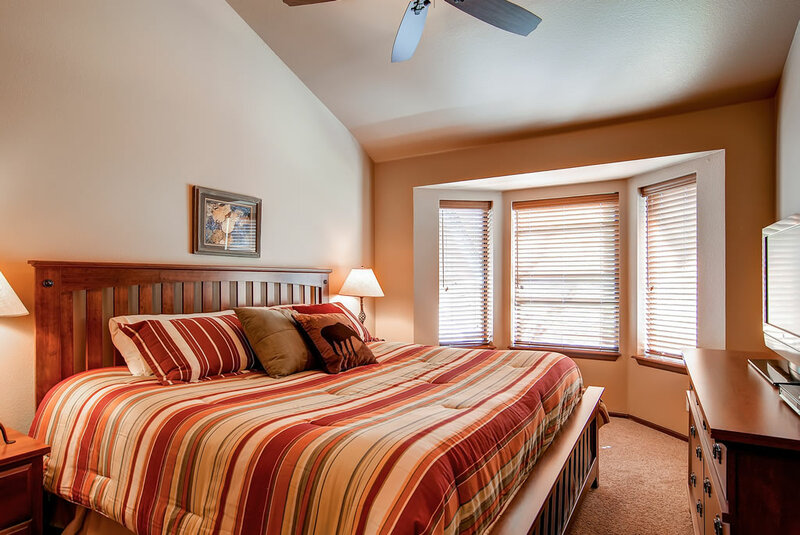 It features a gas fireplace, private balcony with gas BBQ grill, granite counters, stainless appliances, 2 modern TVs, wi-fi, parking, onsite laundry and access to the clubhouse with an outdoor heated pool and 2-indoor/2-outdoor hot tubs. 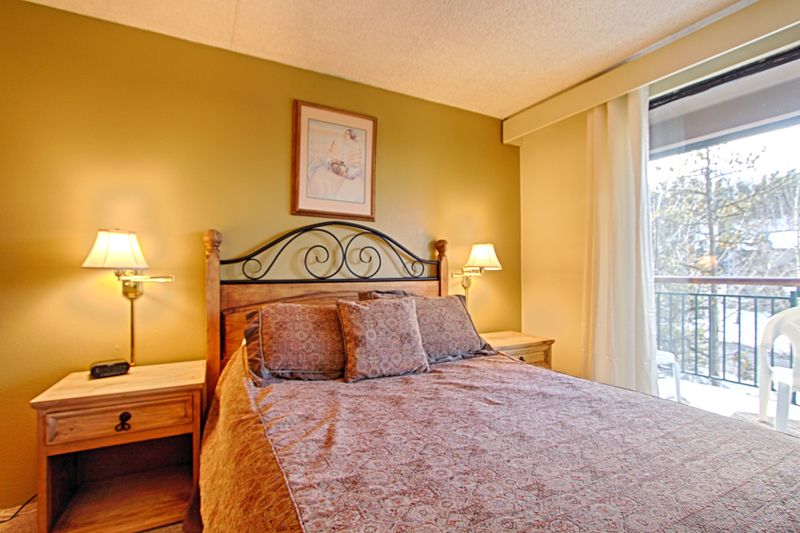 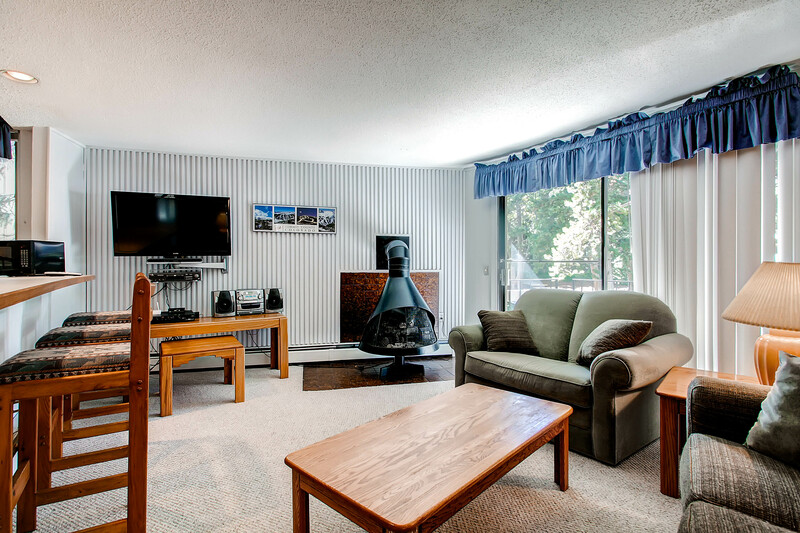 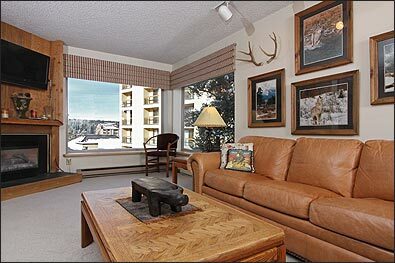 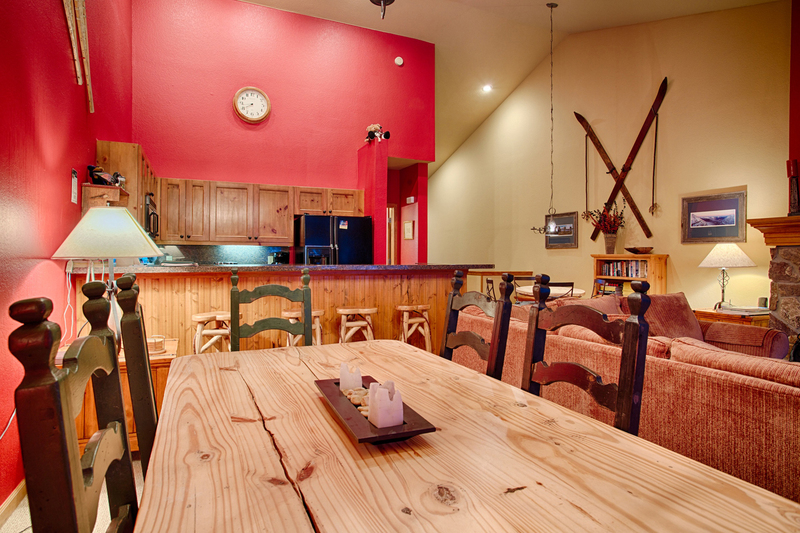 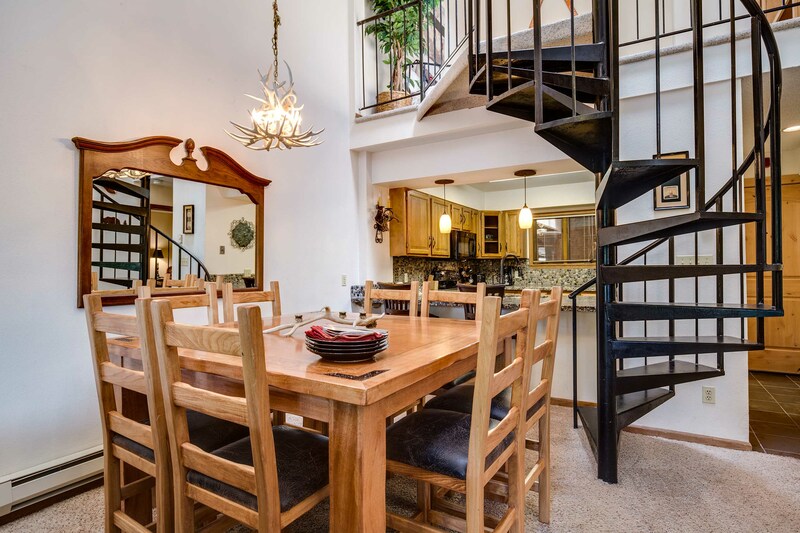 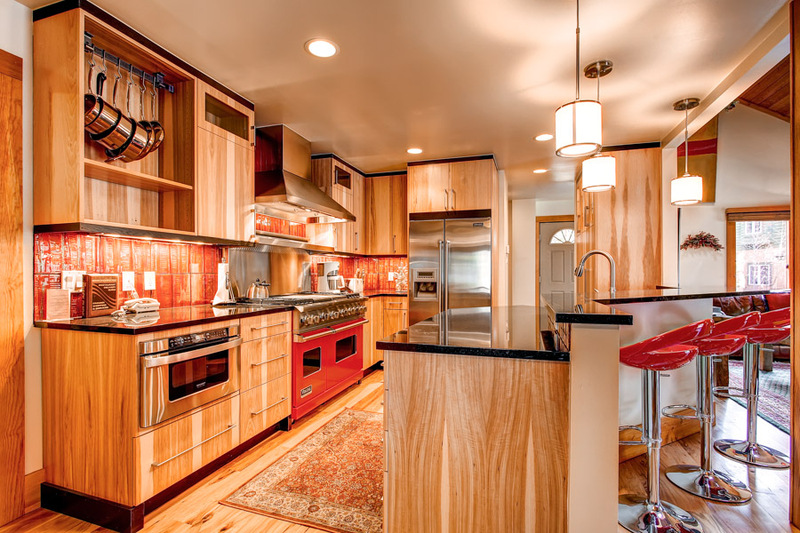 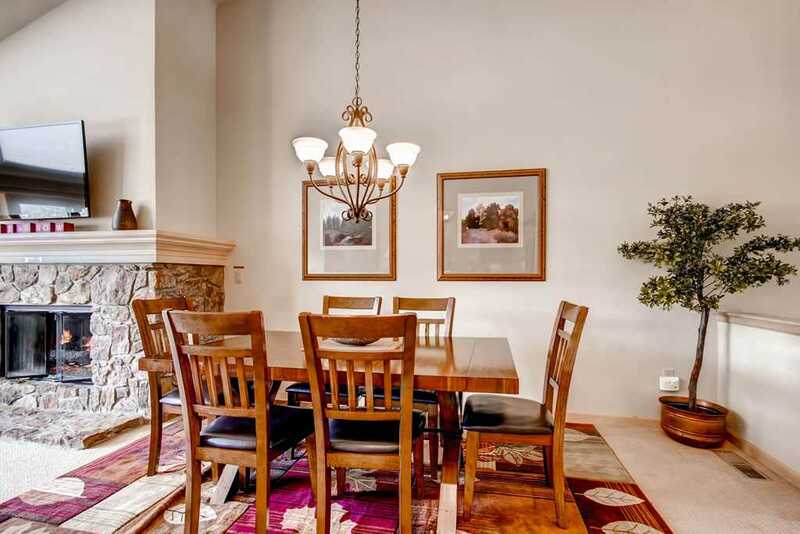 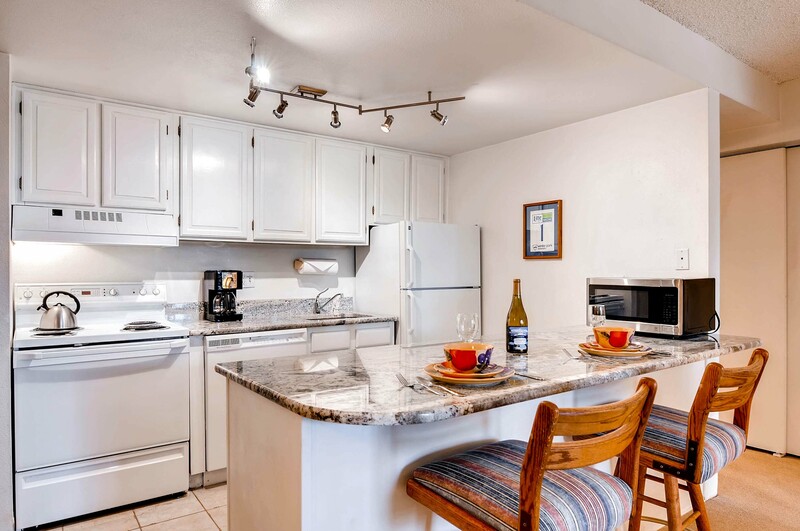 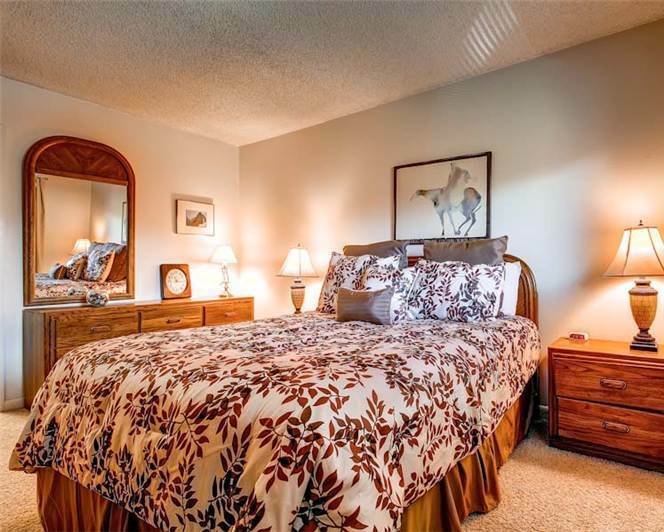 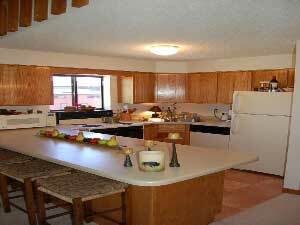 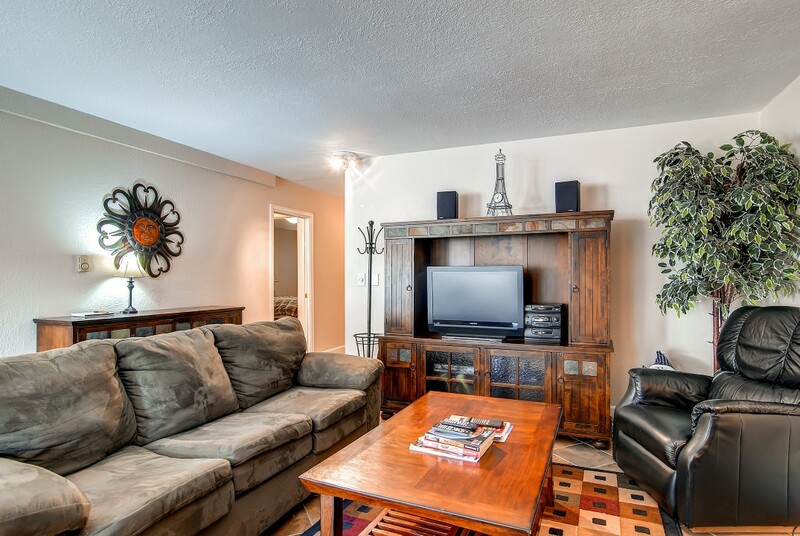 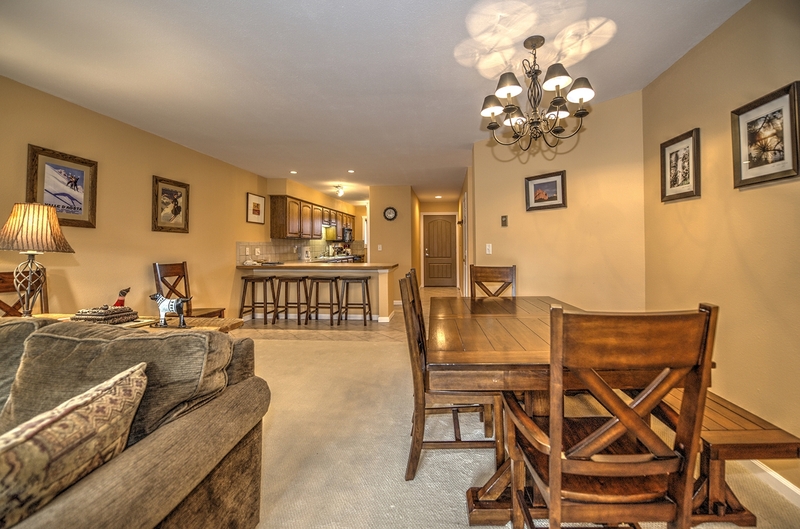 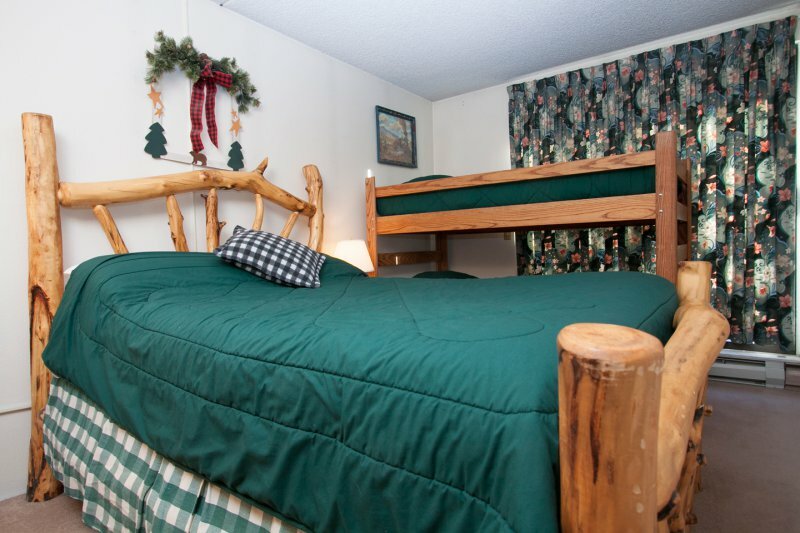 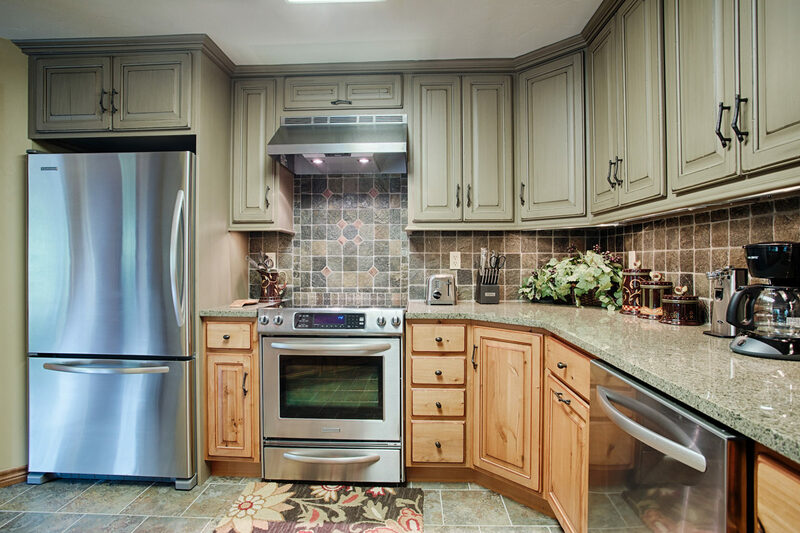 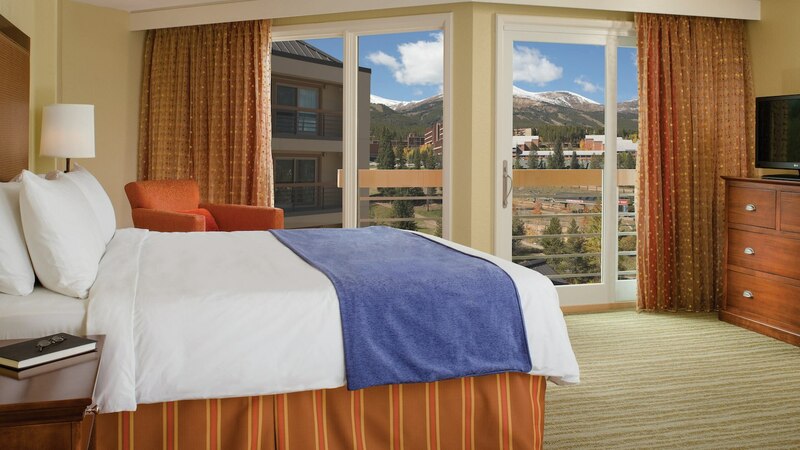 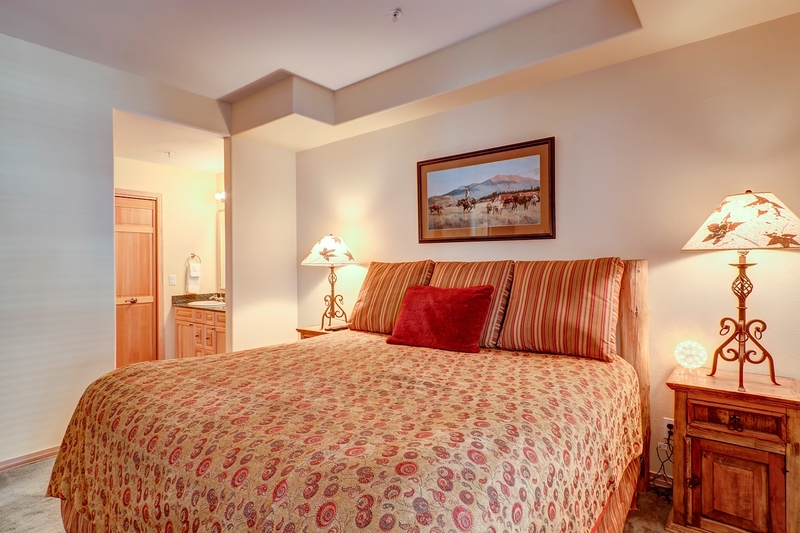 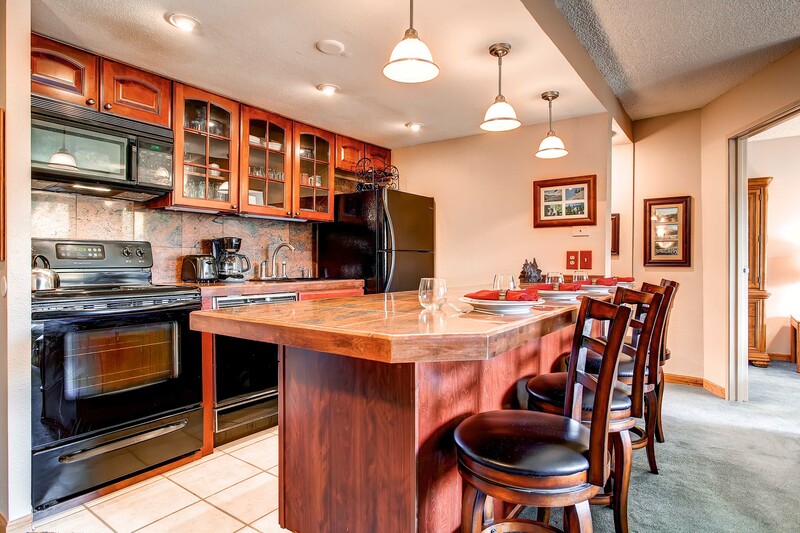 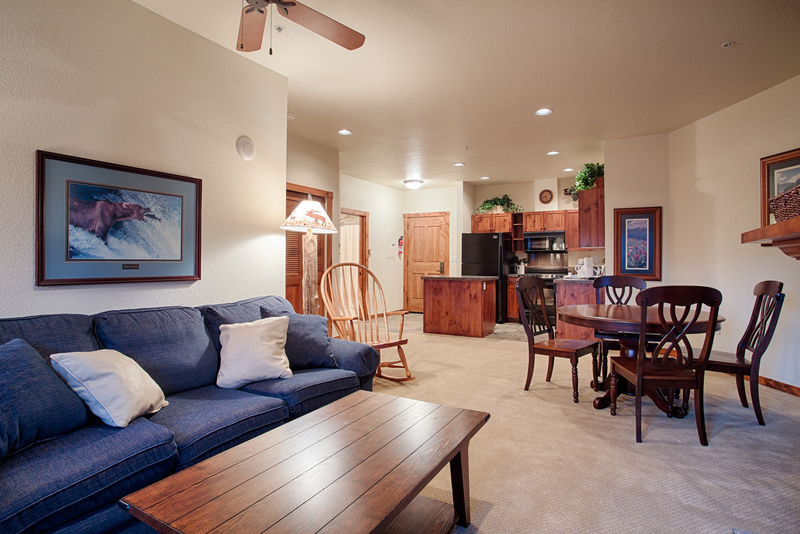 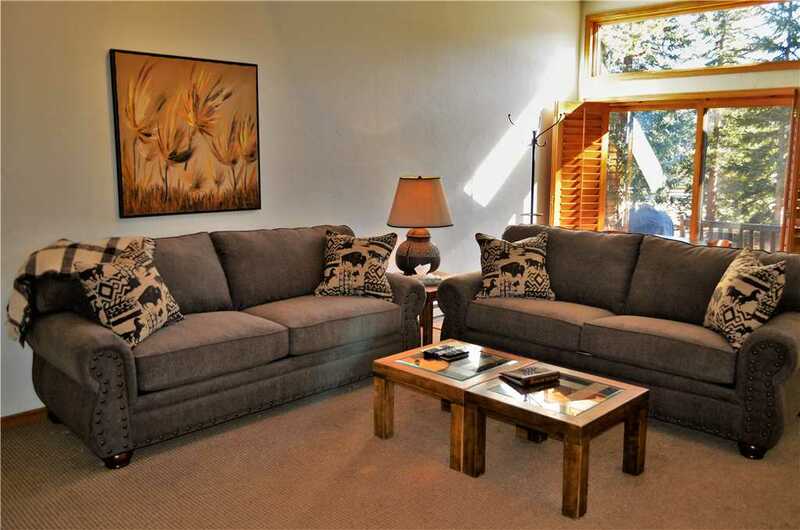 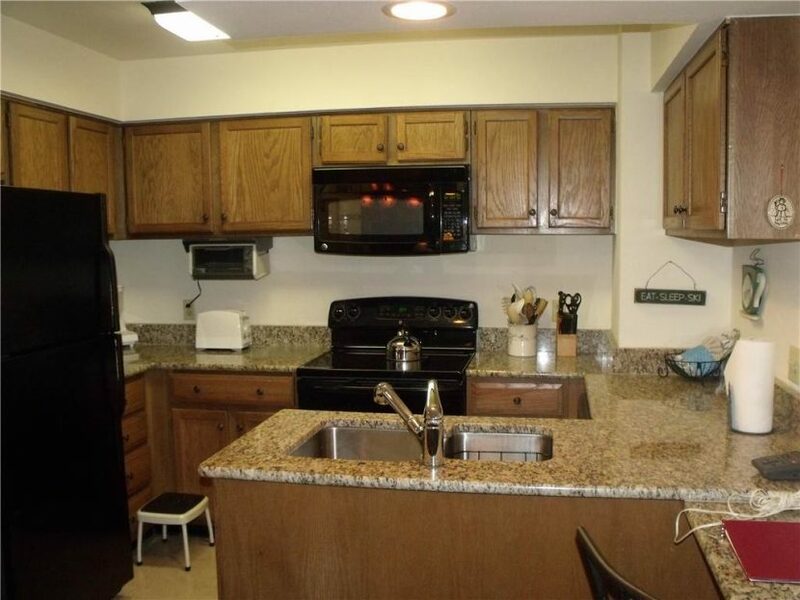 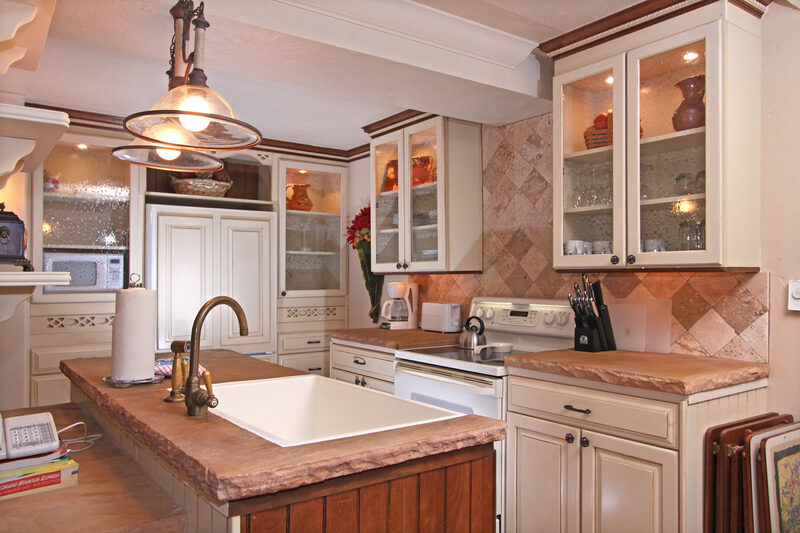 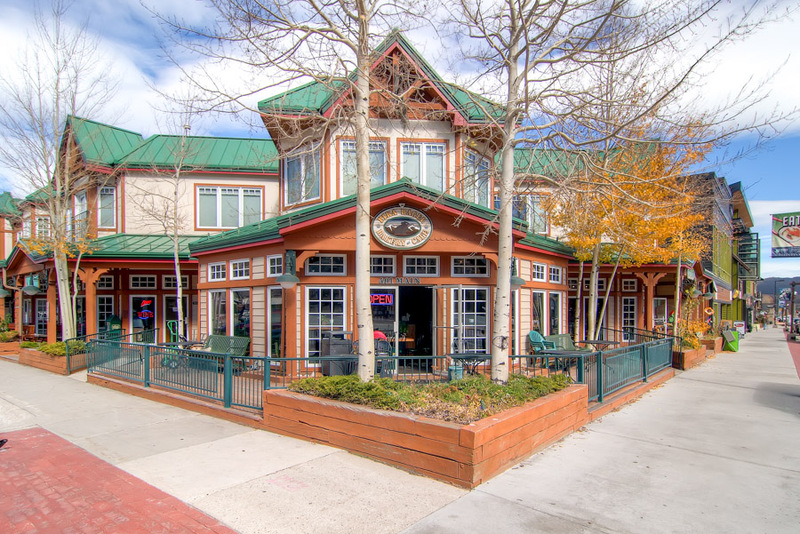 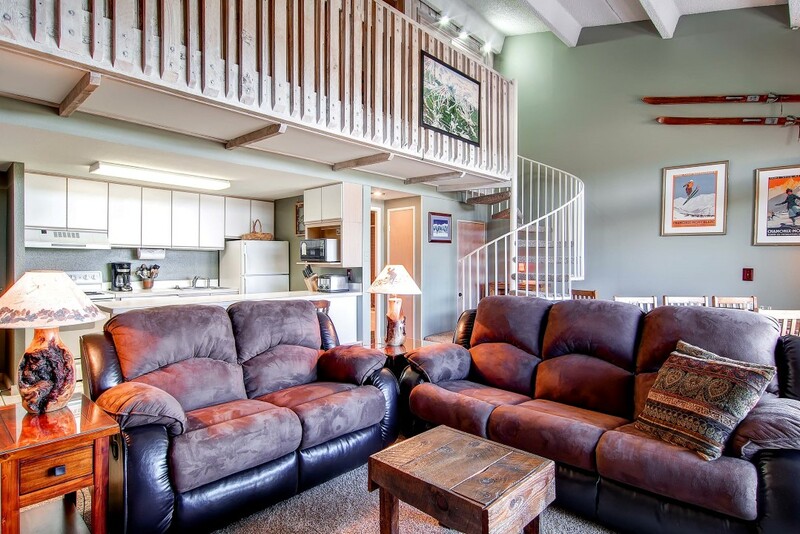 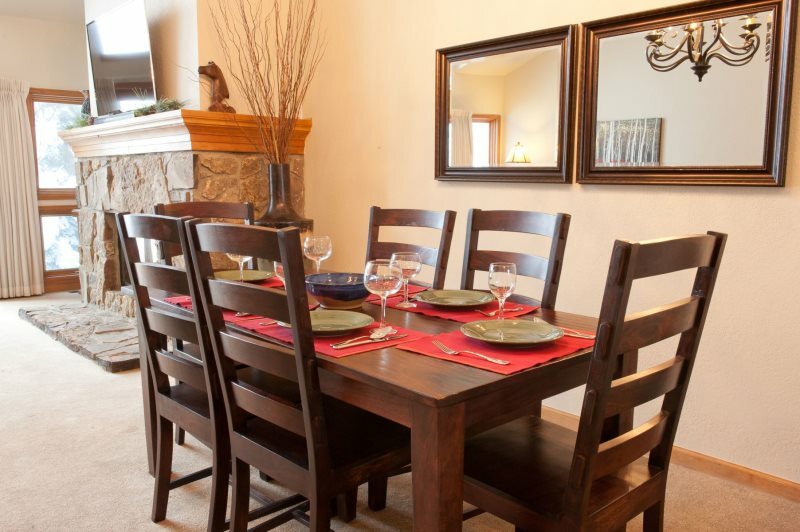 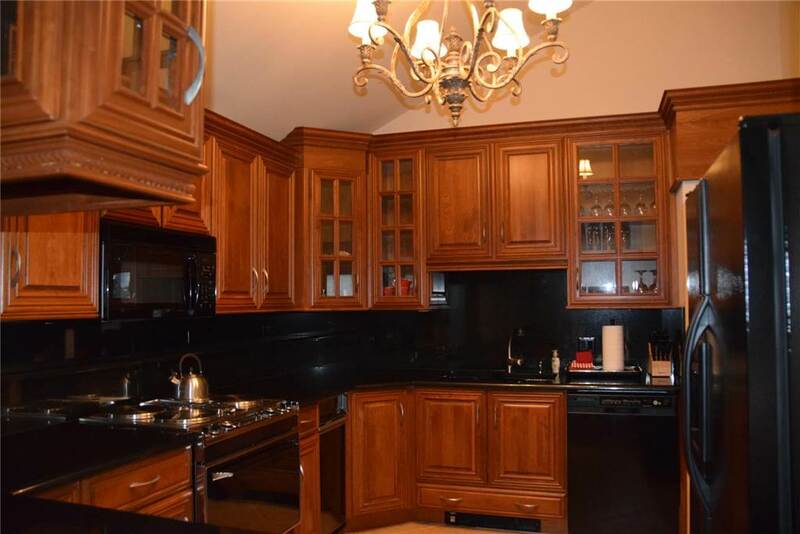 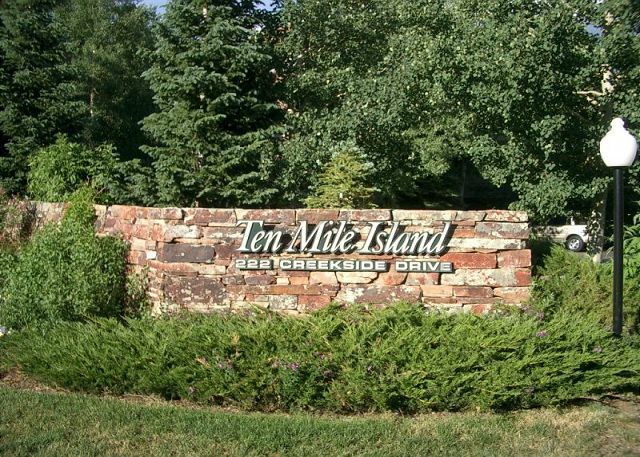 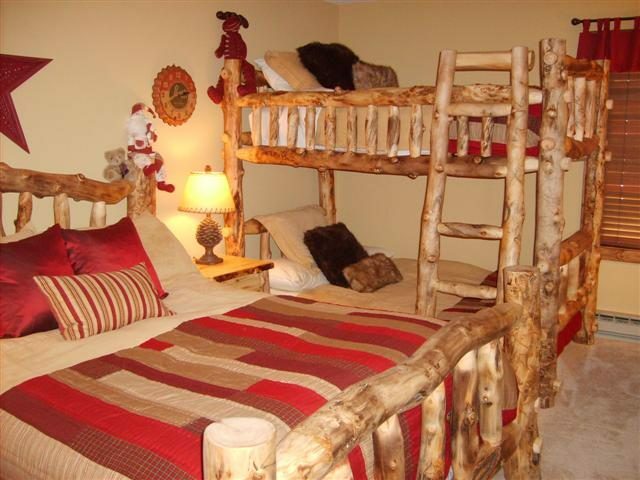 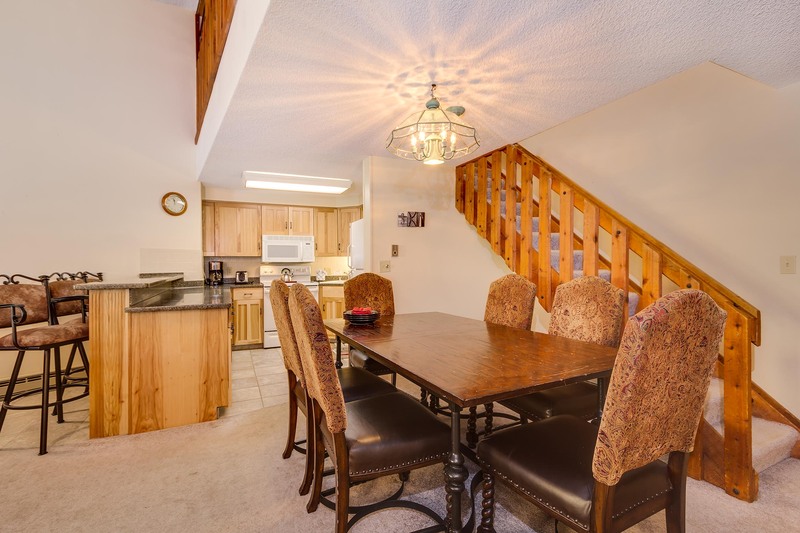 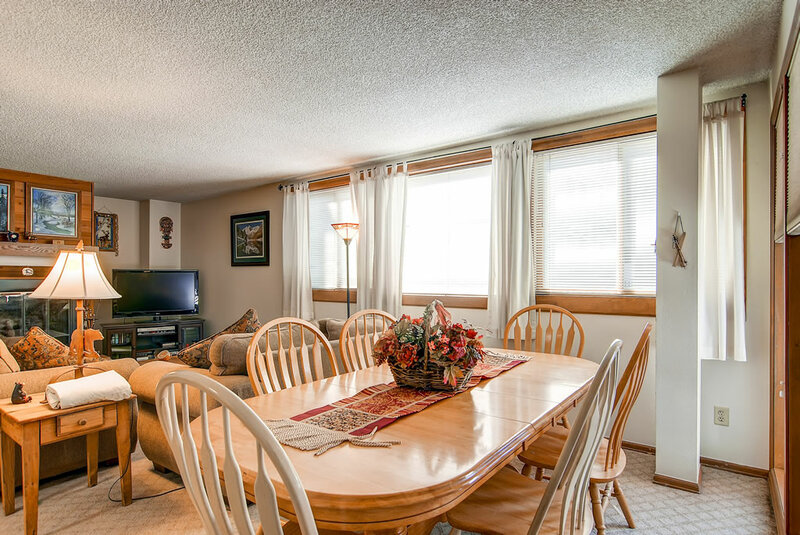 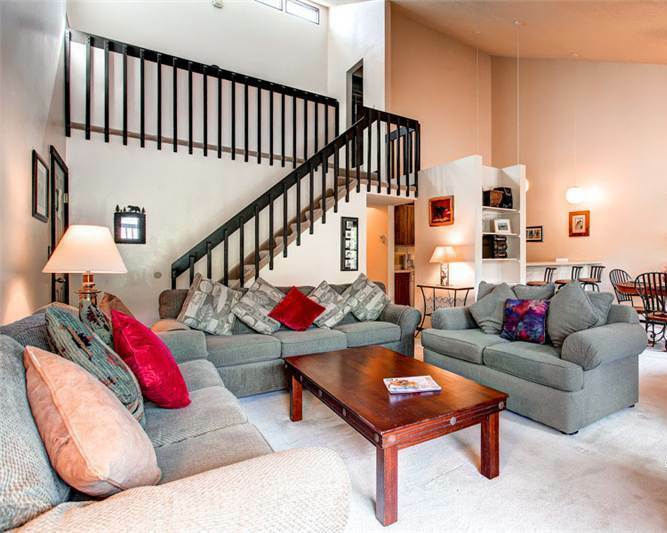 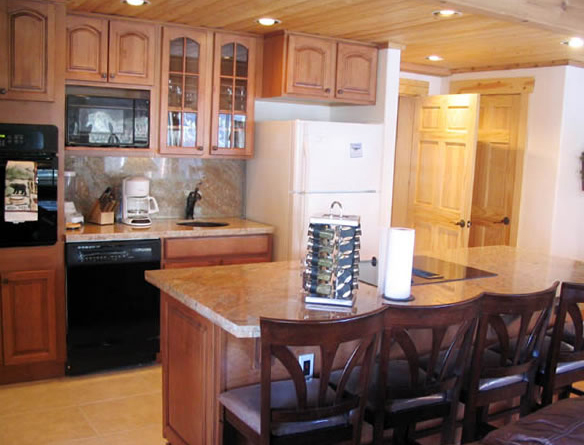 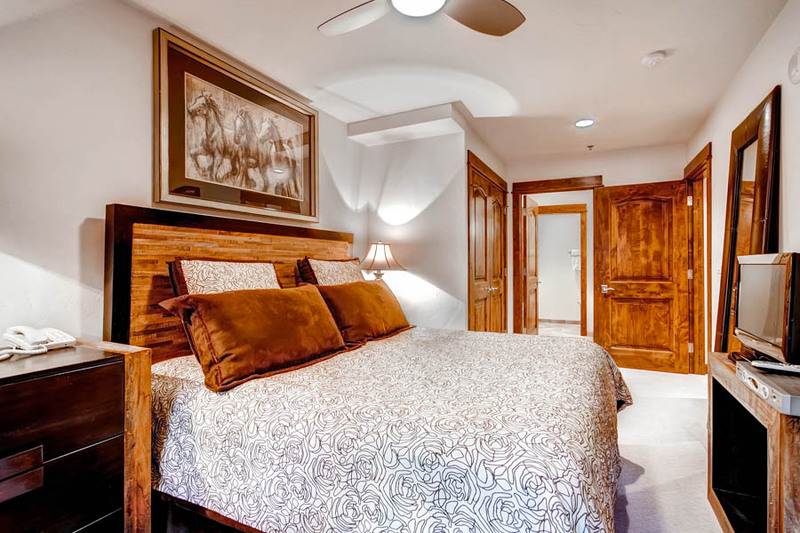 Complimentary shuttle service is also included with this property, but you likely won’t use it because the condo is located so close to everything that you can easily walk everywhere.